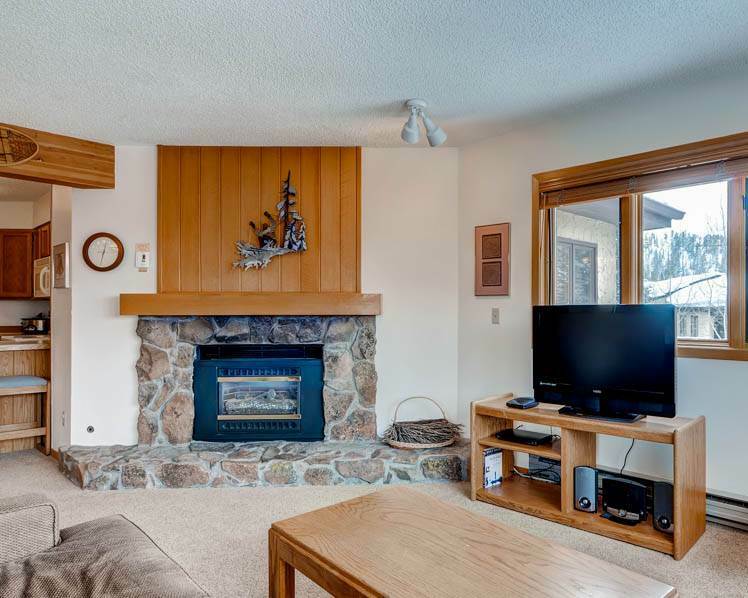 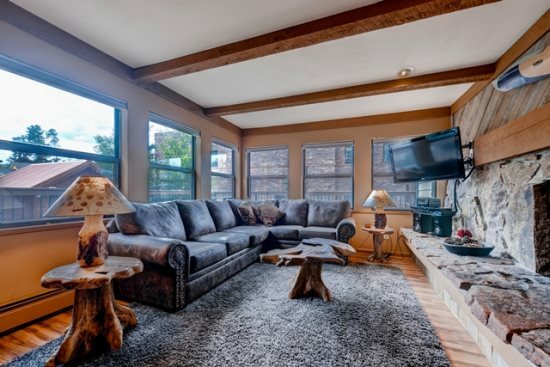 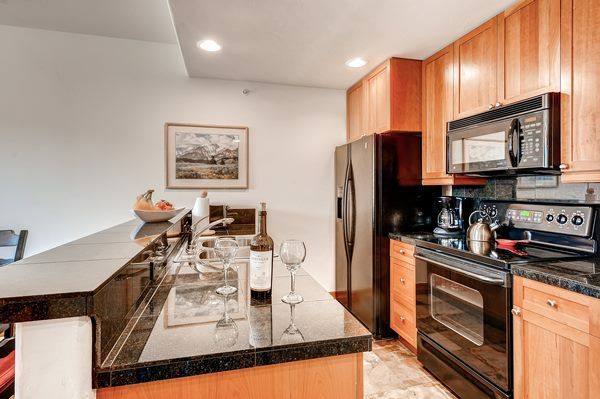 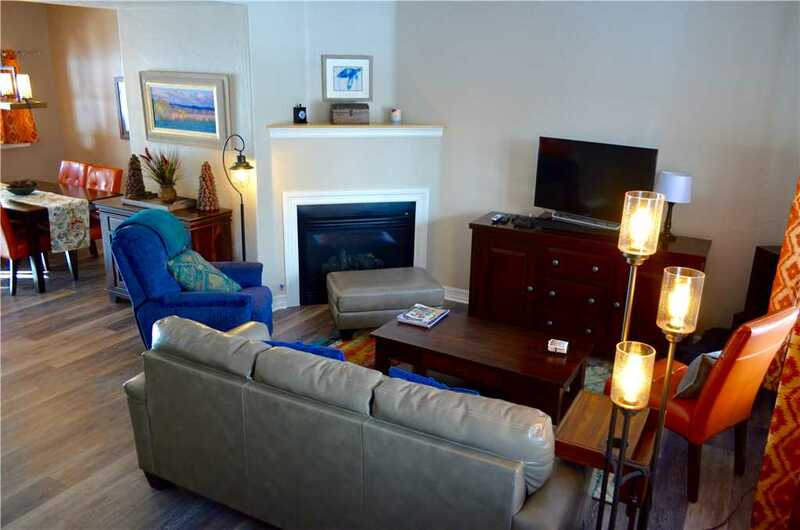 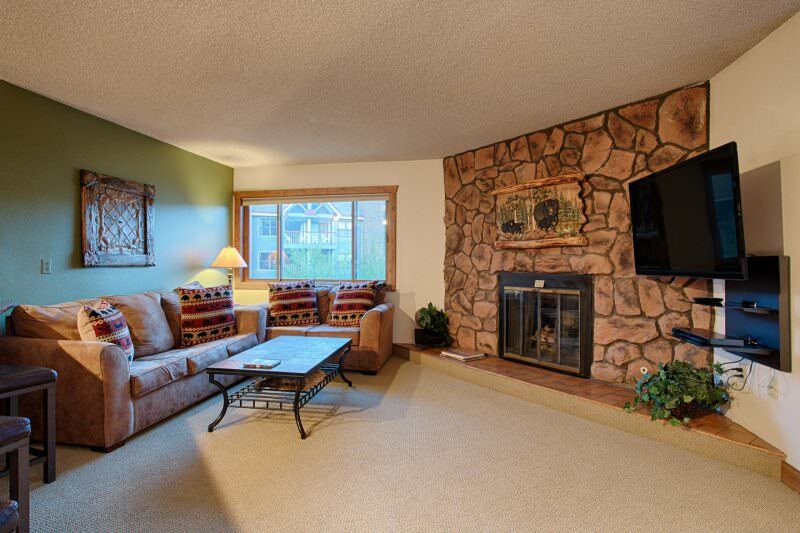 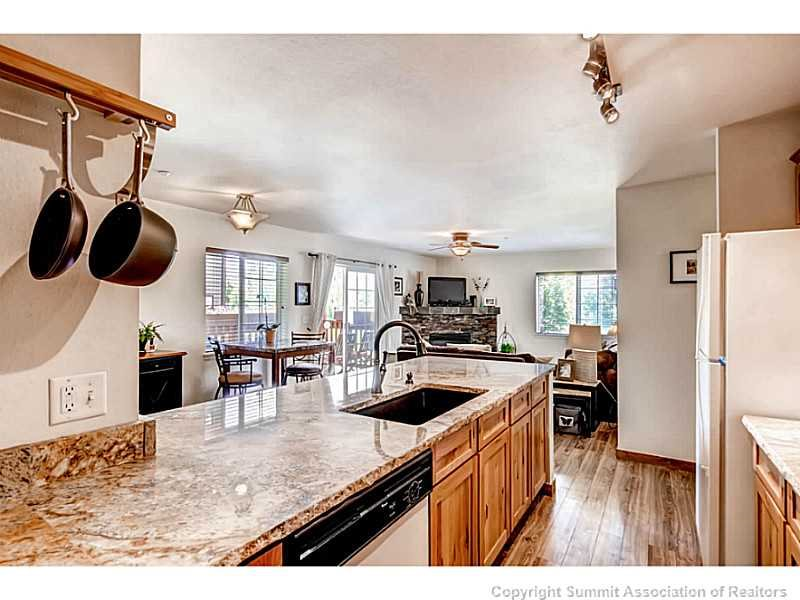 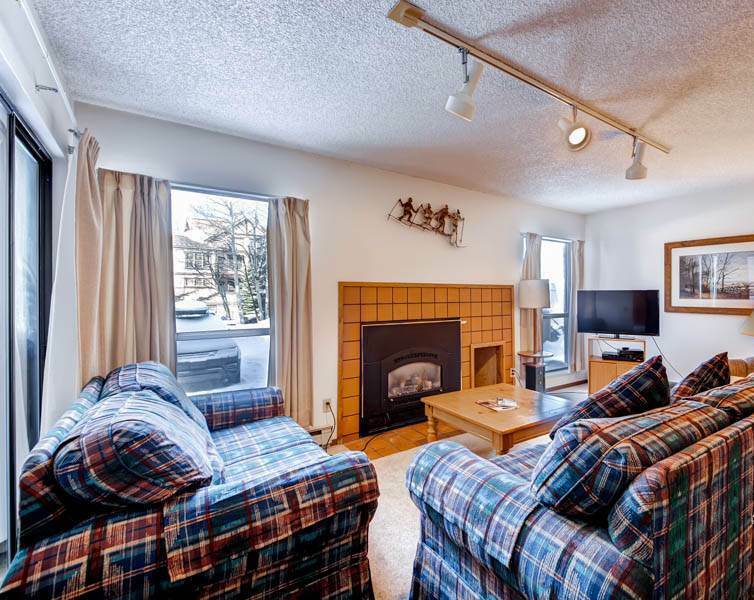 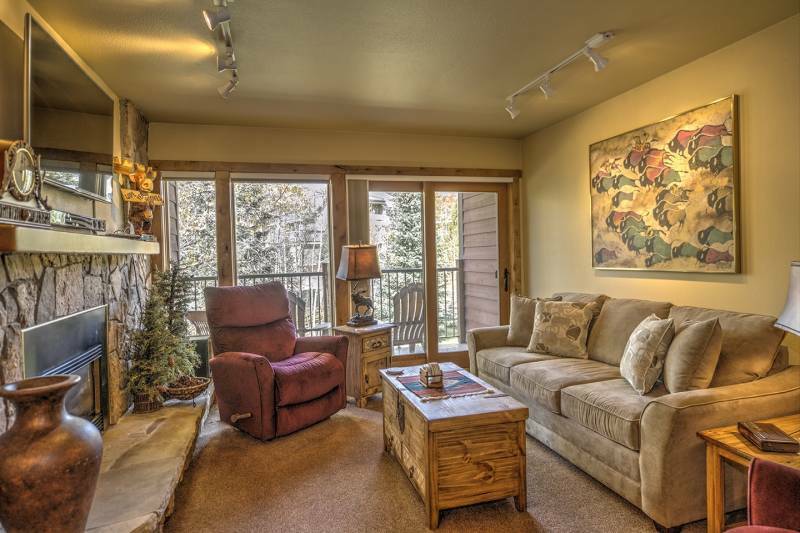 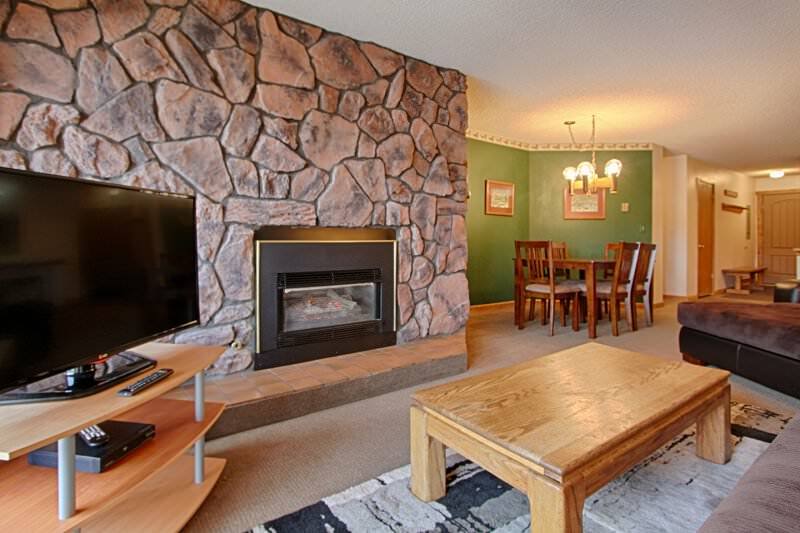 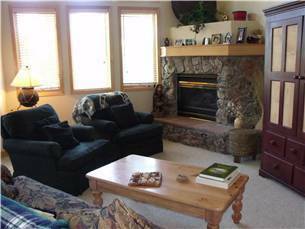 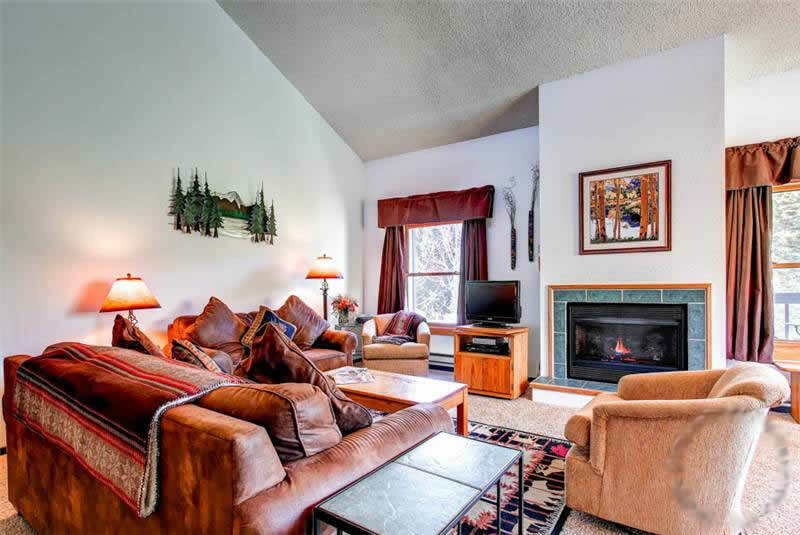 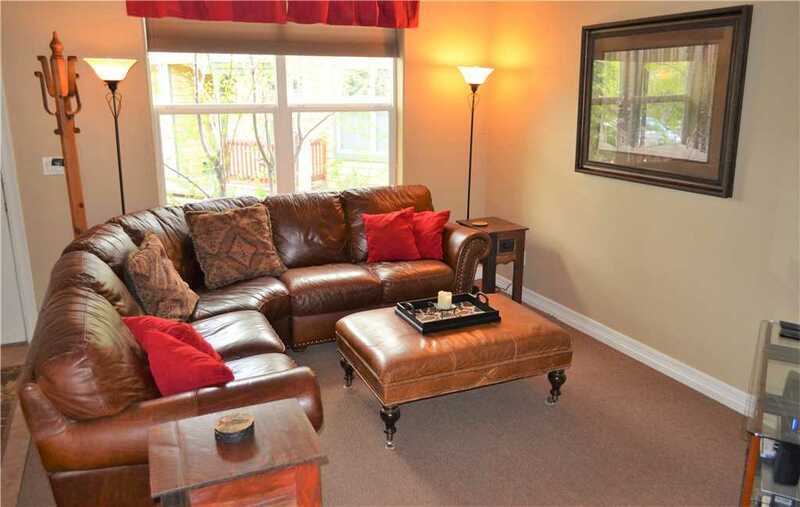 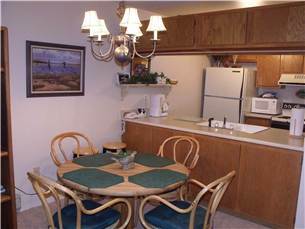 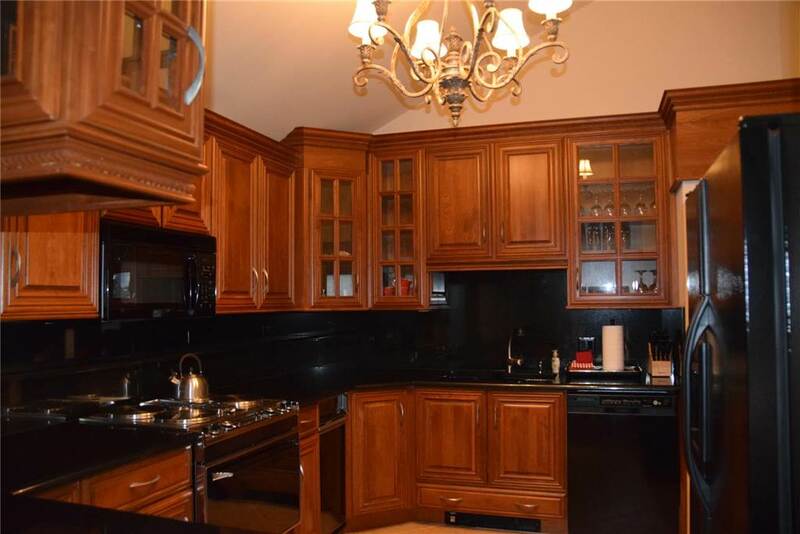 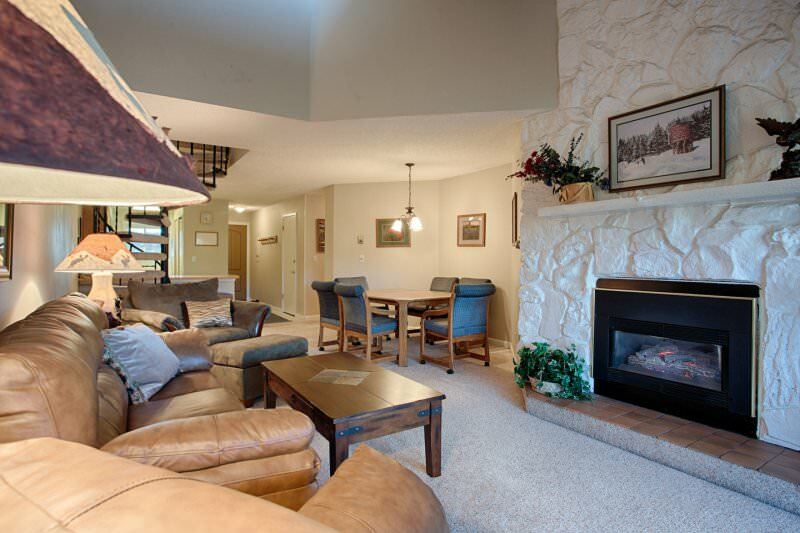 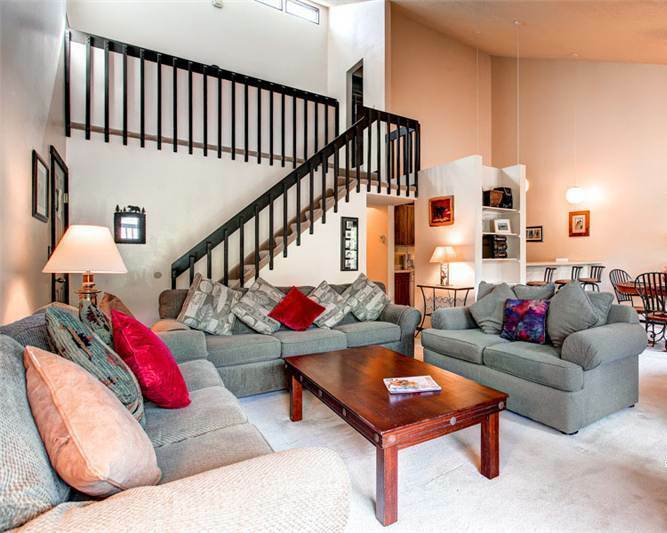 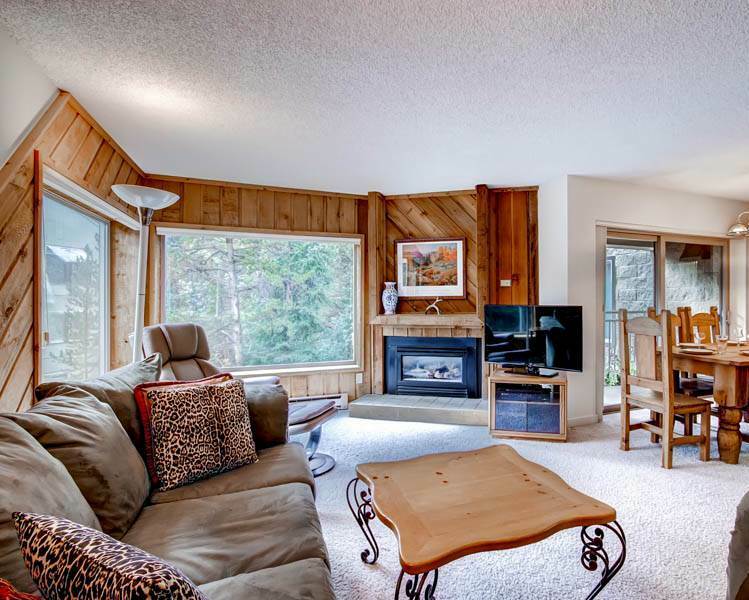 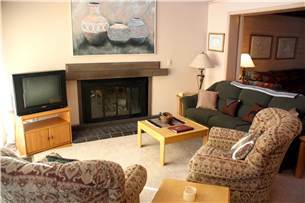 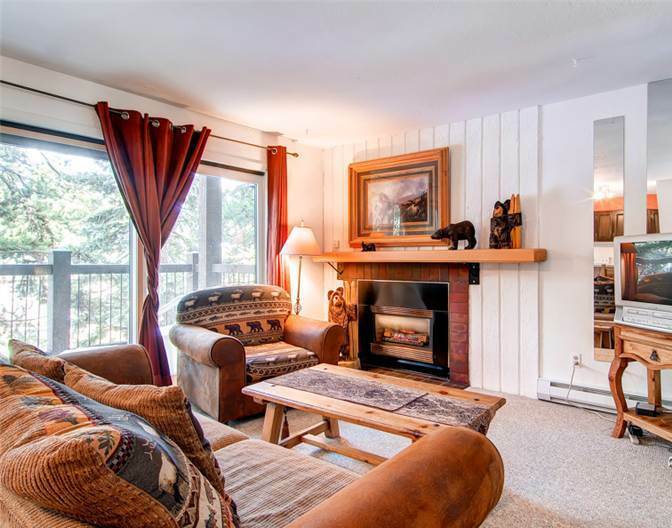 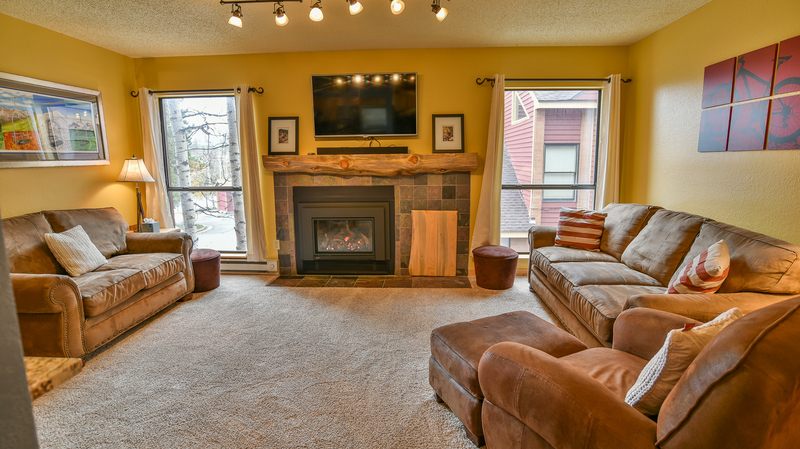 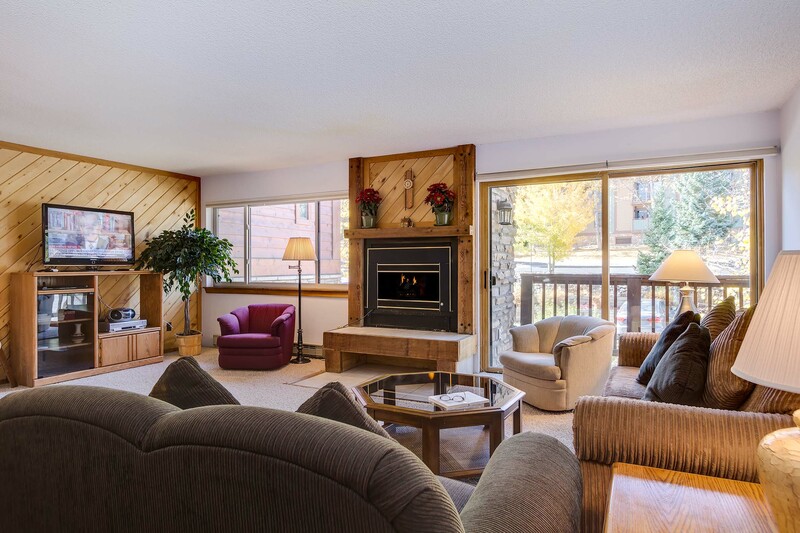 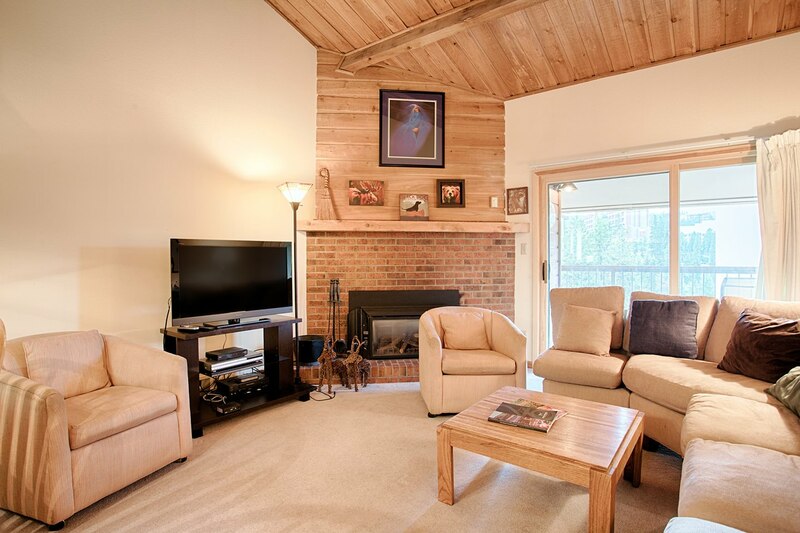 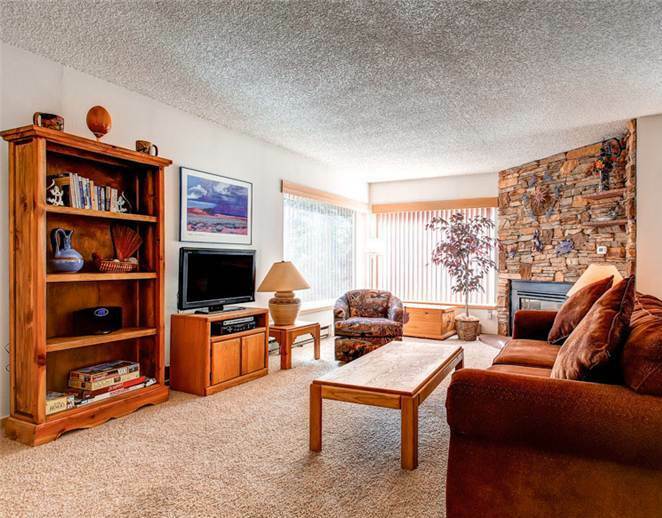 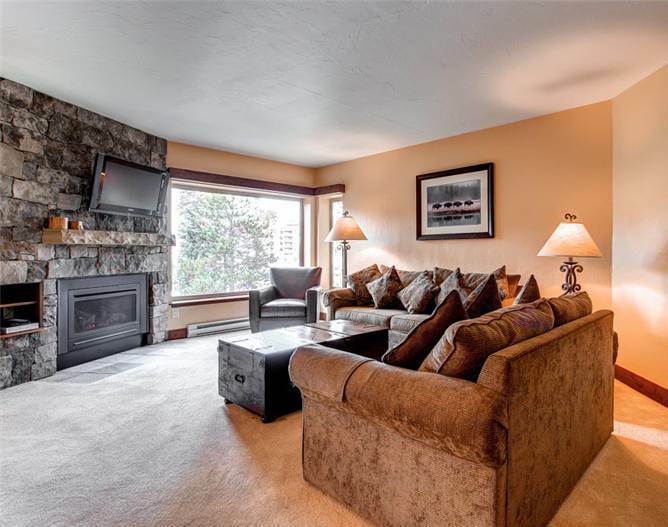 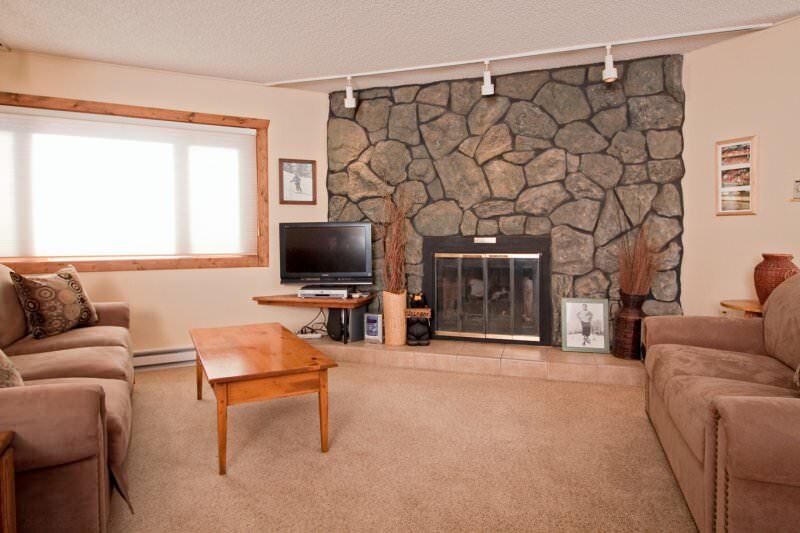 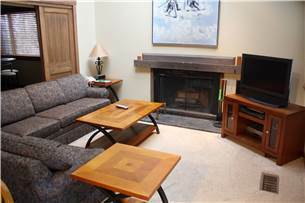 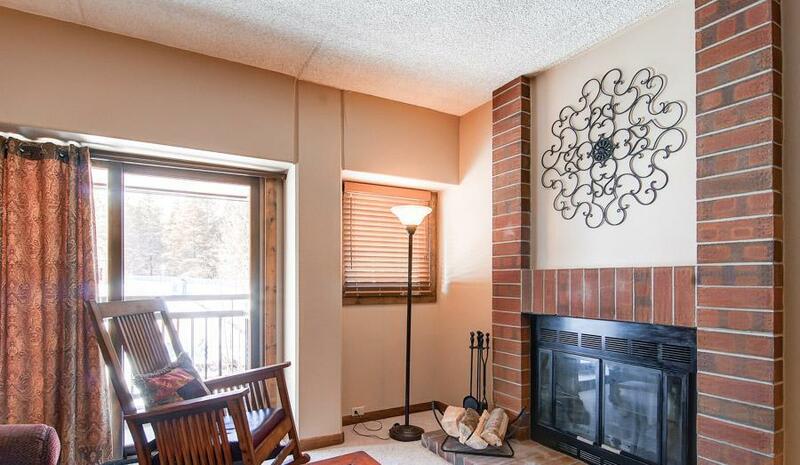 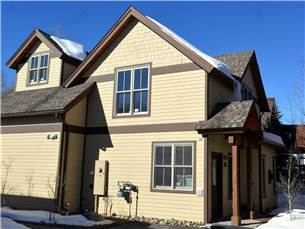 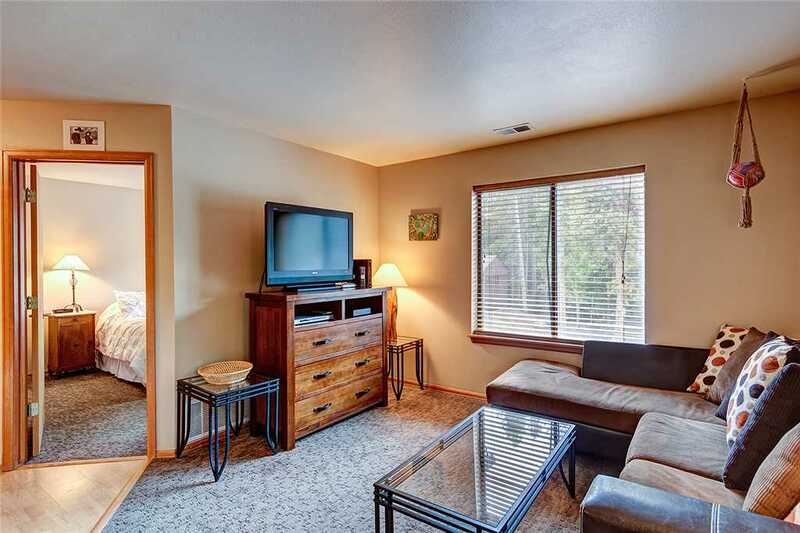 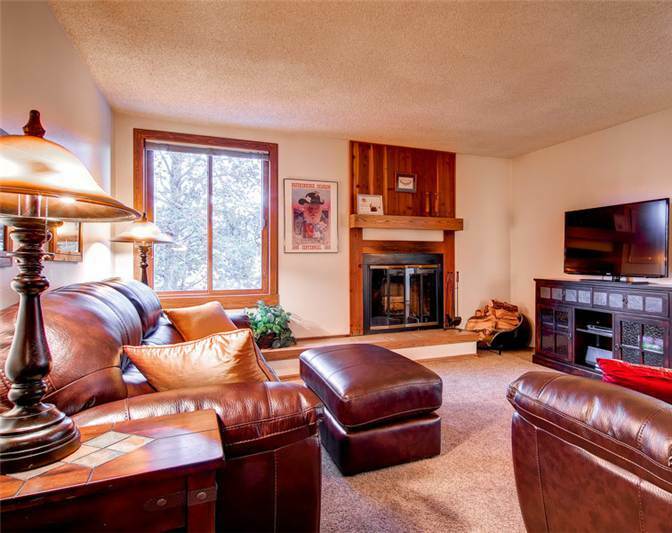 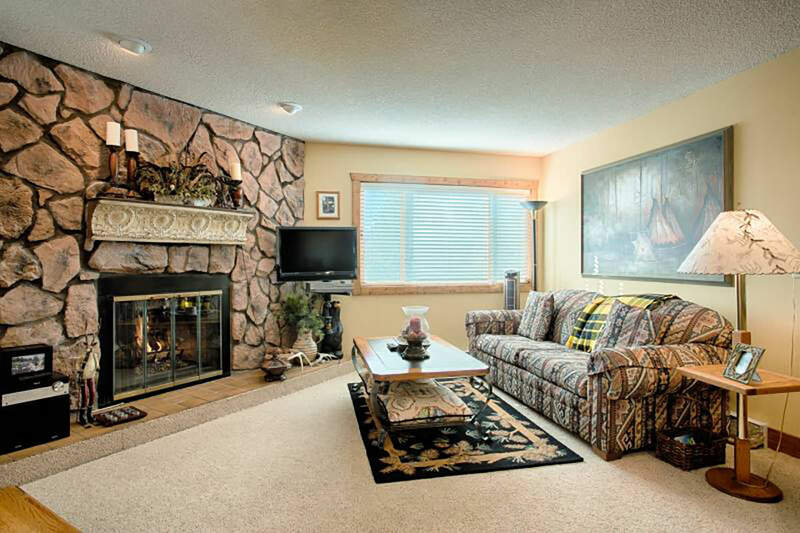 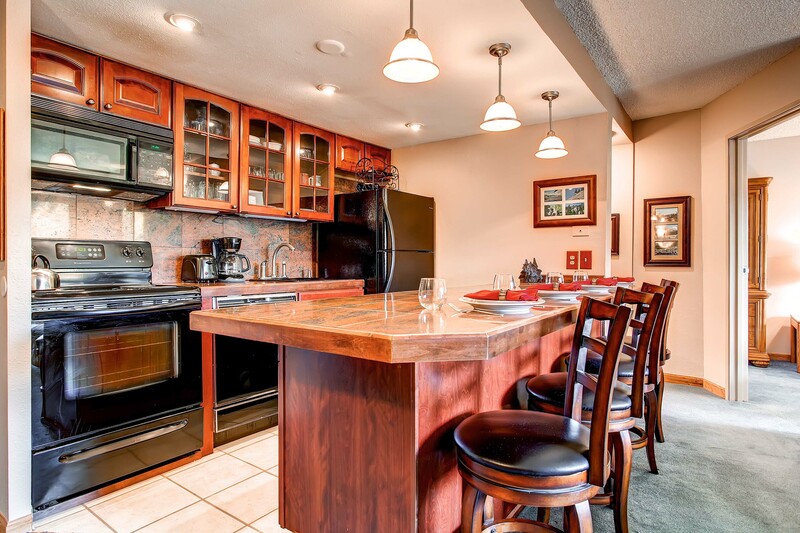 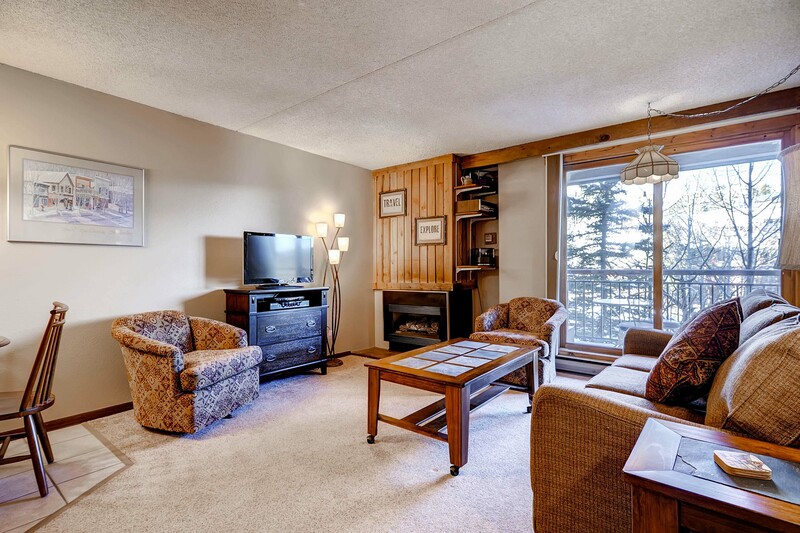 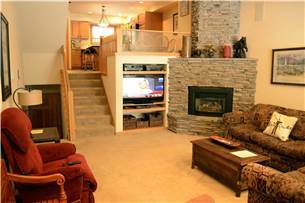 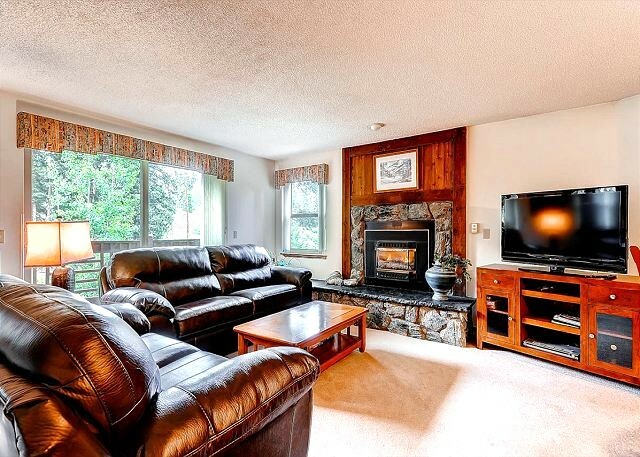 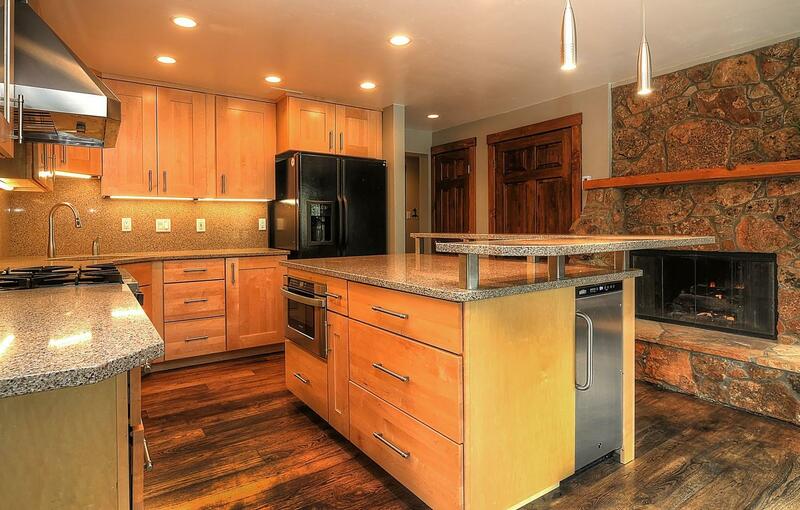 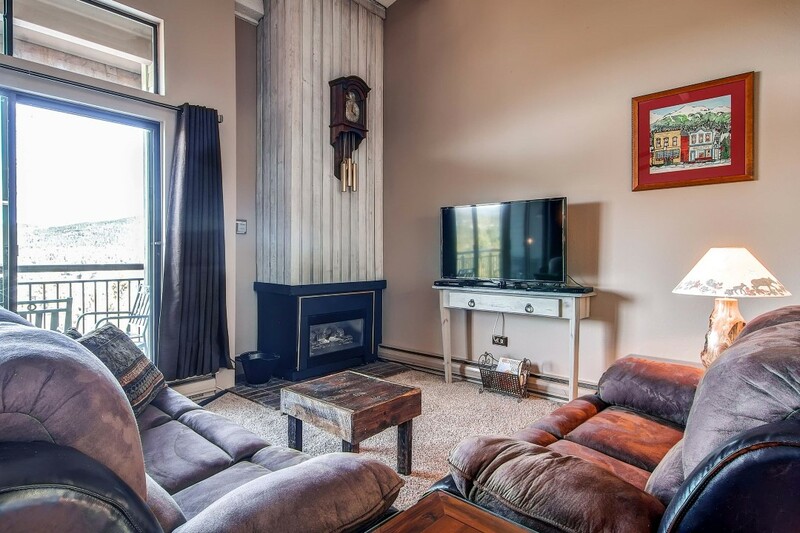 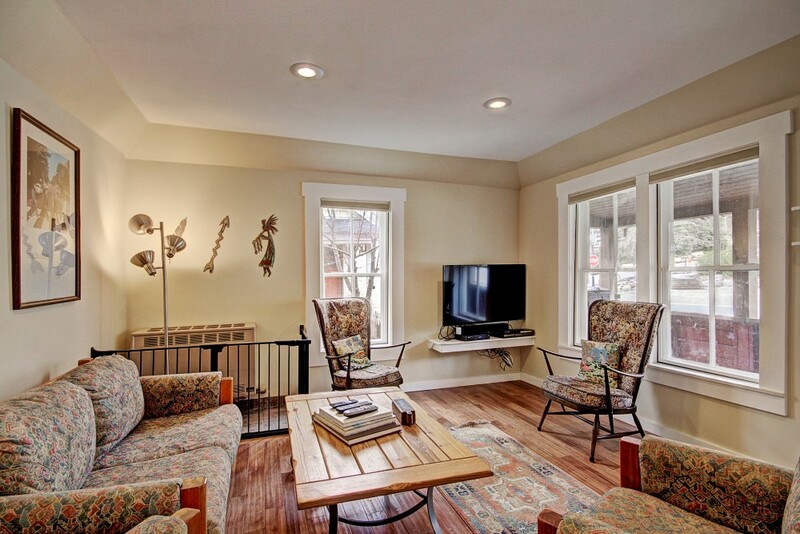 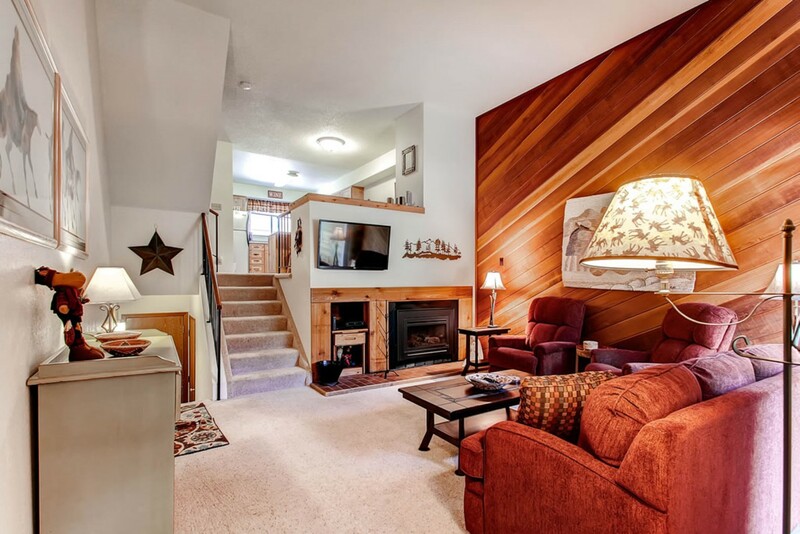 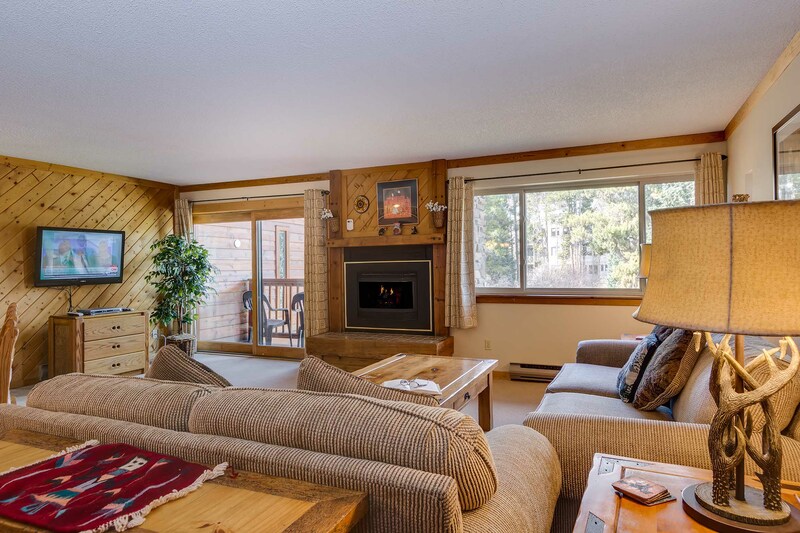 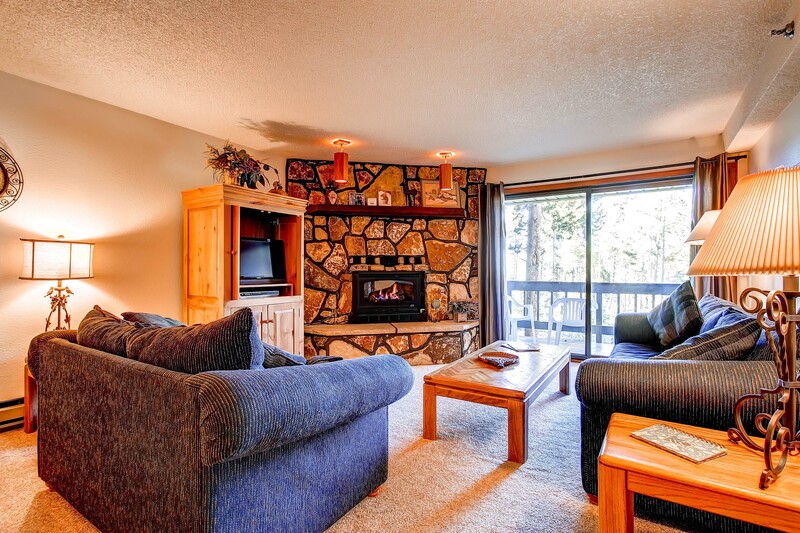 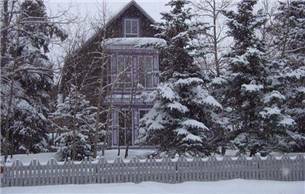 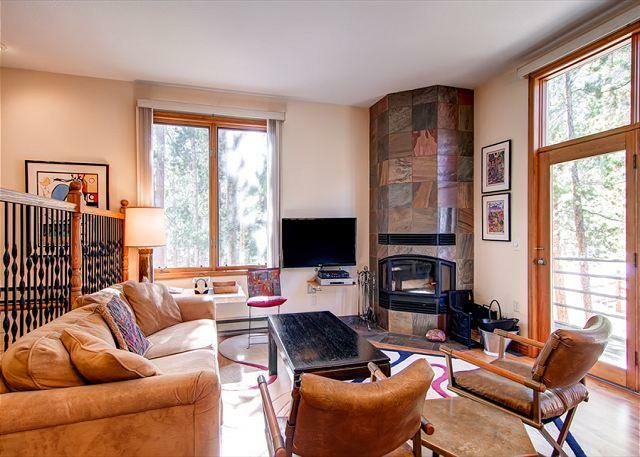 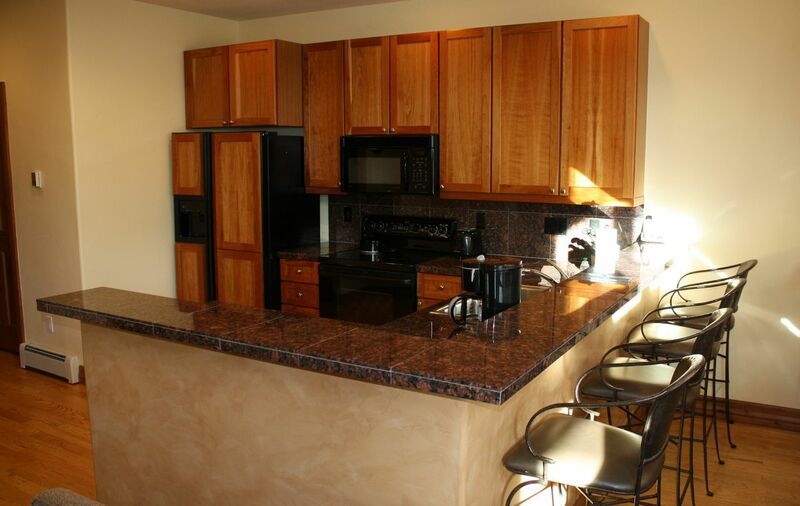 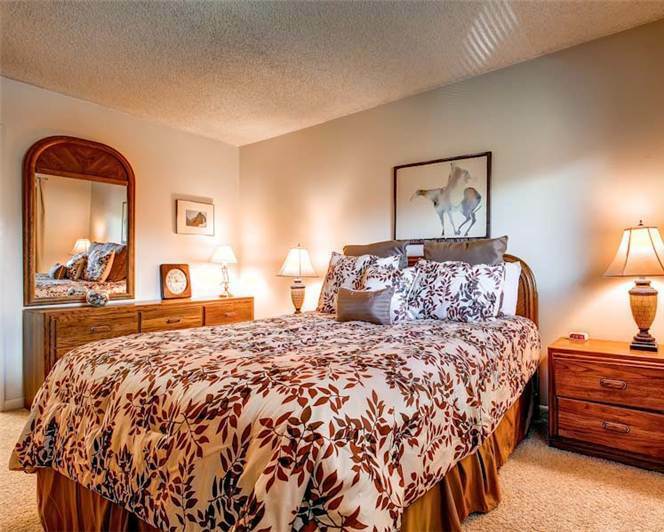 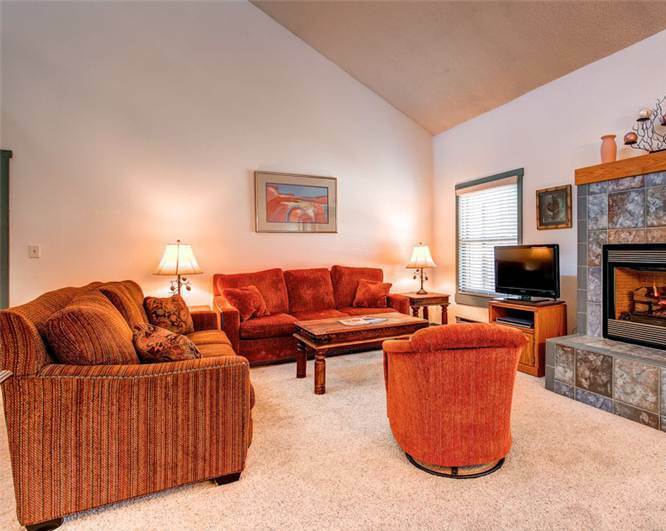 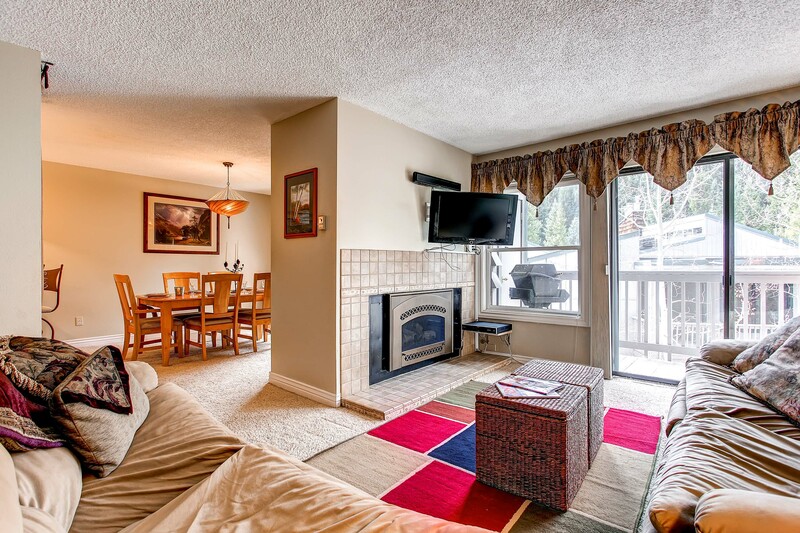 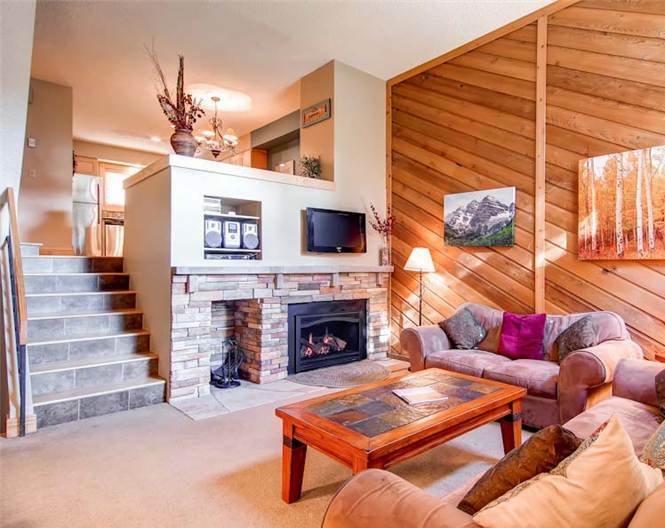 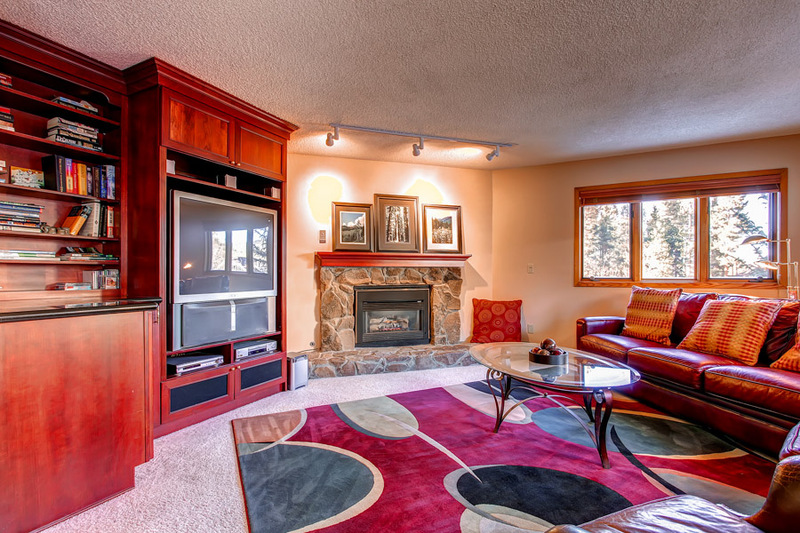 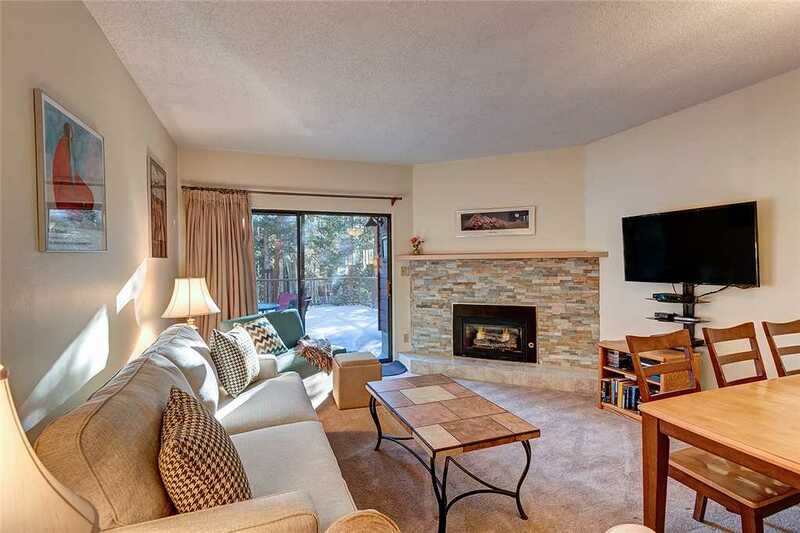 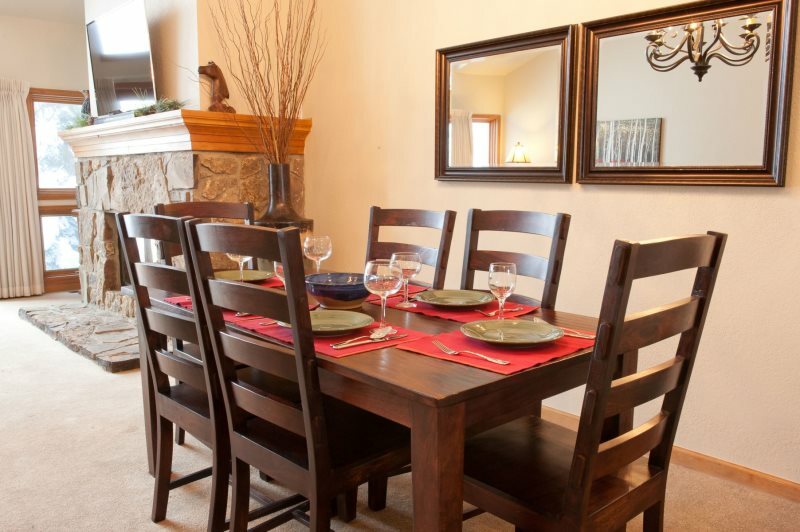 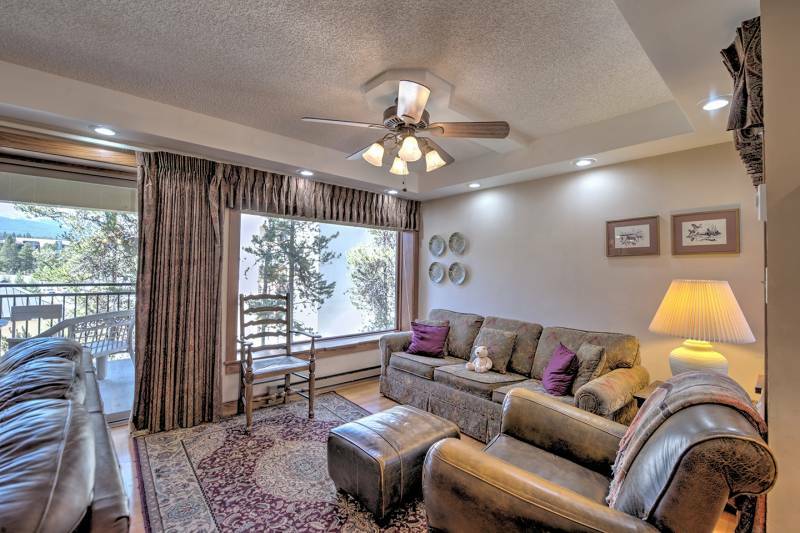 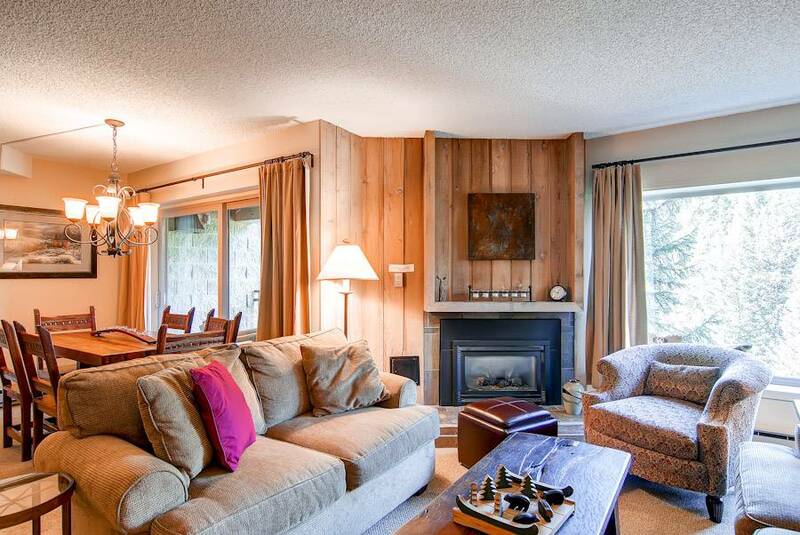 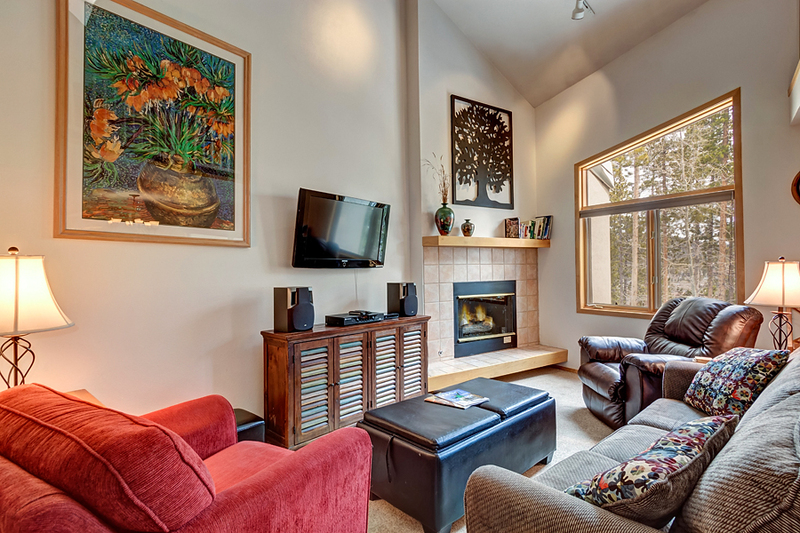 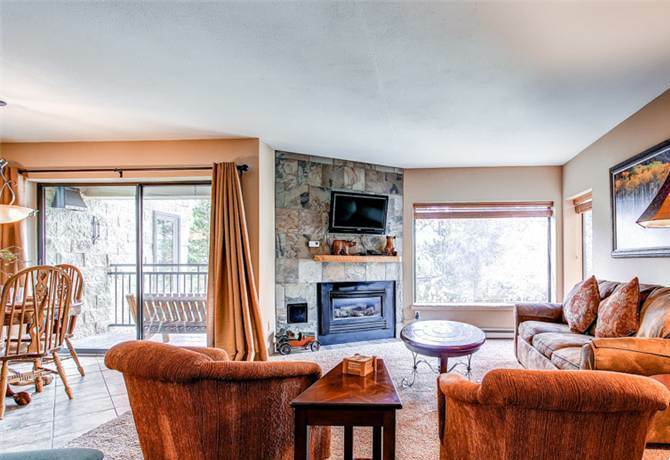 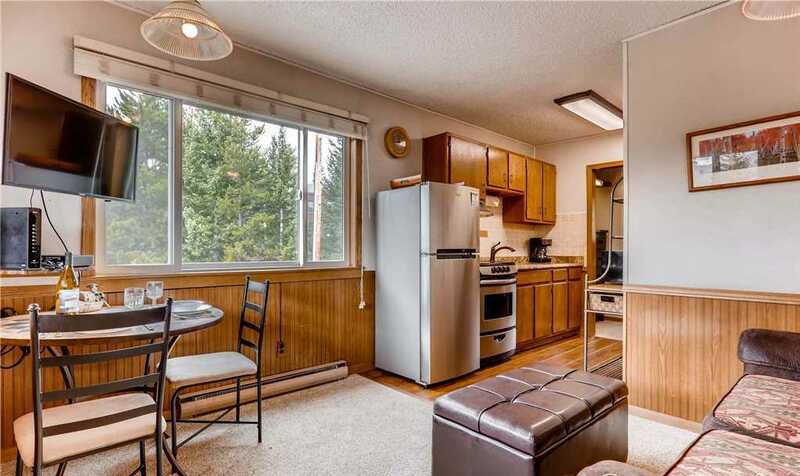 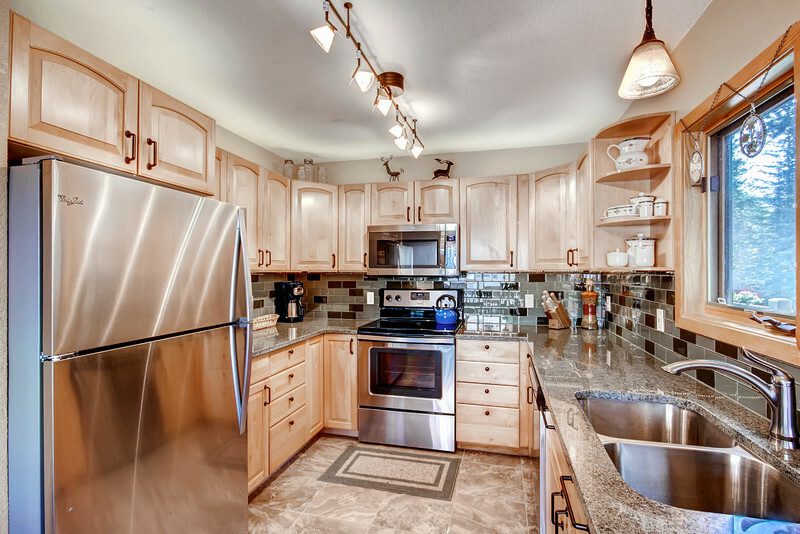 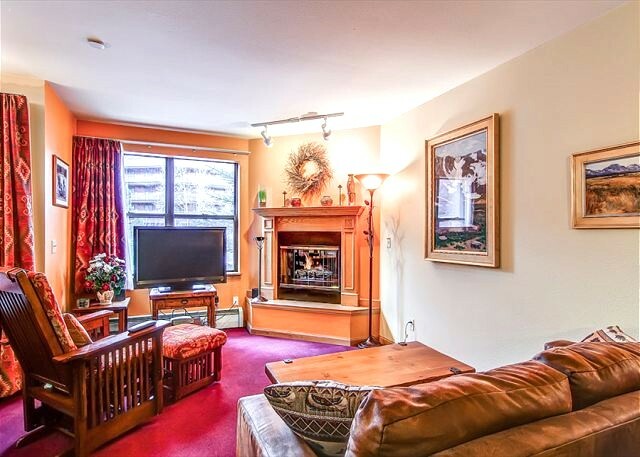 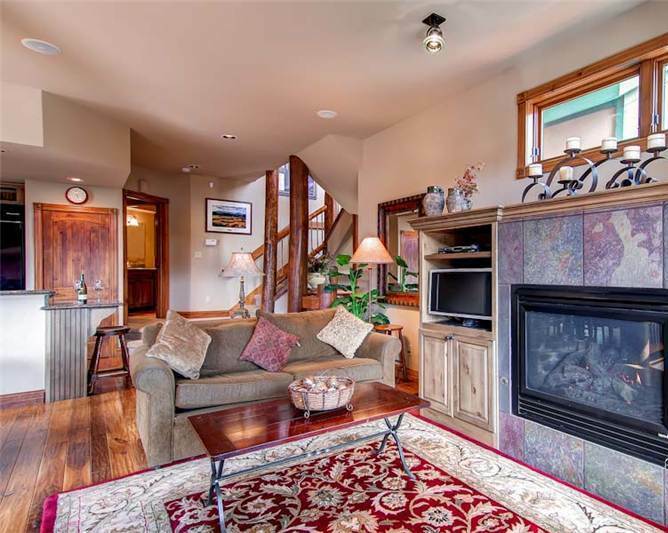 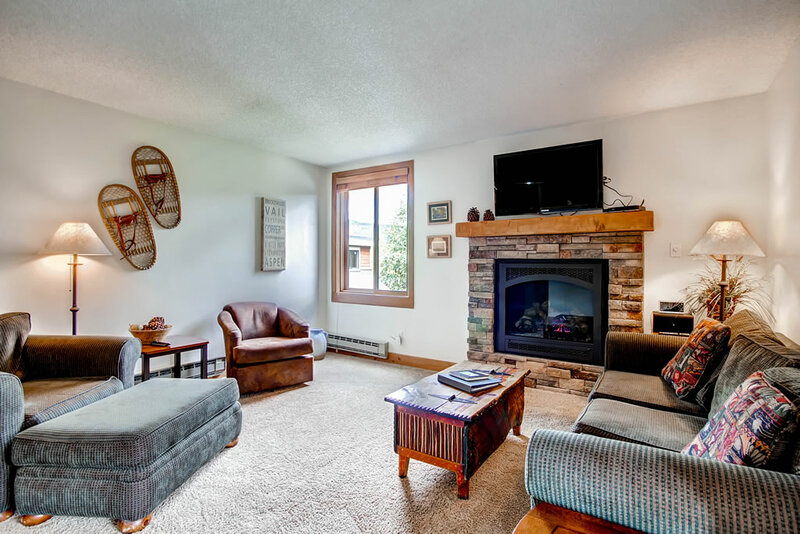 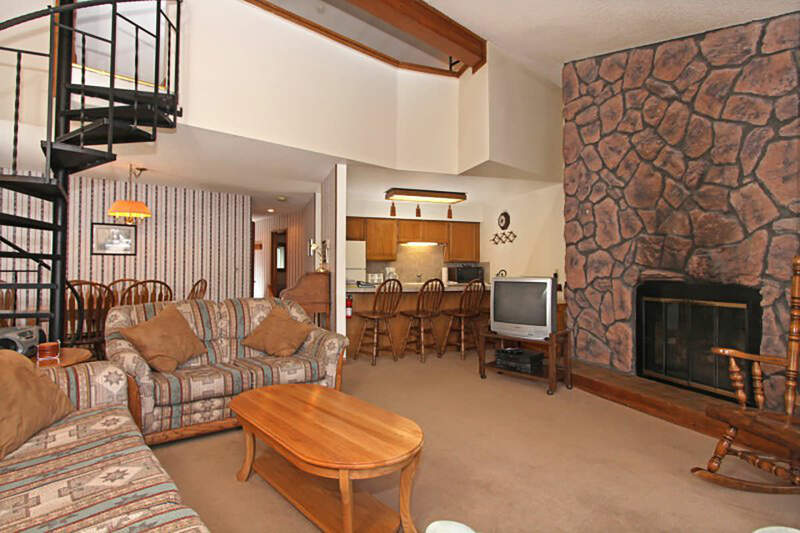 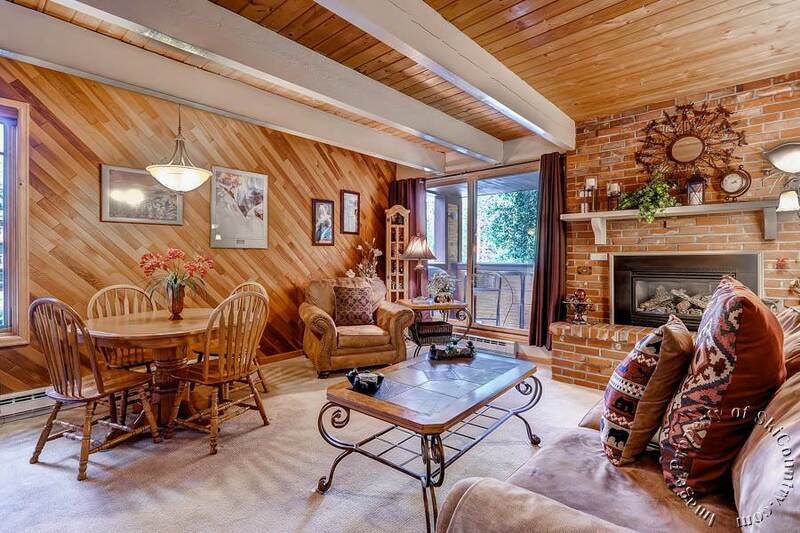 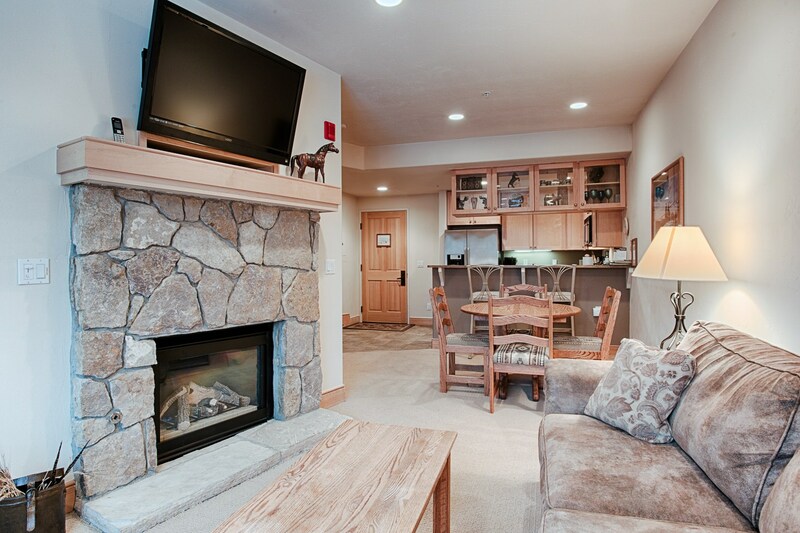 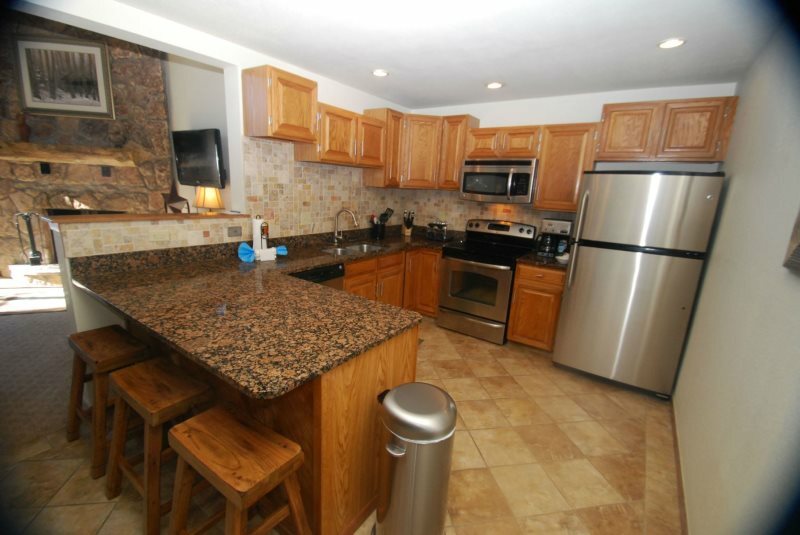 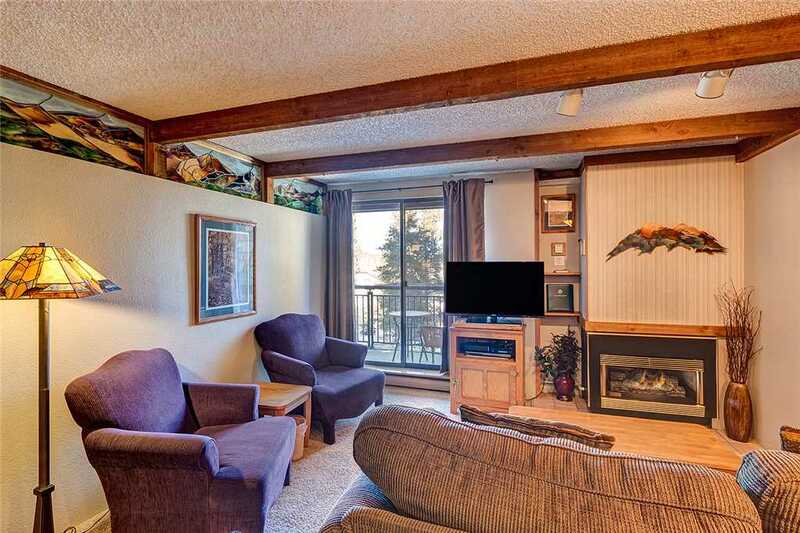 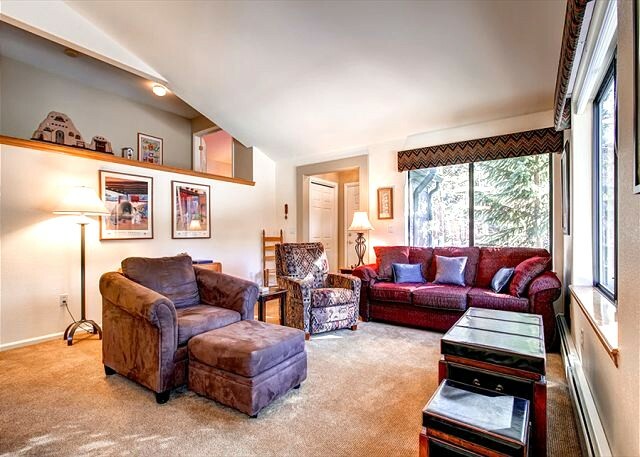 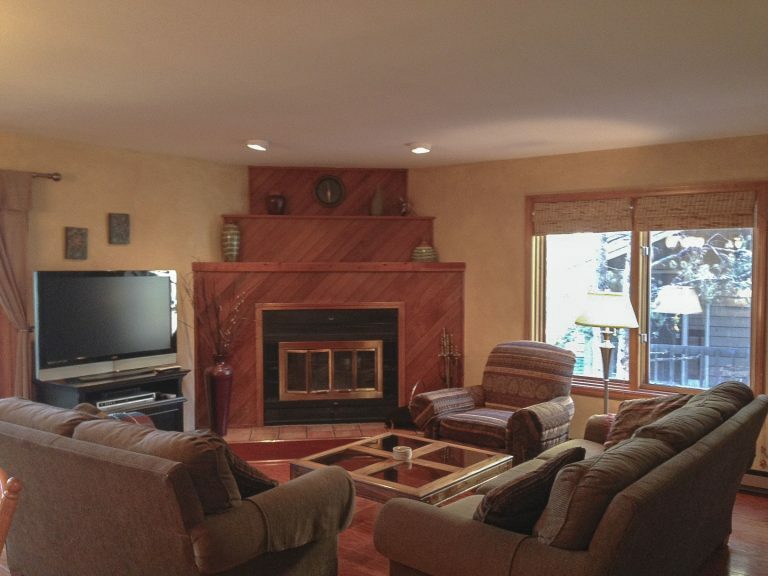 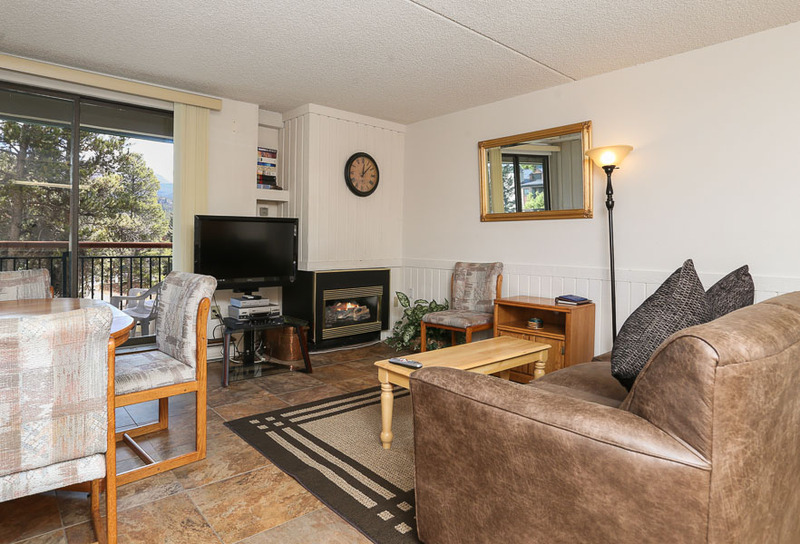 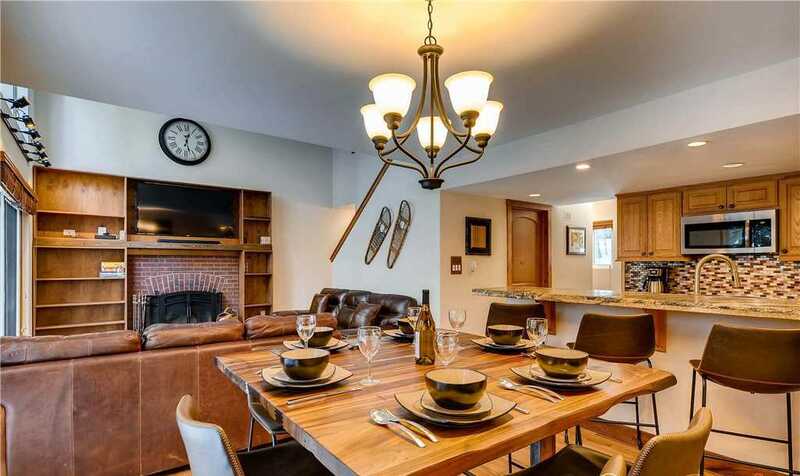 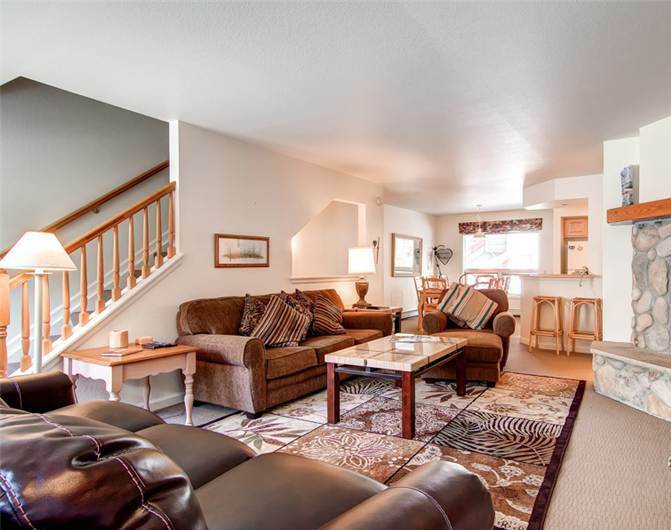 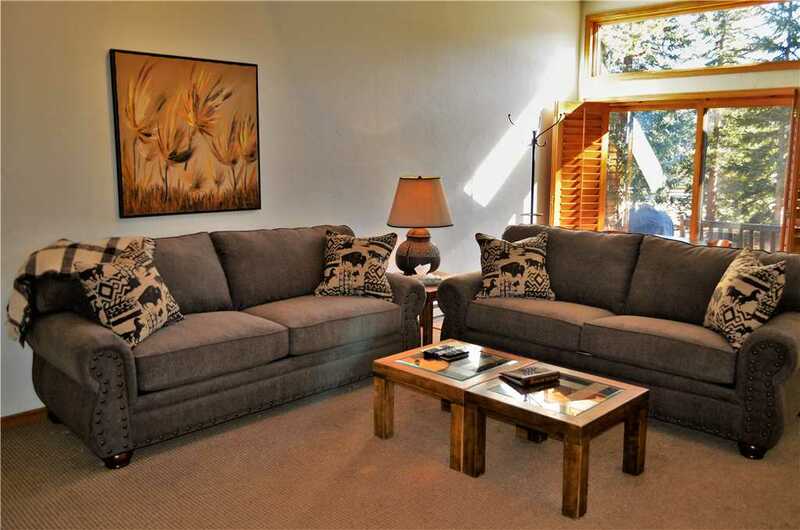 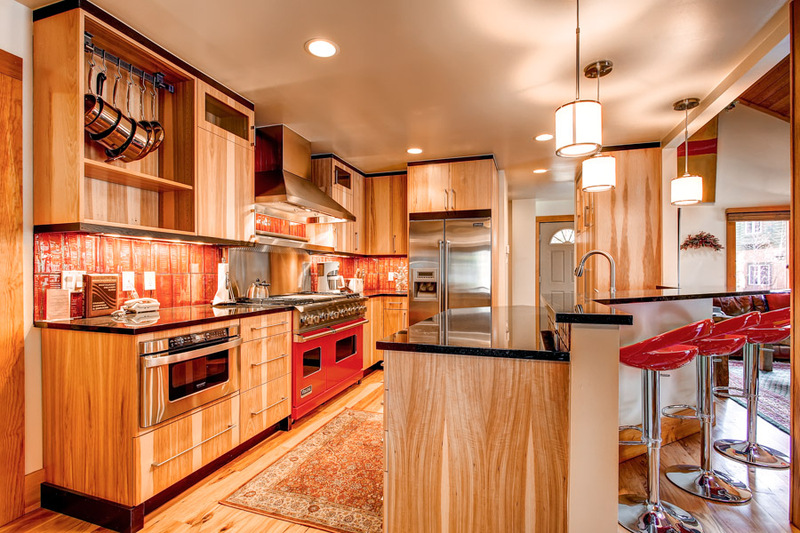 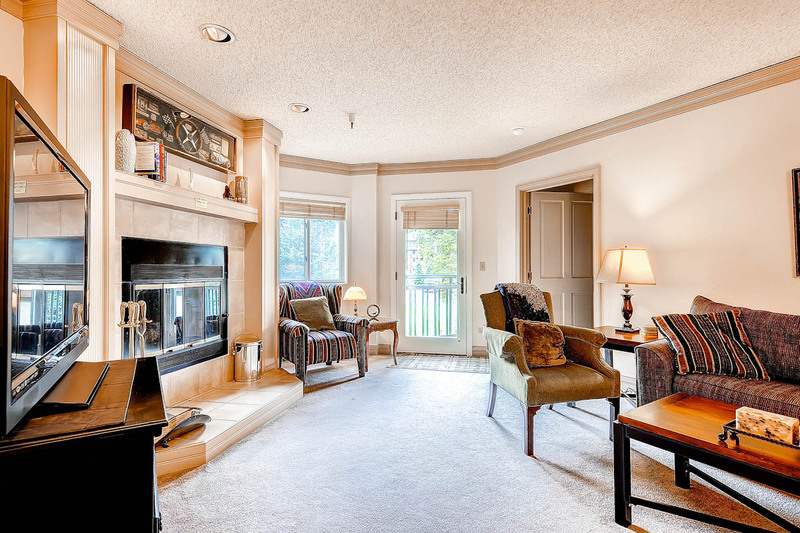 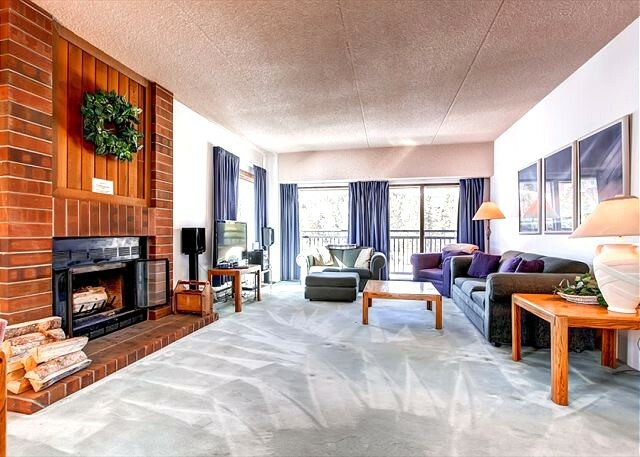 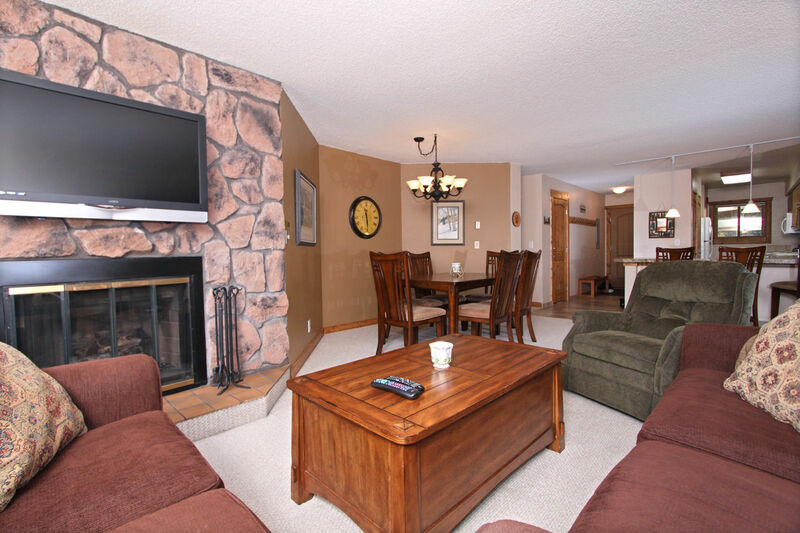 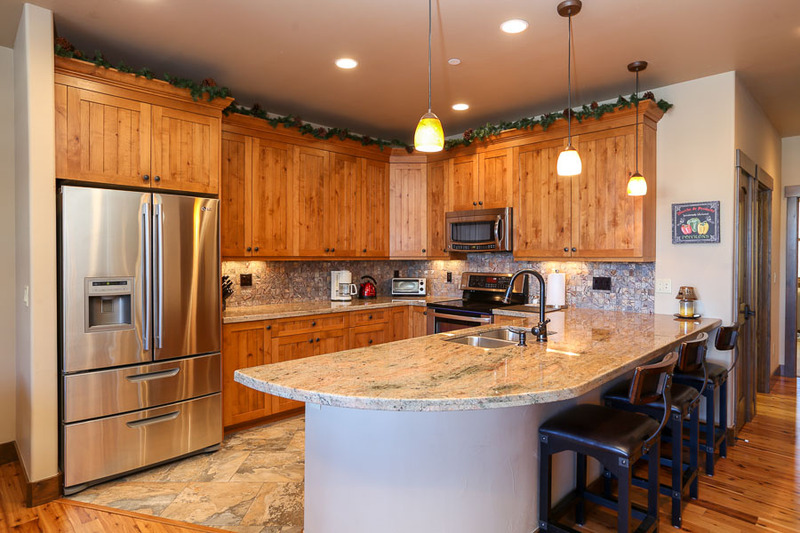 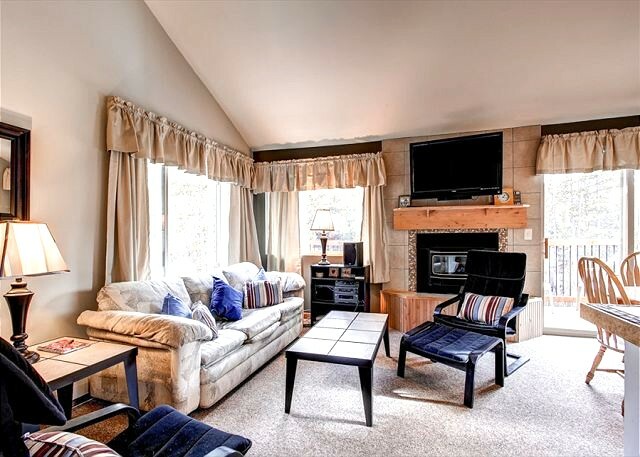 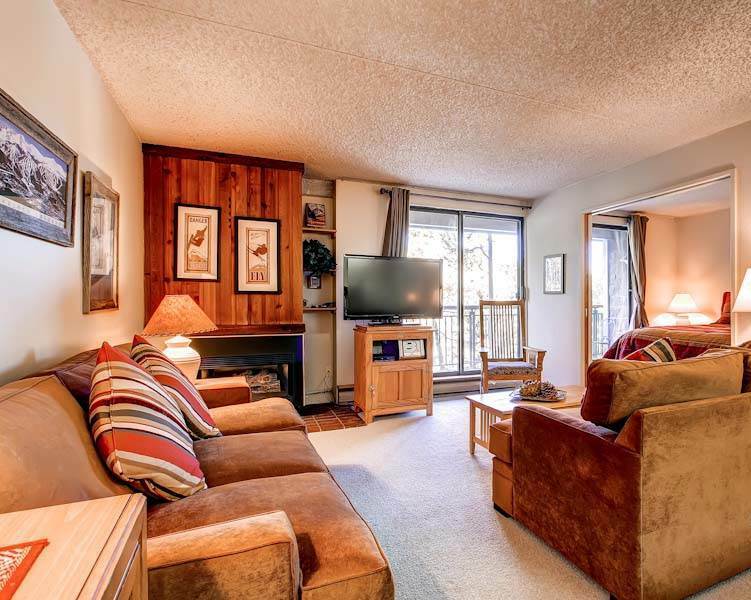 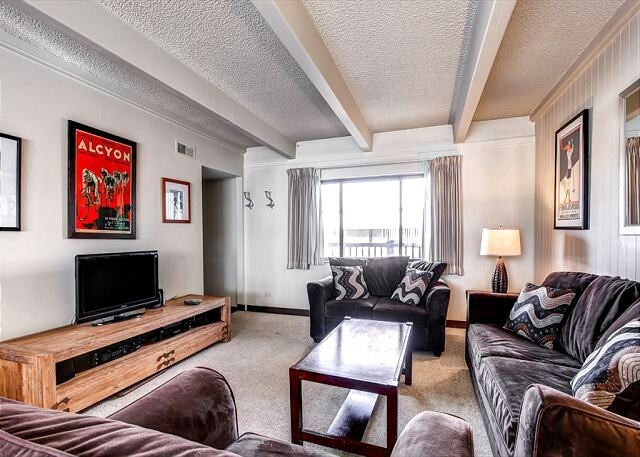 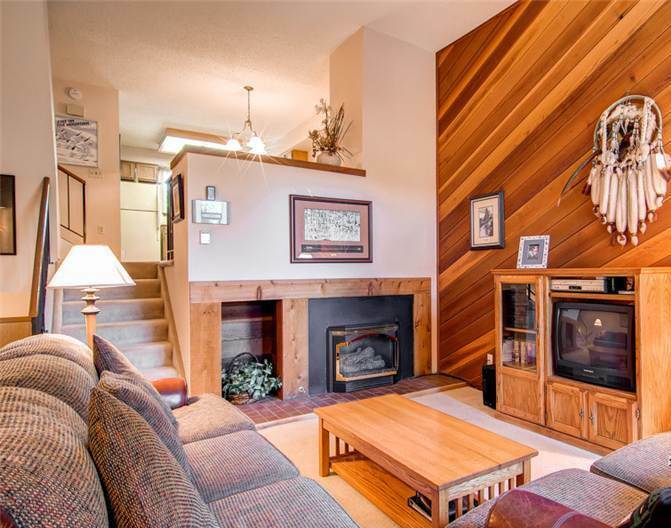 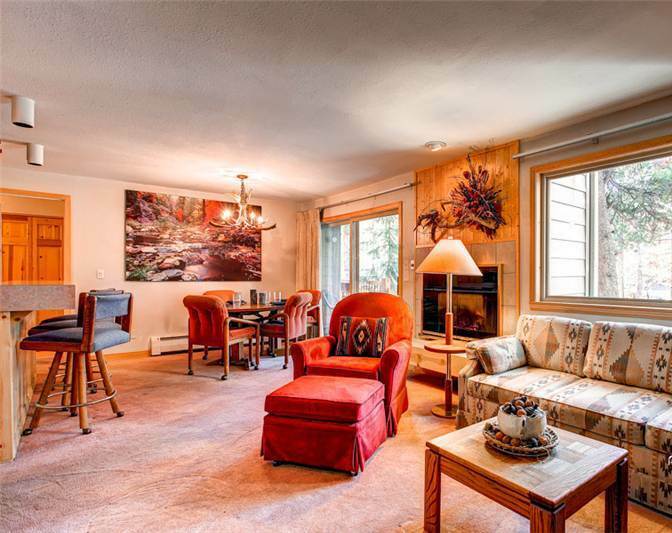 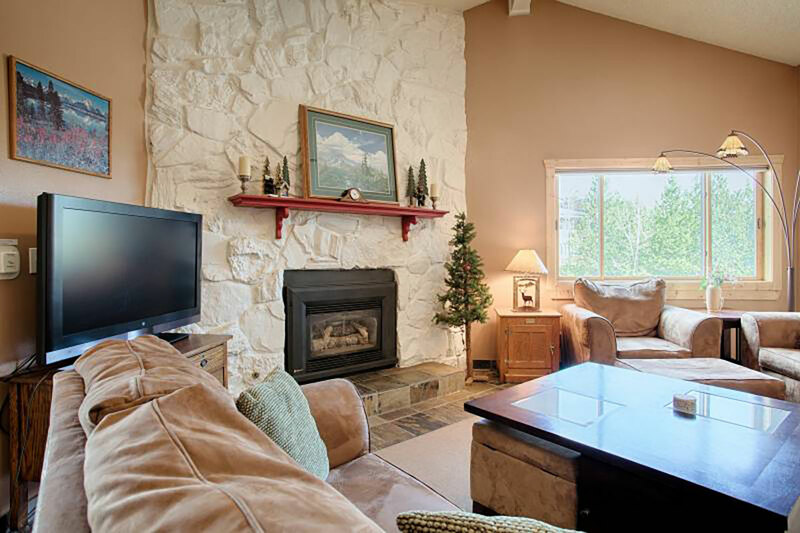 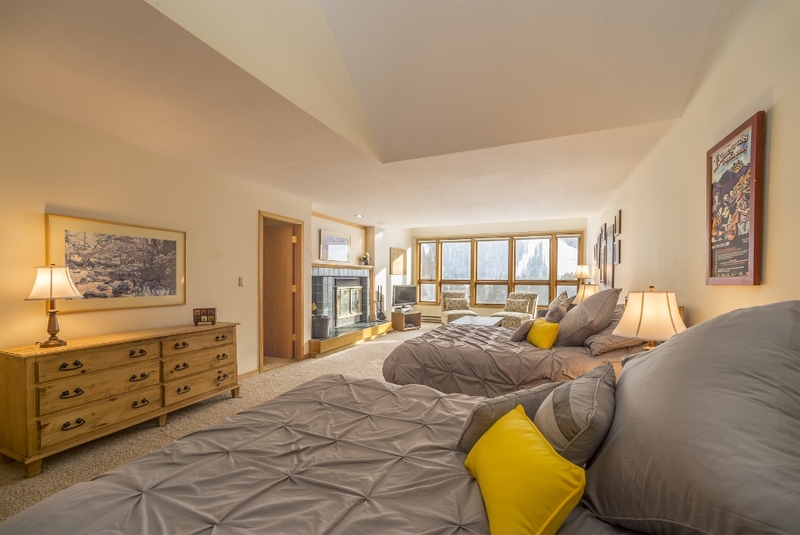 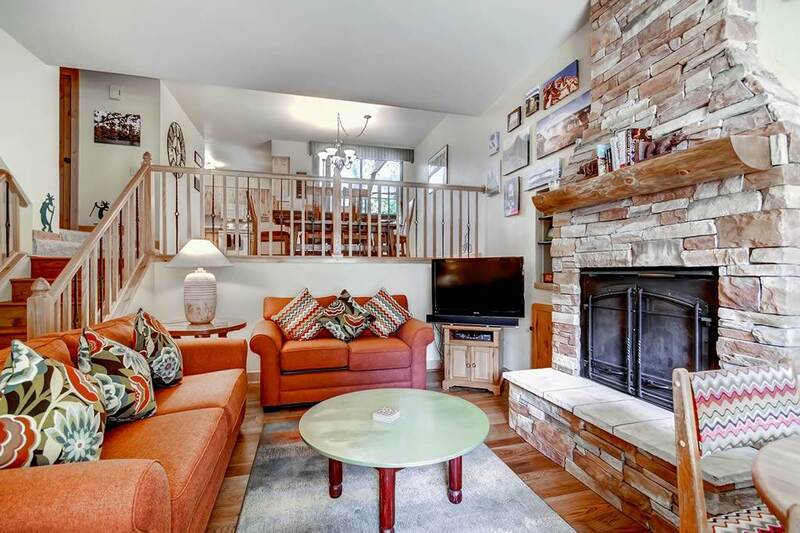 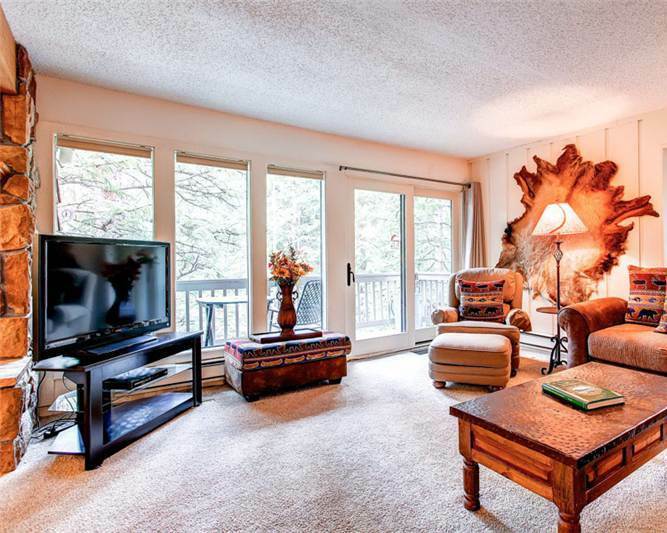 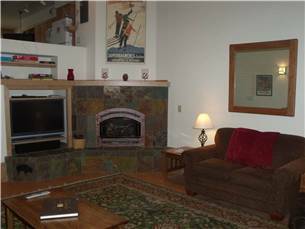 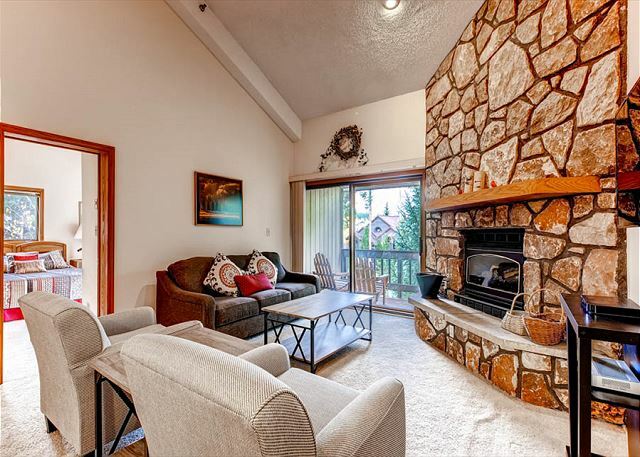 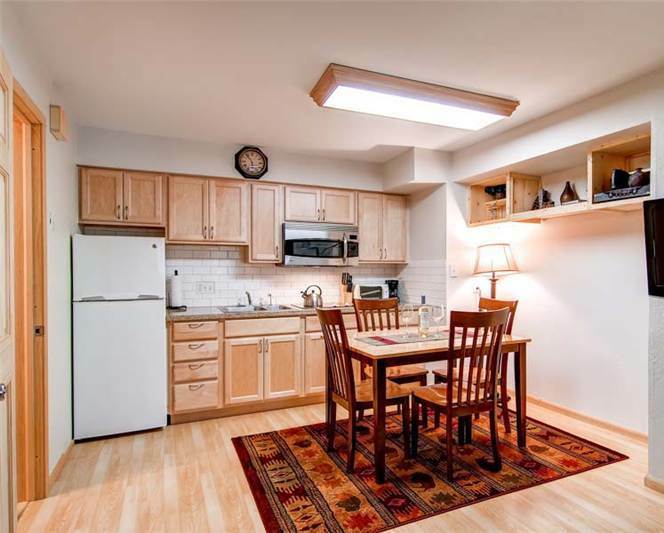 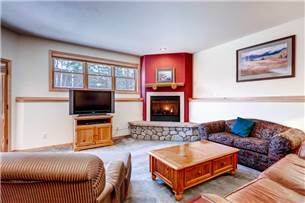 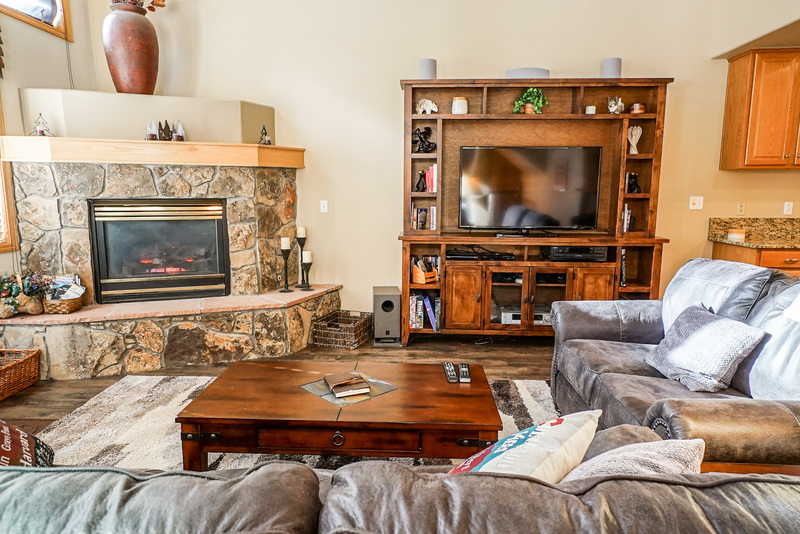 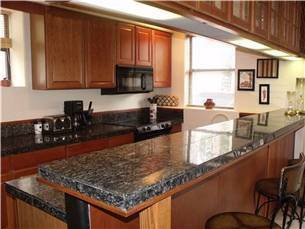 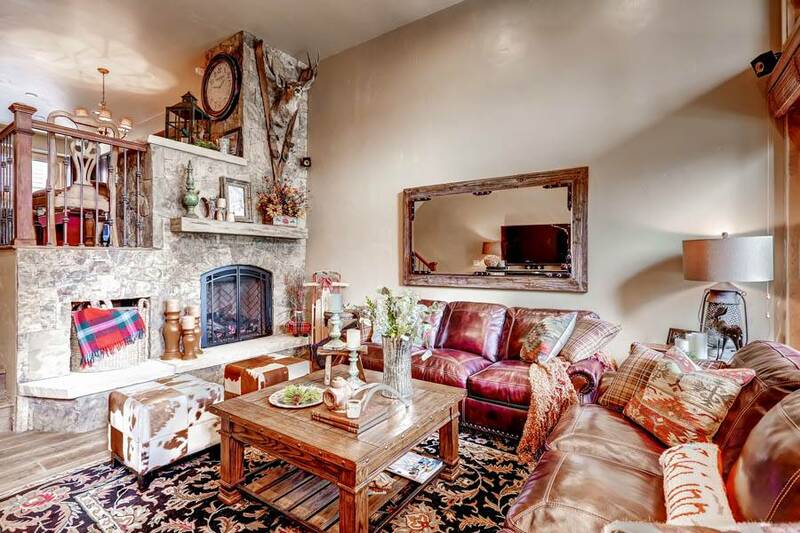 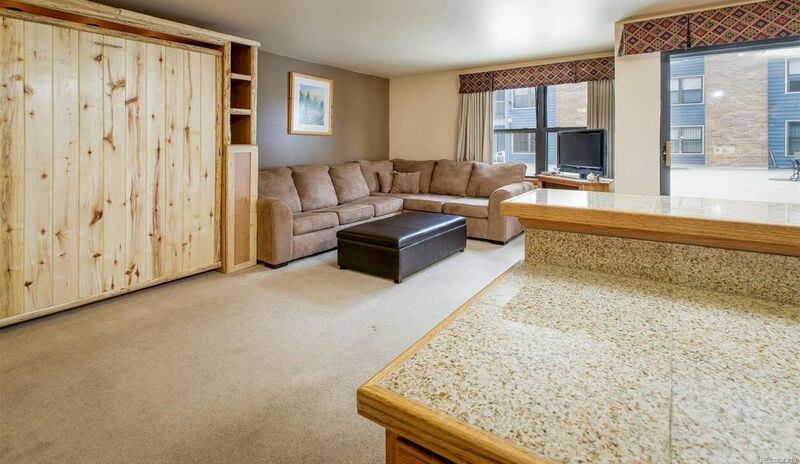 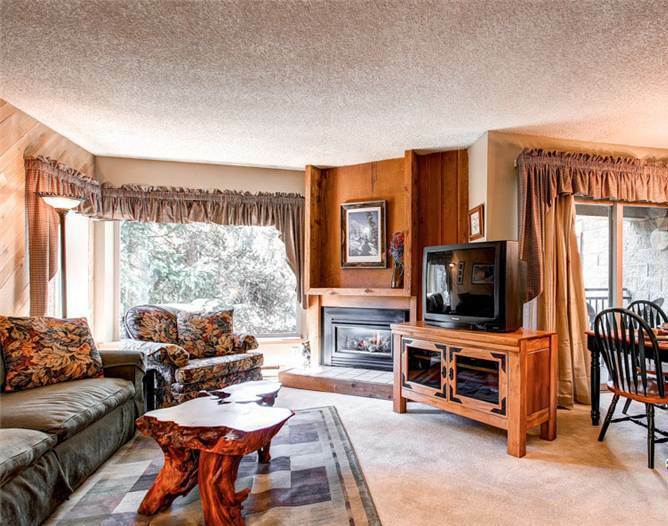 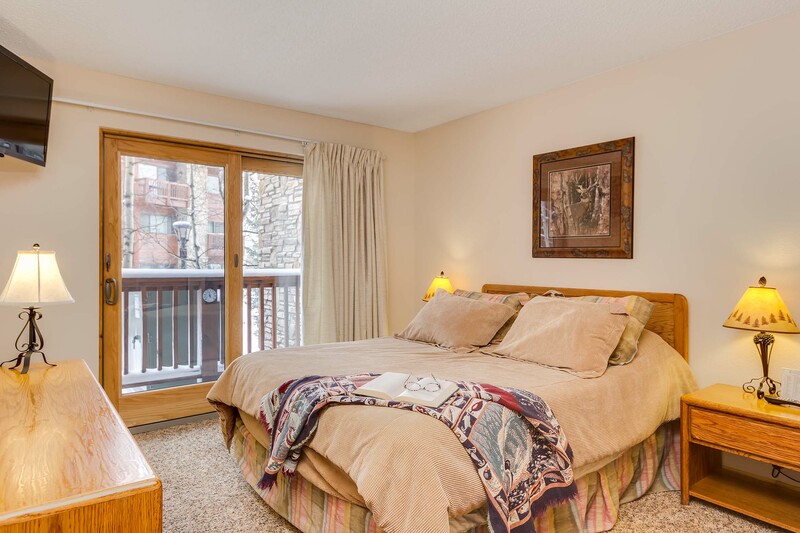 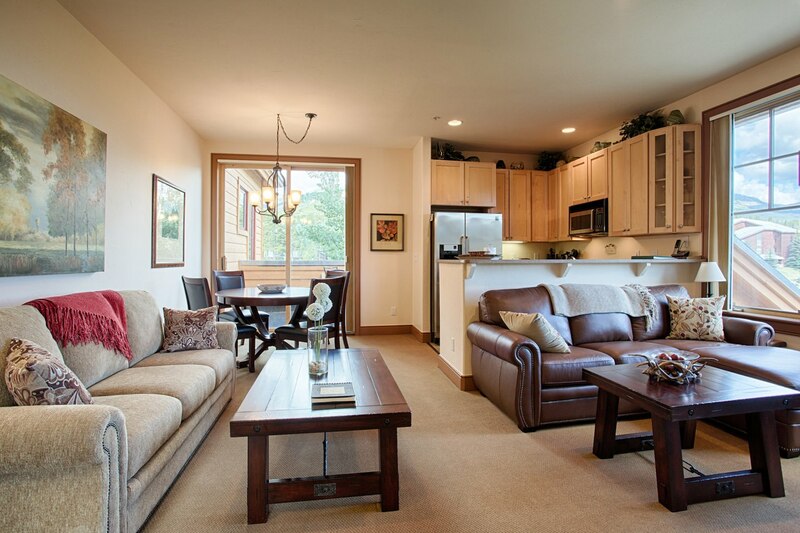 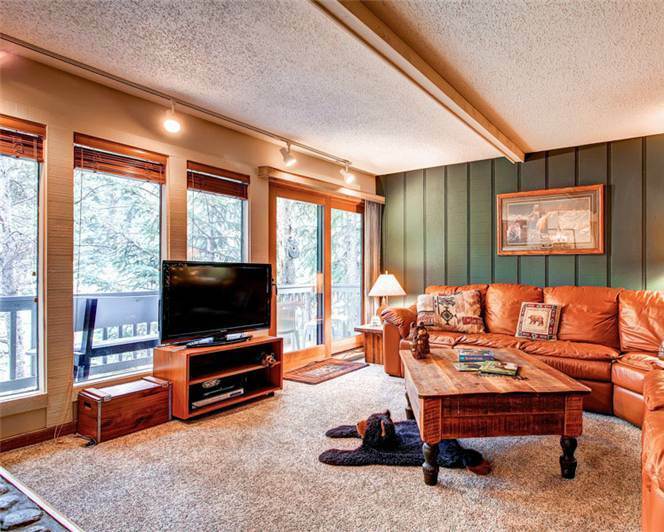 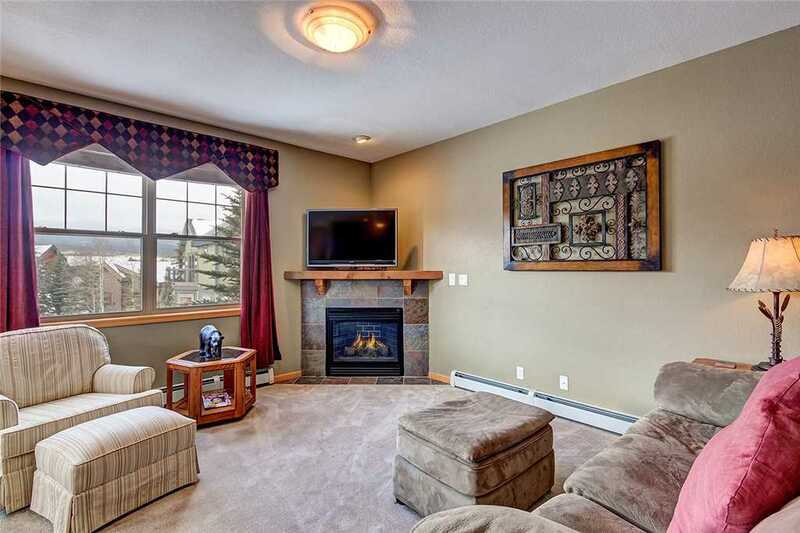 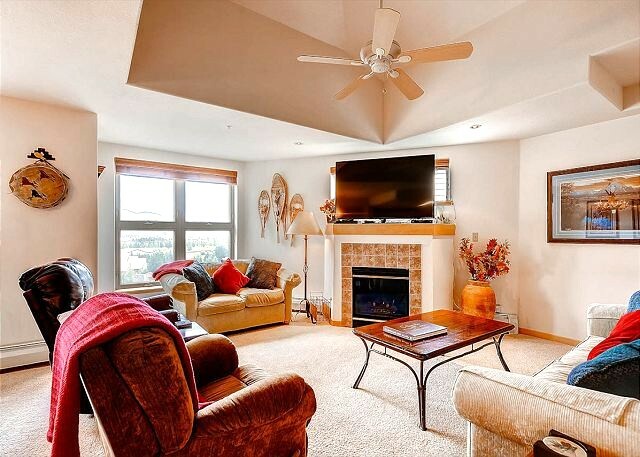 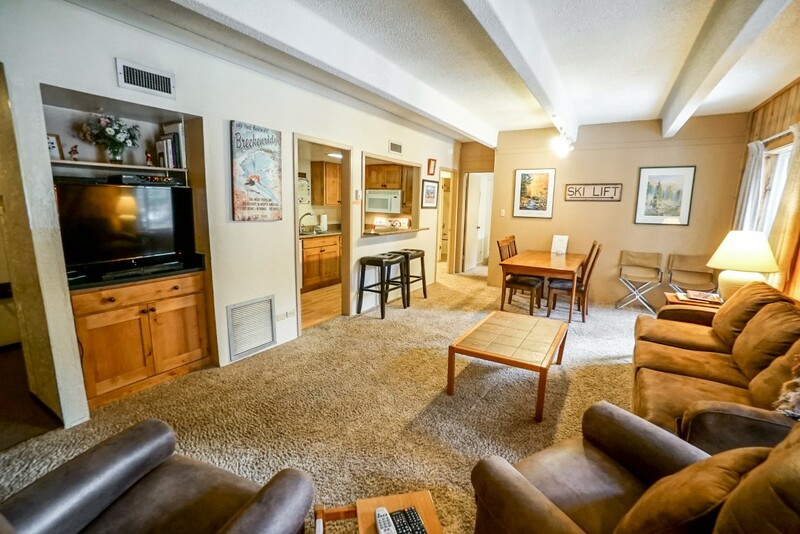 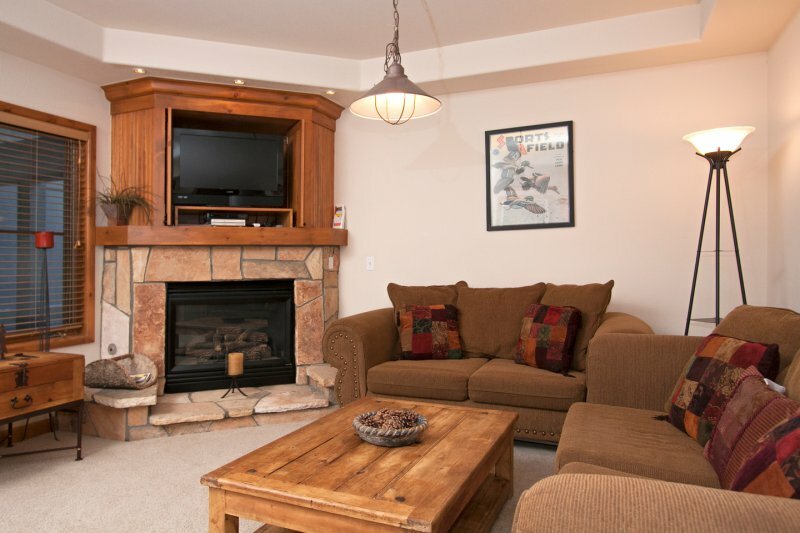 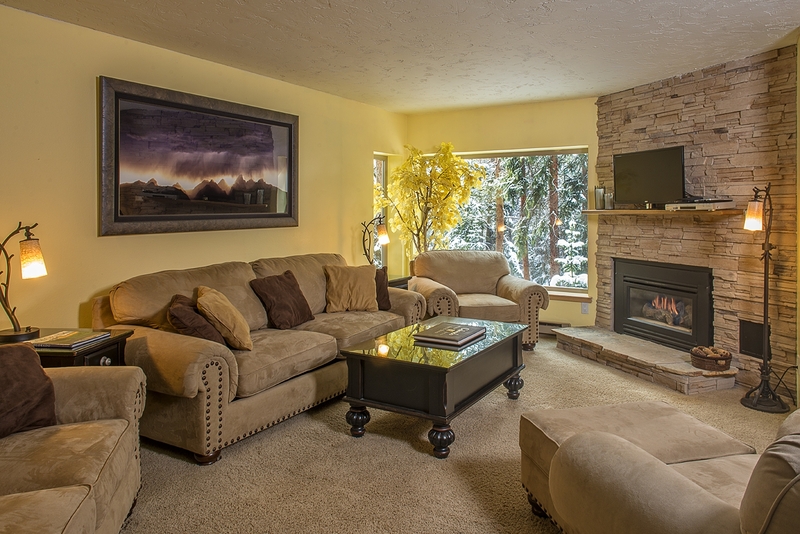 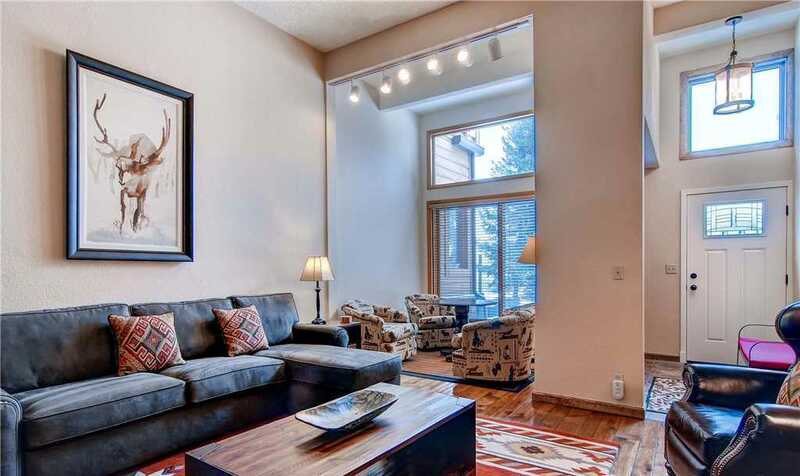 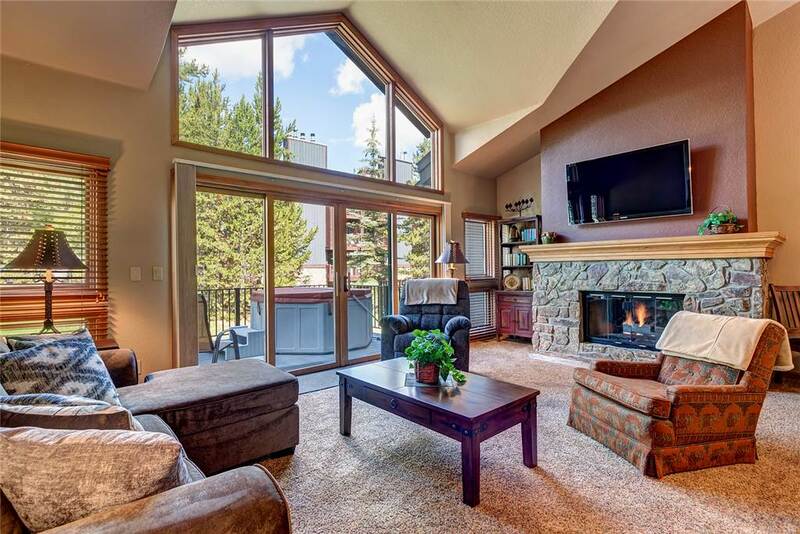 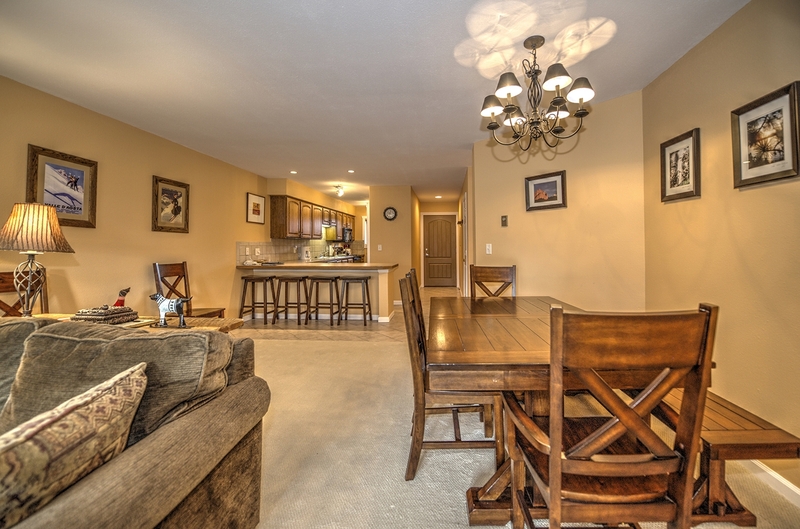 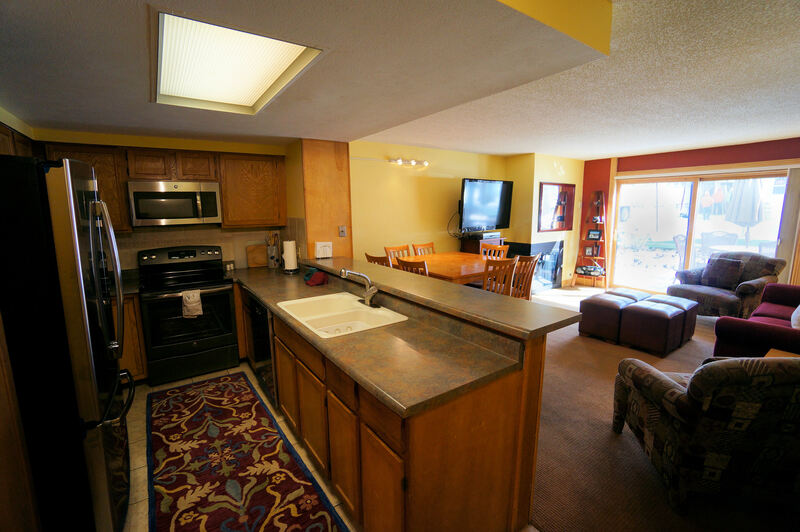 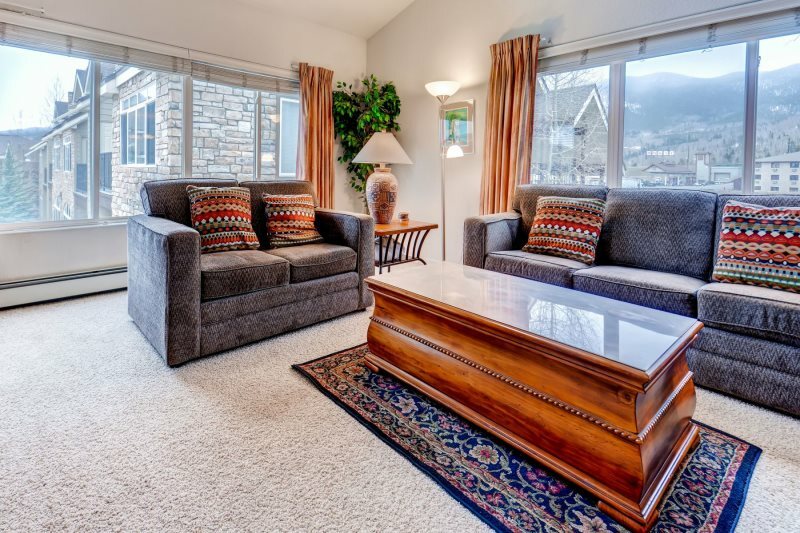 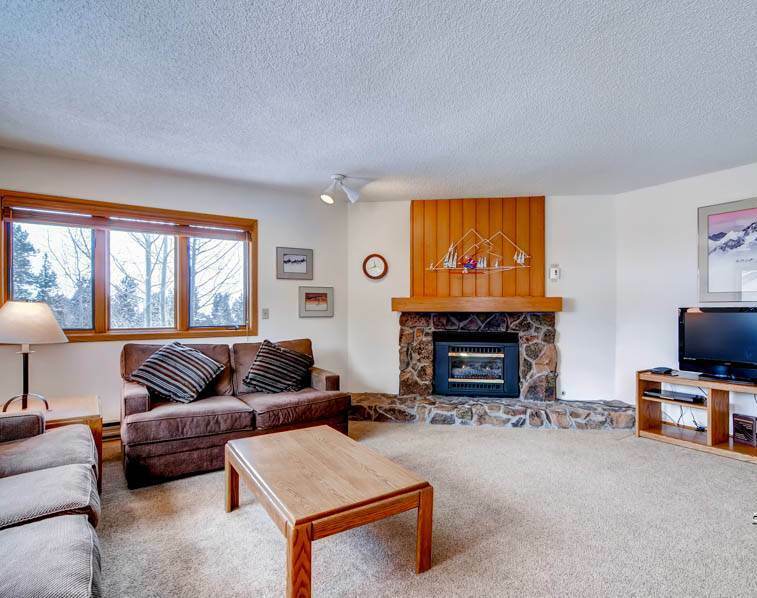 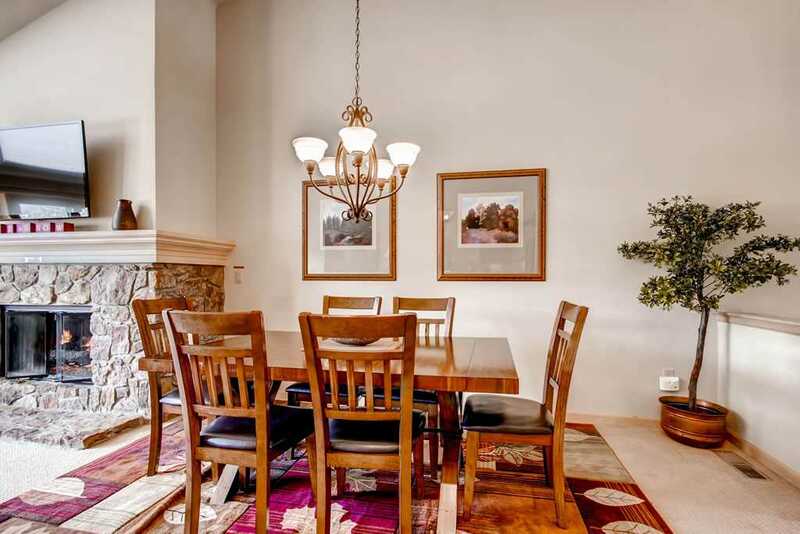 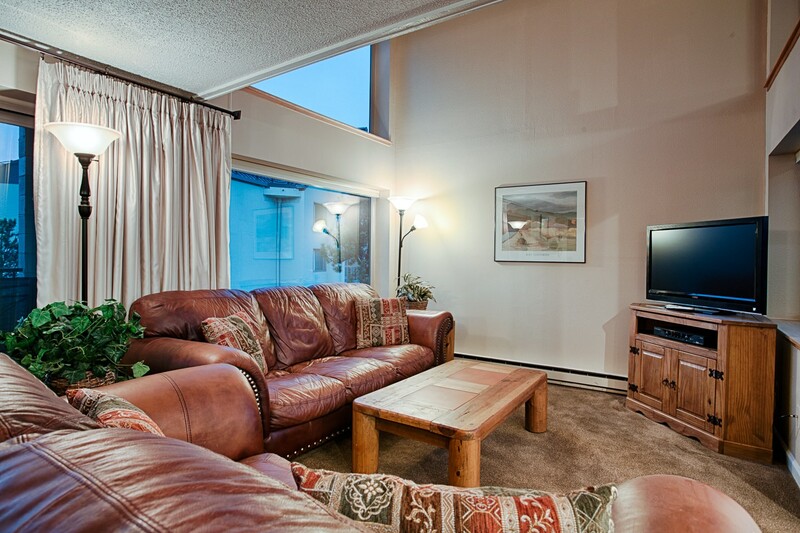 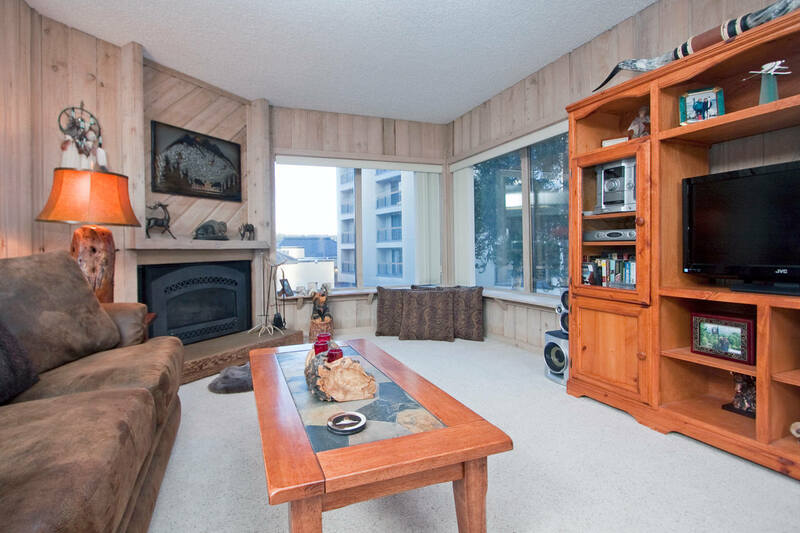 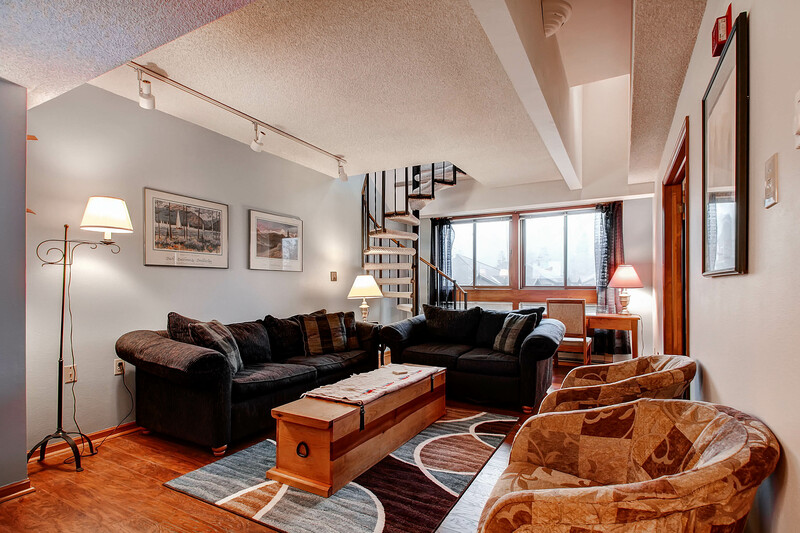 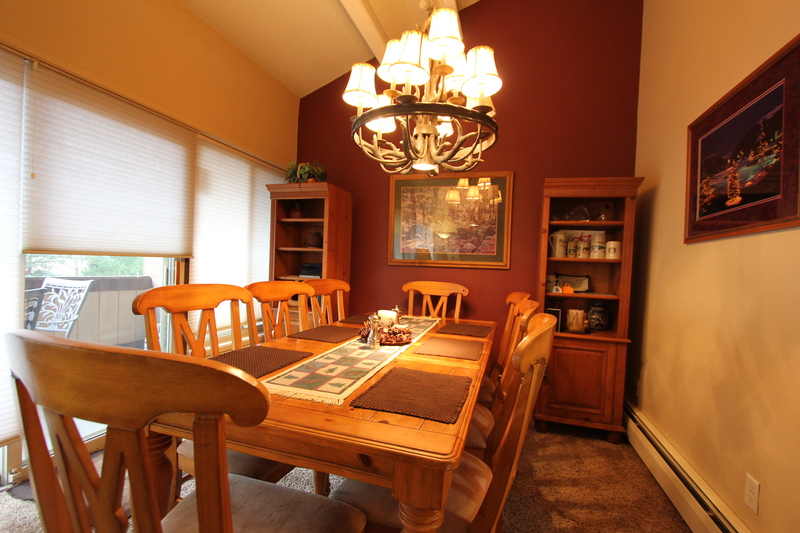 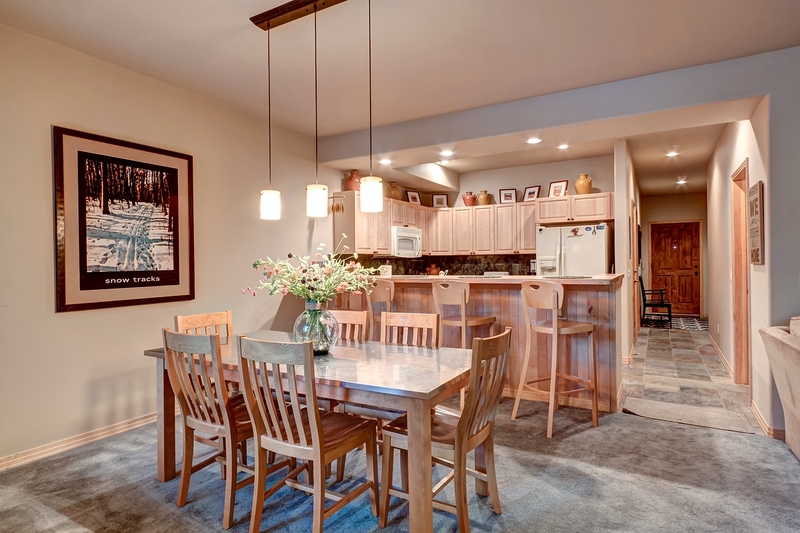 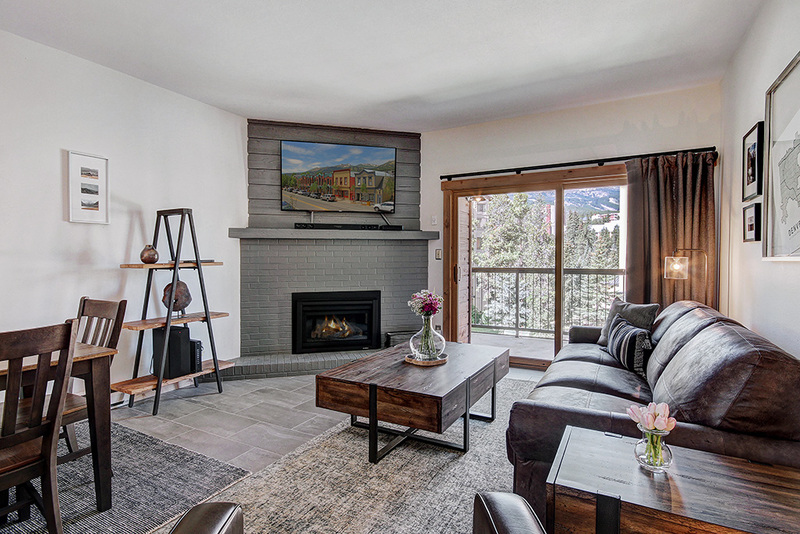 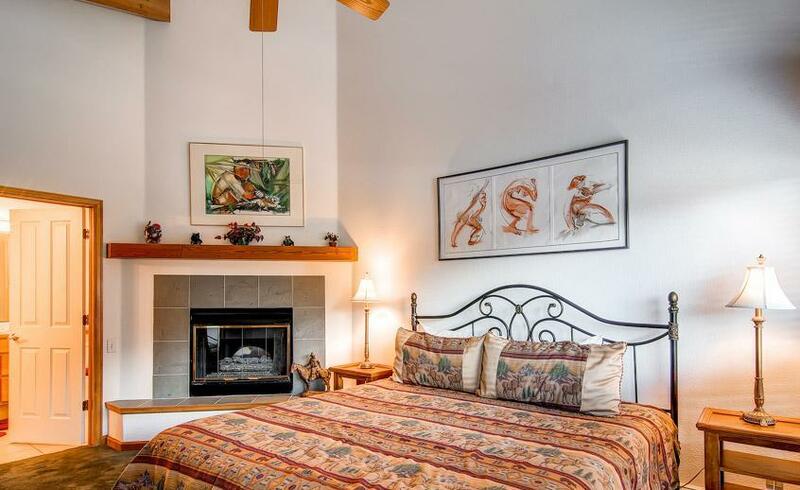 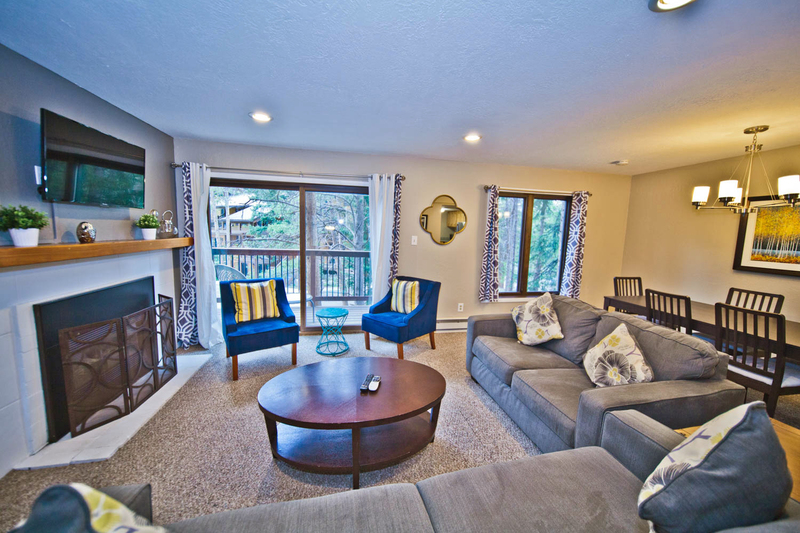 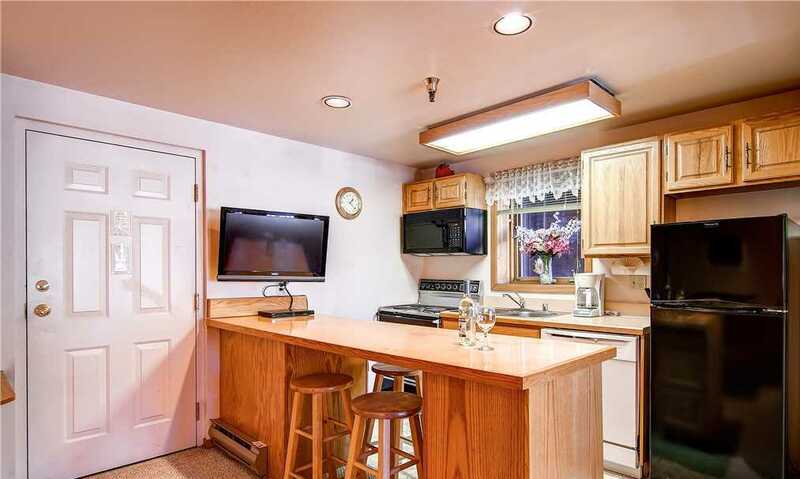 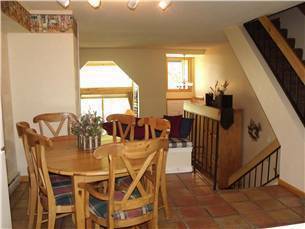 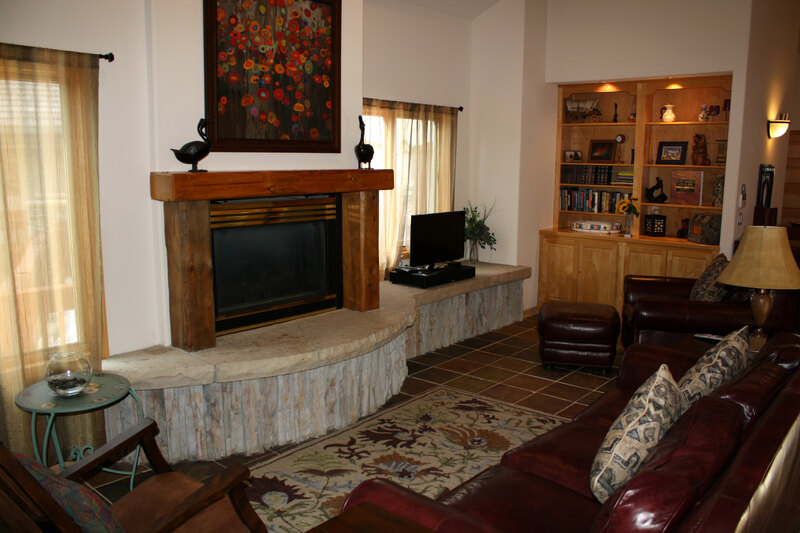 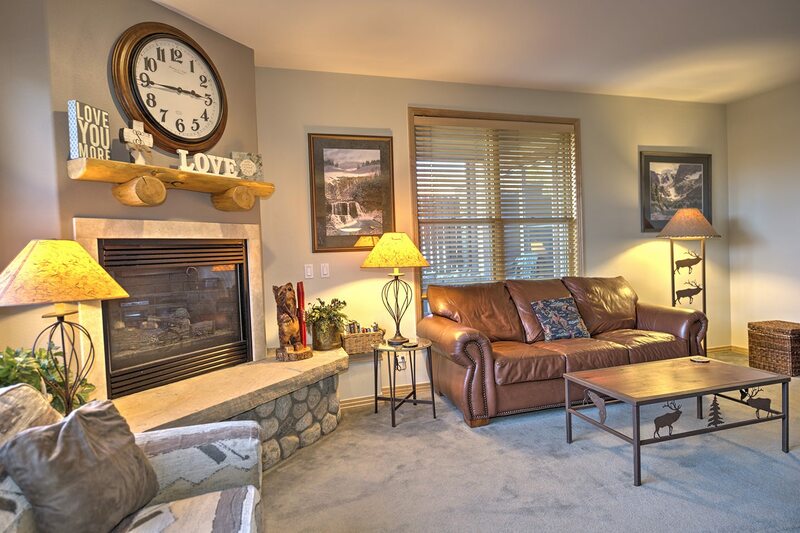 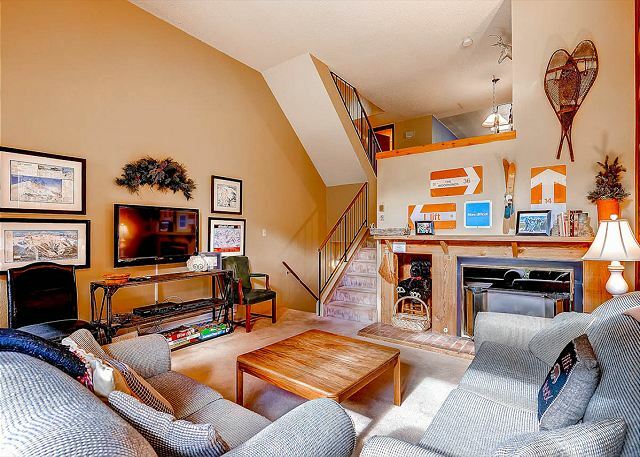 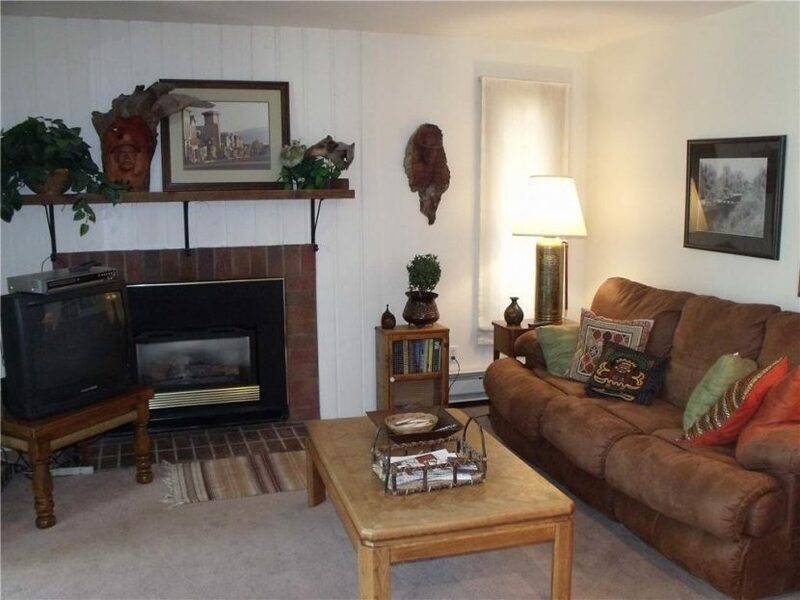 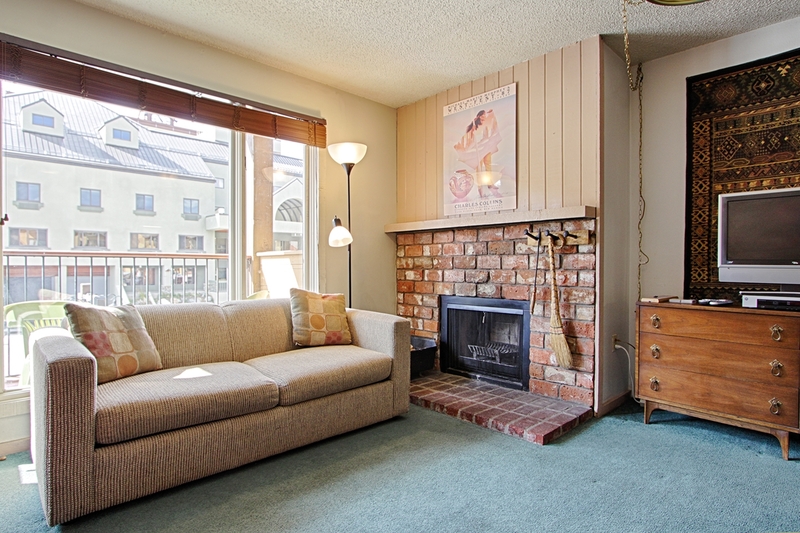 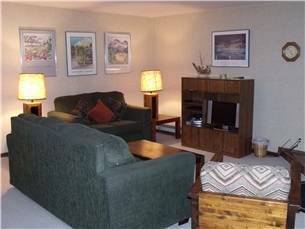 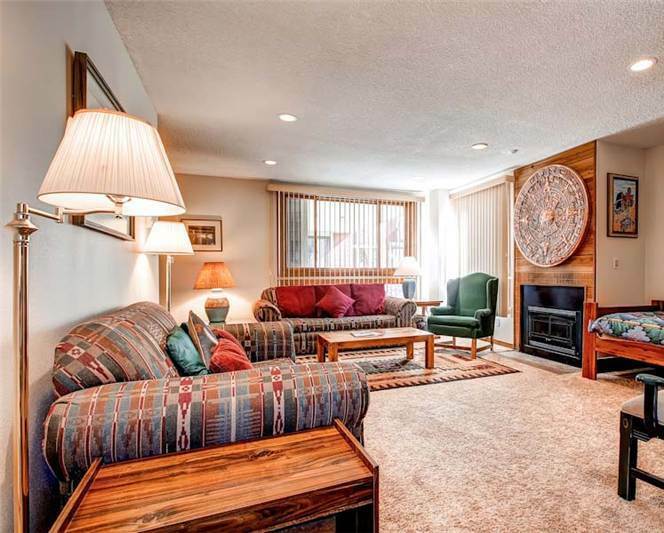 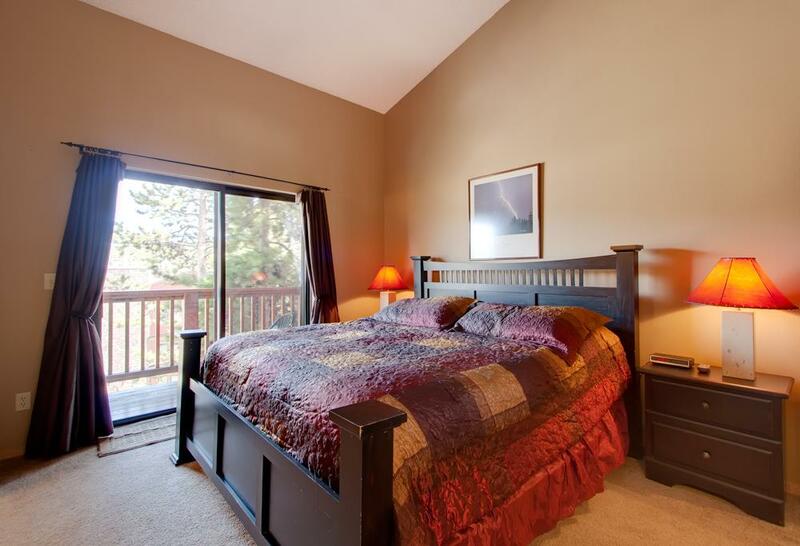 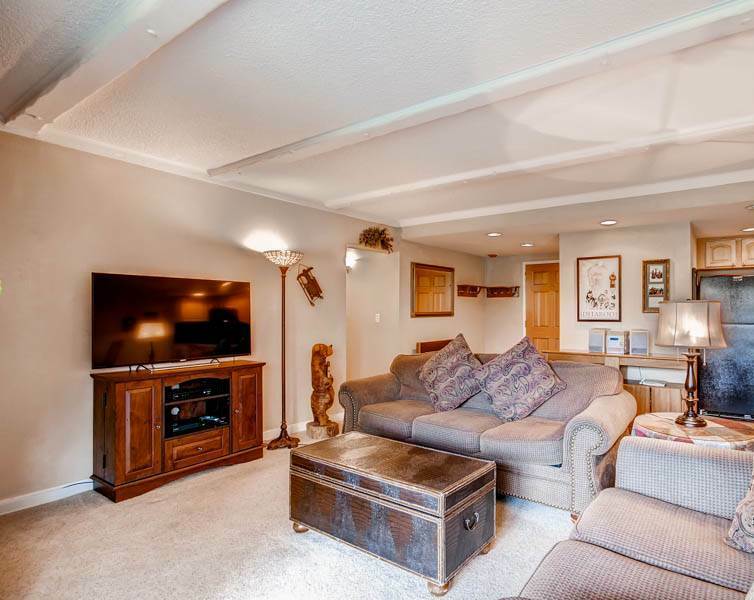 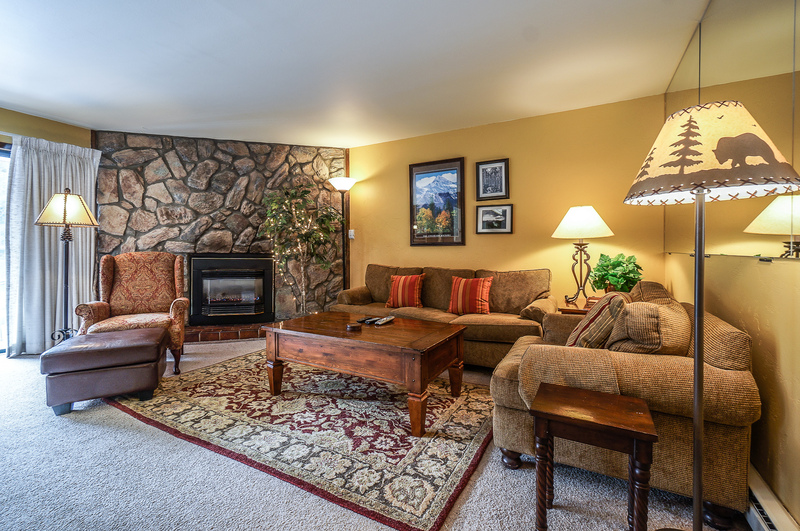 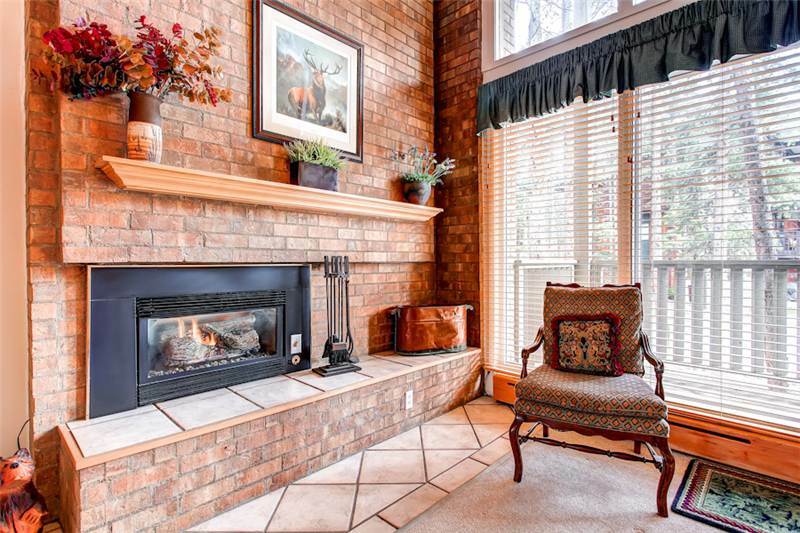 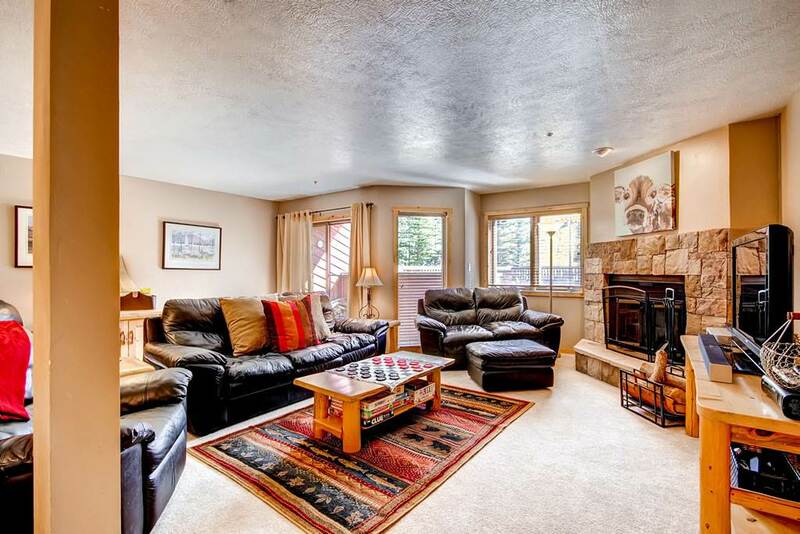 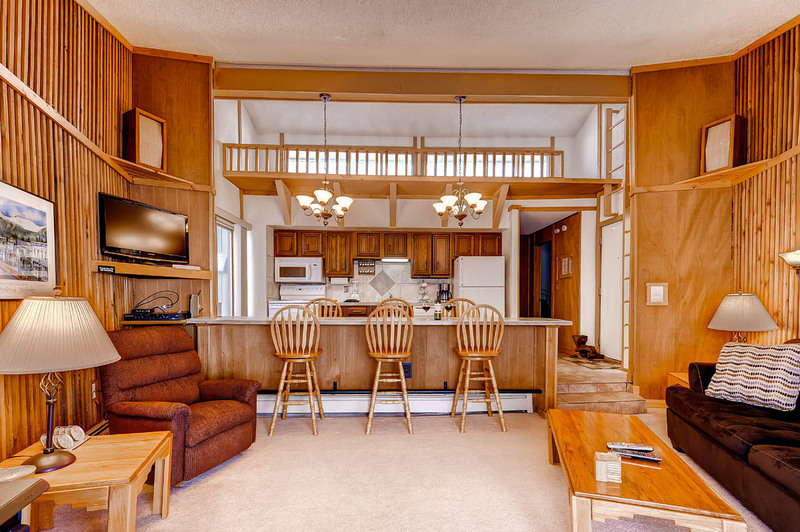 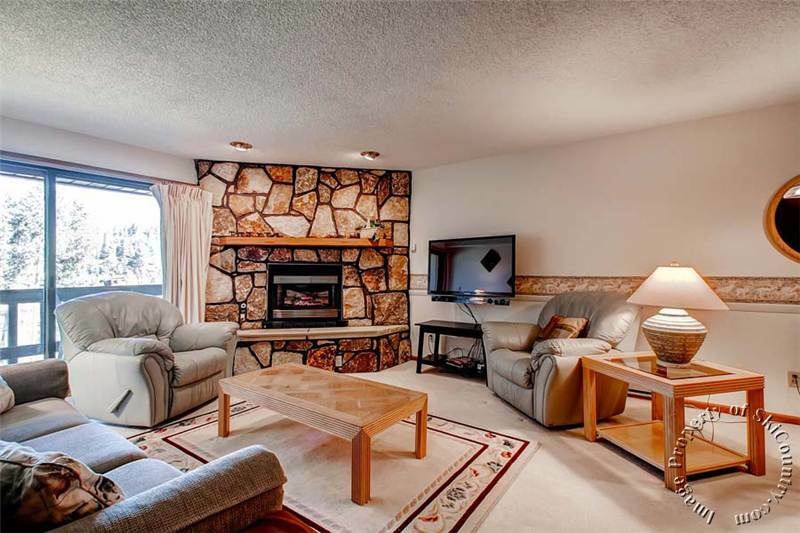 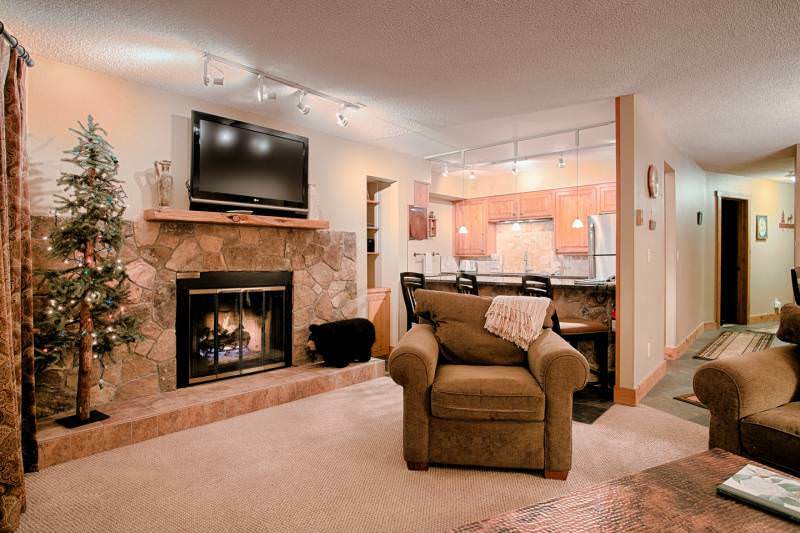 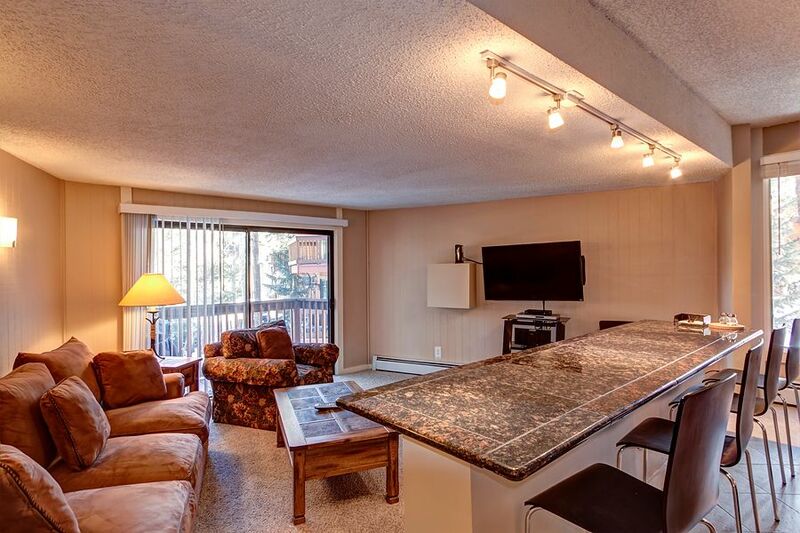 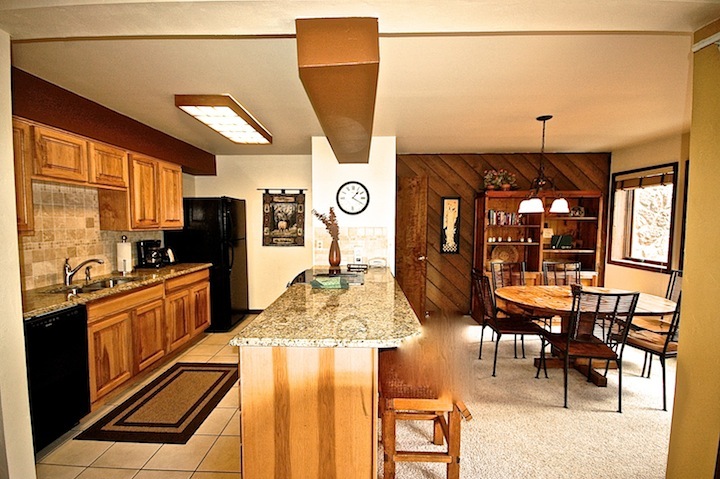 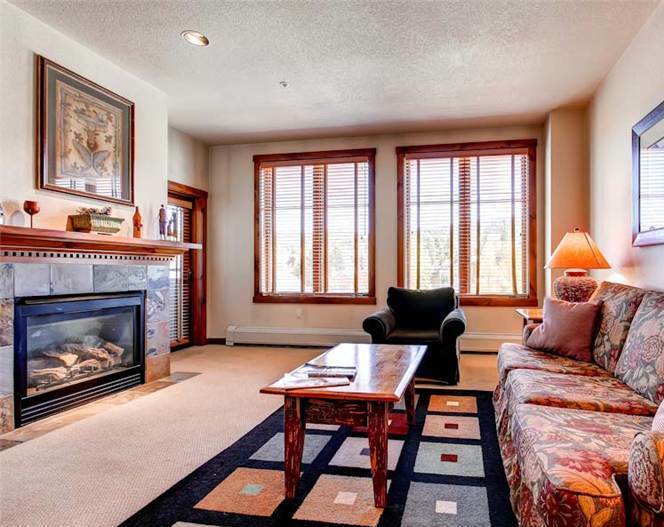 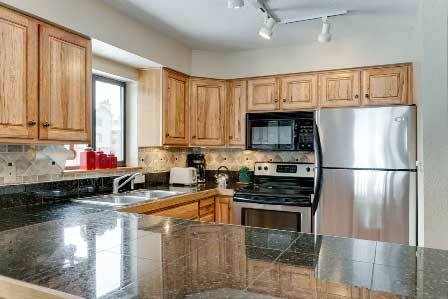 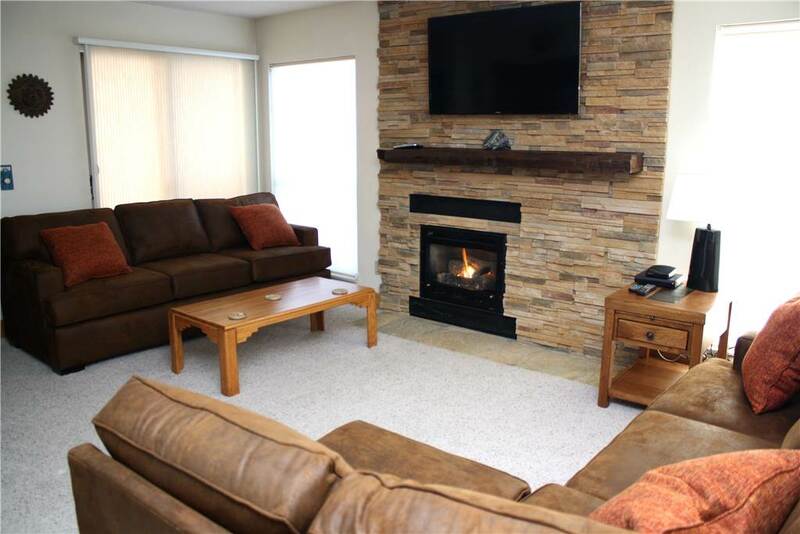 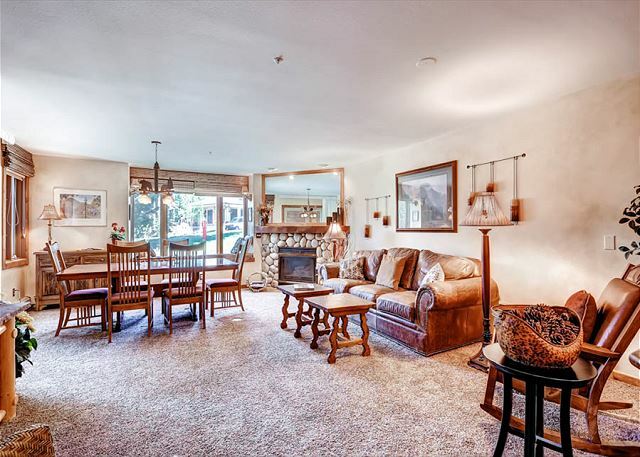 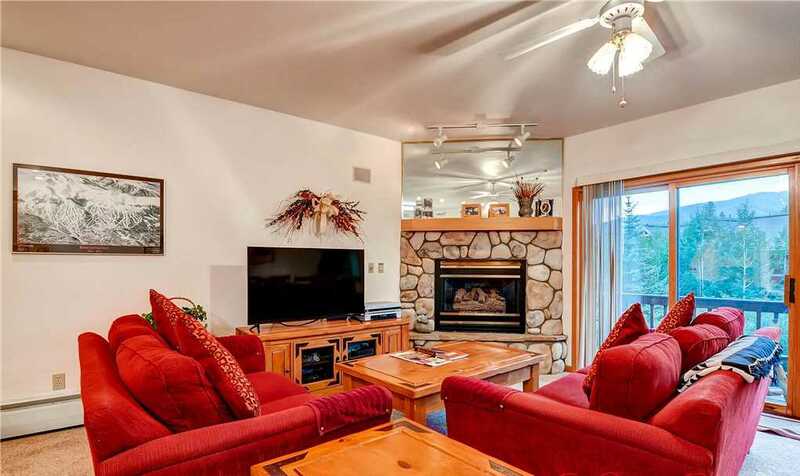 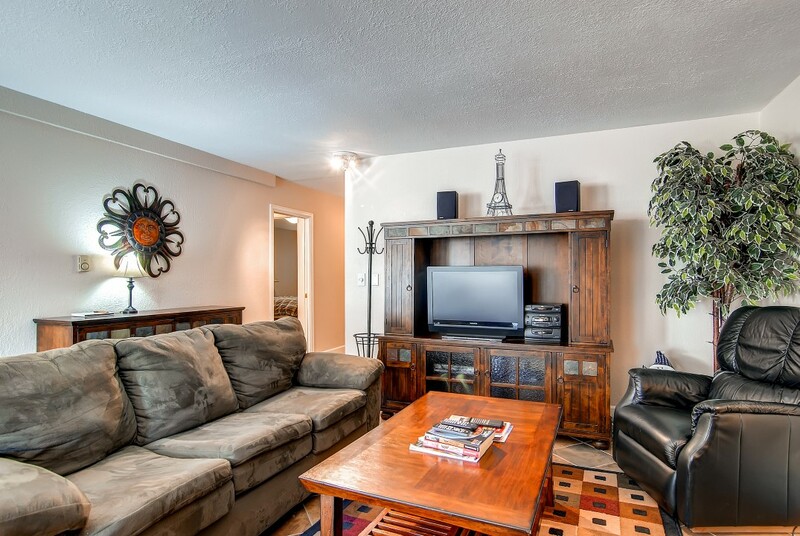 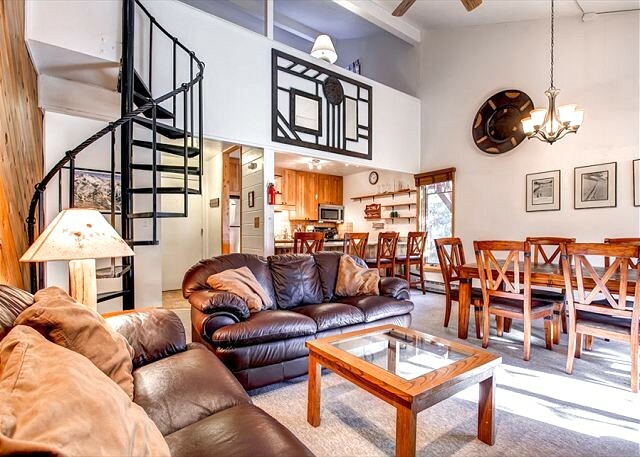 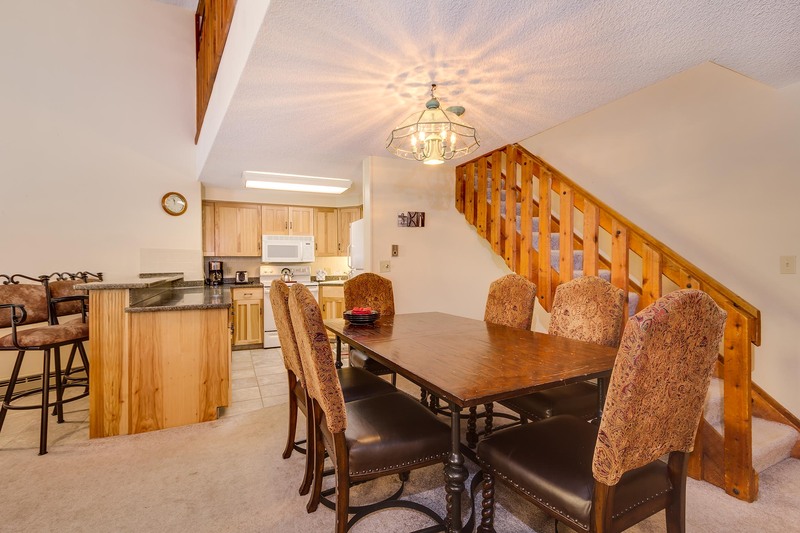 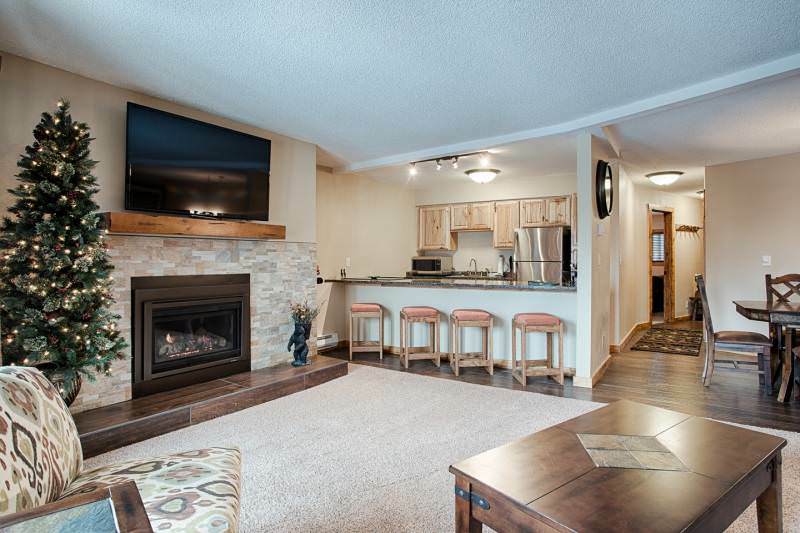 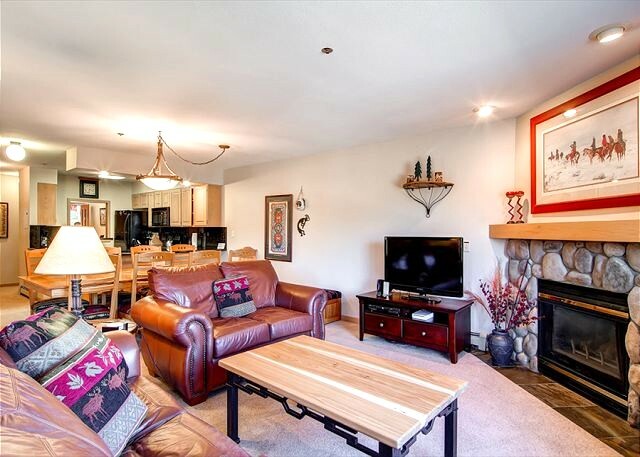 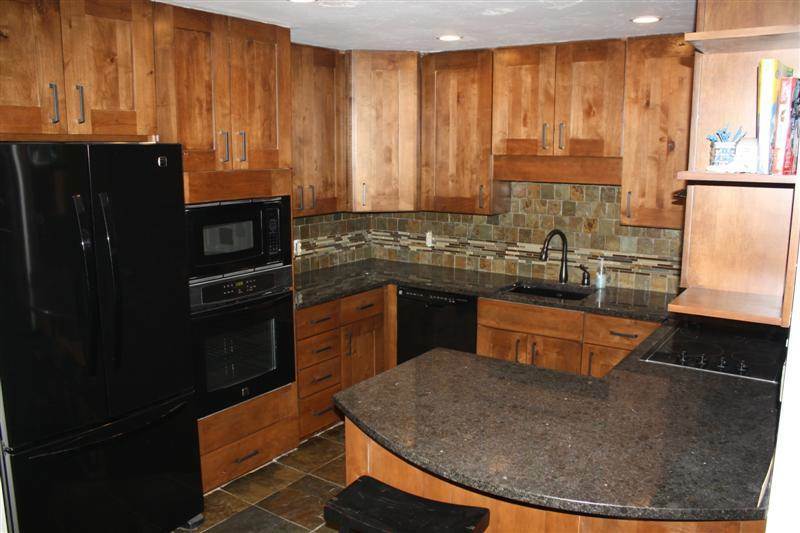 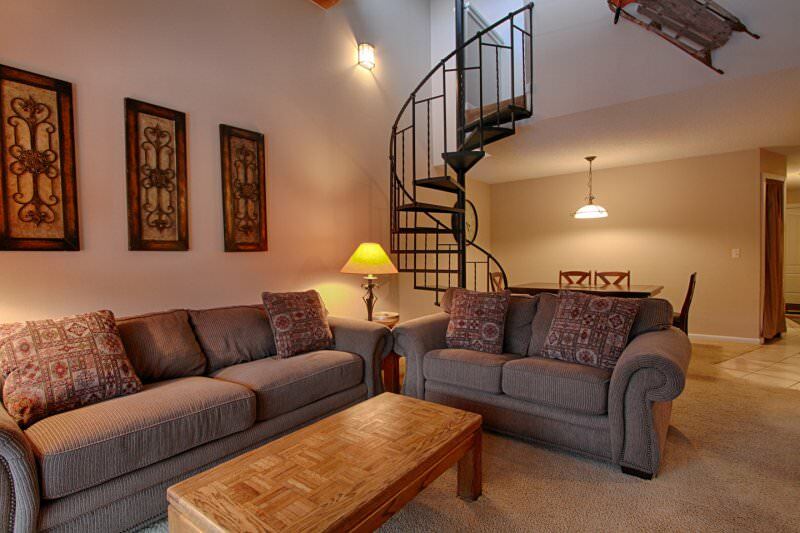 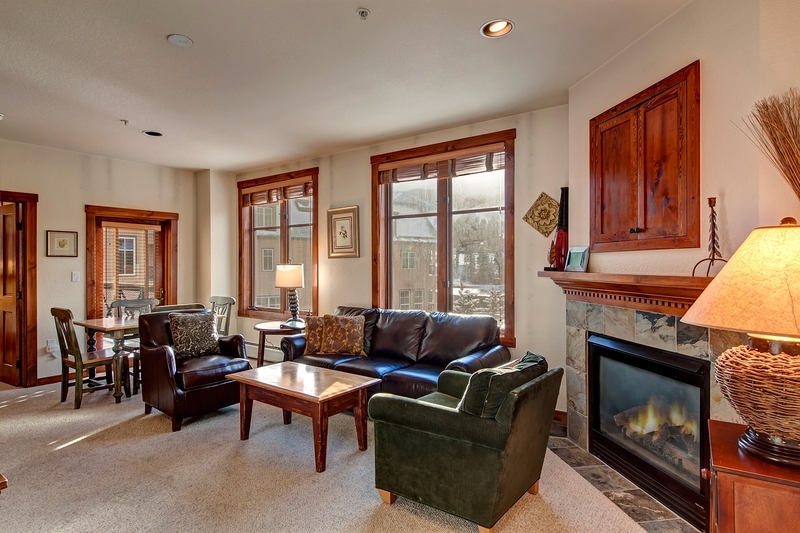 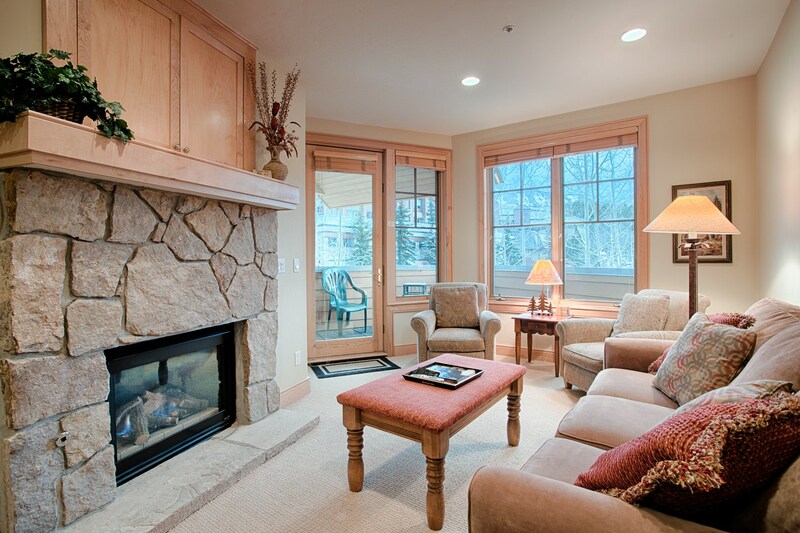 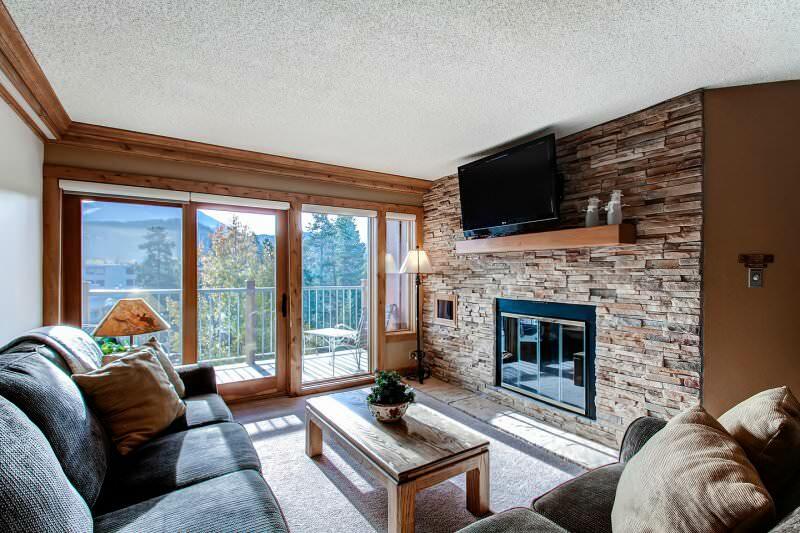 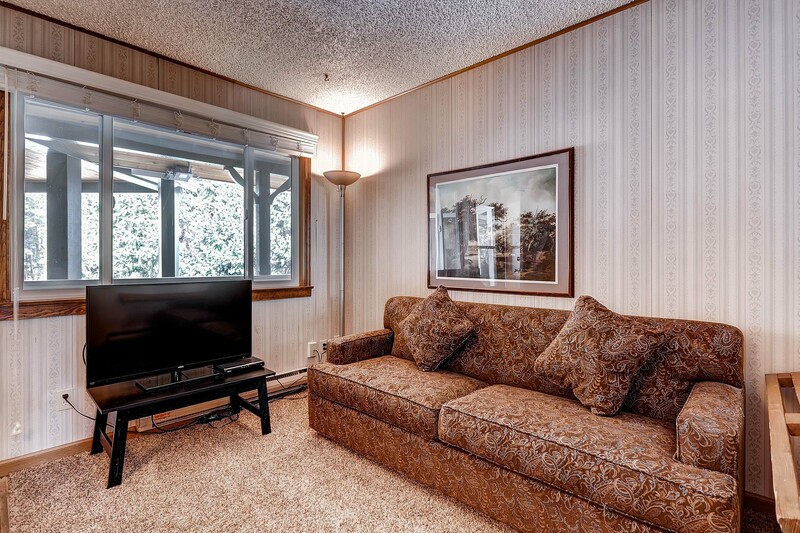 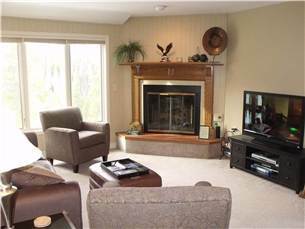 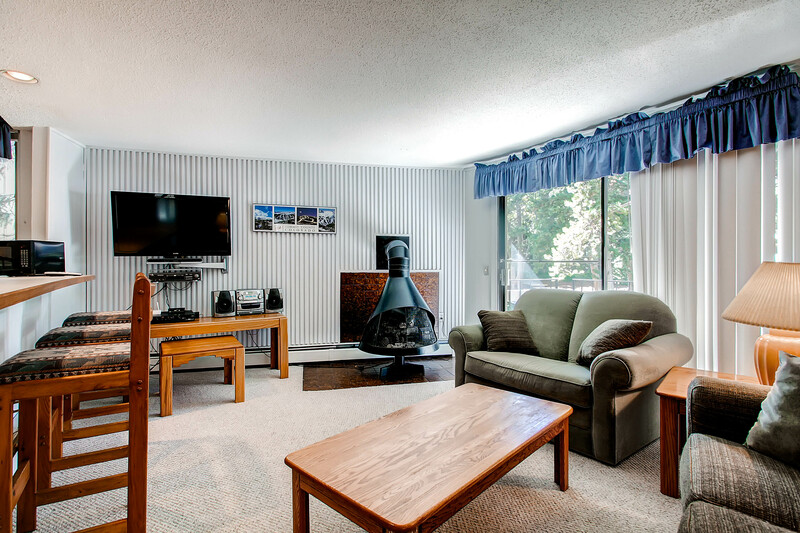 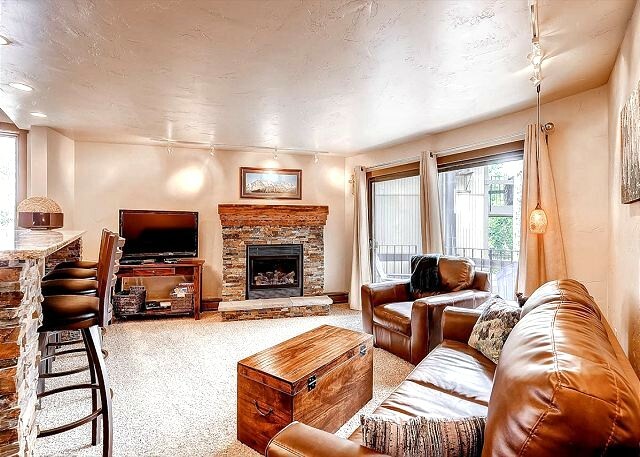 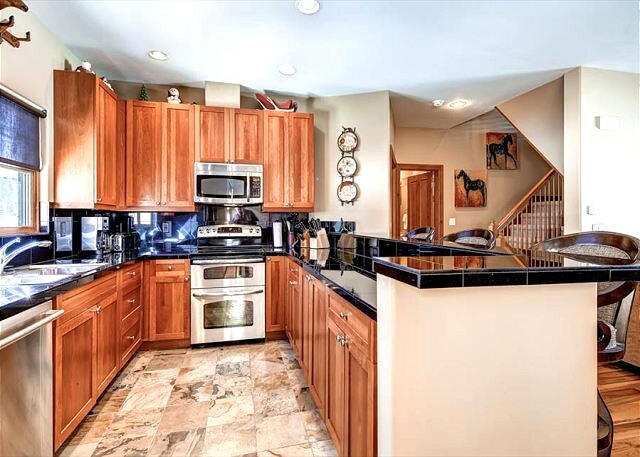 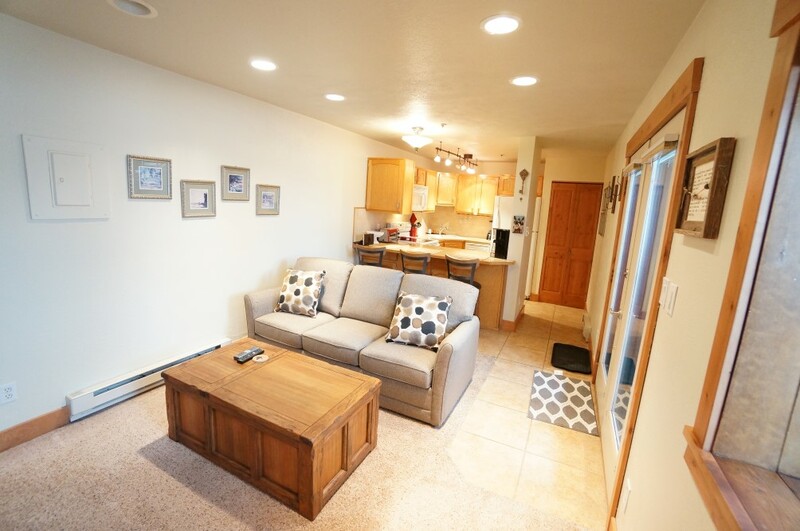 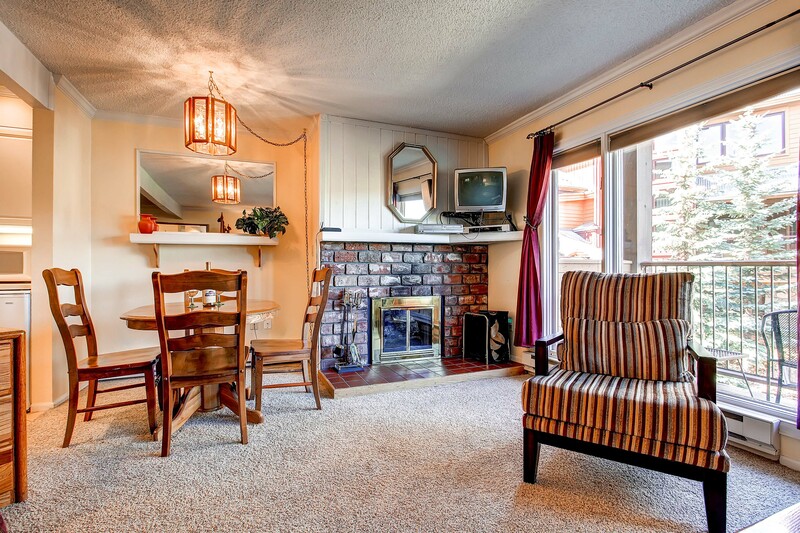 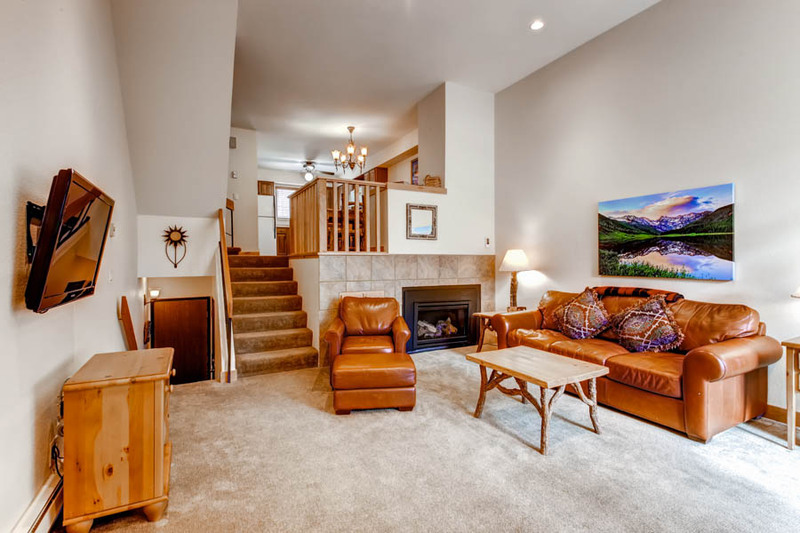 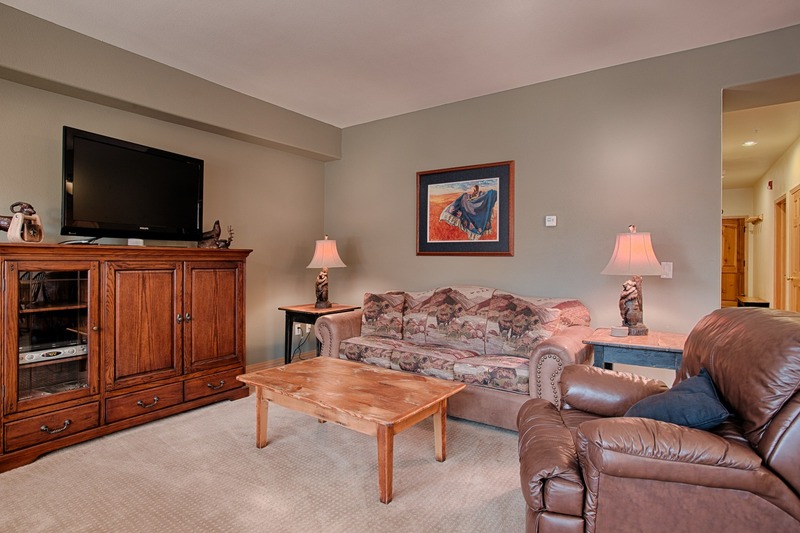 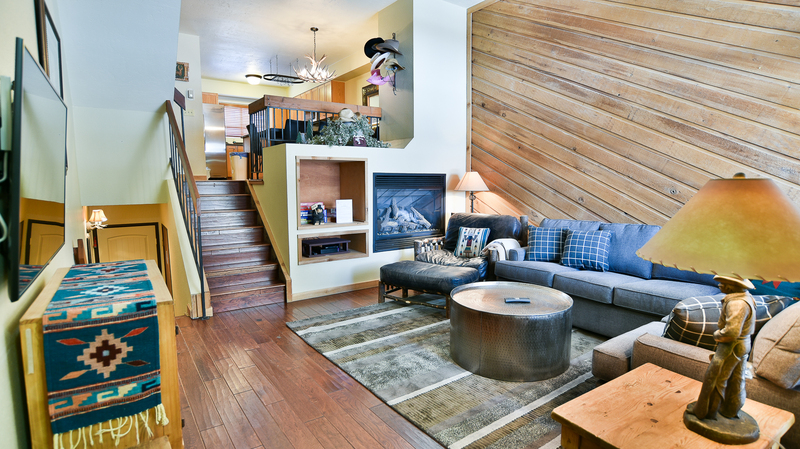 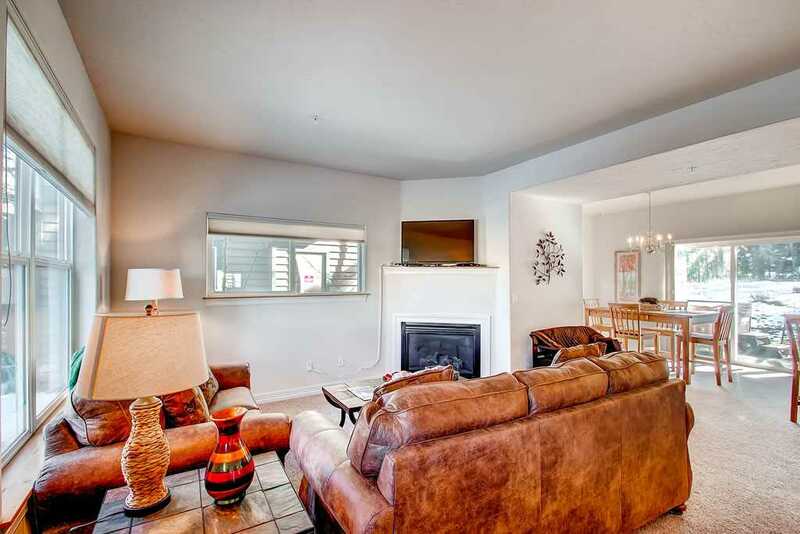 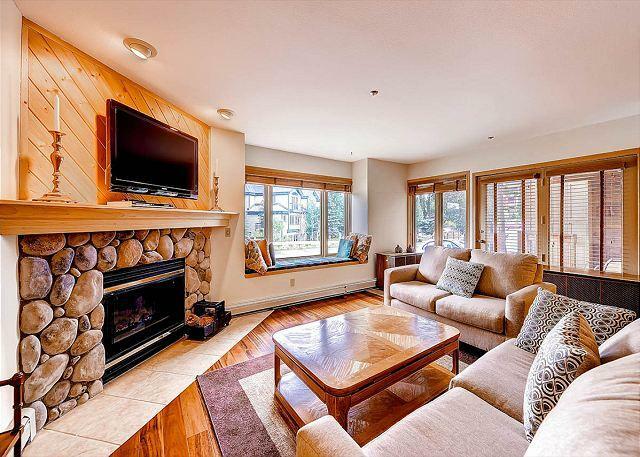 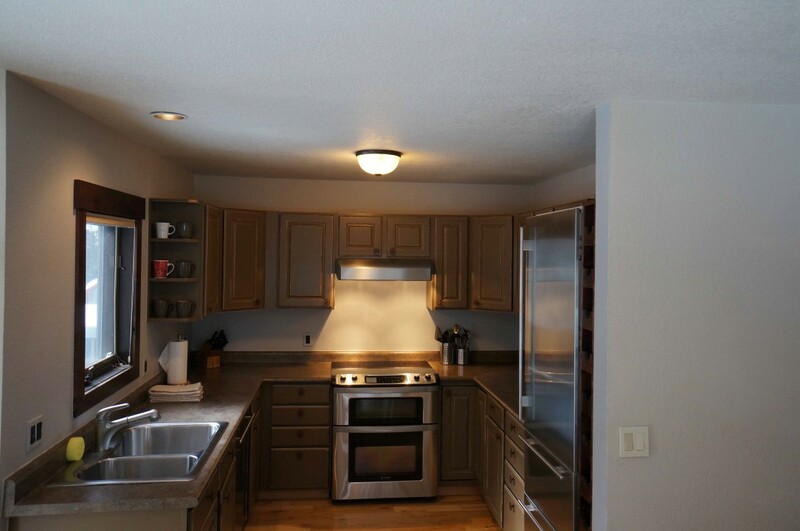 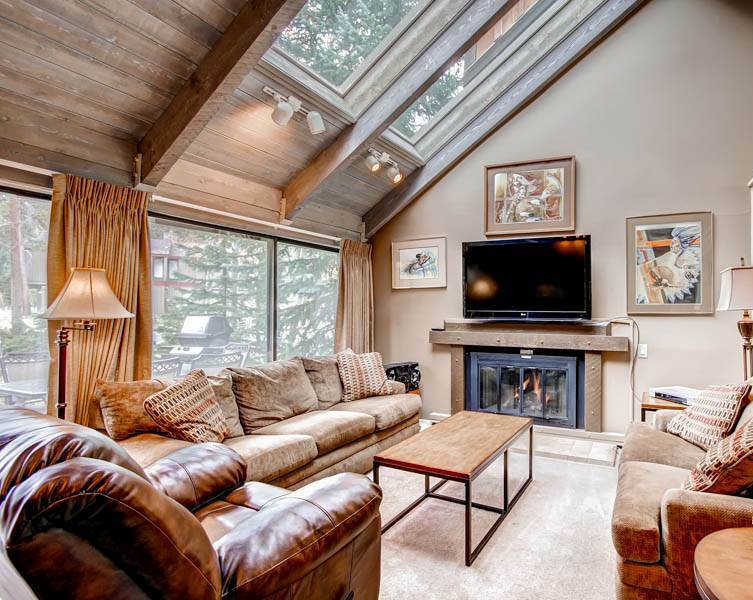 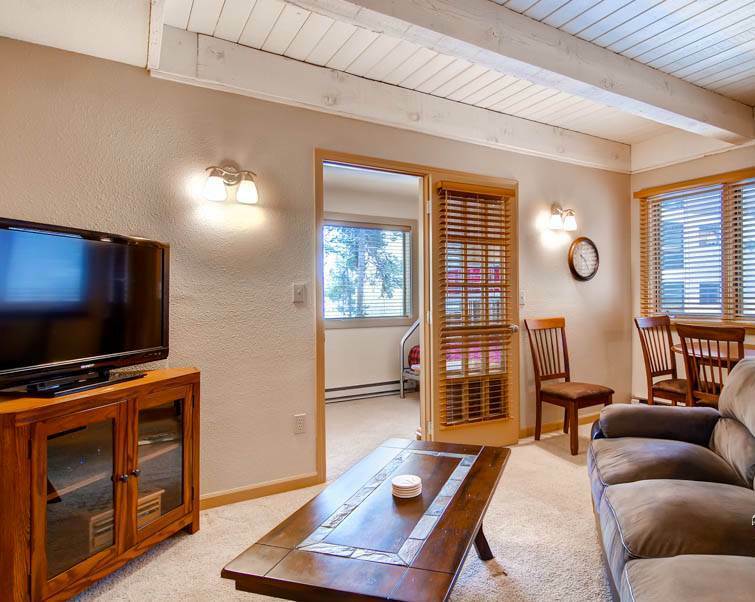 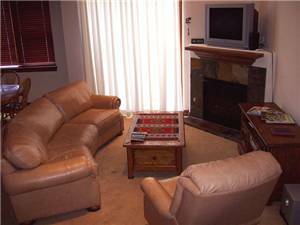 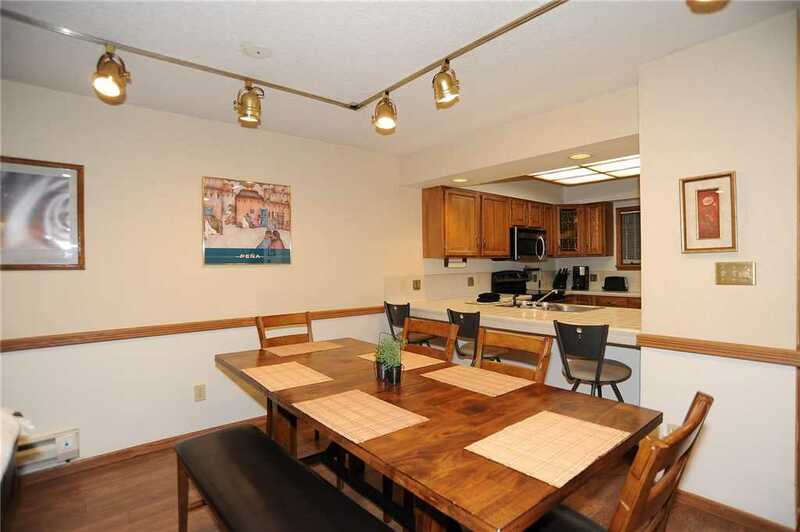 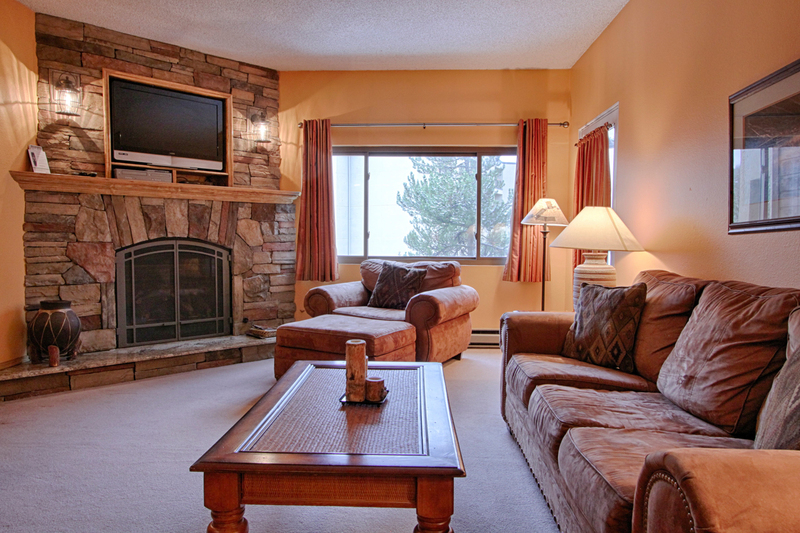 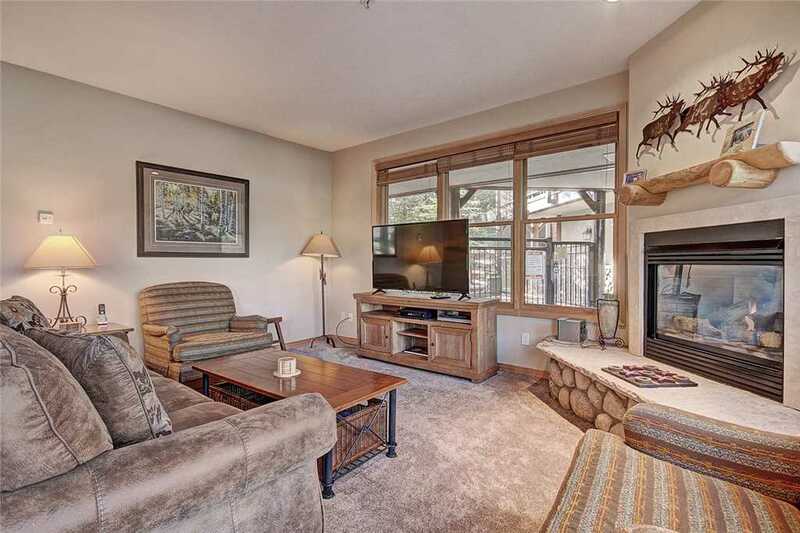 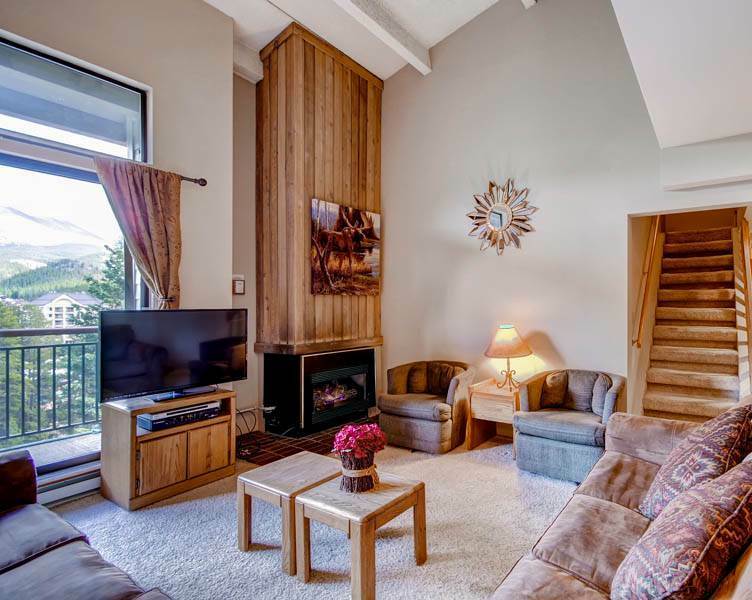 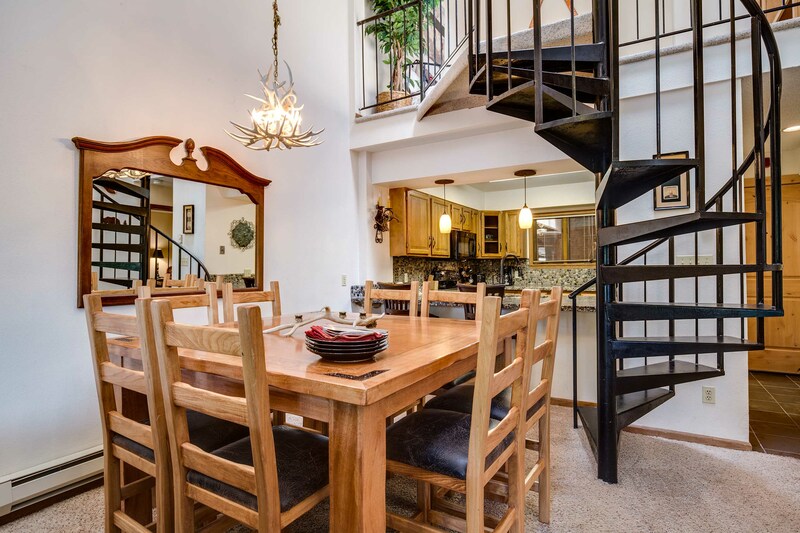 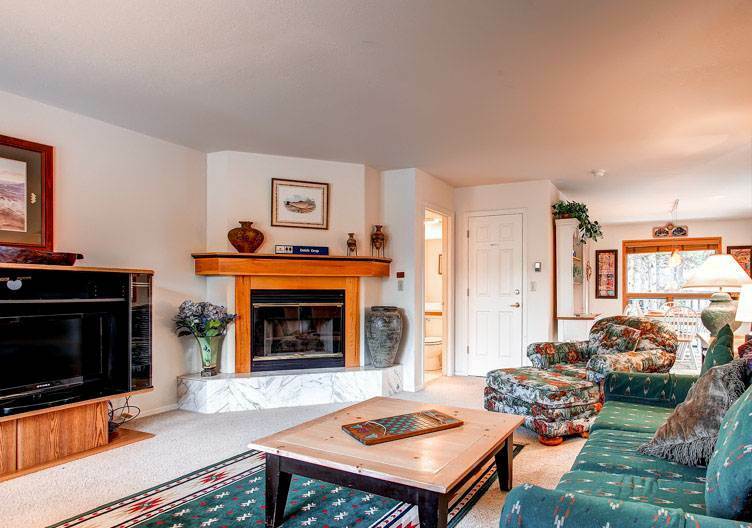 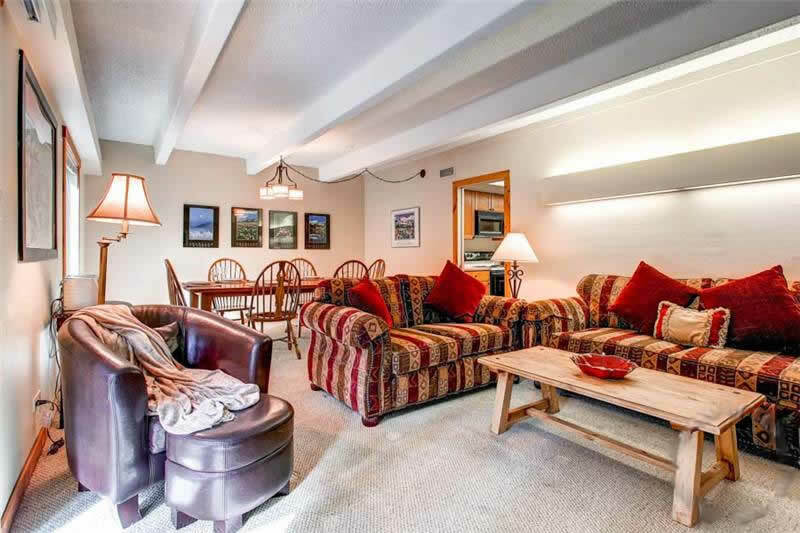 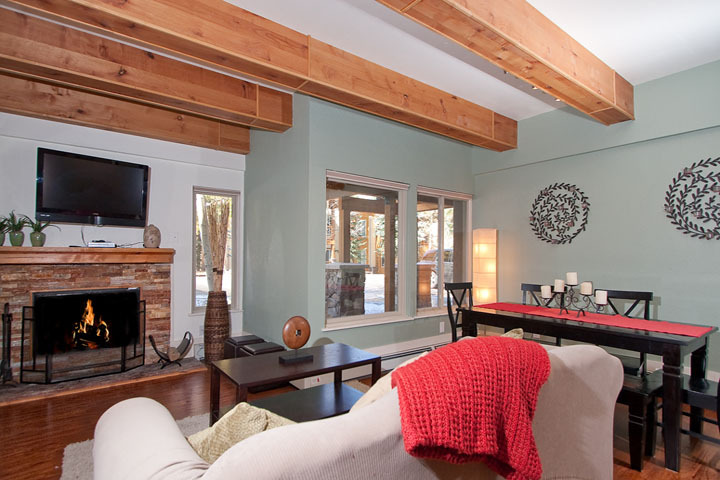 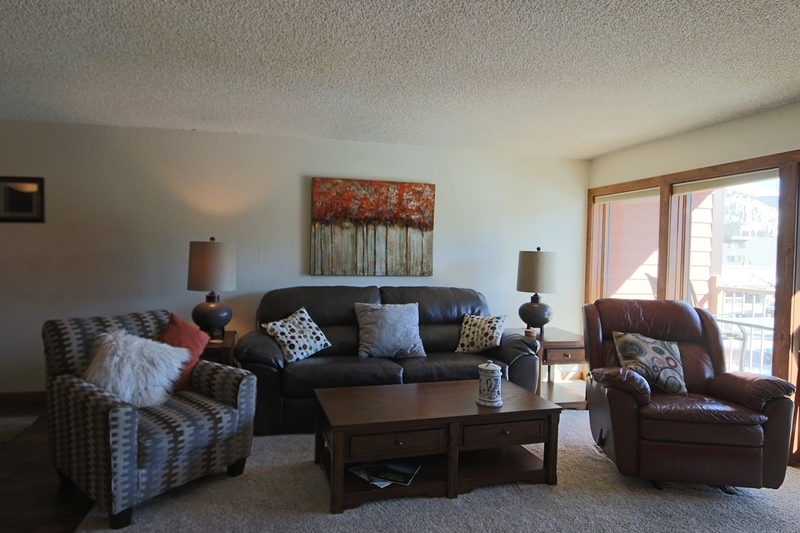 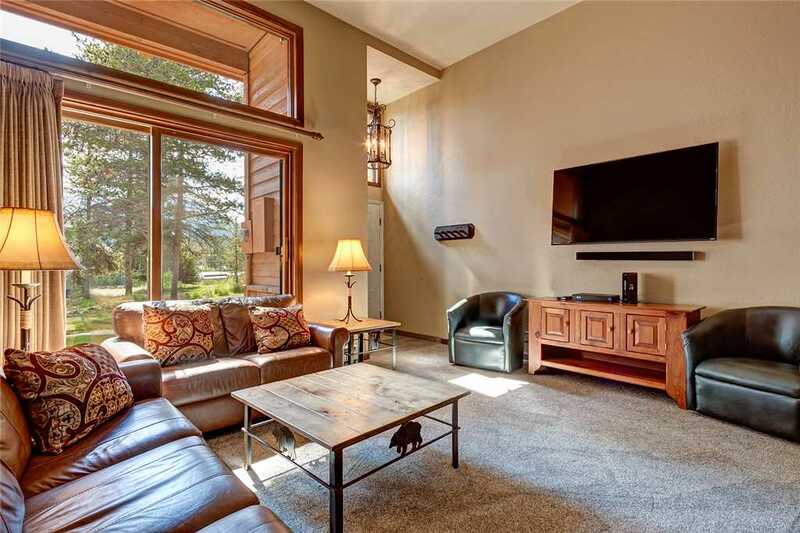 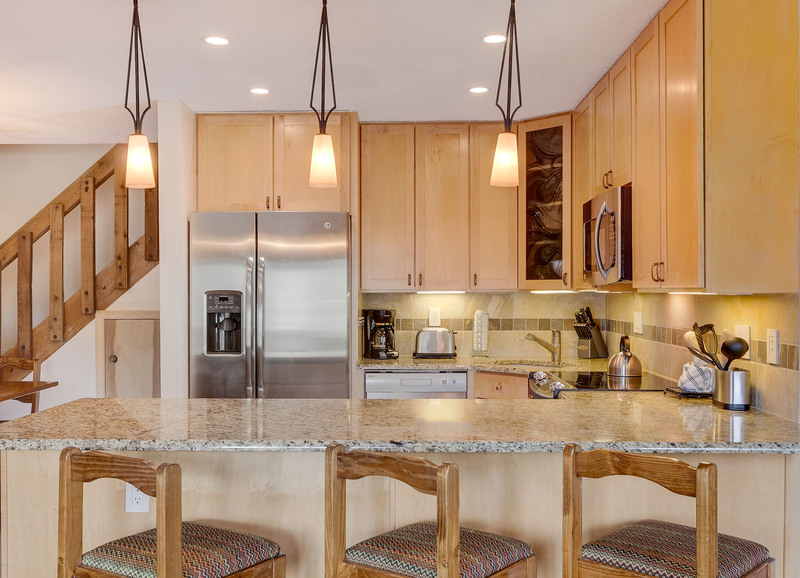 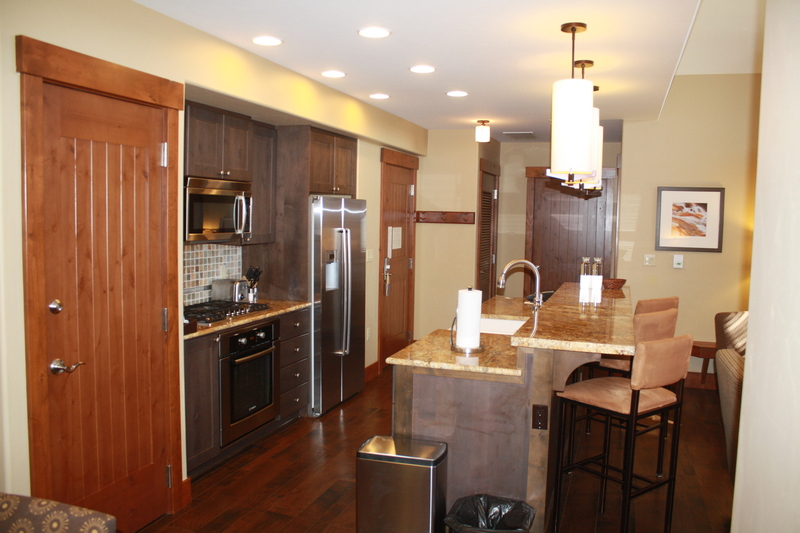 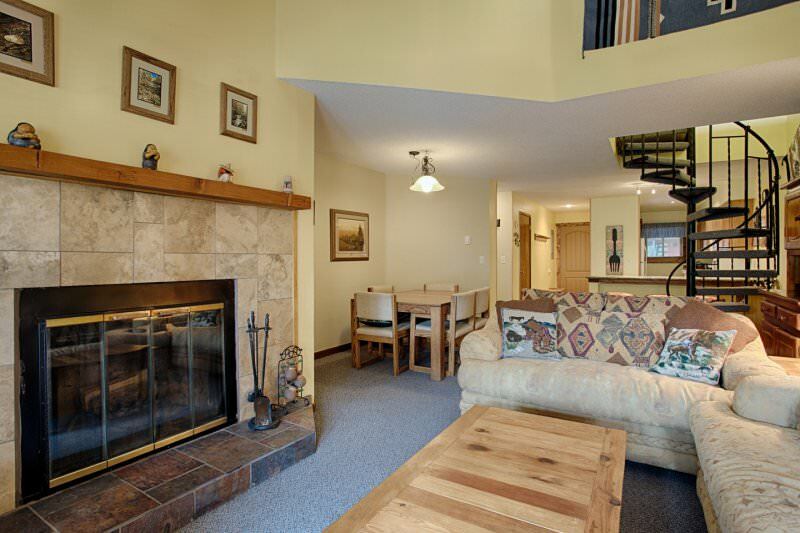 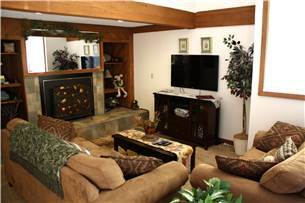 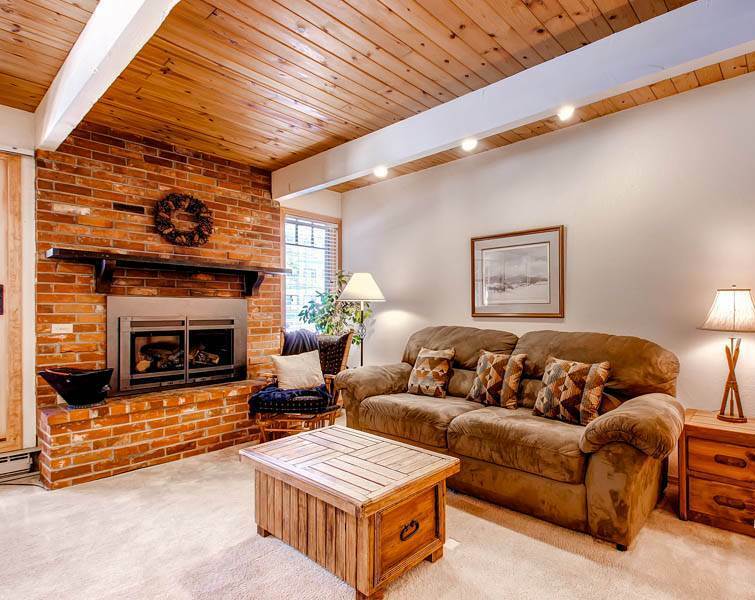 Come and enjoy this in town, two bedroom slope side condo. 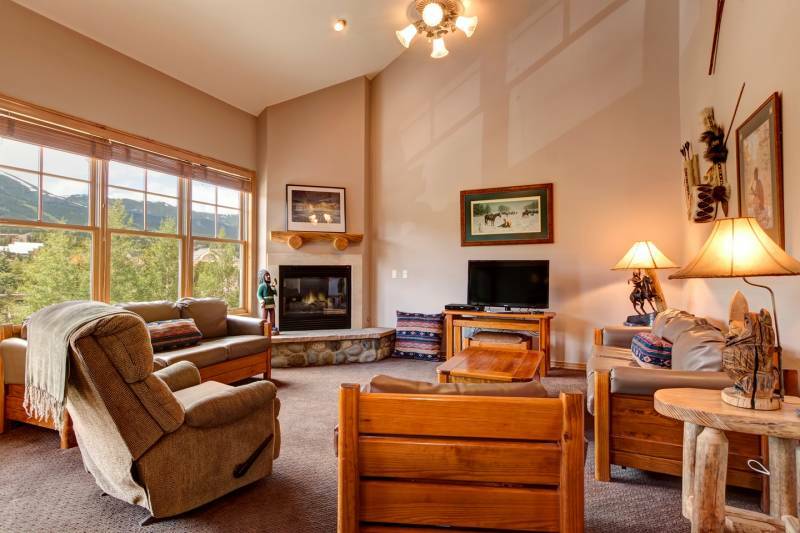 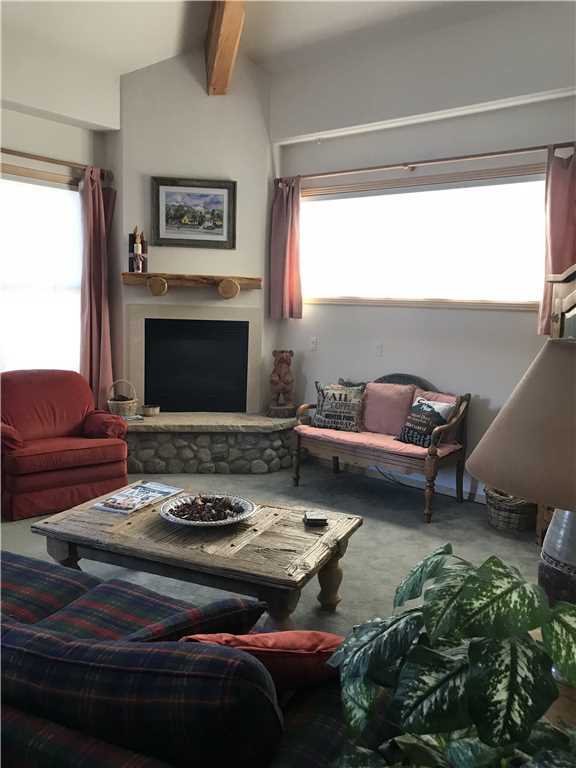 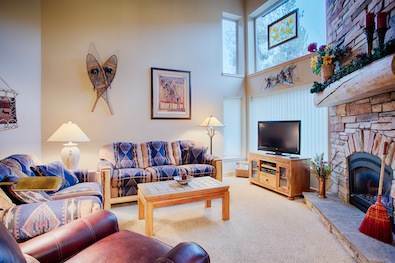 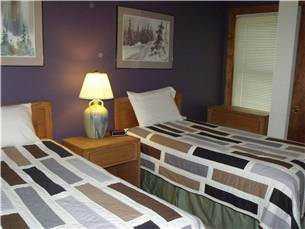 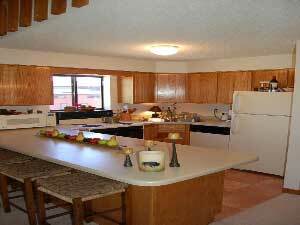 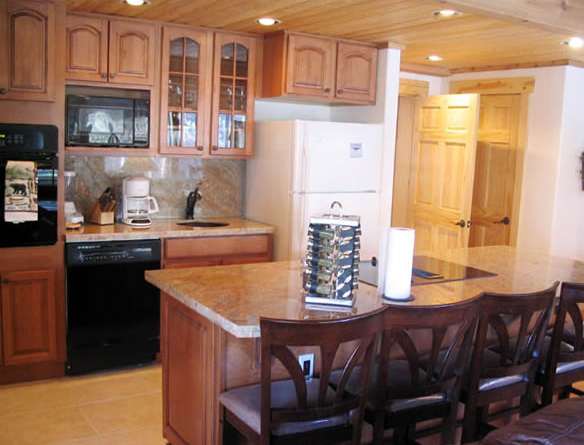 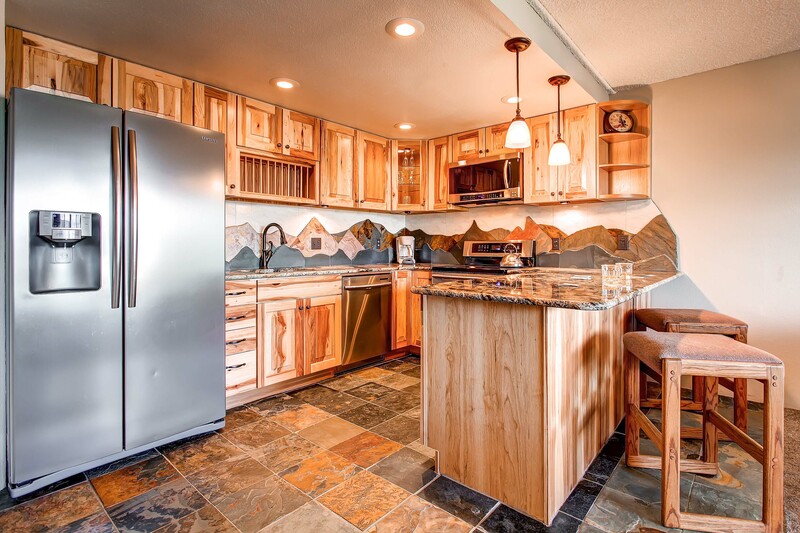 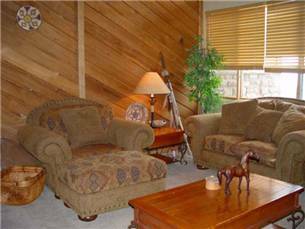 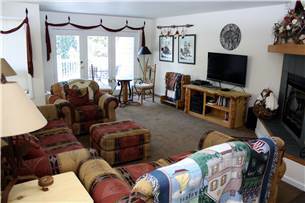 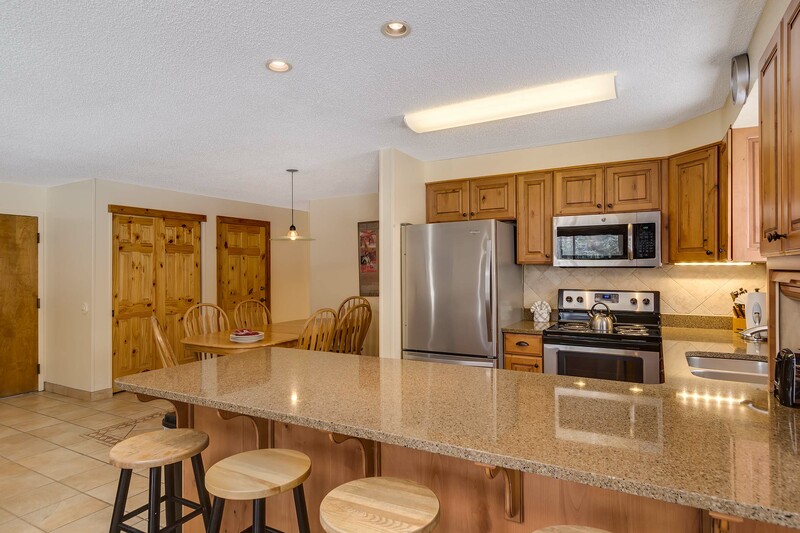 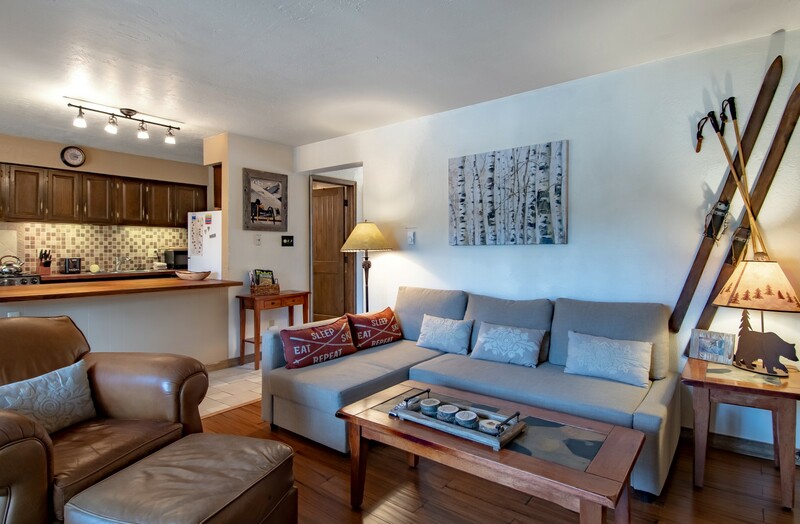 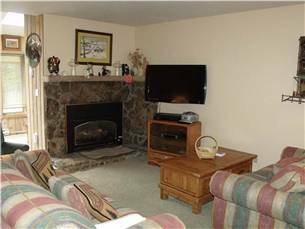 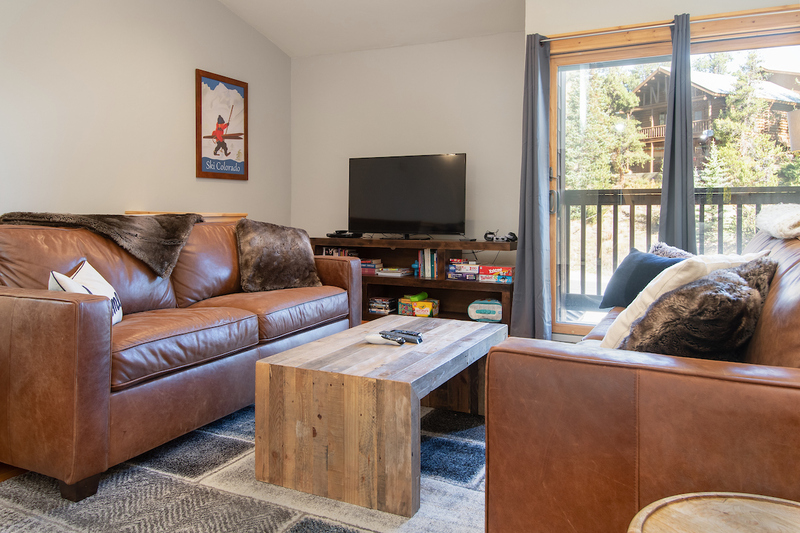 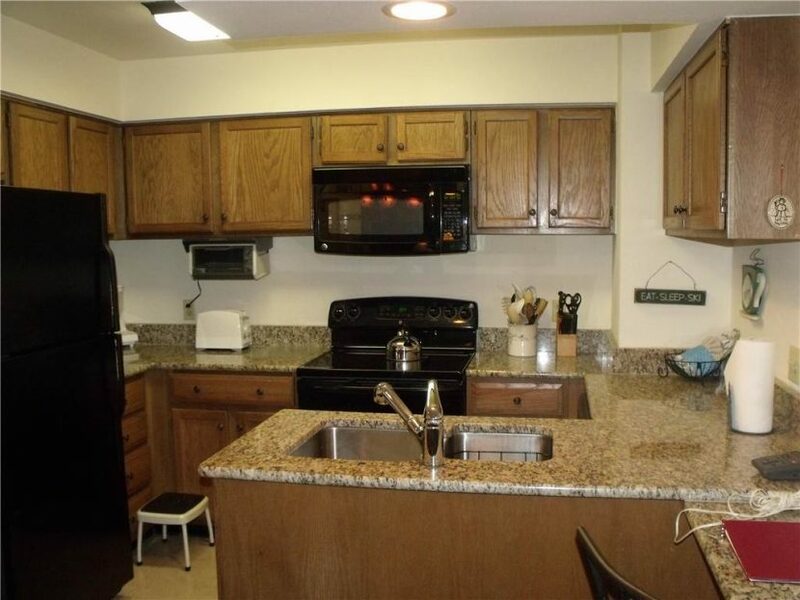 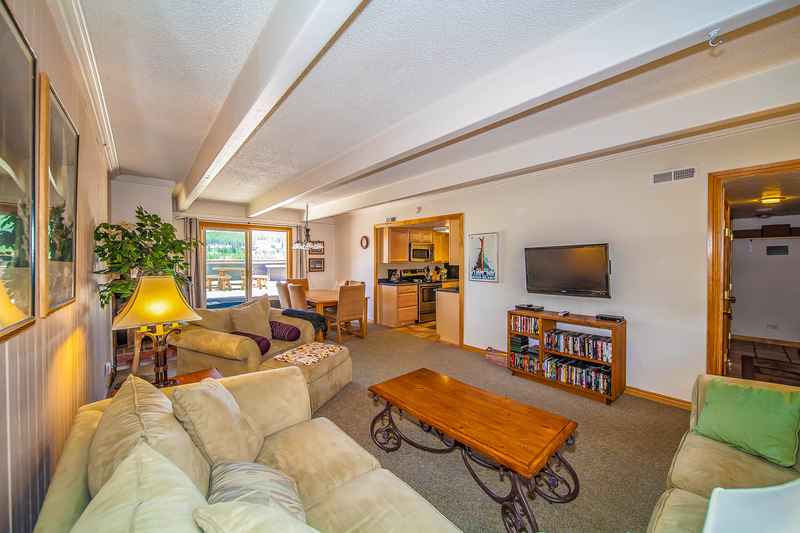 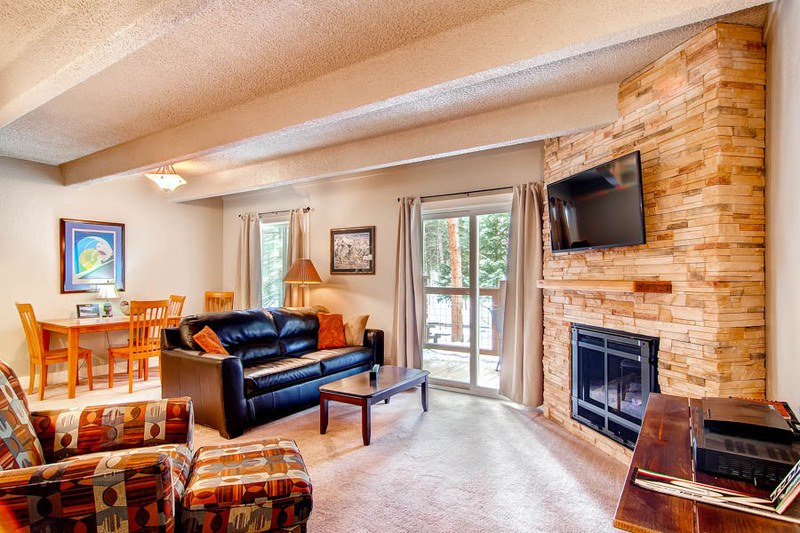 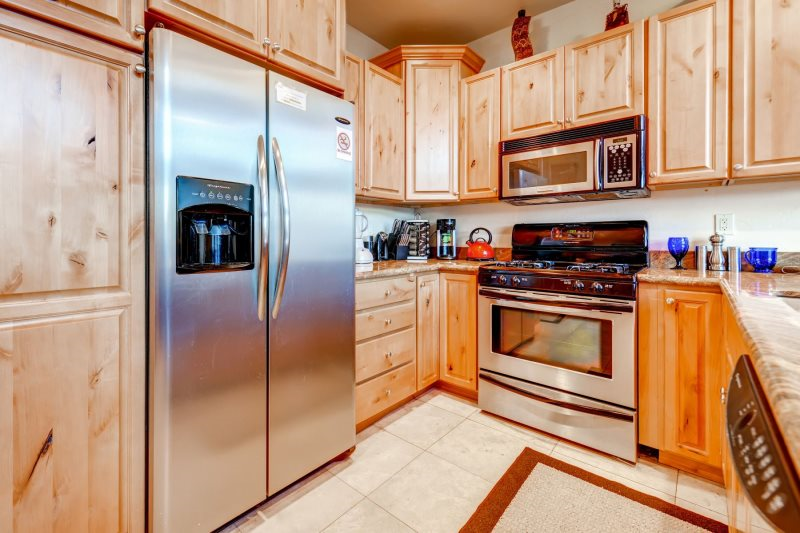 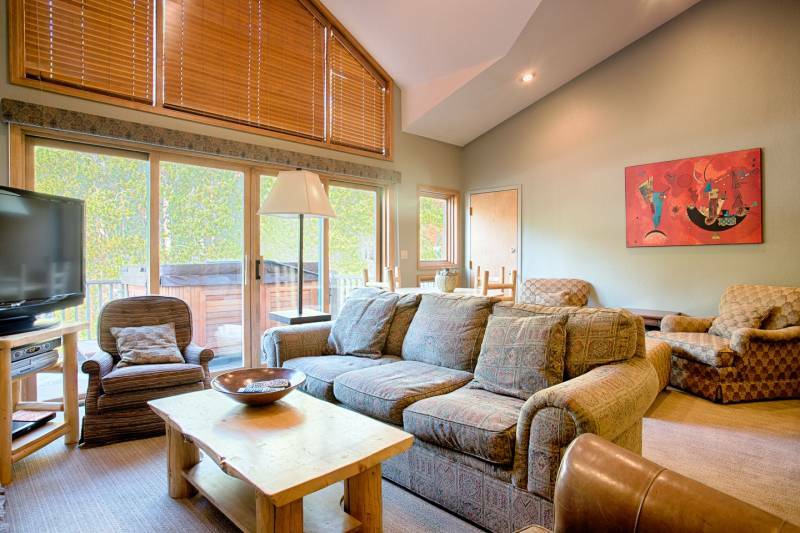 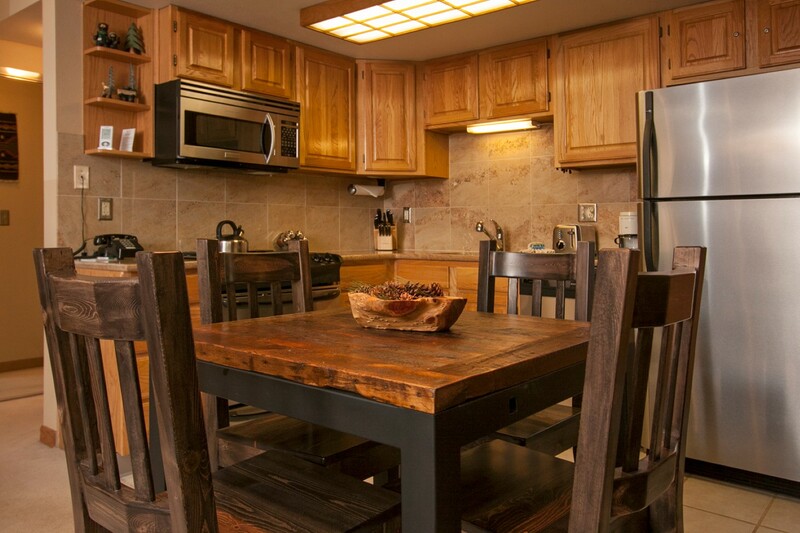 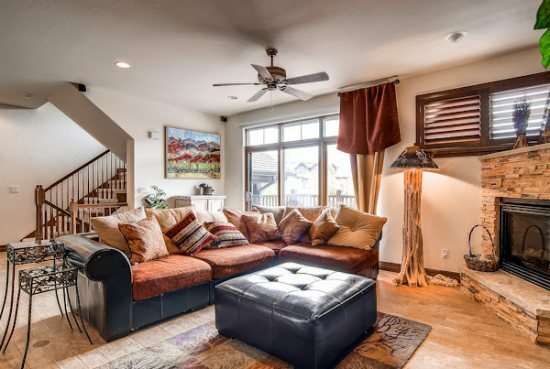 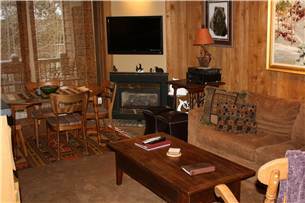 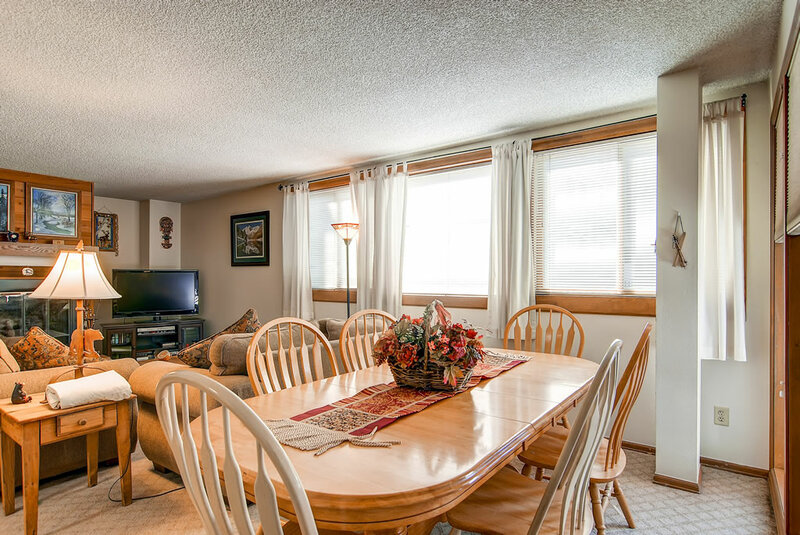 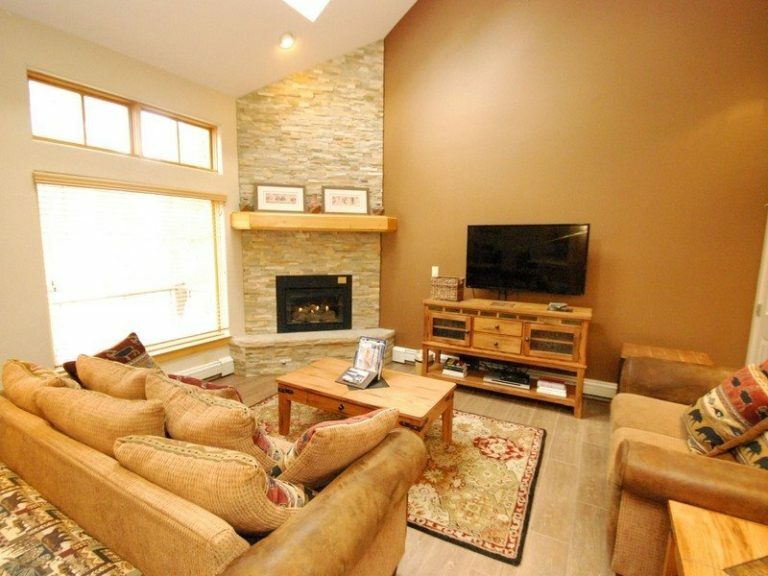 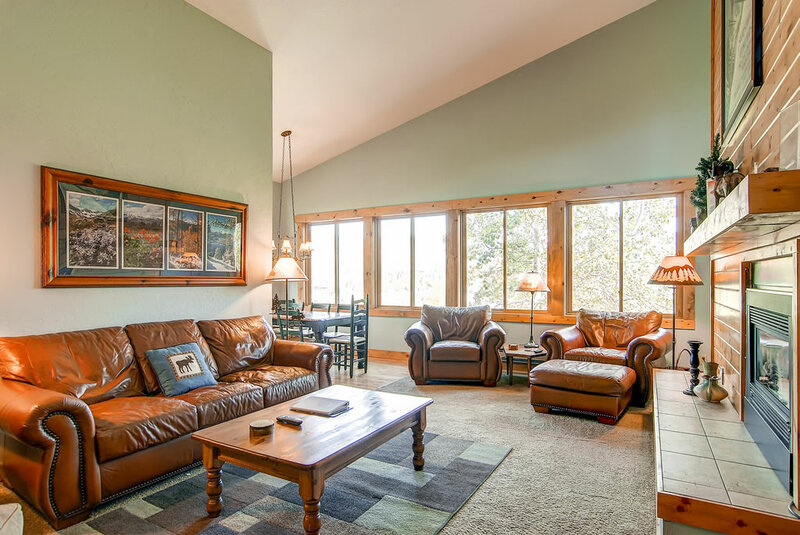 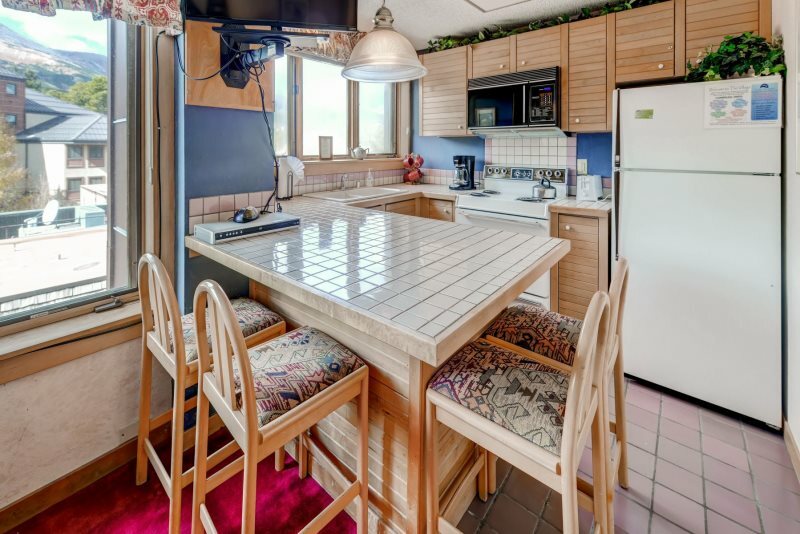 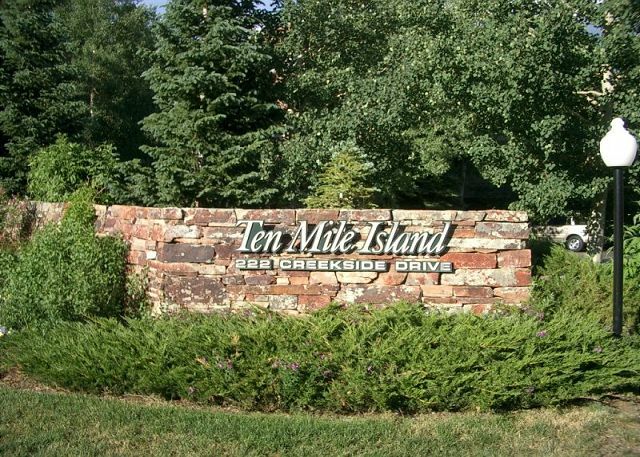 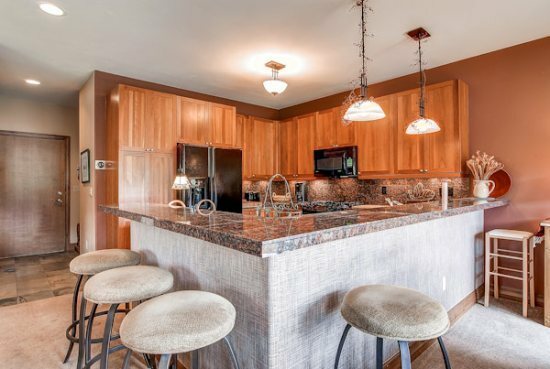 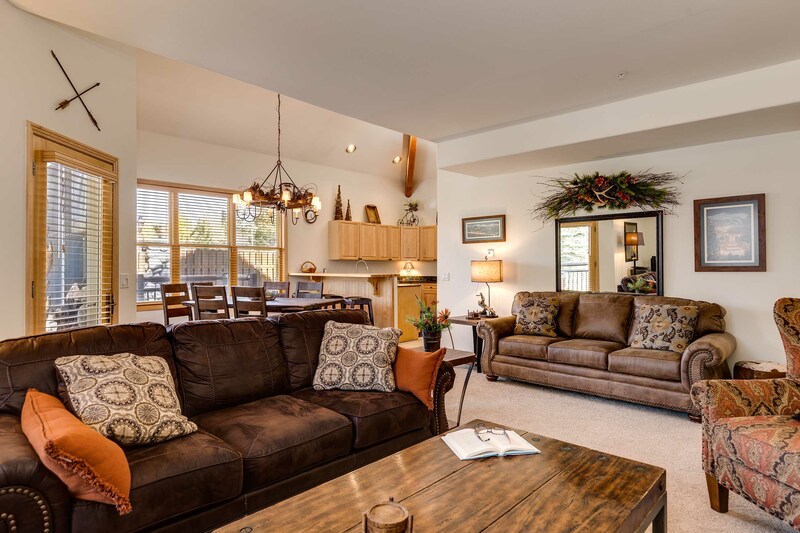 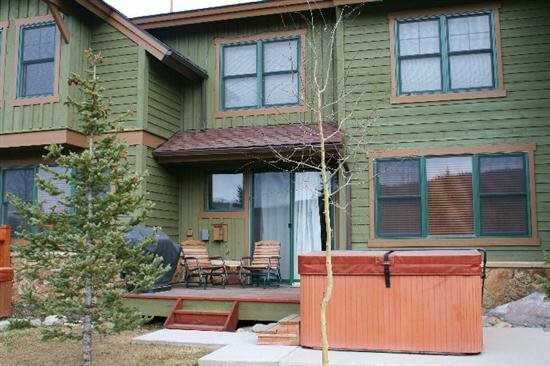 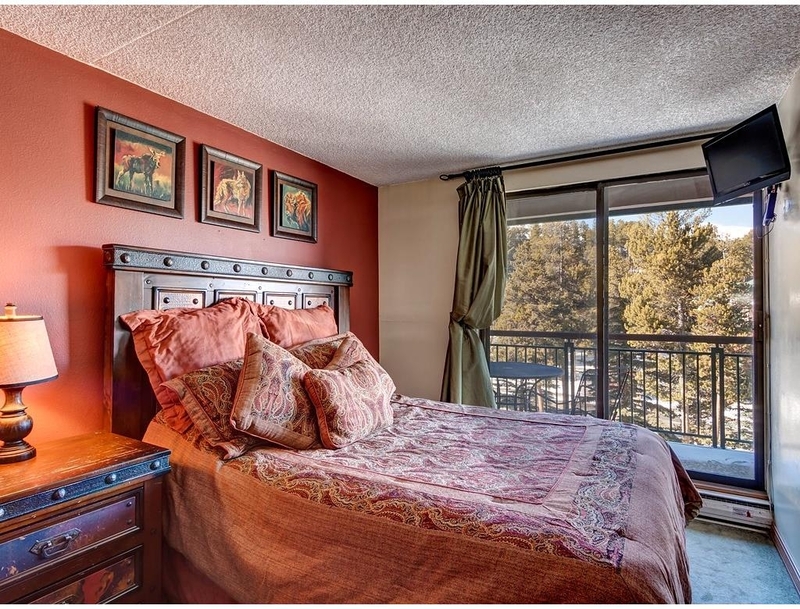 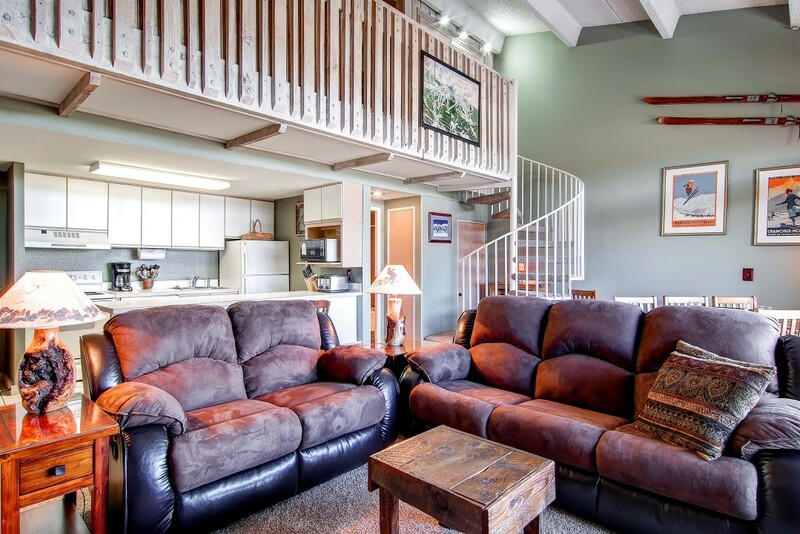 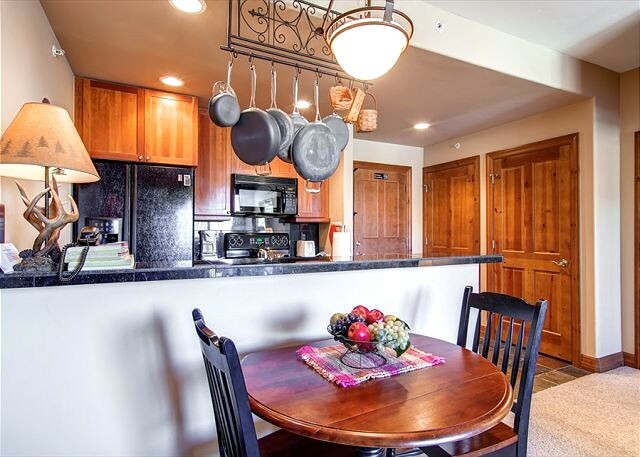 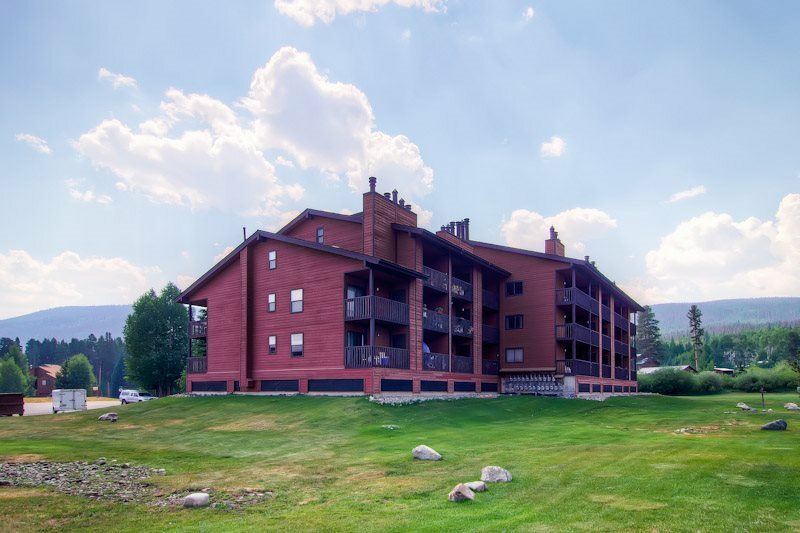 This spacious condo sleeps up to eight people, with new mattresses purchased in 2011 for the bedrooms, and a nice flat screen TV in the living area. 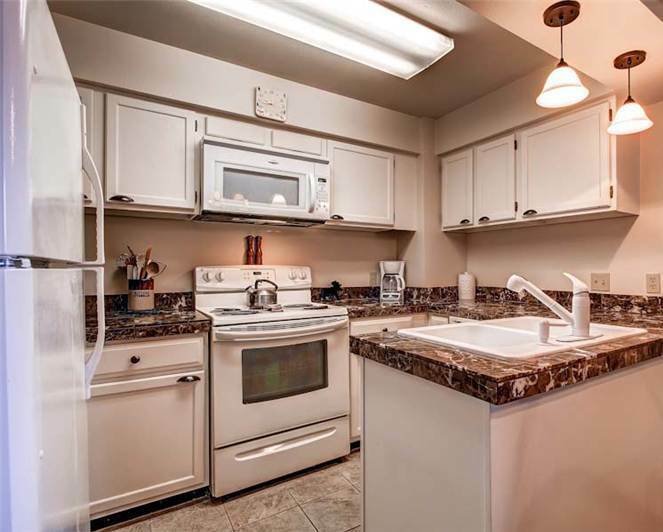 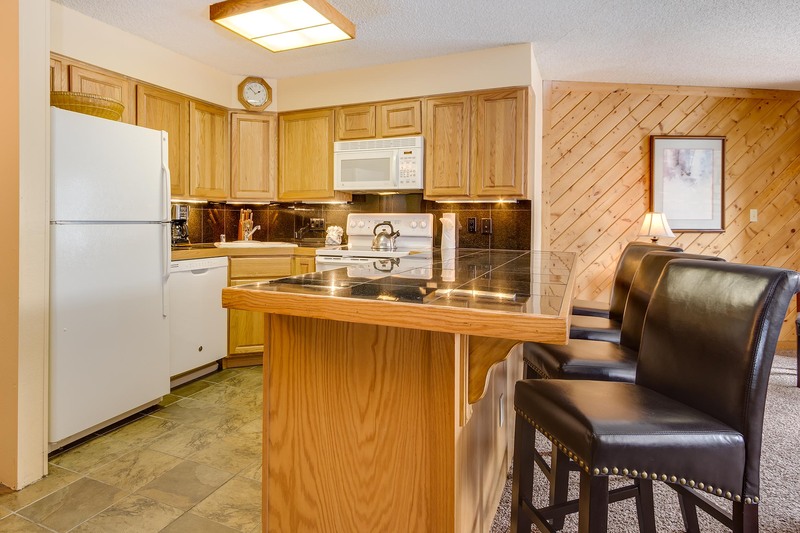 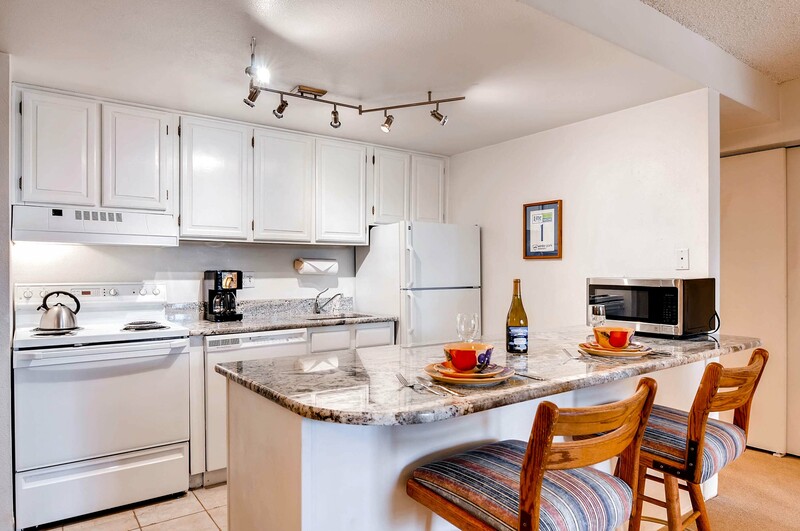 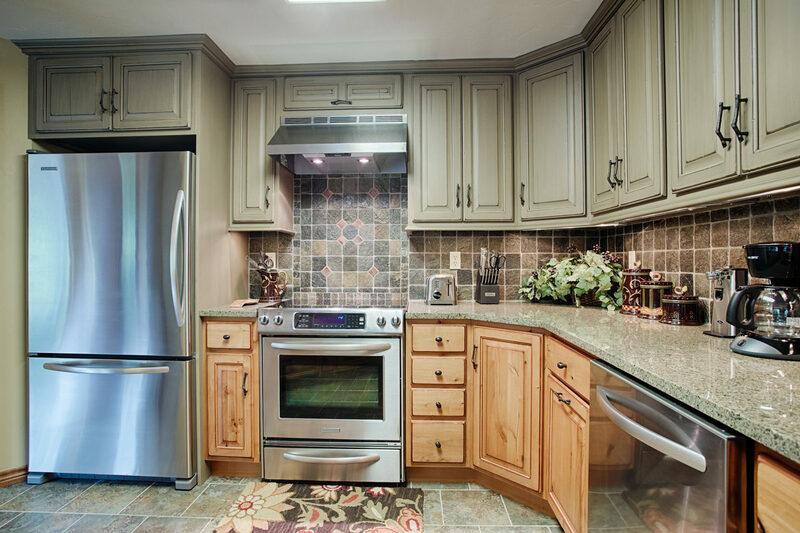 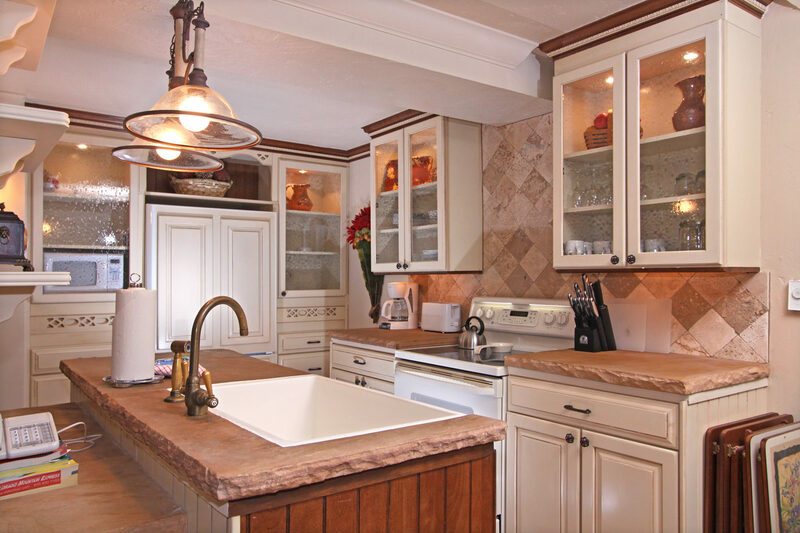 This unit also has been repainted and updated for your needs with a fully equipped kitchen, complimentary Wi-Fi and contemporary furnishings. 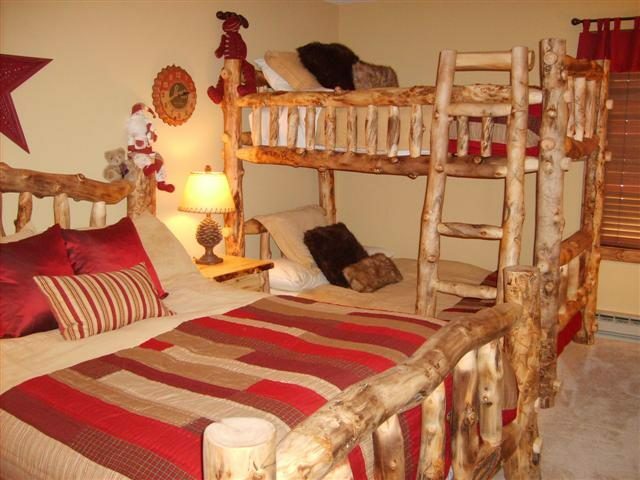 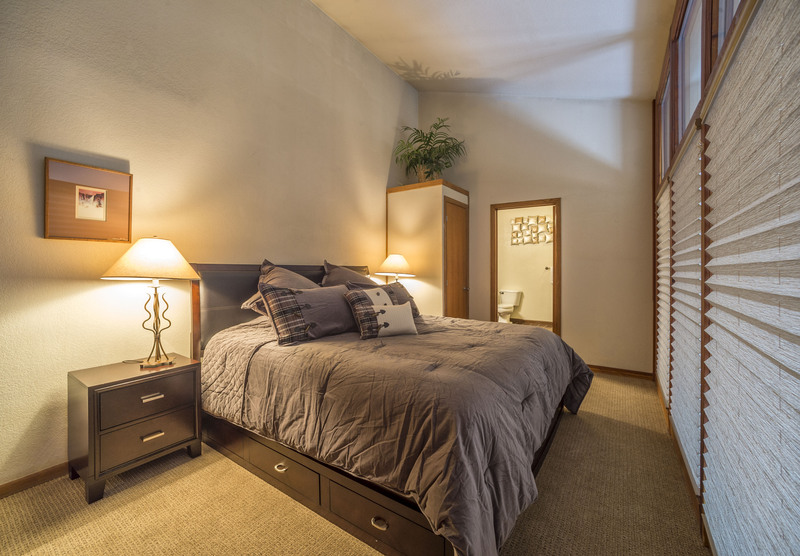 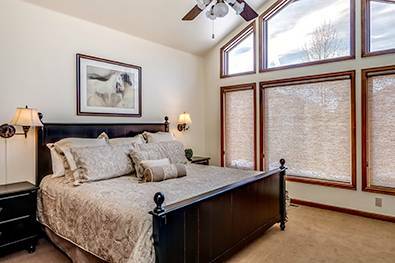 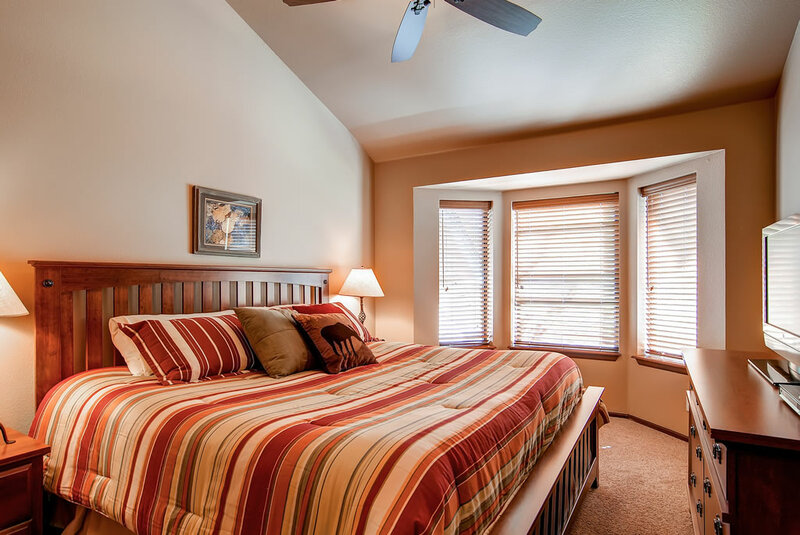 With extra bedding in the second bedroom, this is a great unit for families who want to make the best use of their space. 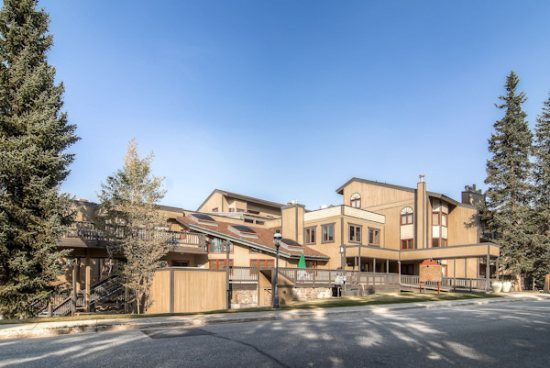 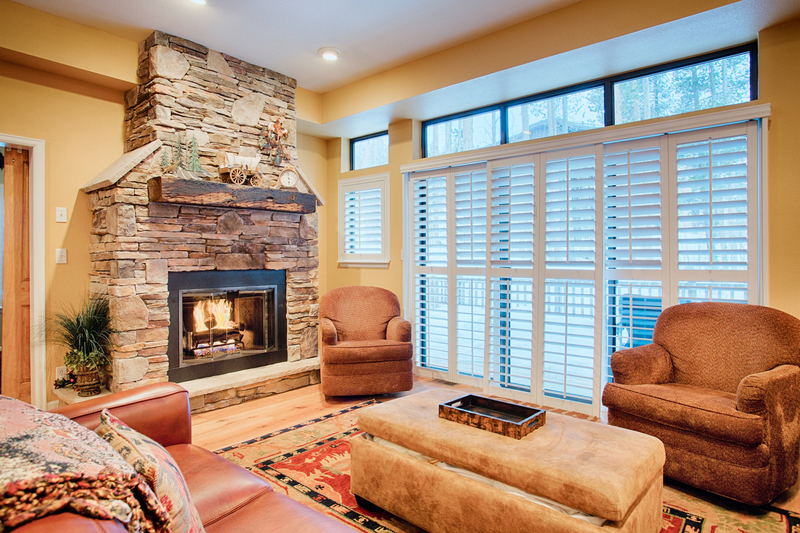 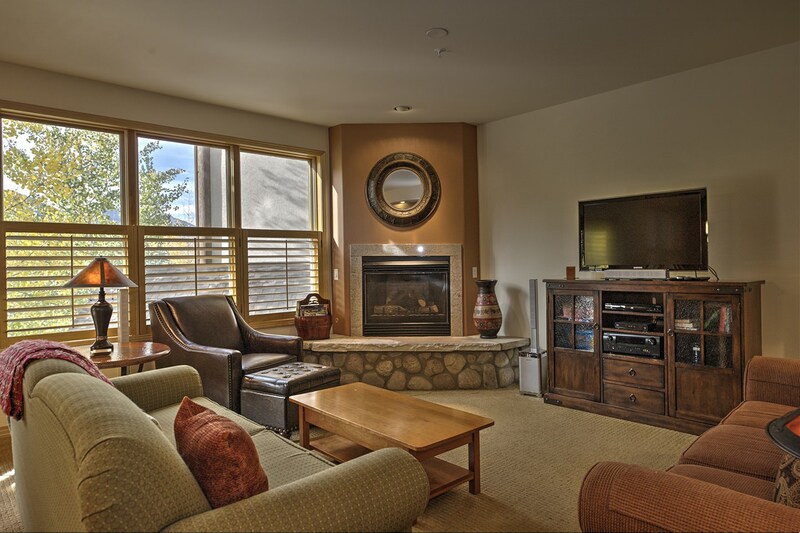 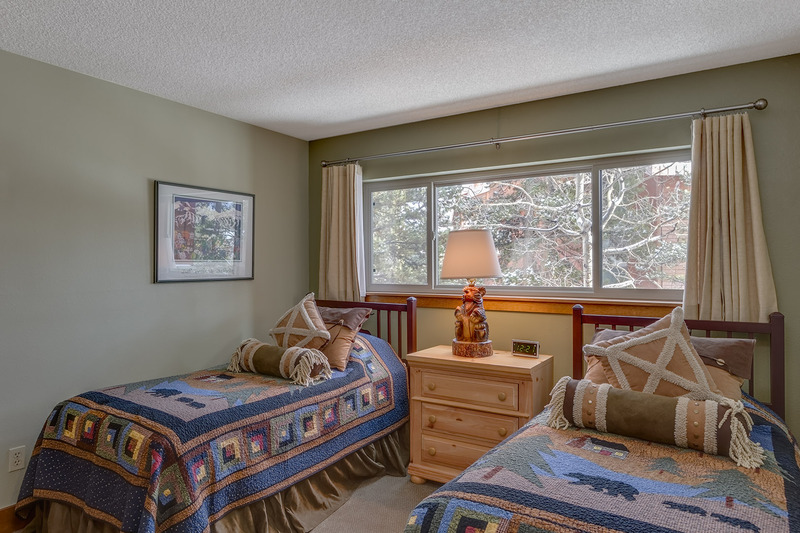 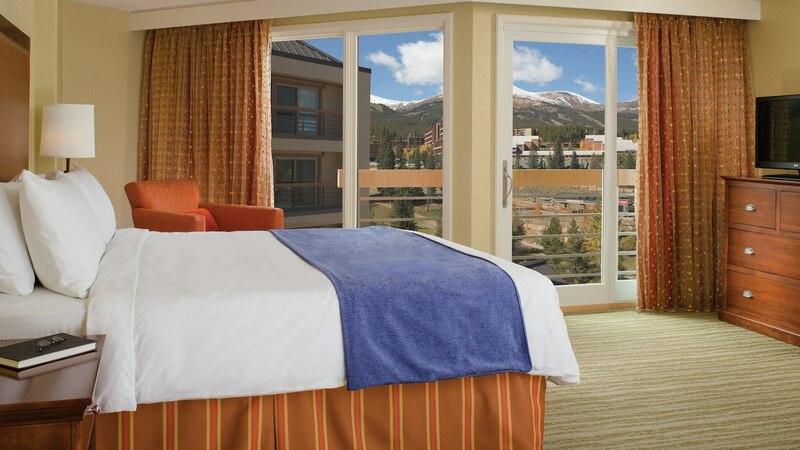 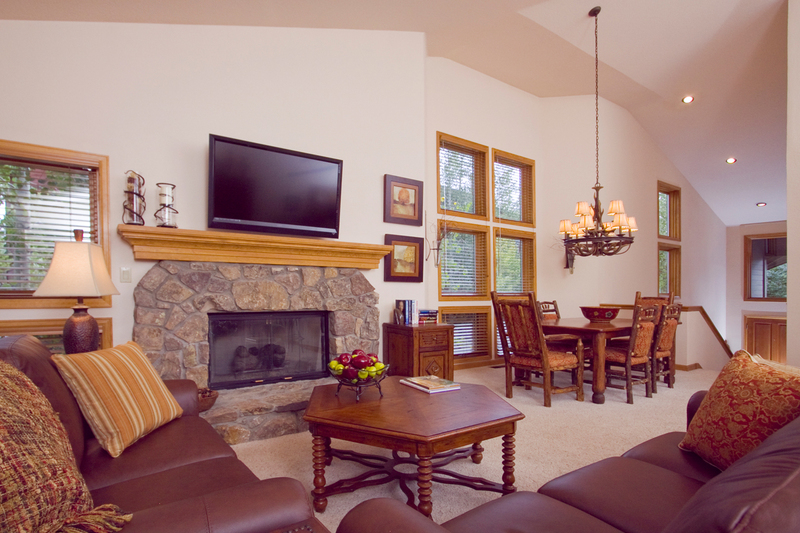 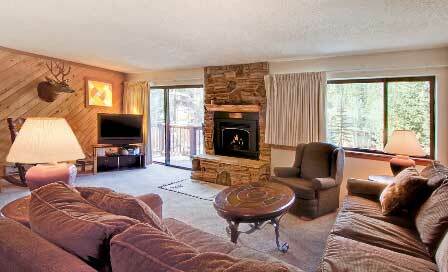 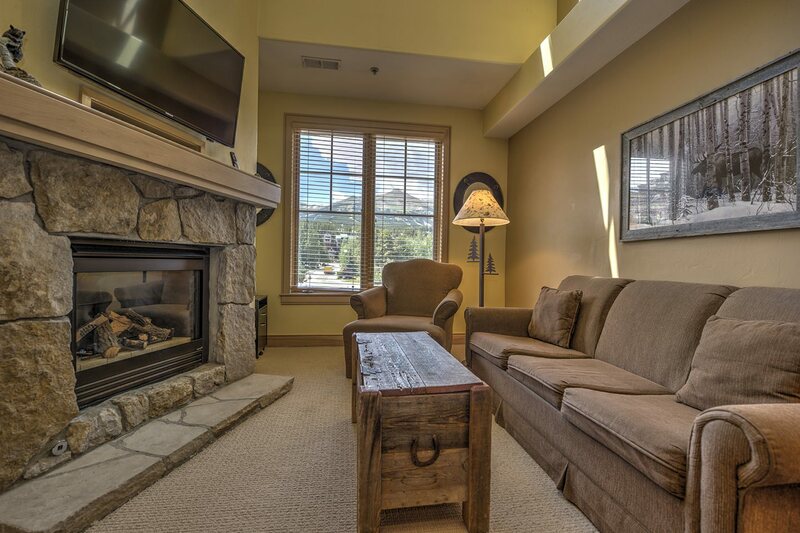 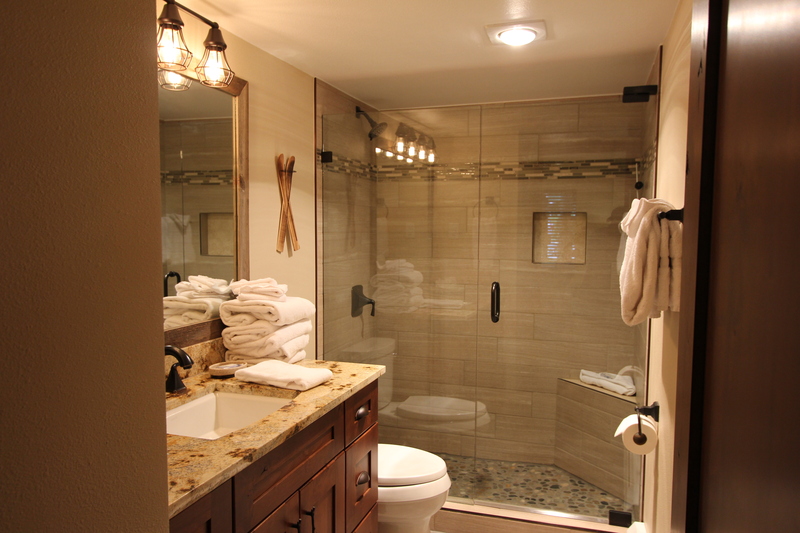 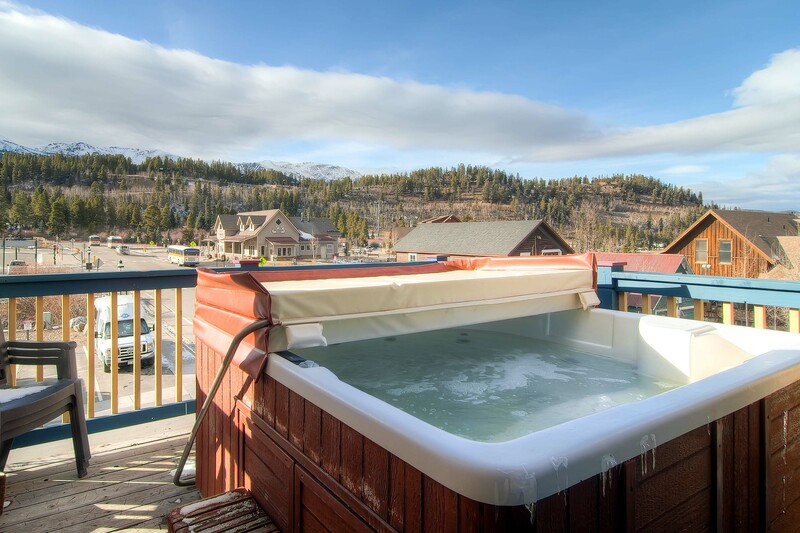 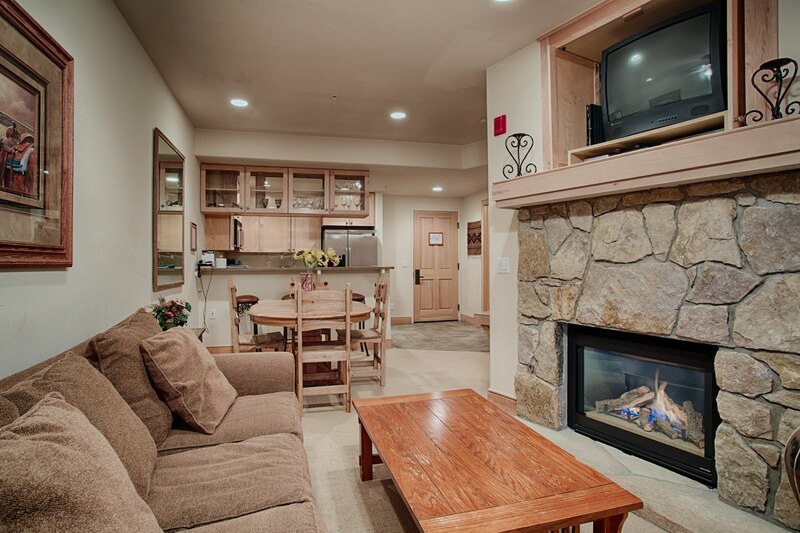 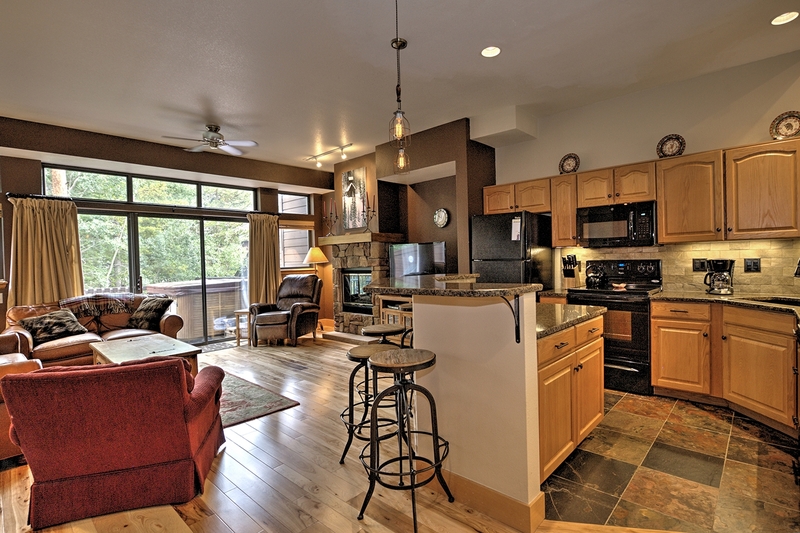 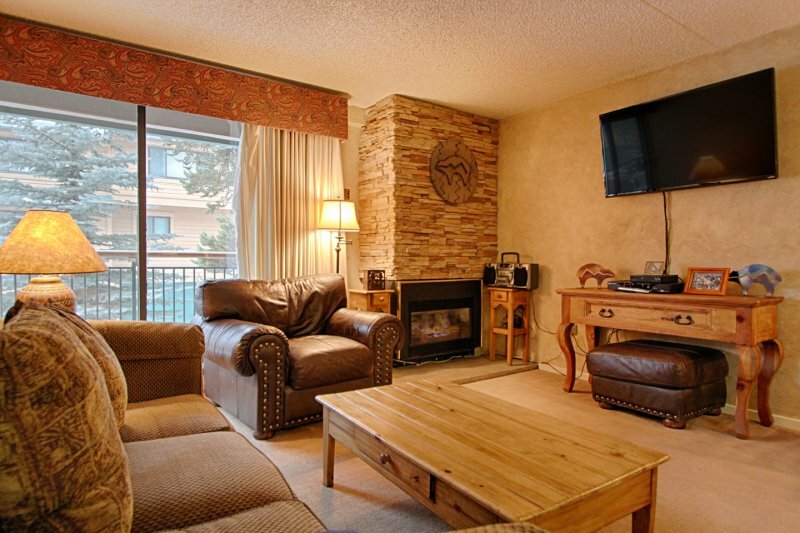 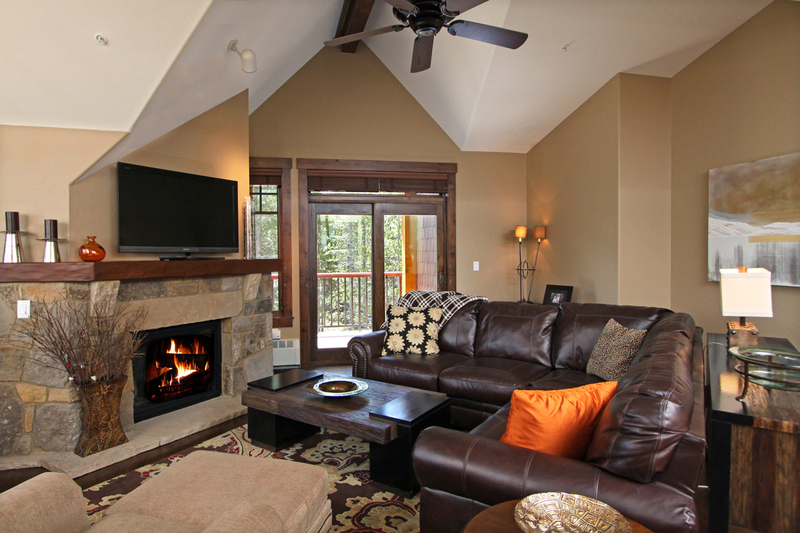 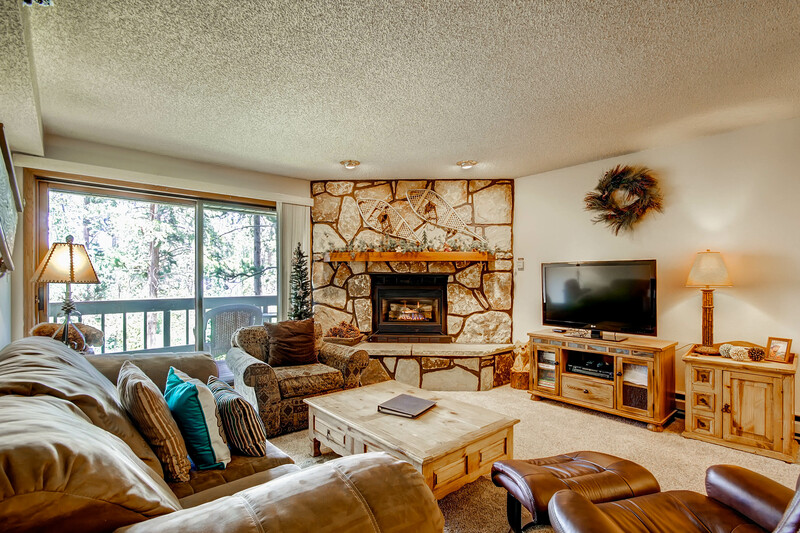 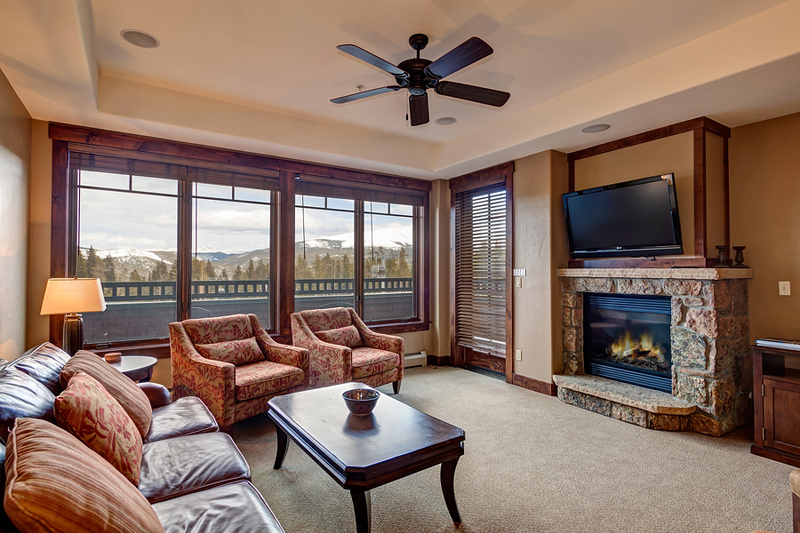 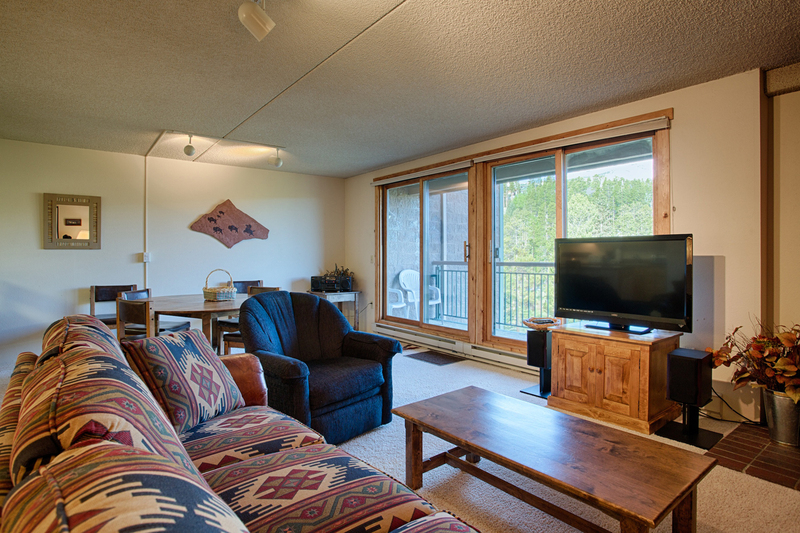 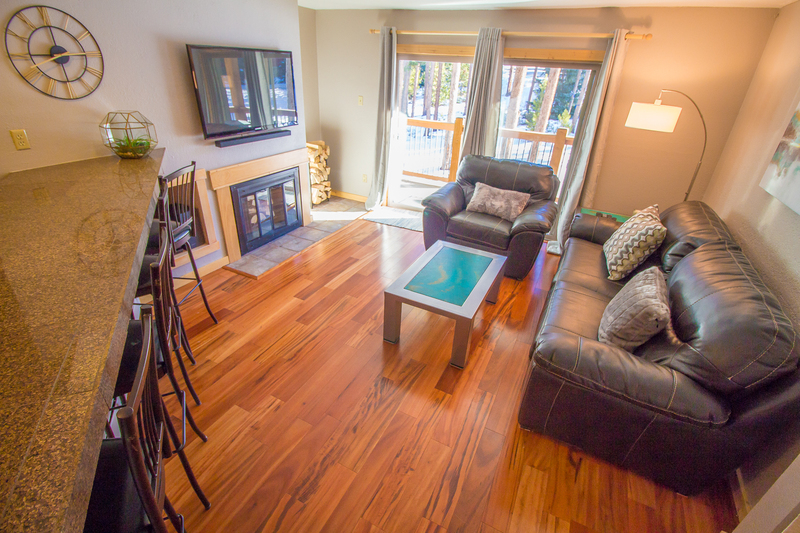 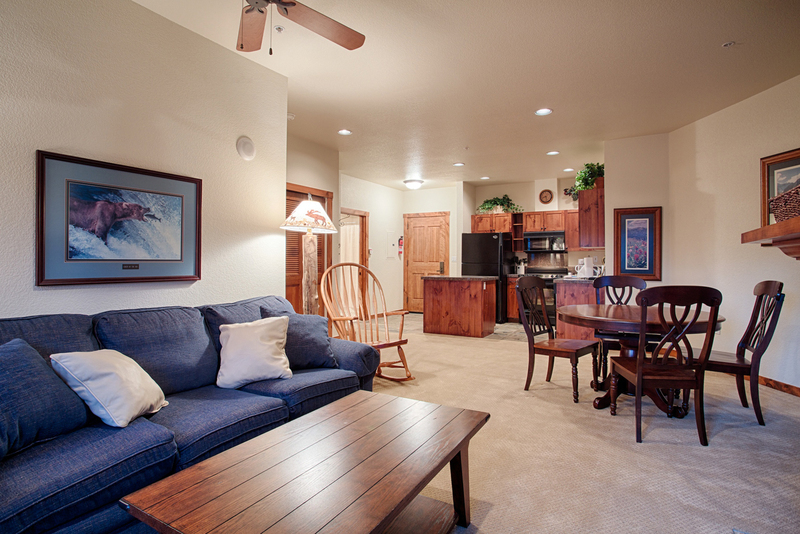 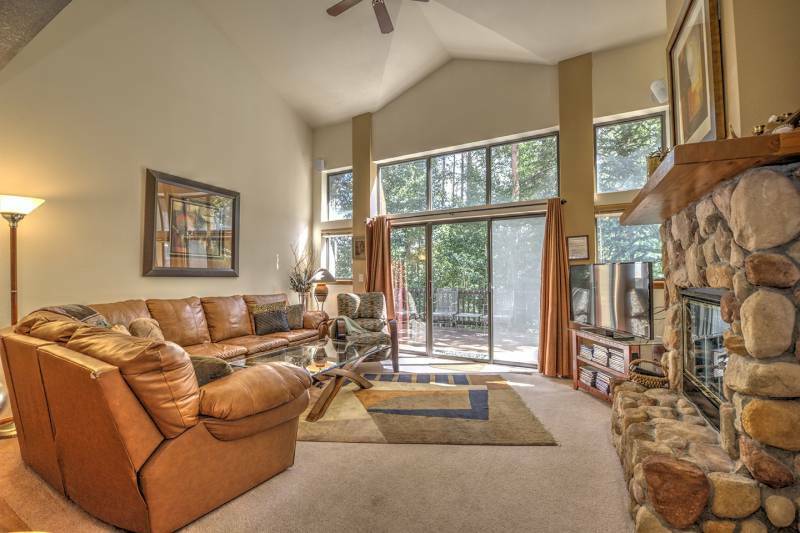 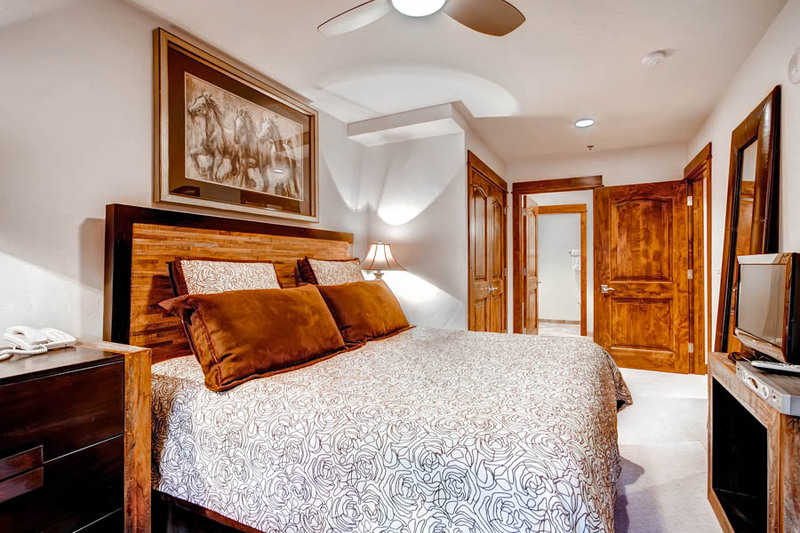 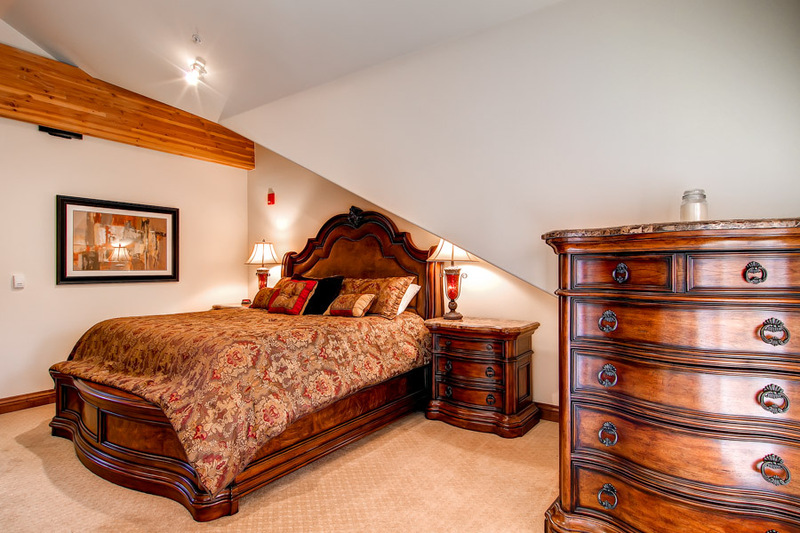 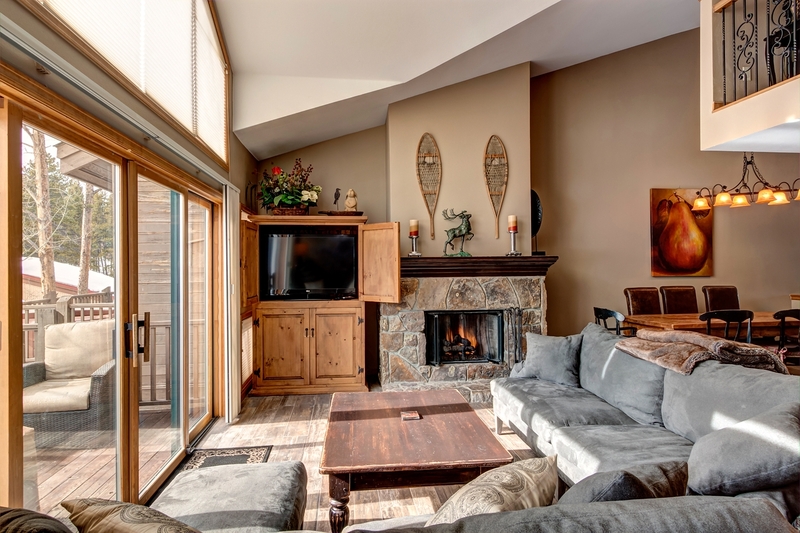 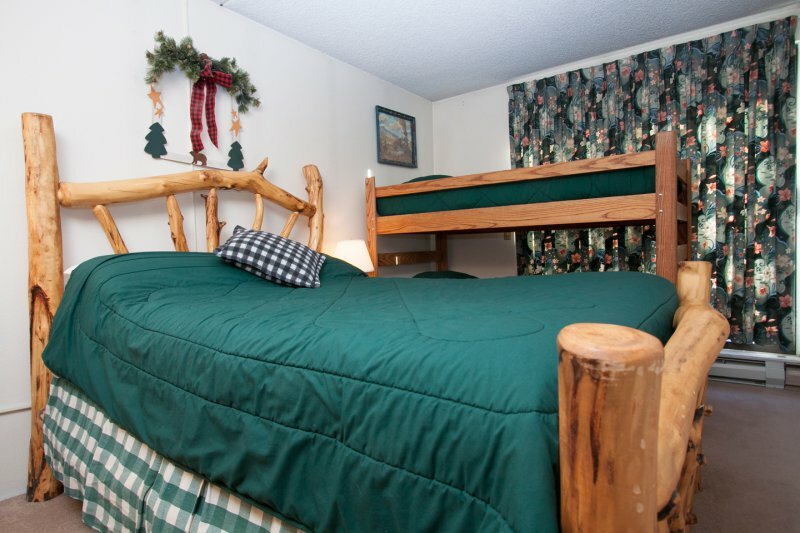 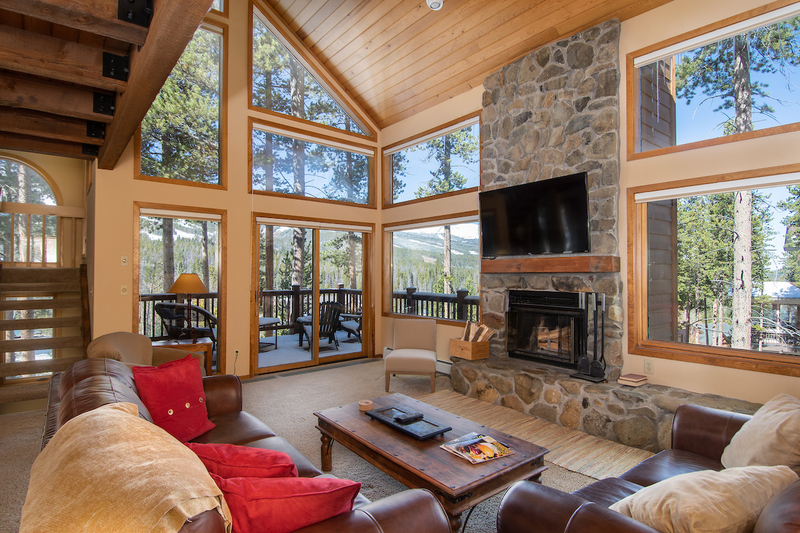 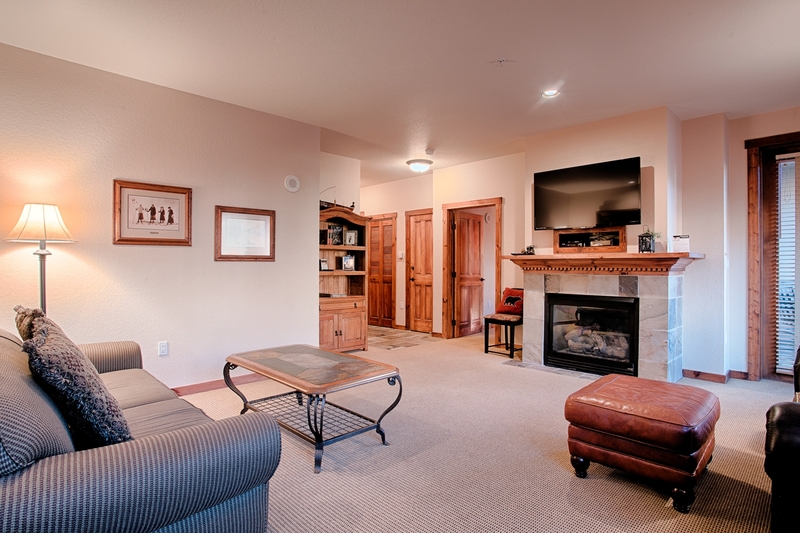 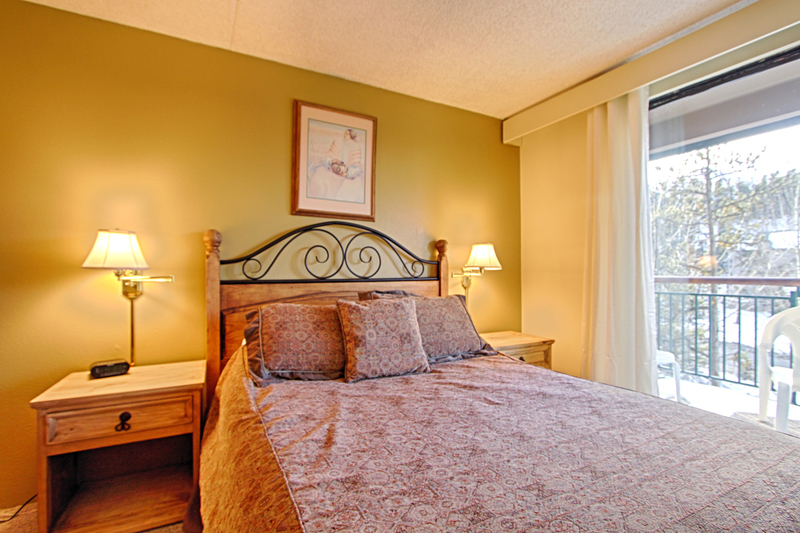 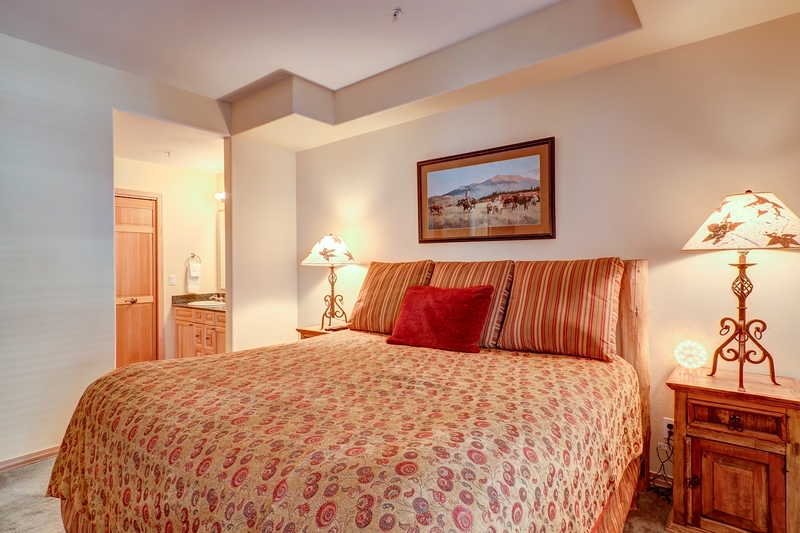 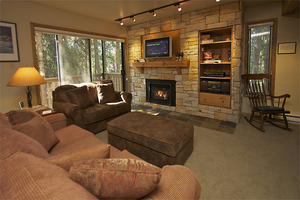 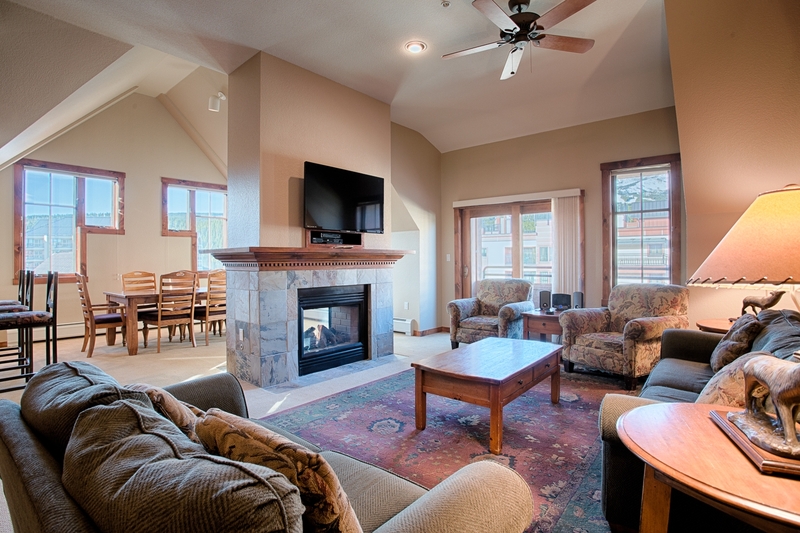 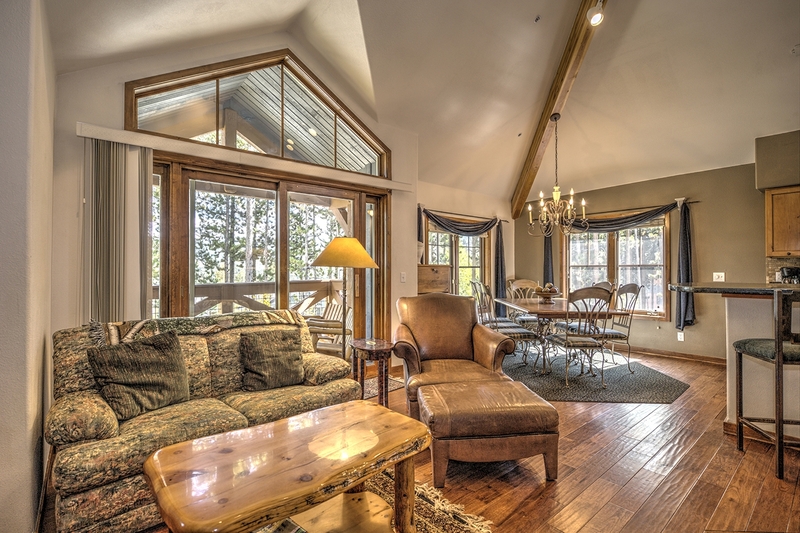 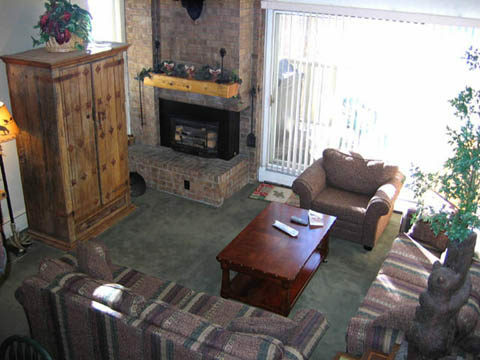 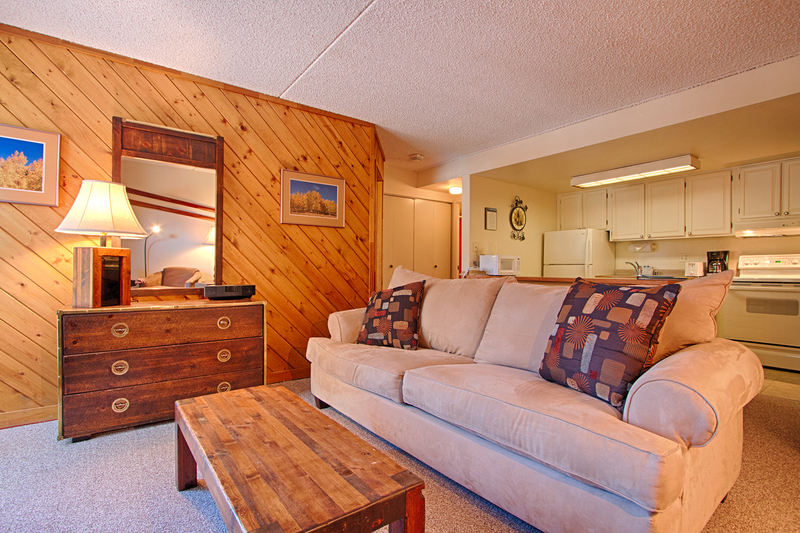 The Sawmill Creek complex provides one covered parking space, two indoor hot tubs and elevator access. 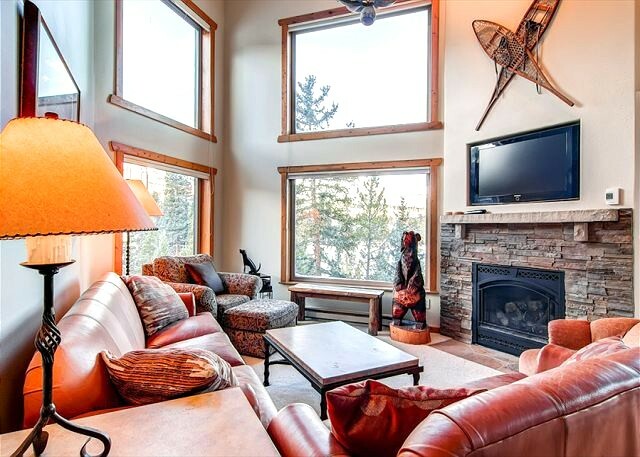 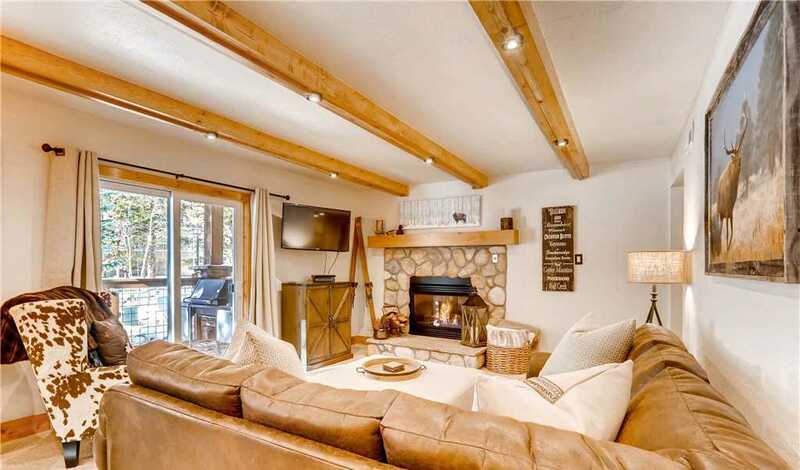 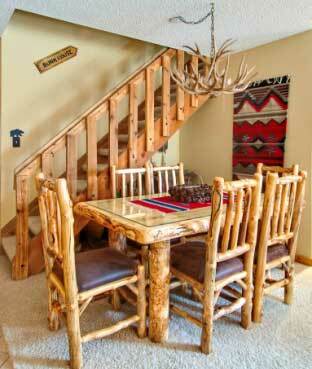 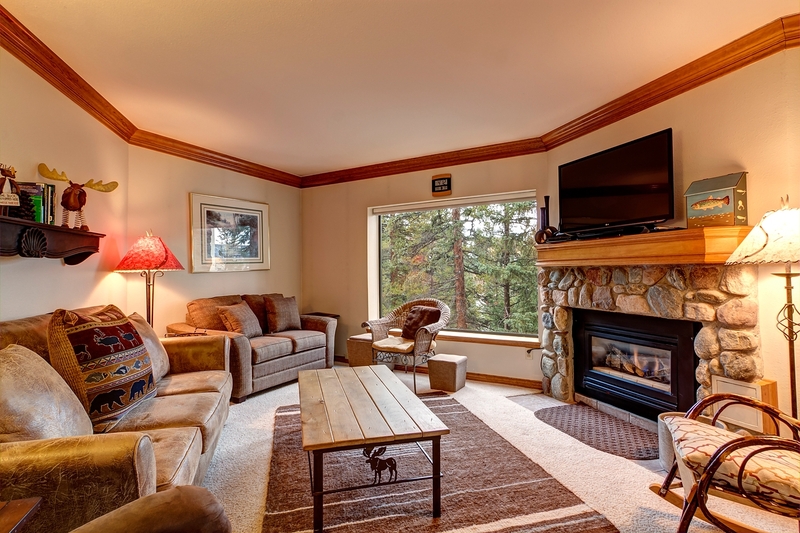 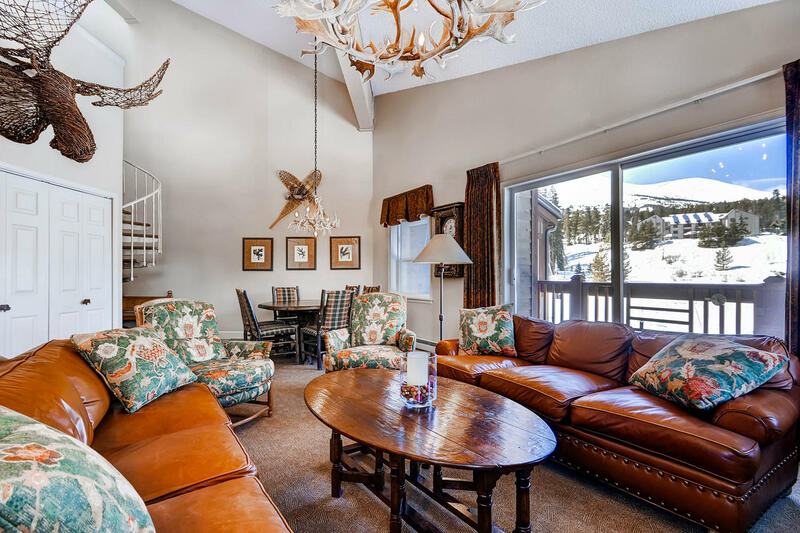 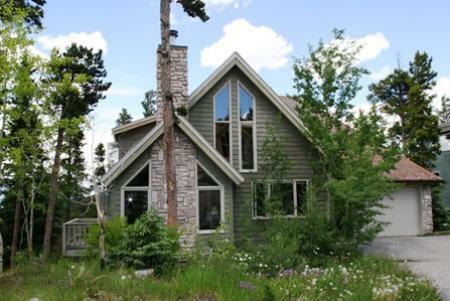 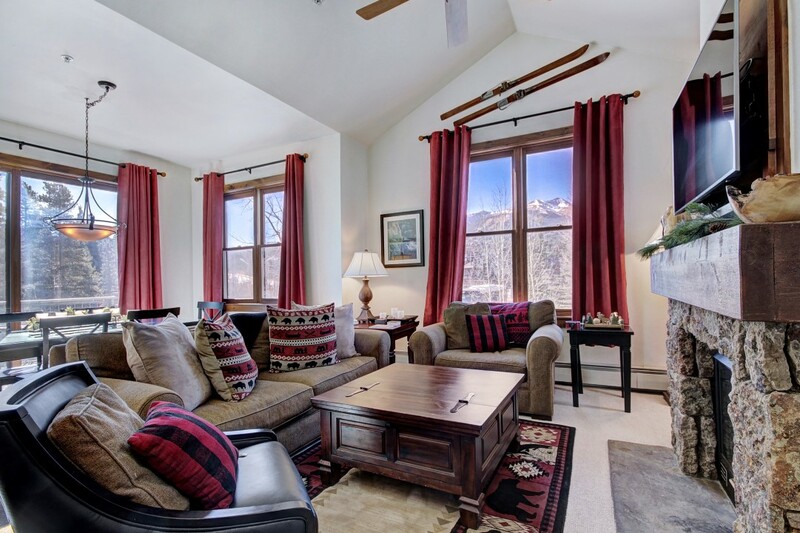 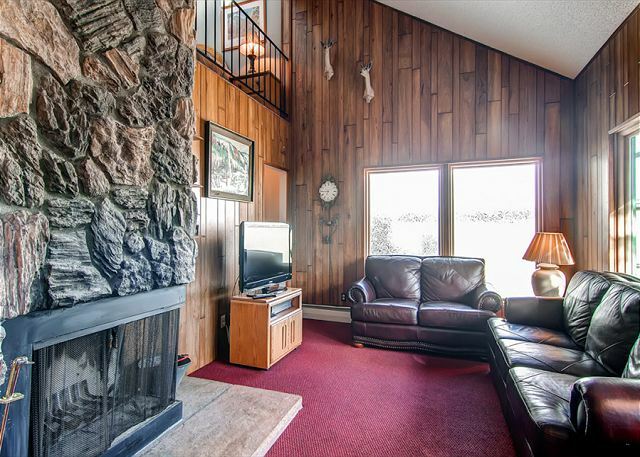 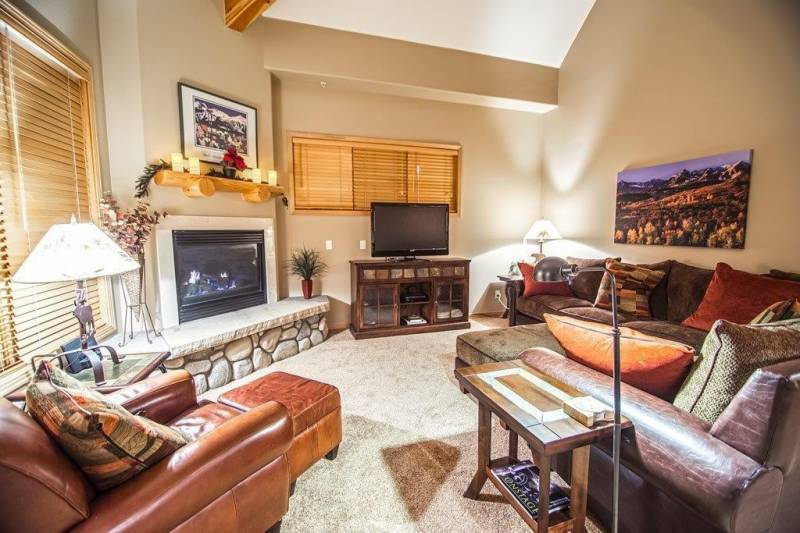 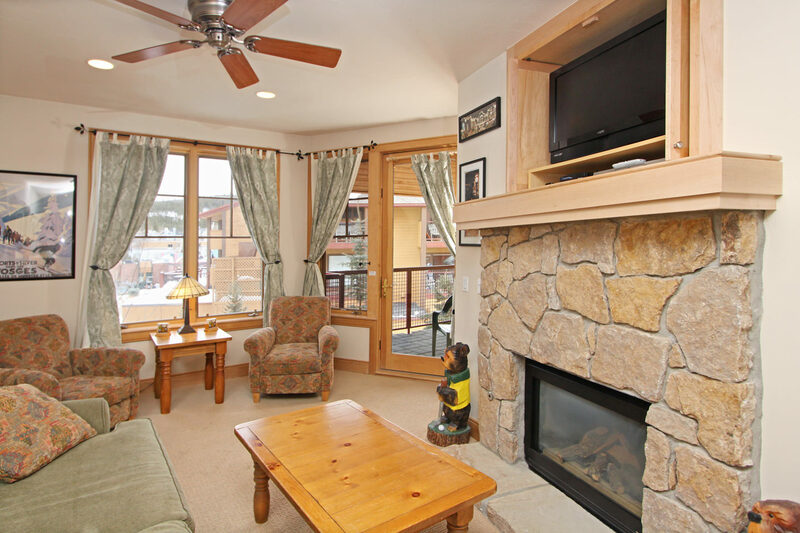 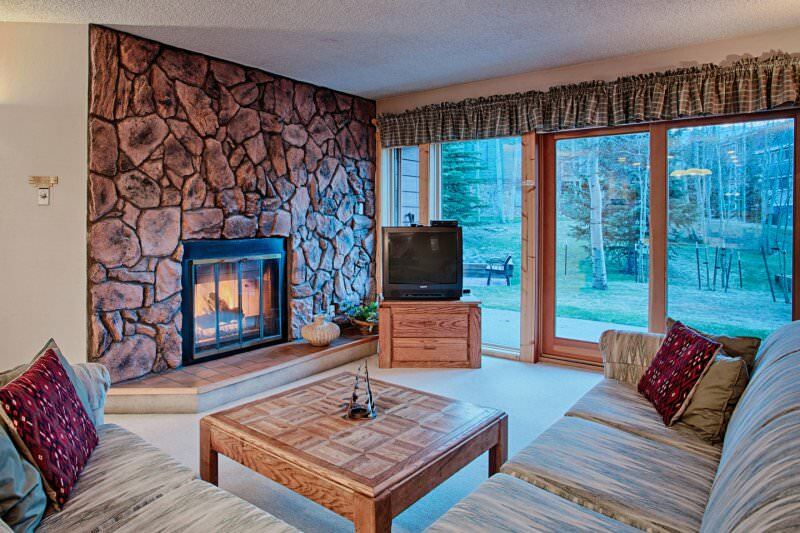 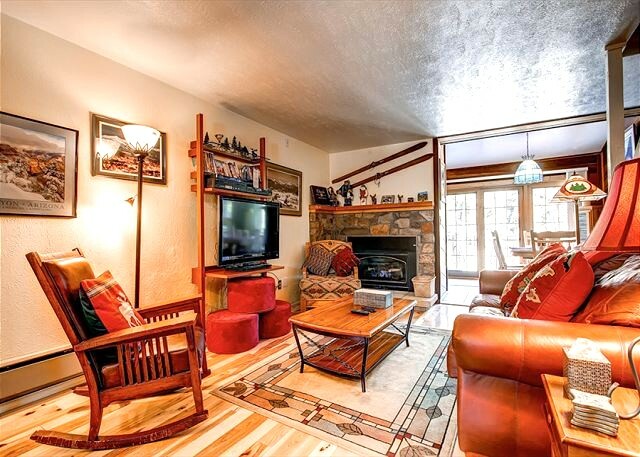 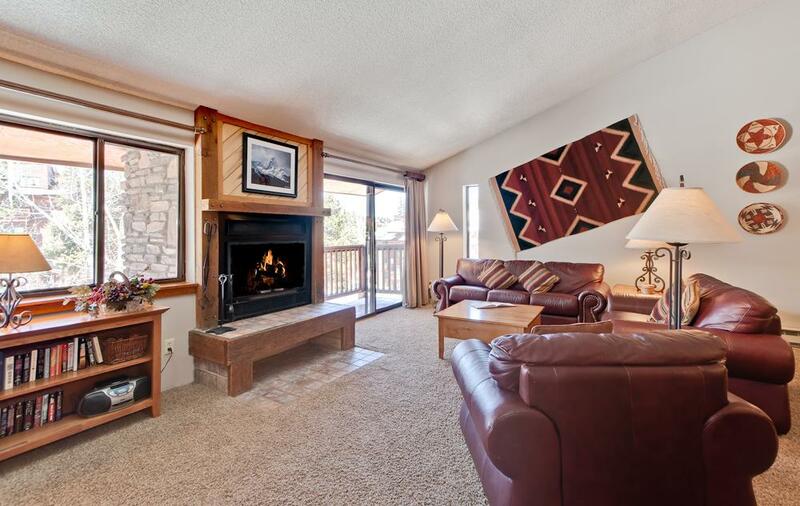 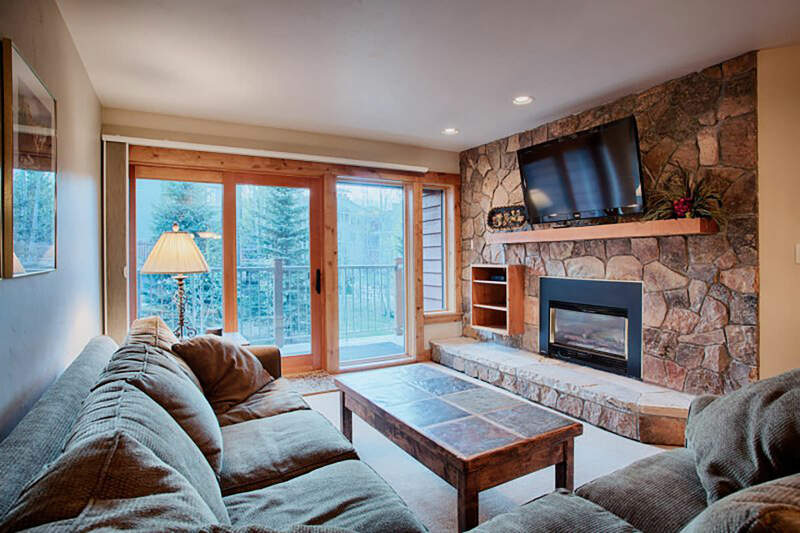 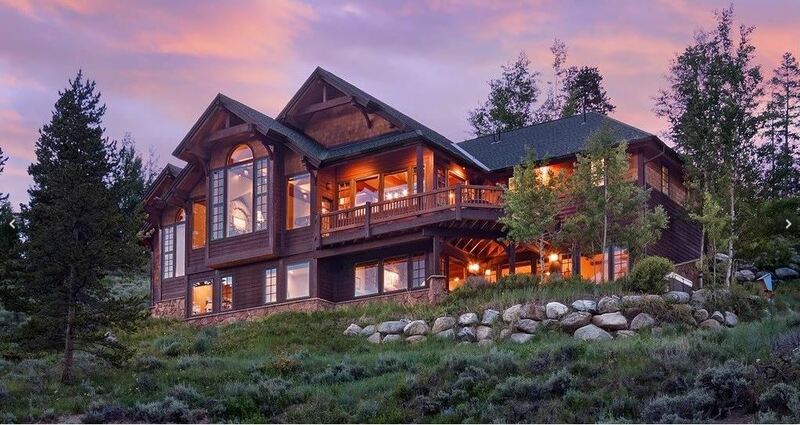 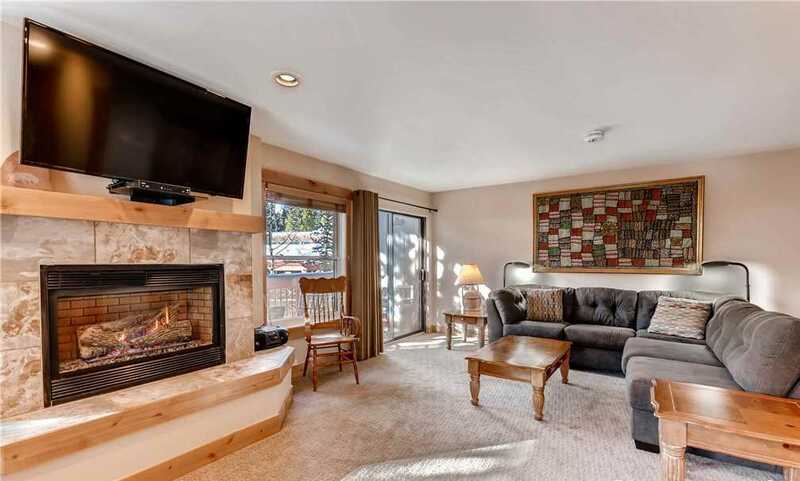 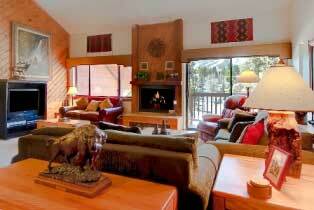 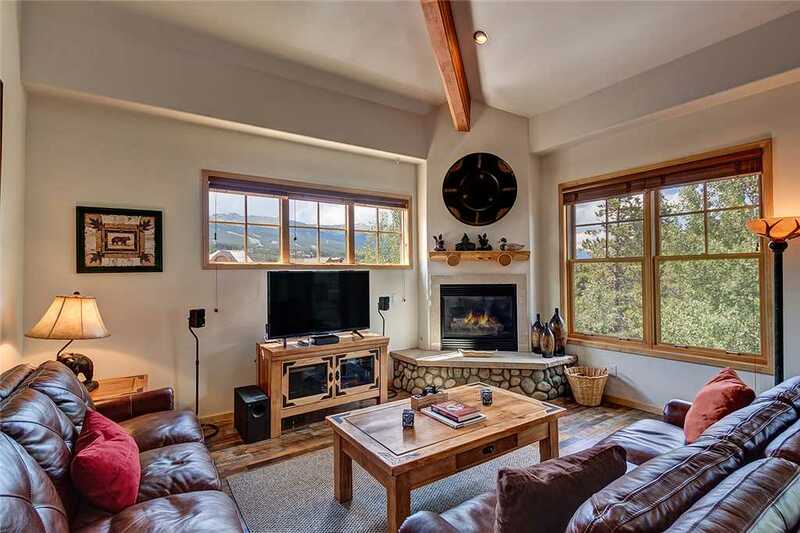 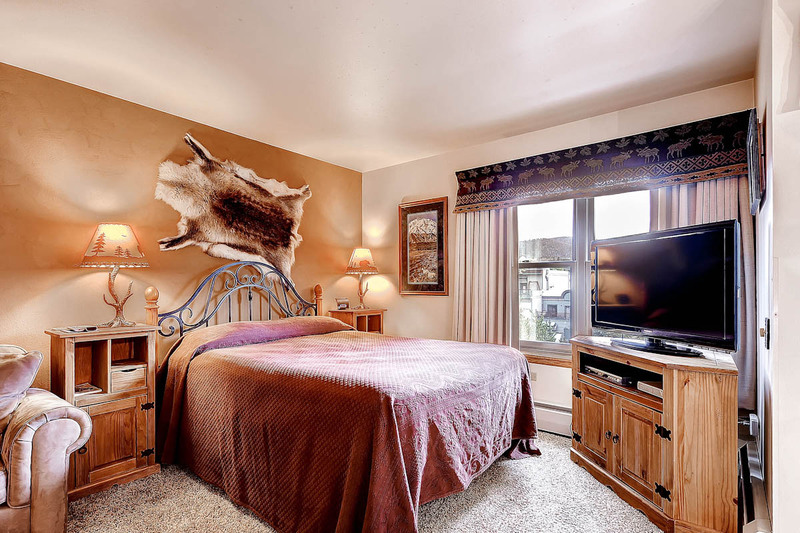 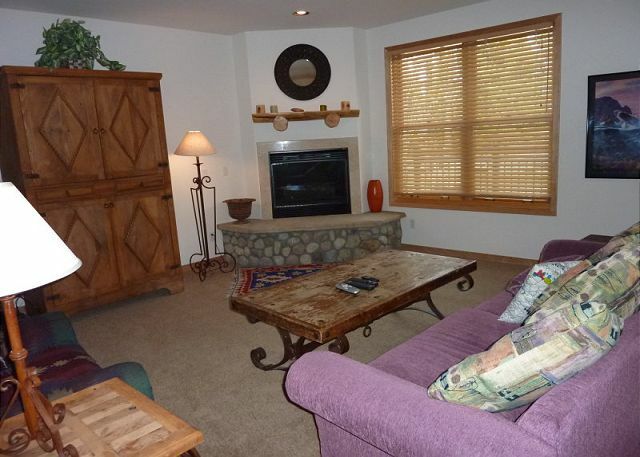 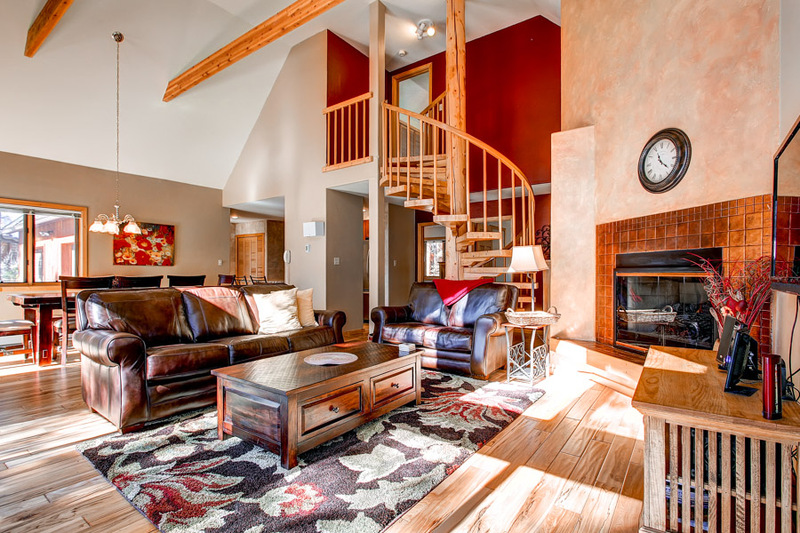 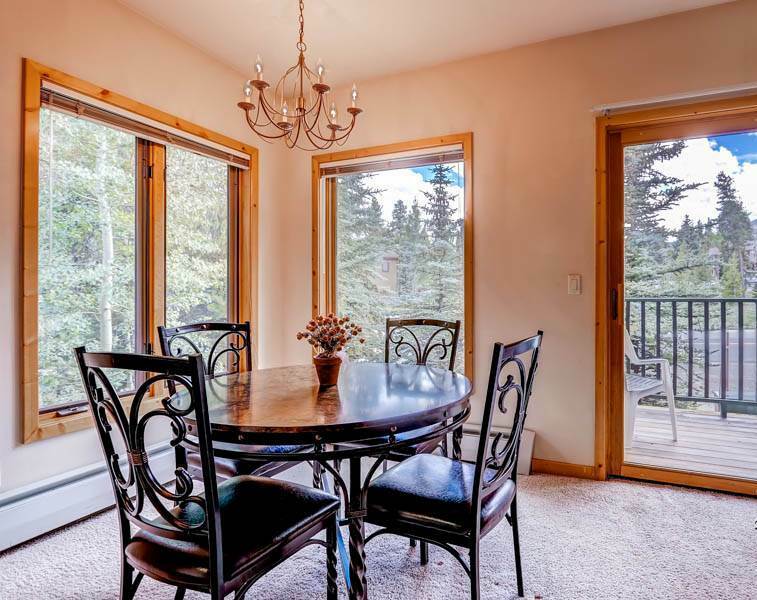 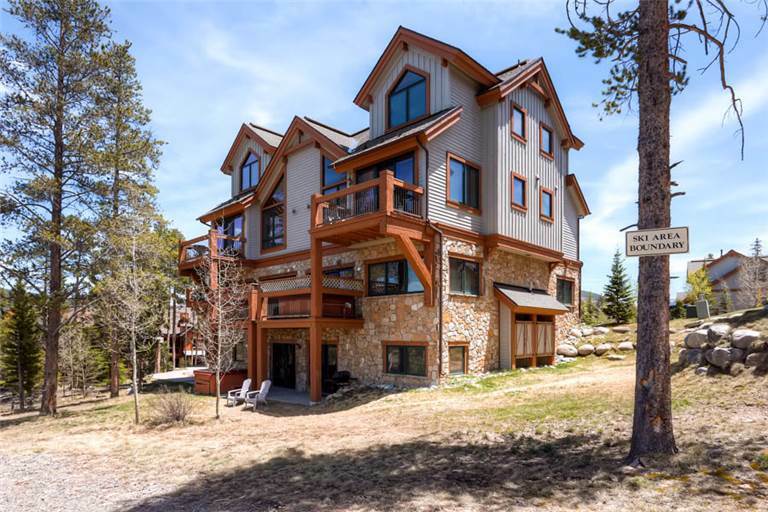 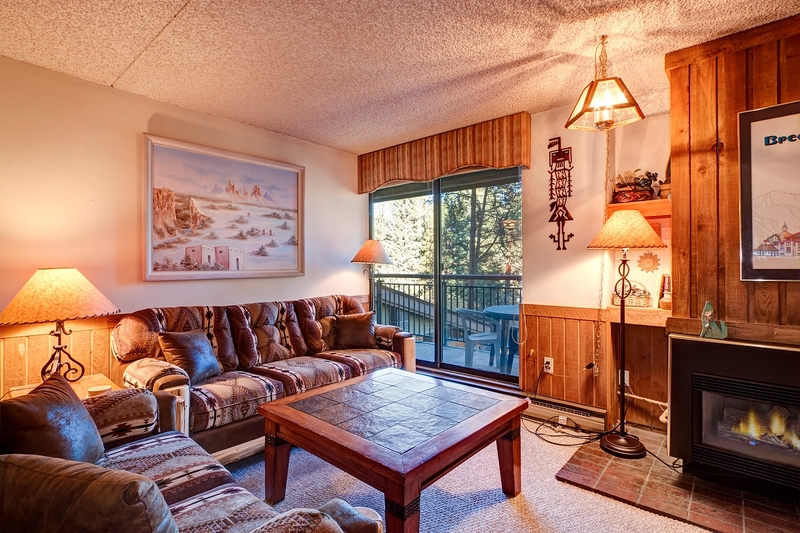 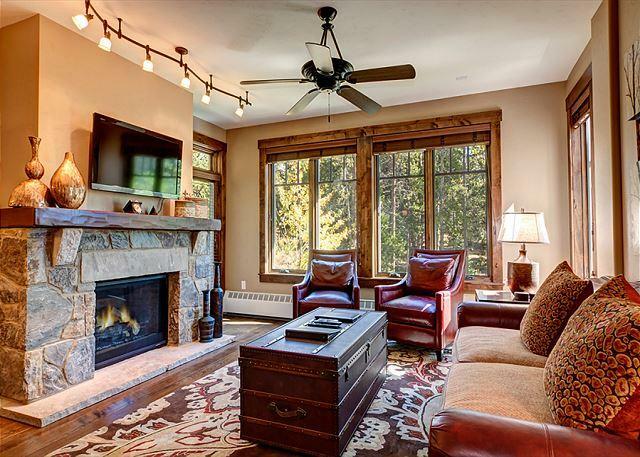 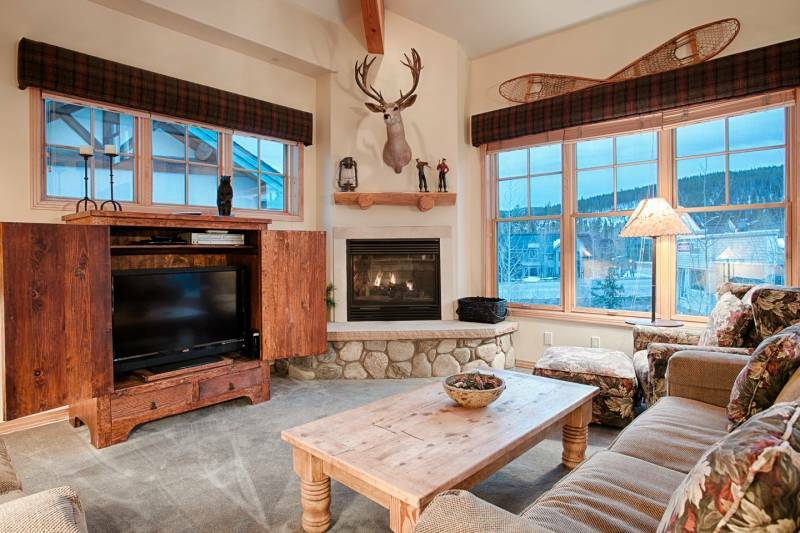 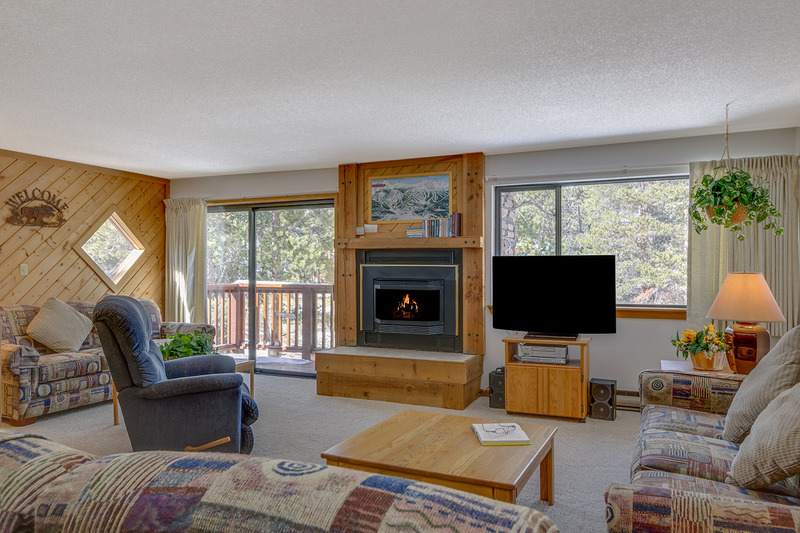 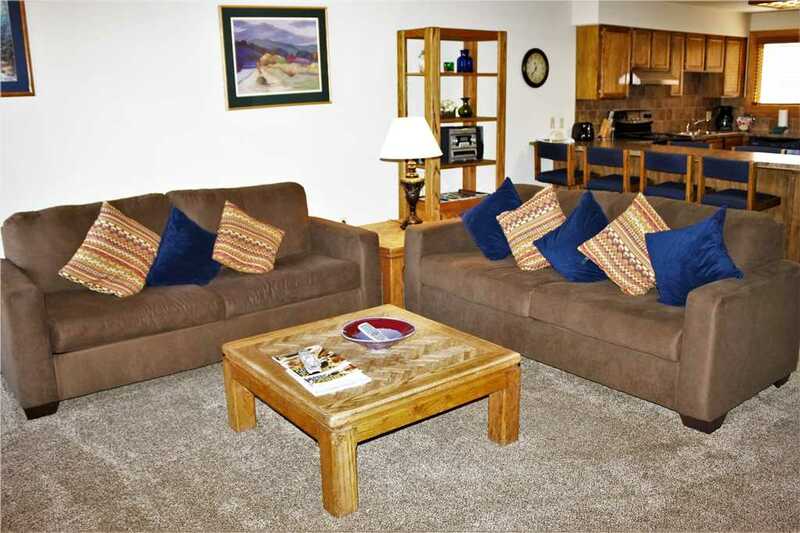 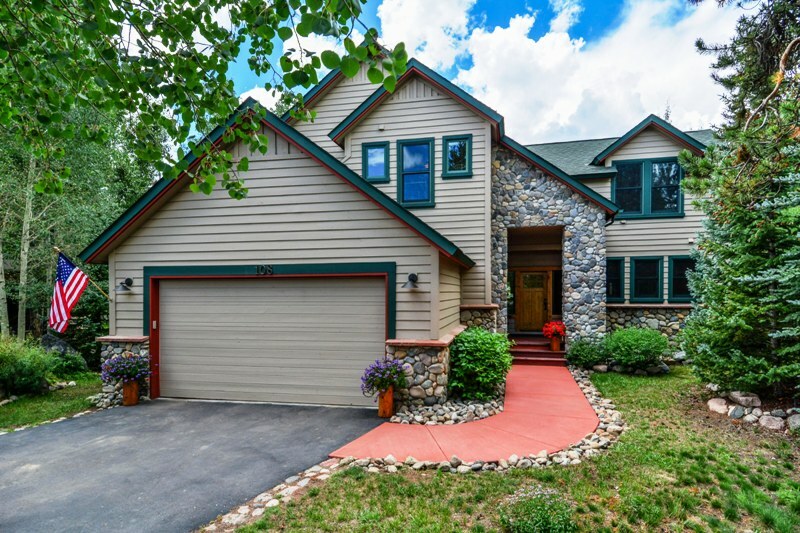 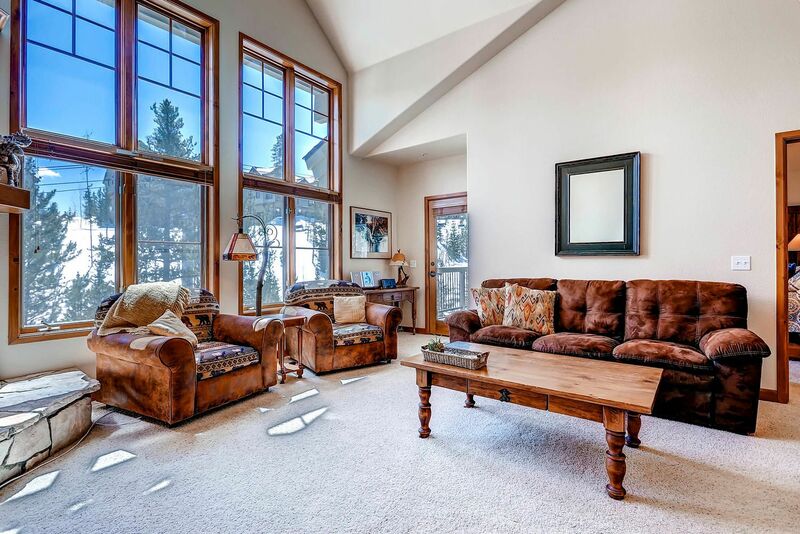 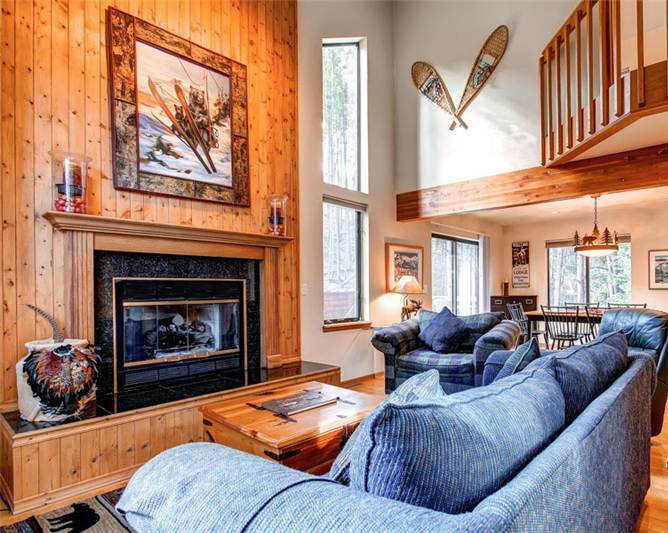 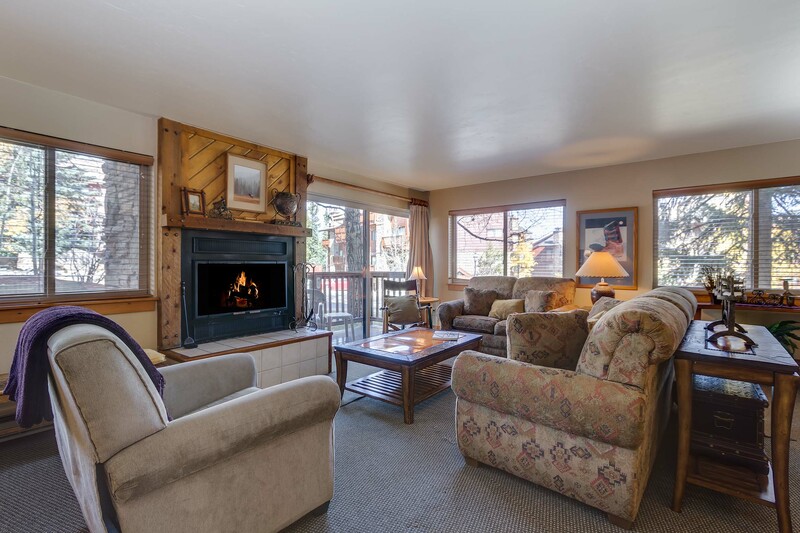 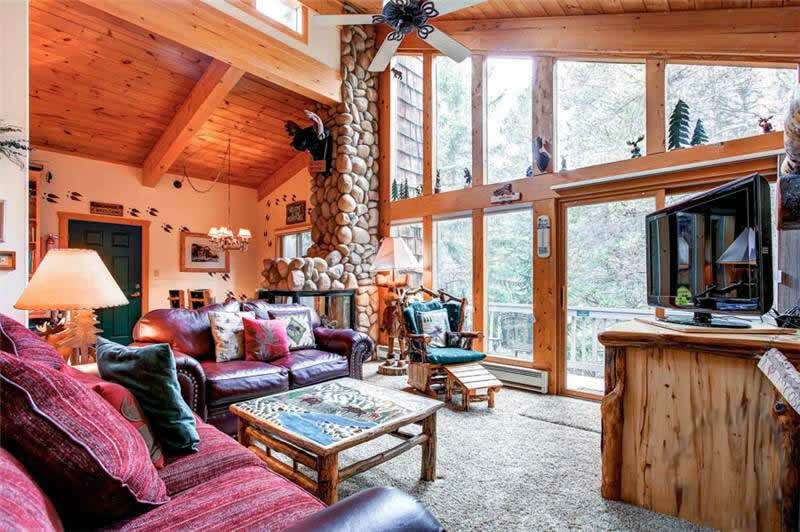 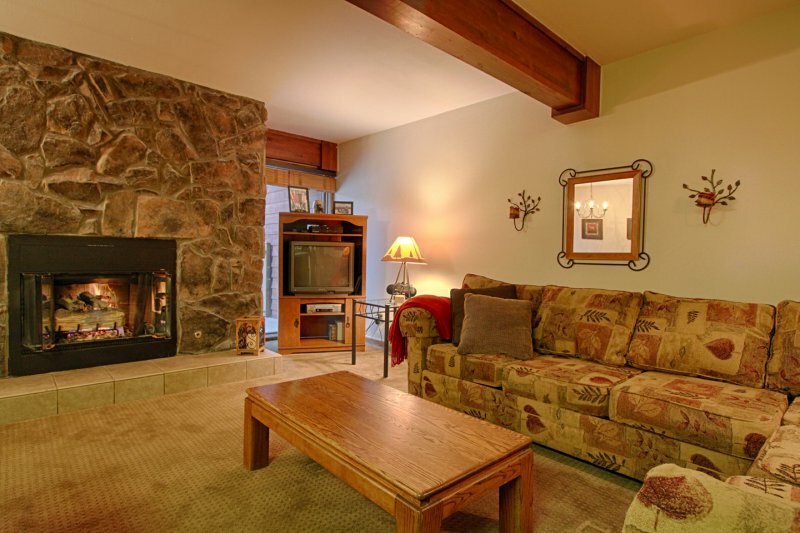 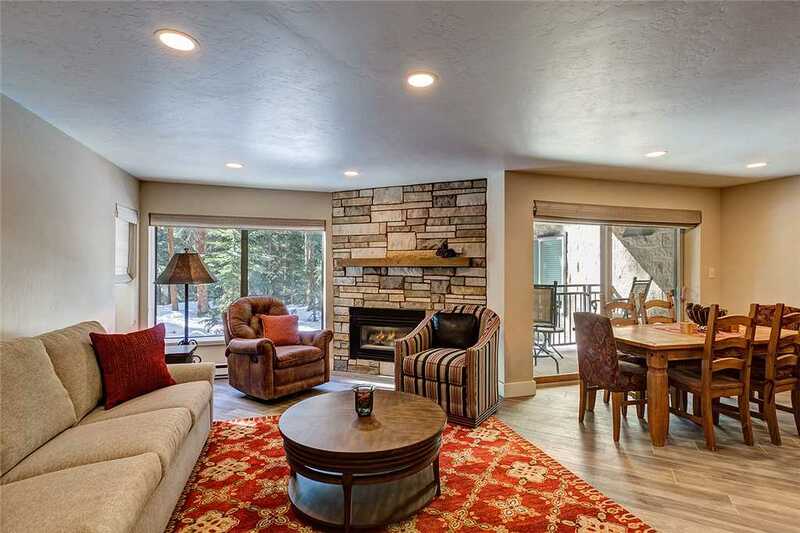 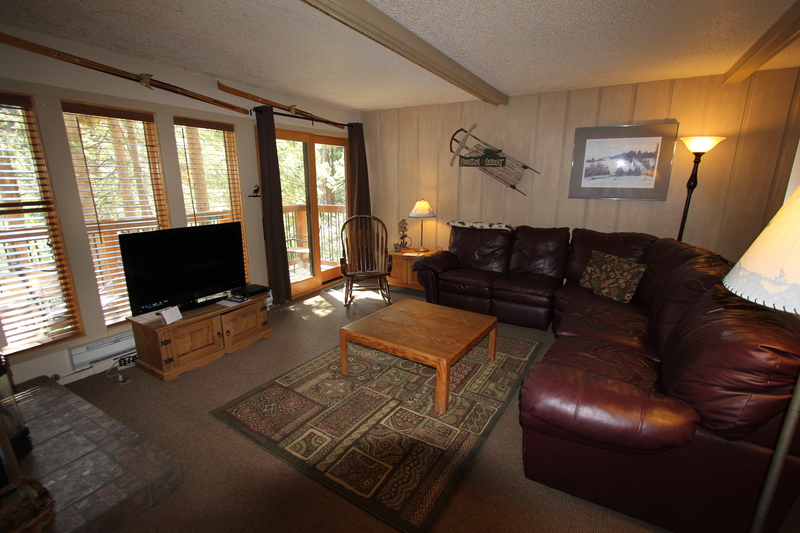 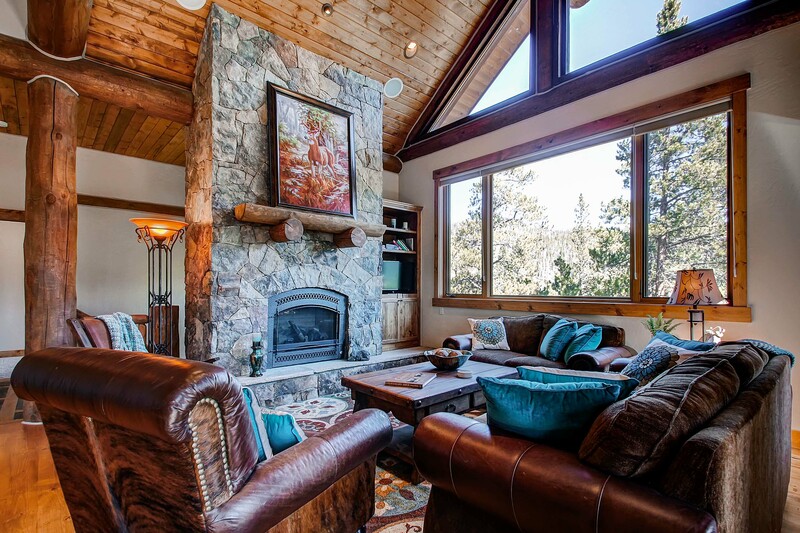 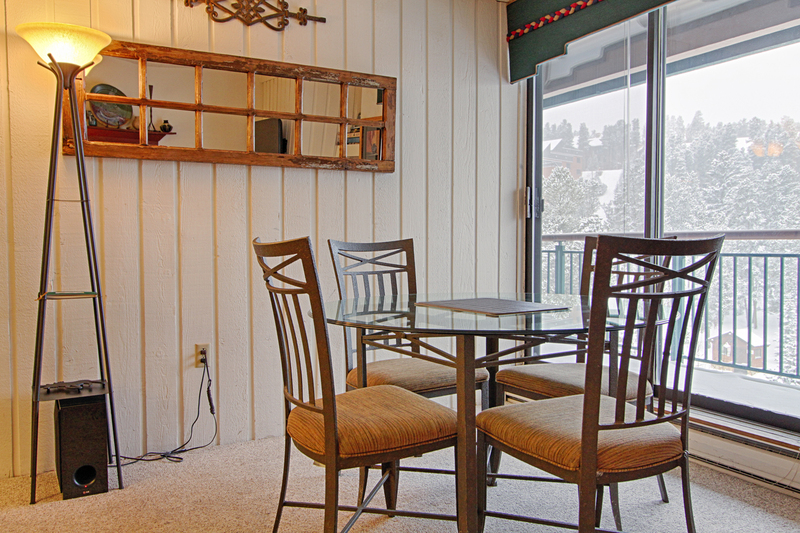 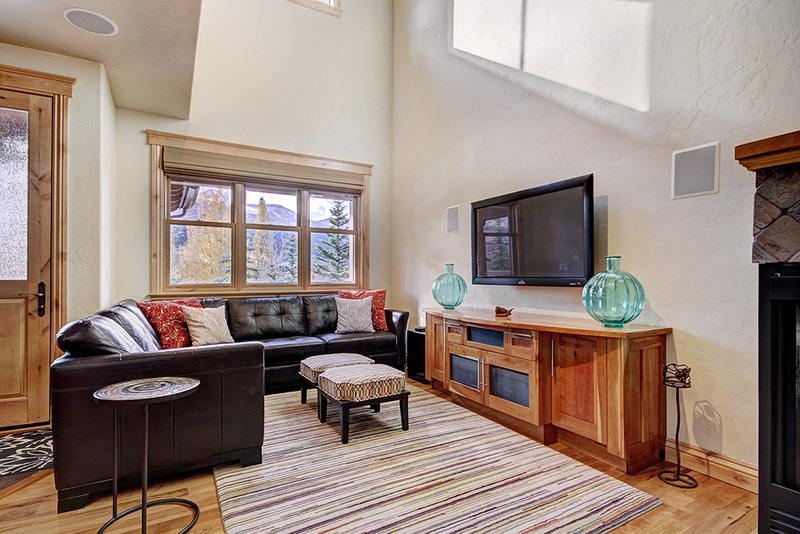 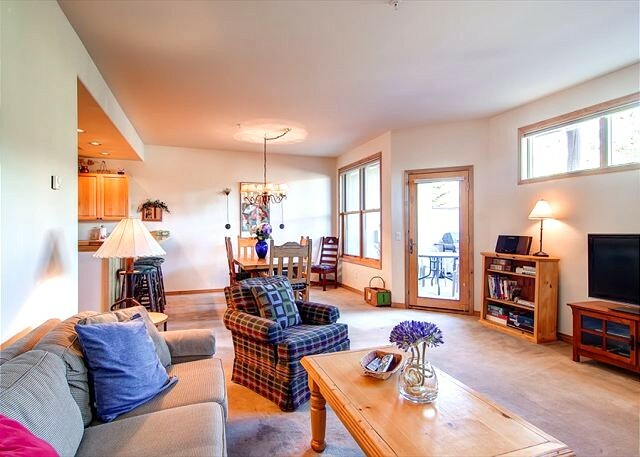 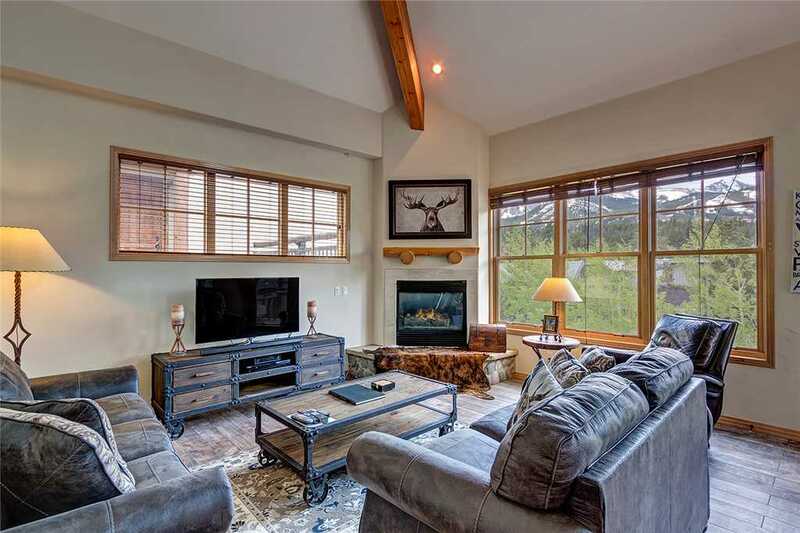 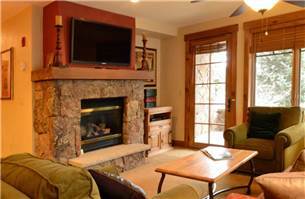 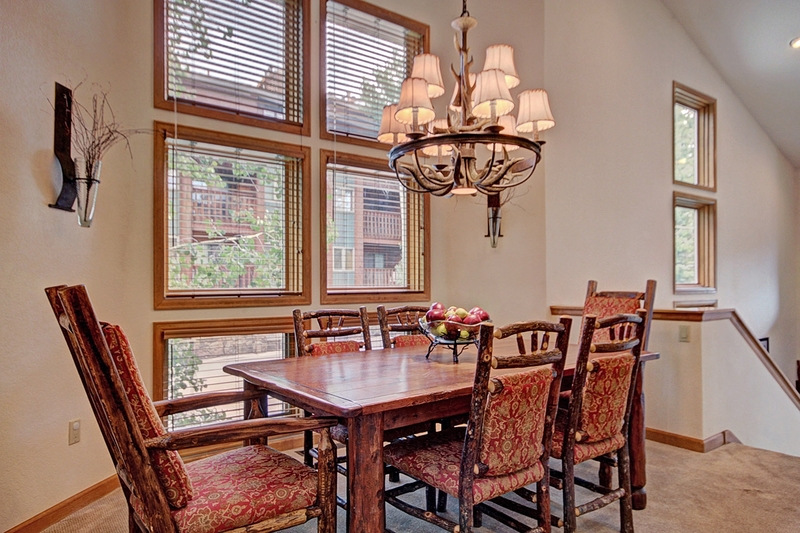 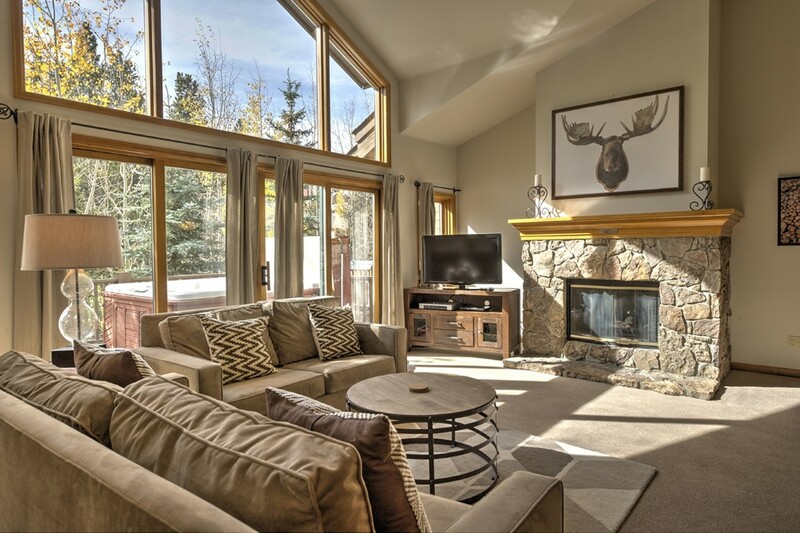 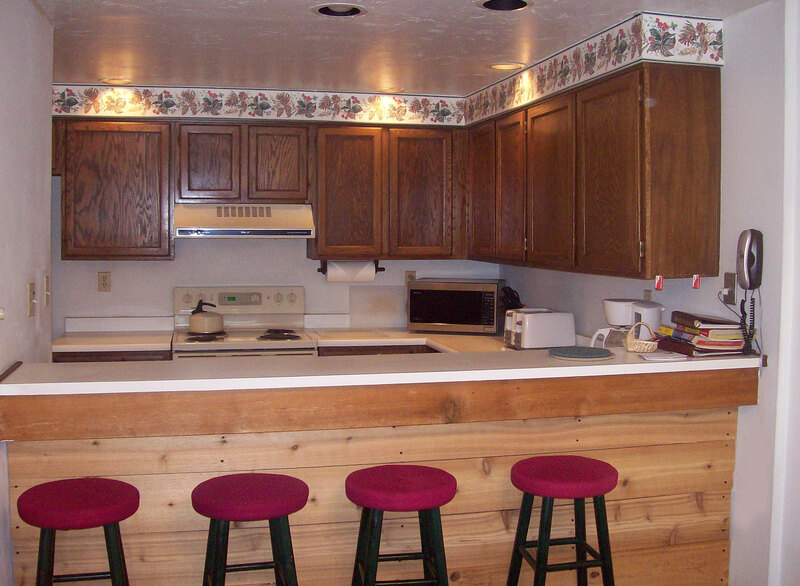 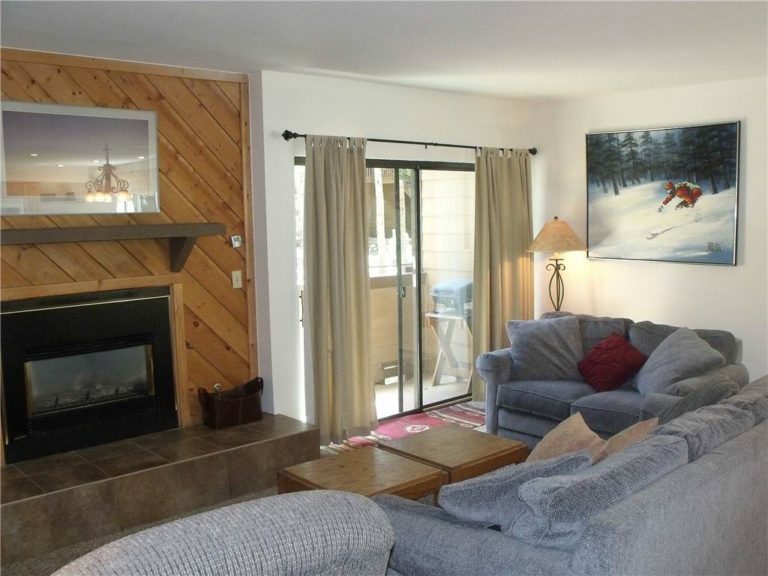 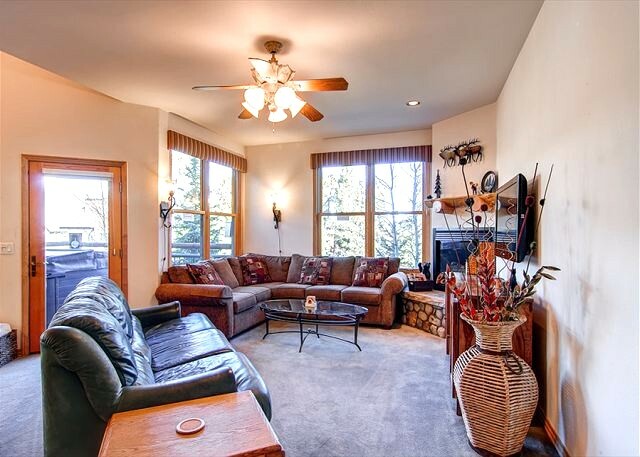 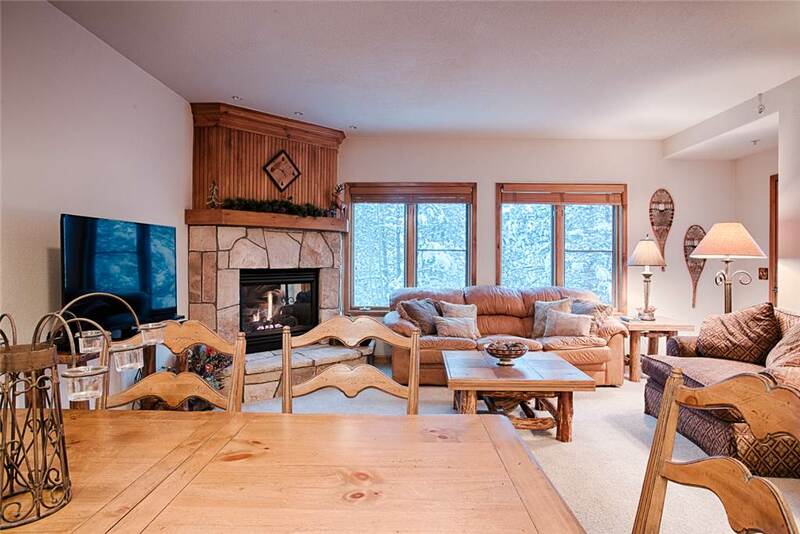 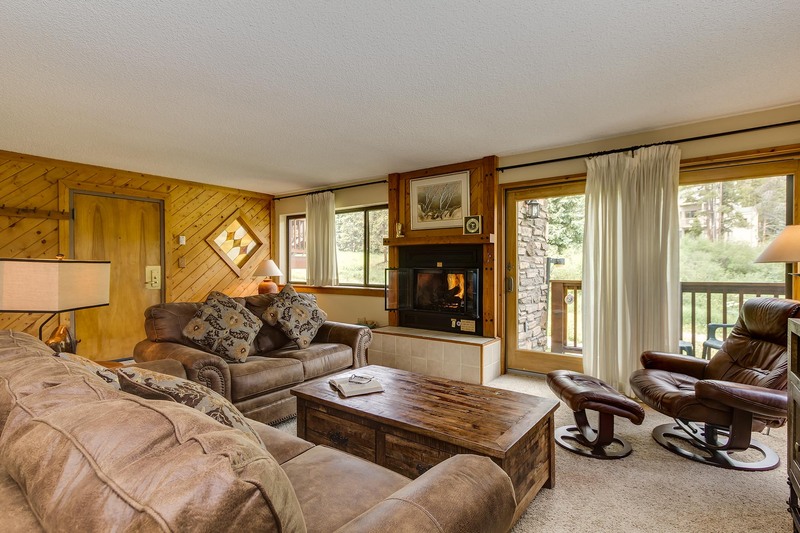 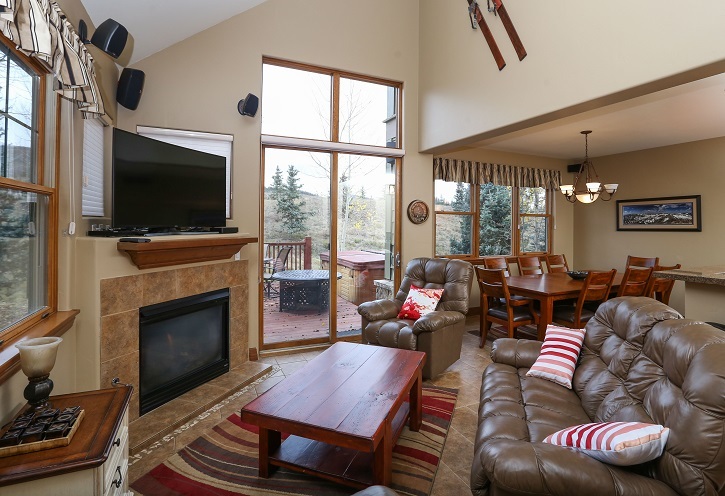 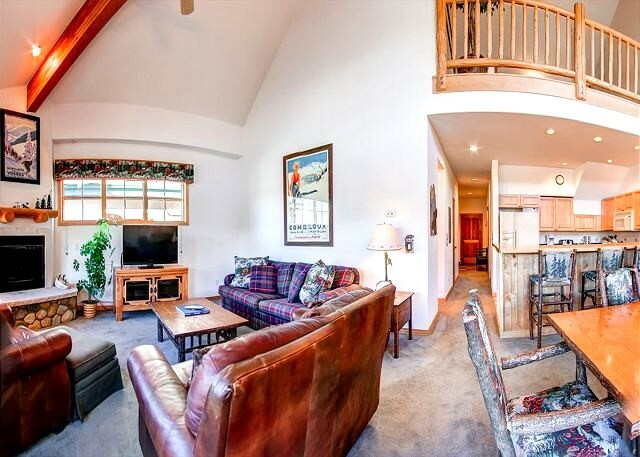 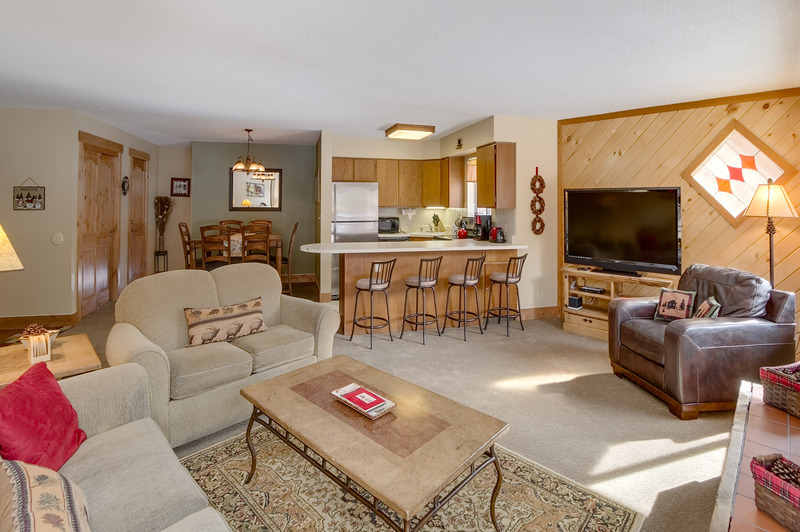 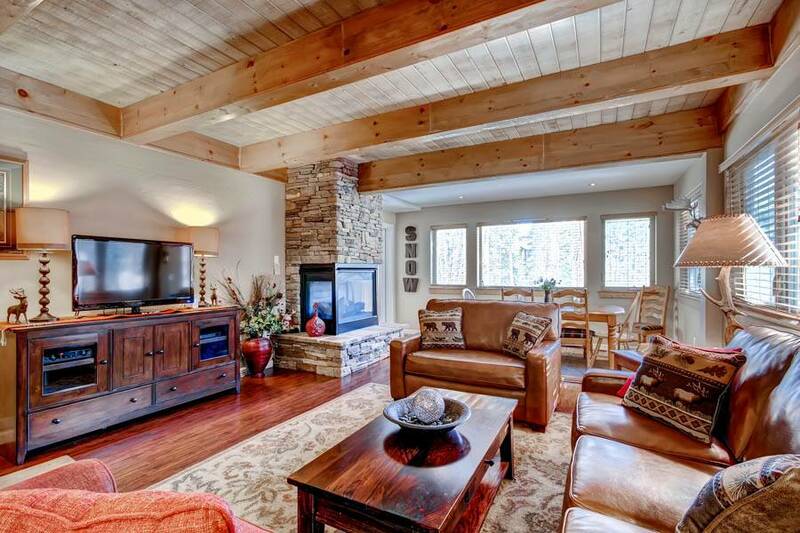 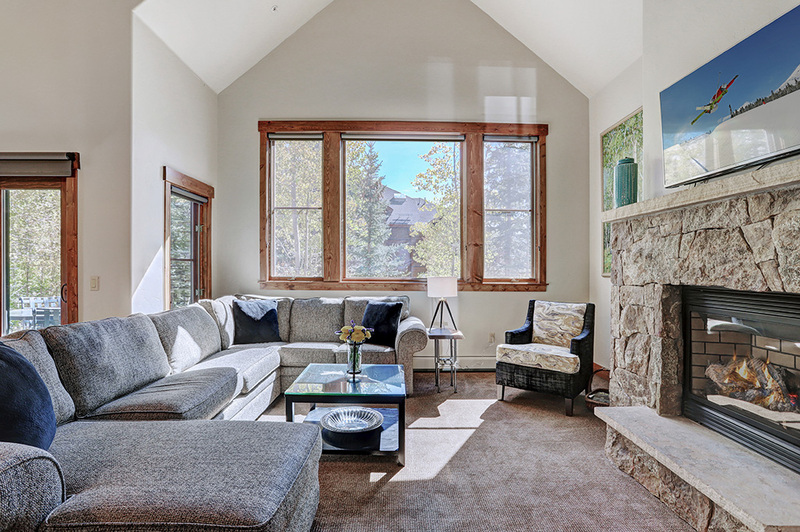 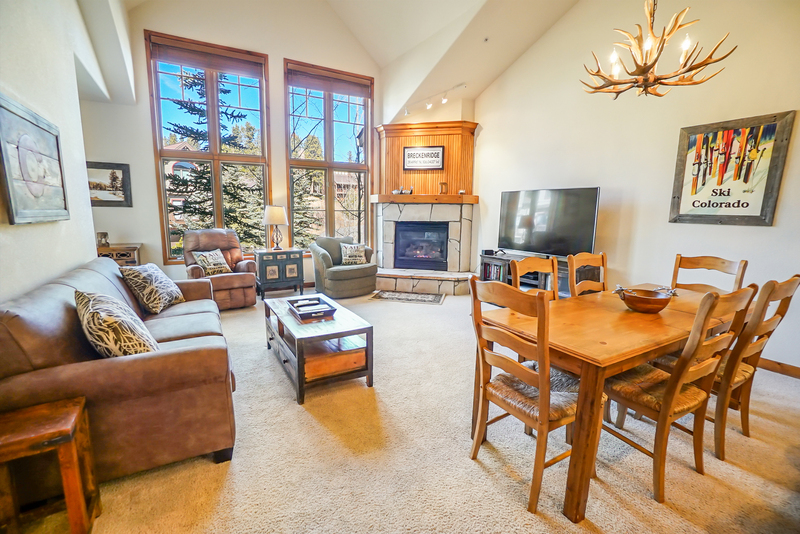 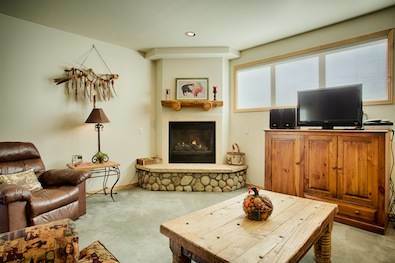 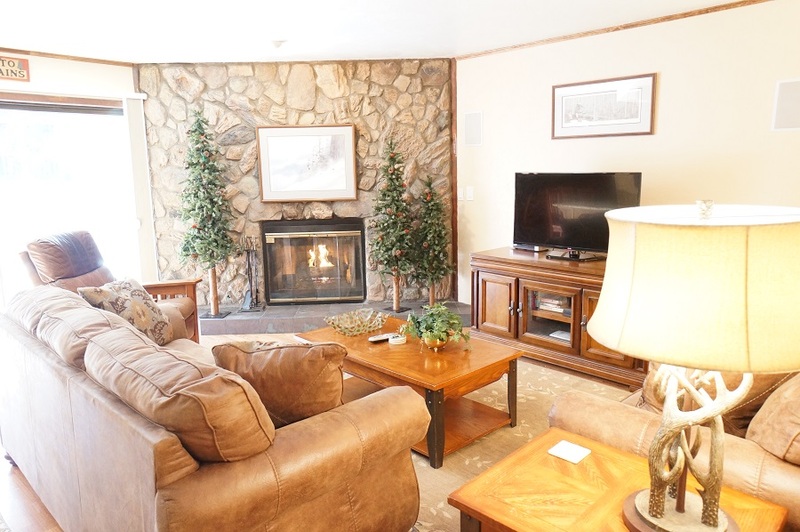 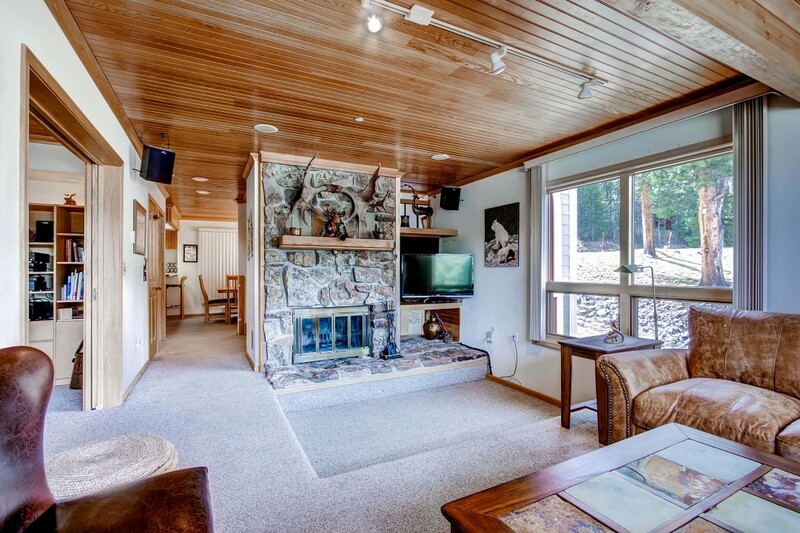 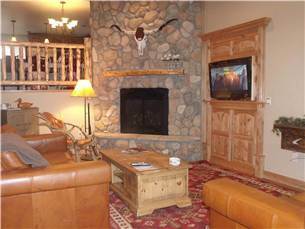 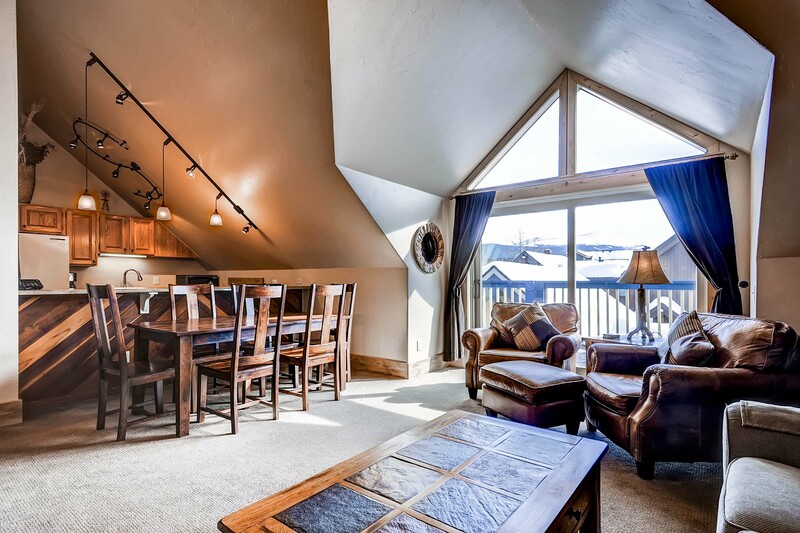 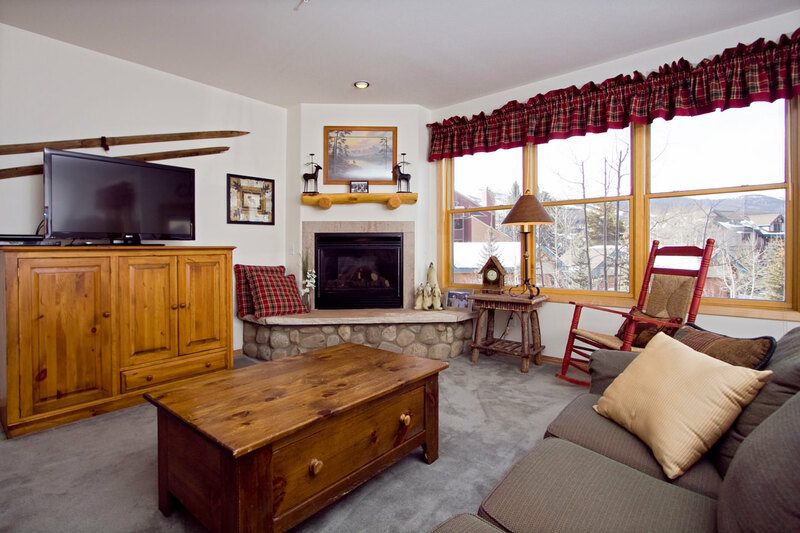 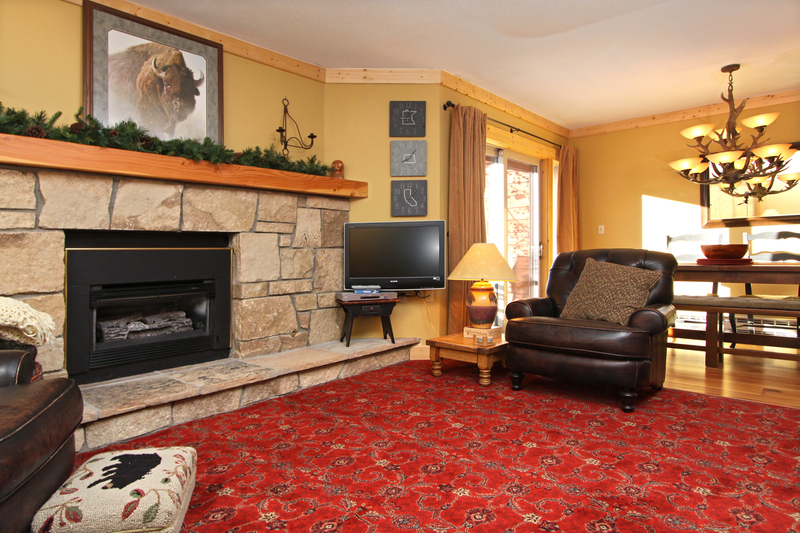 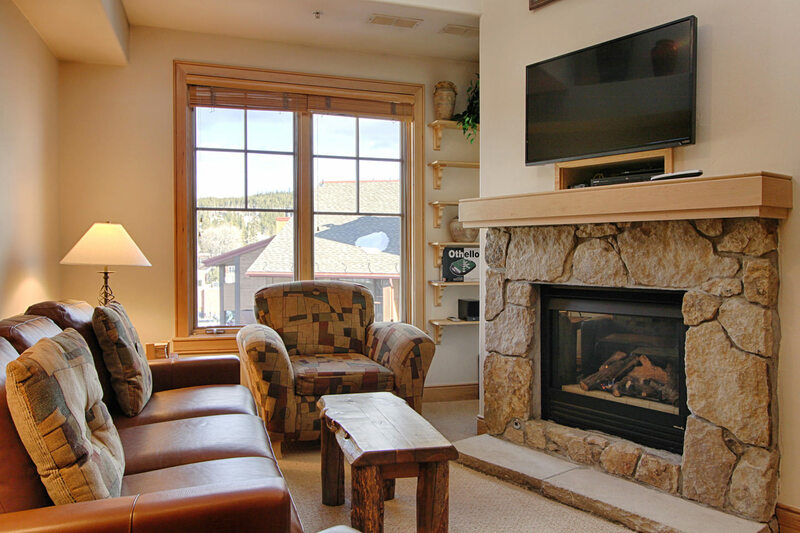 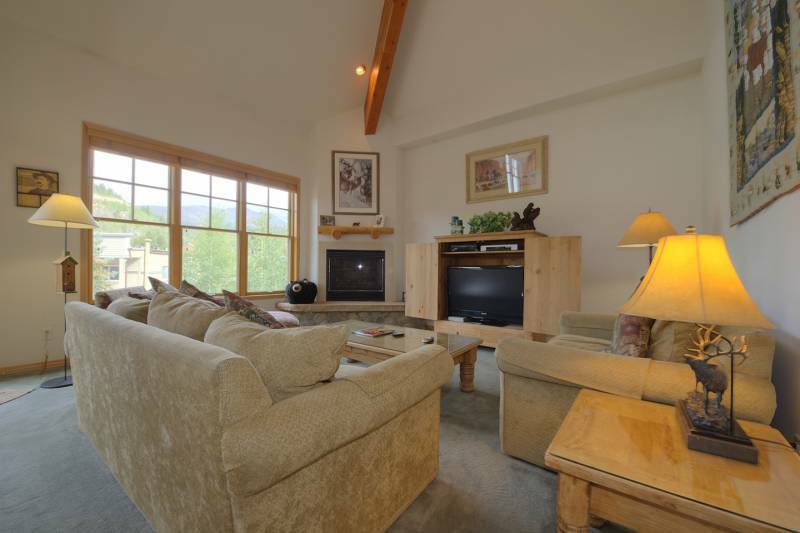 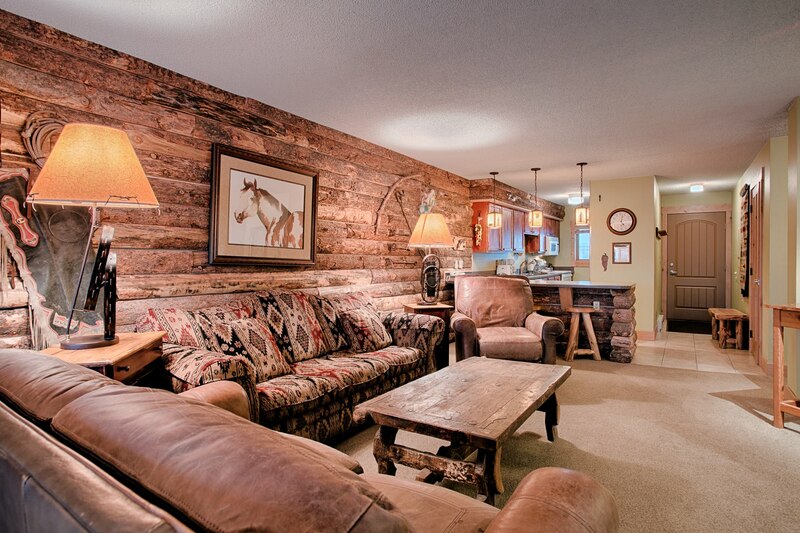 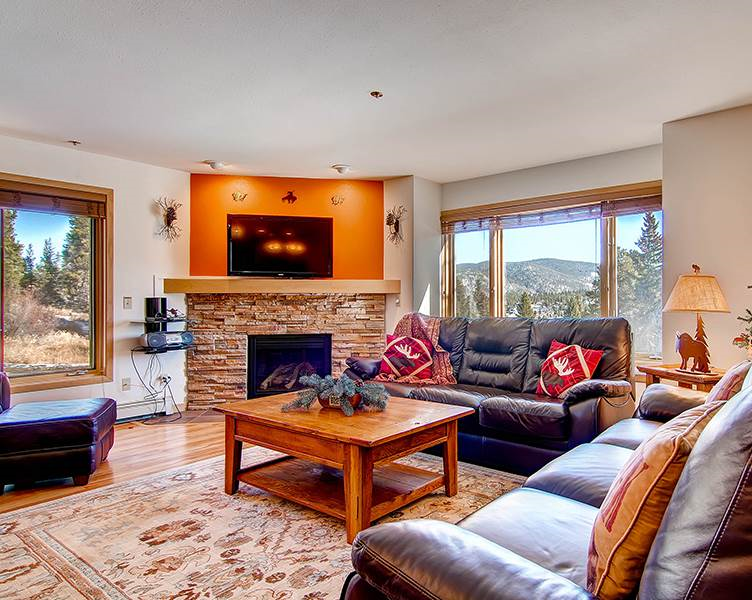 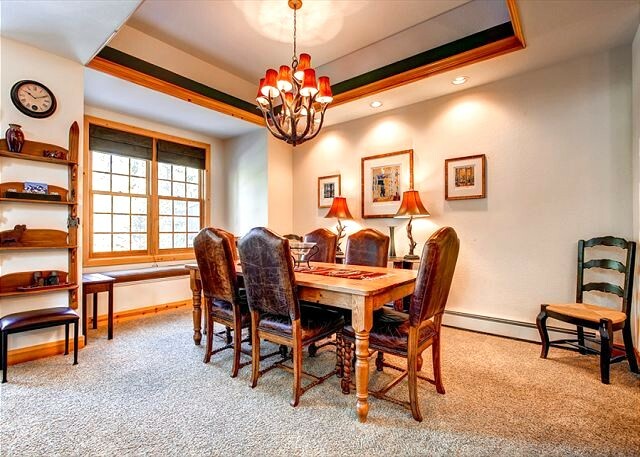 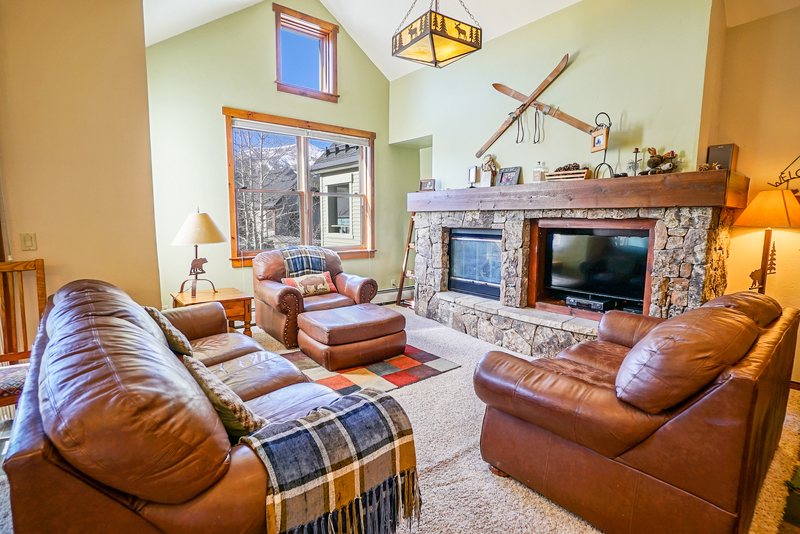 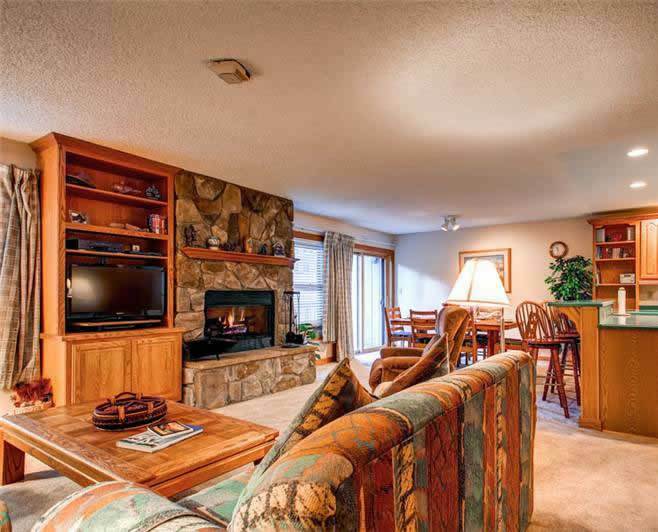 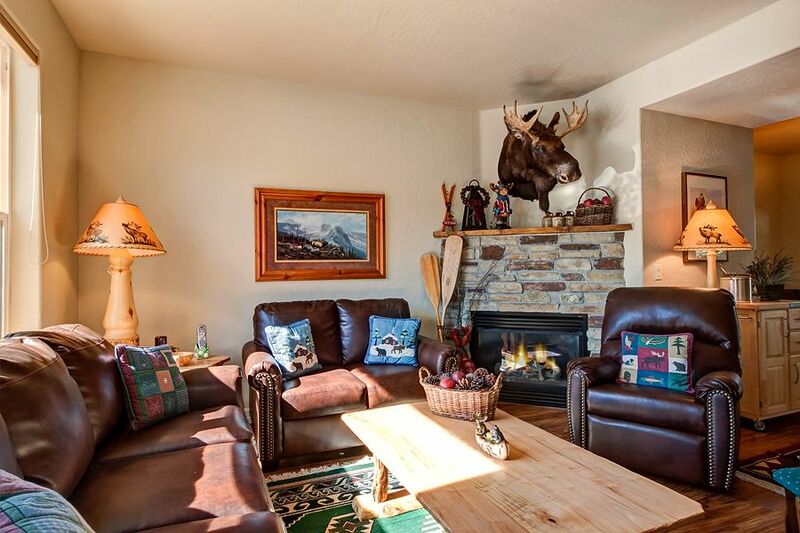 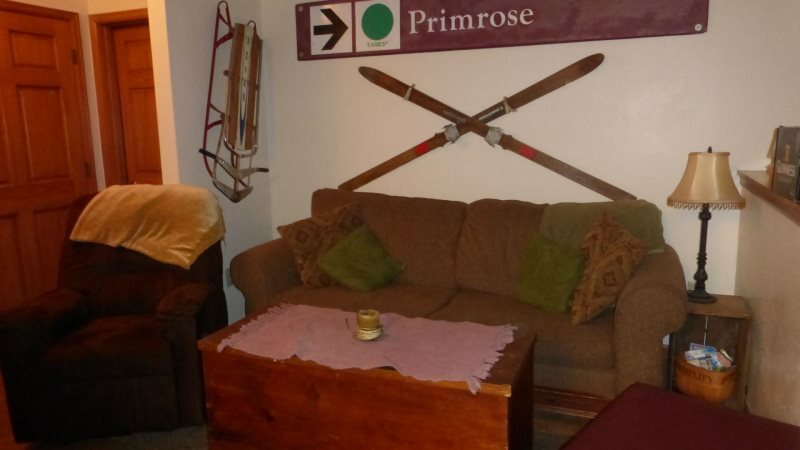 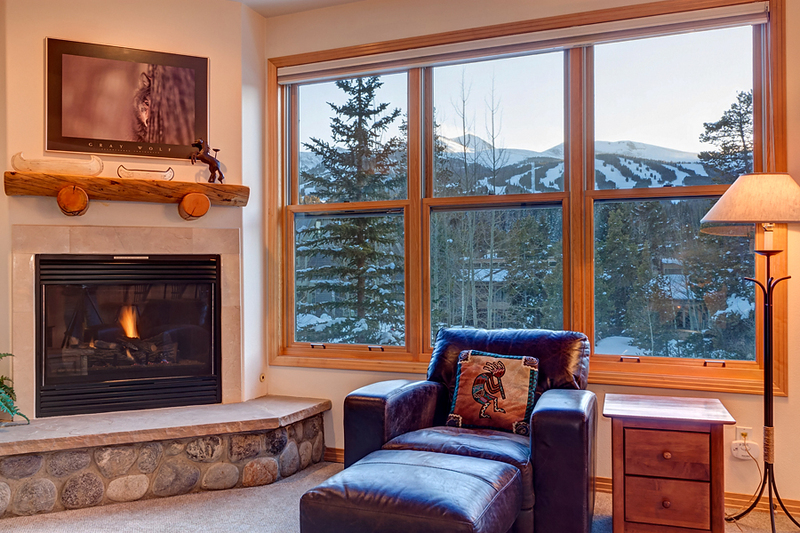 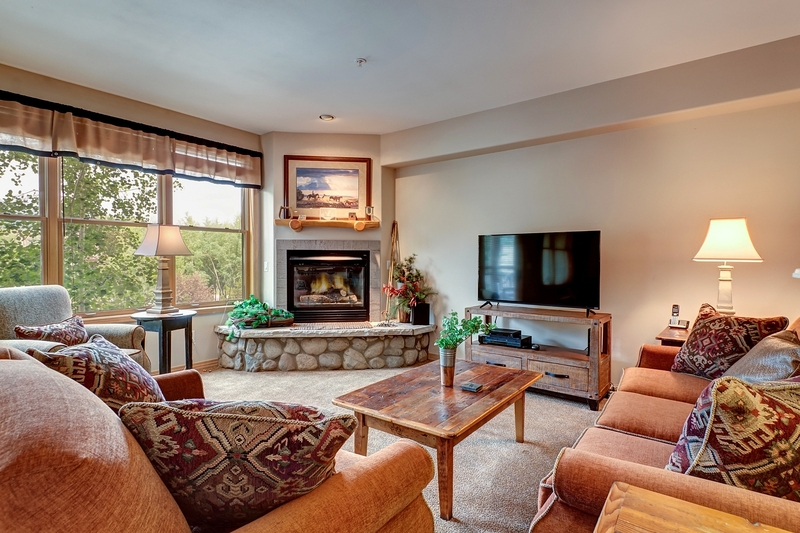 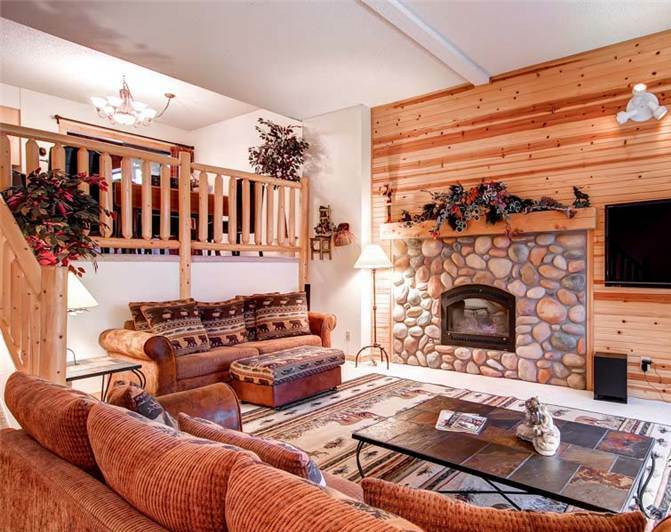 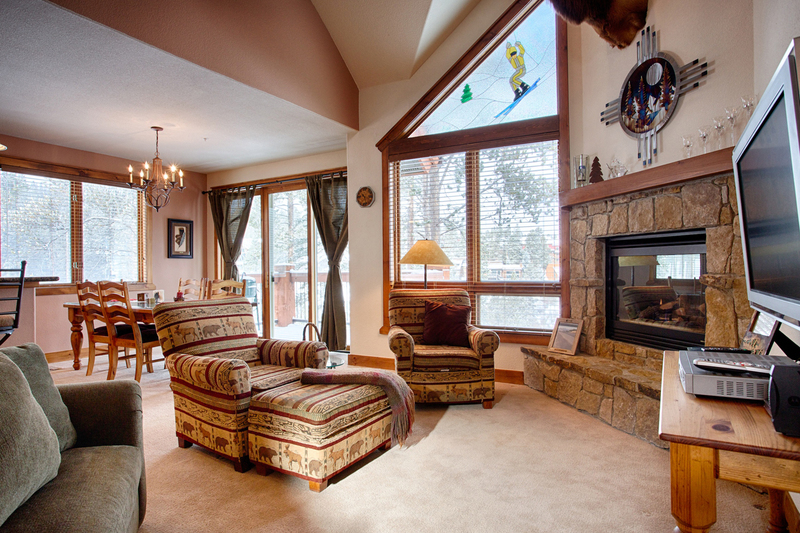 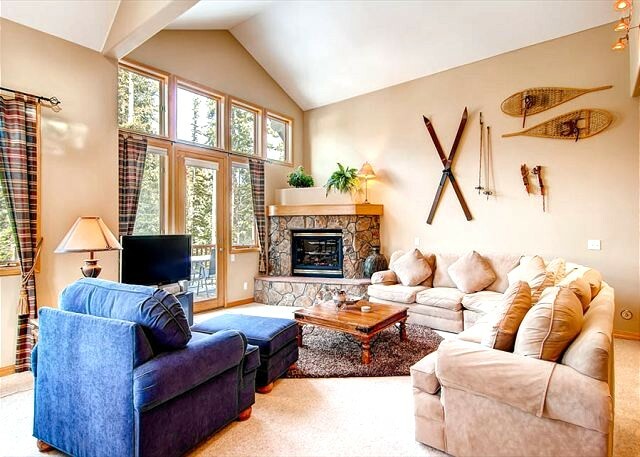 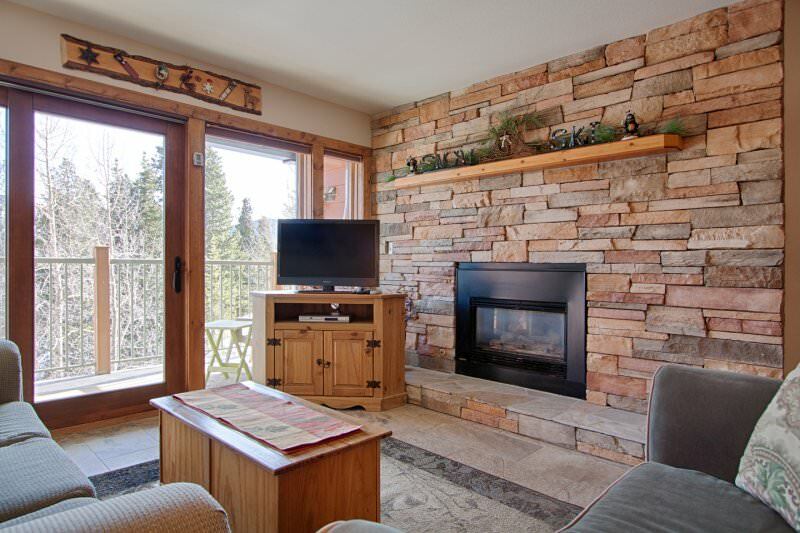 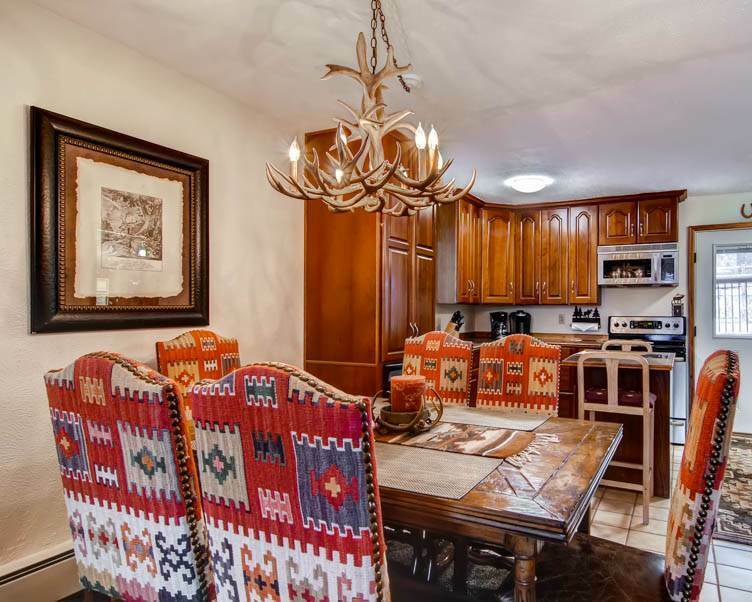 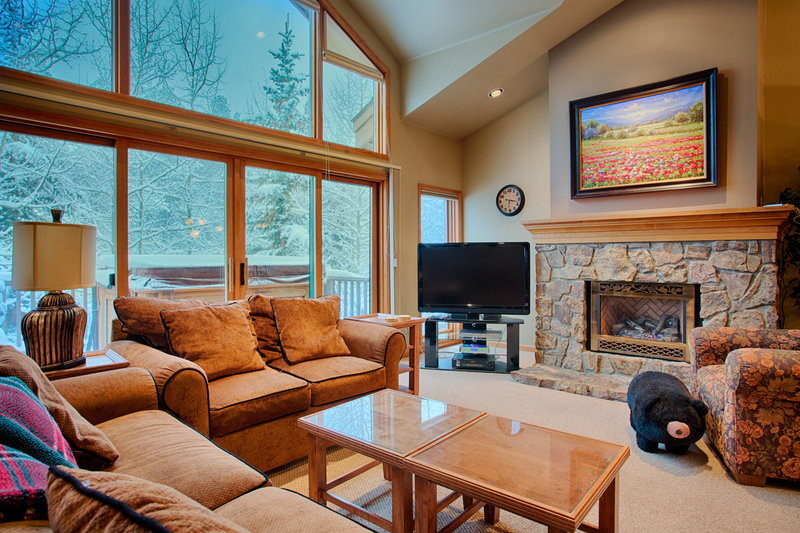 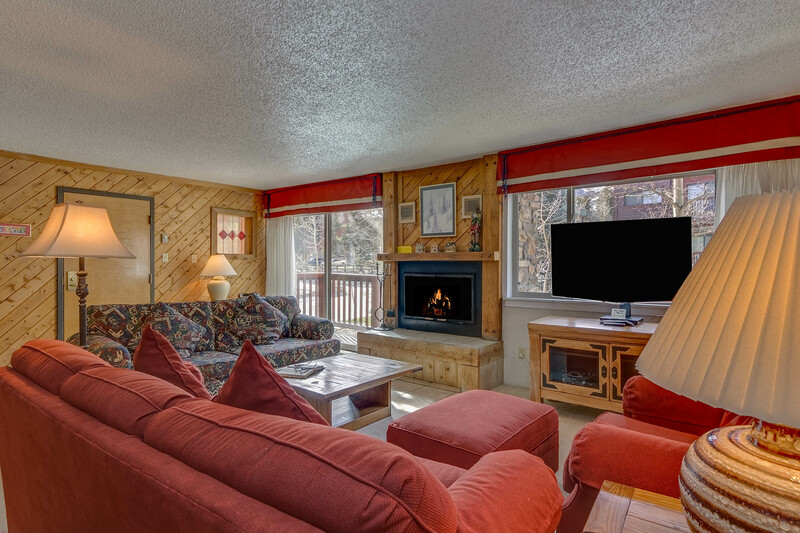 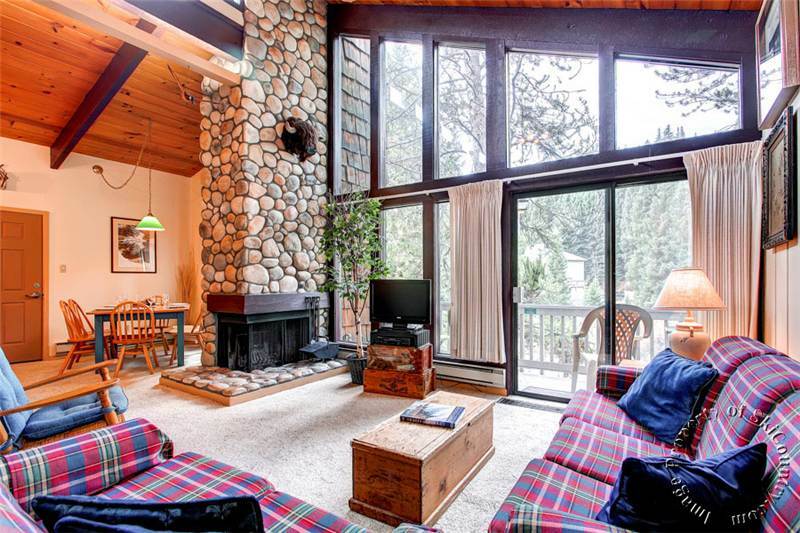 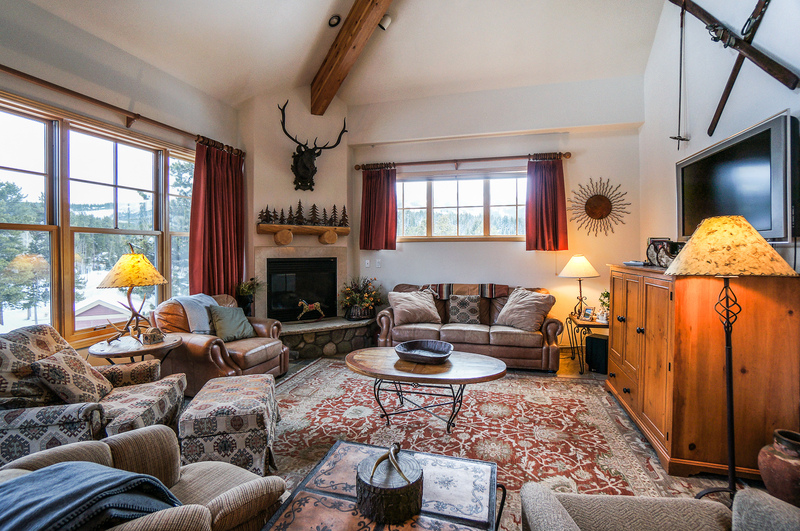 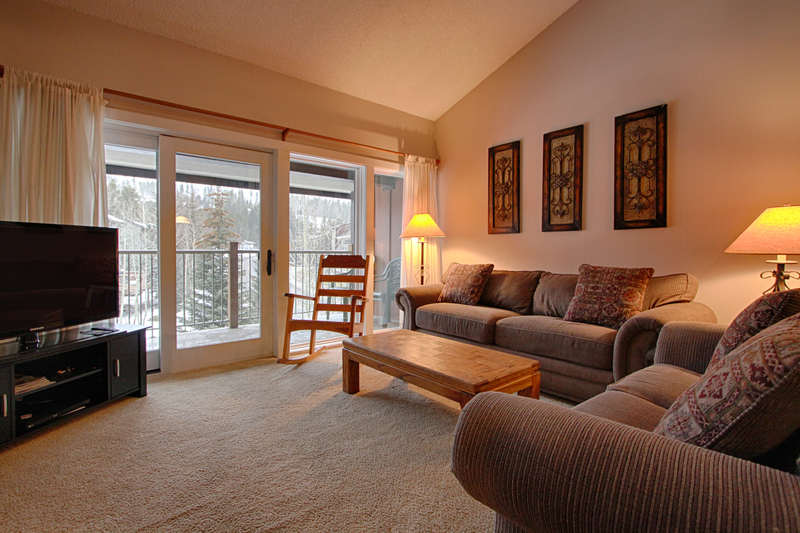 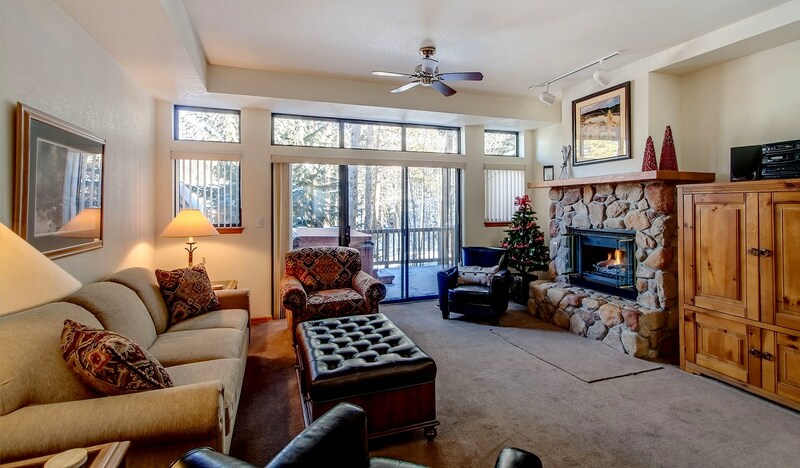 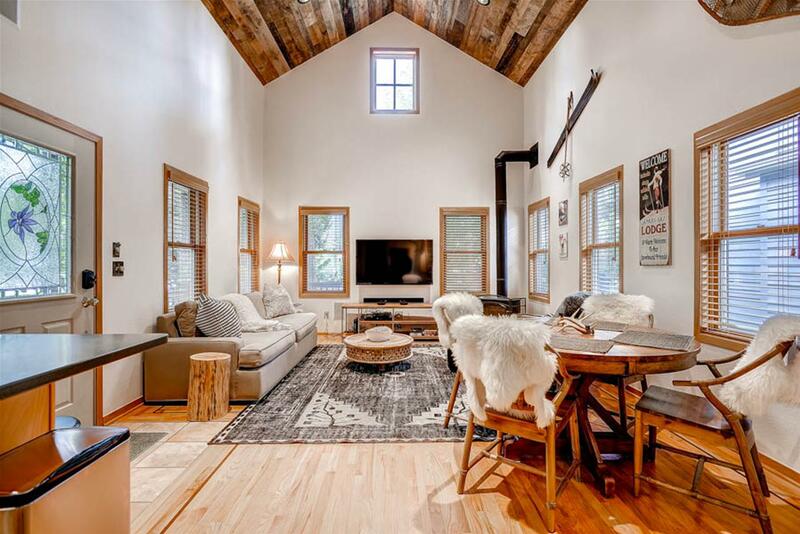 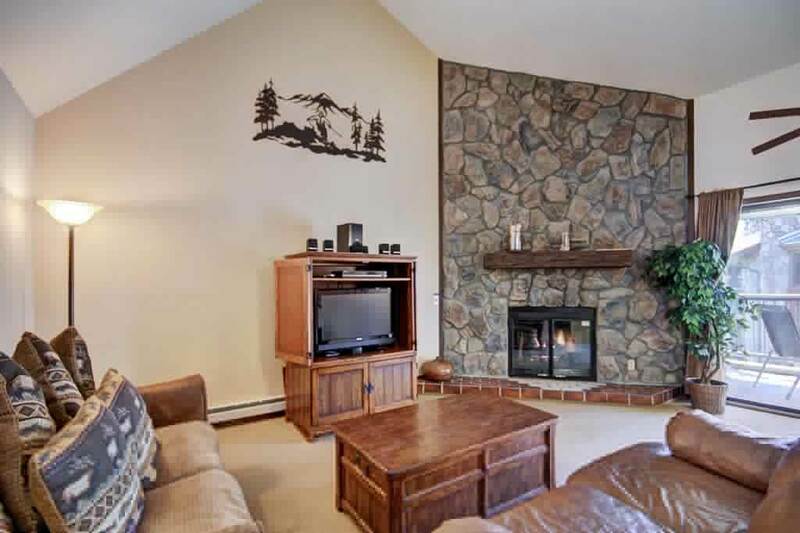 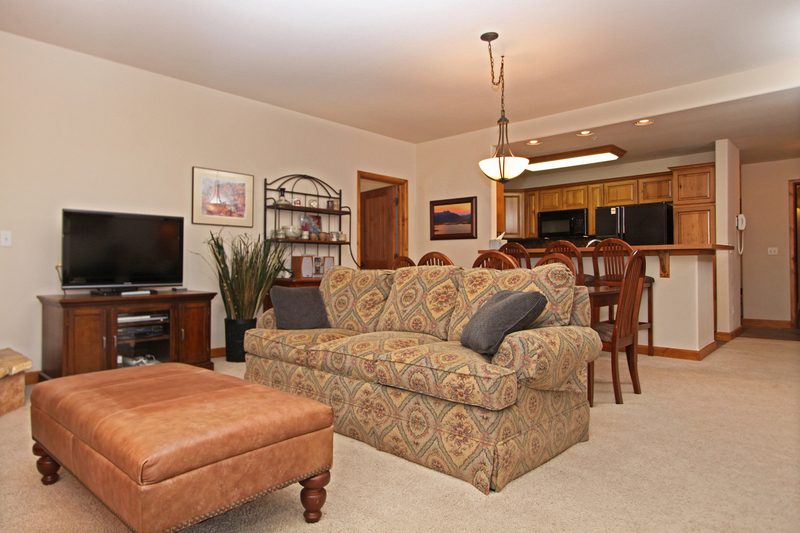 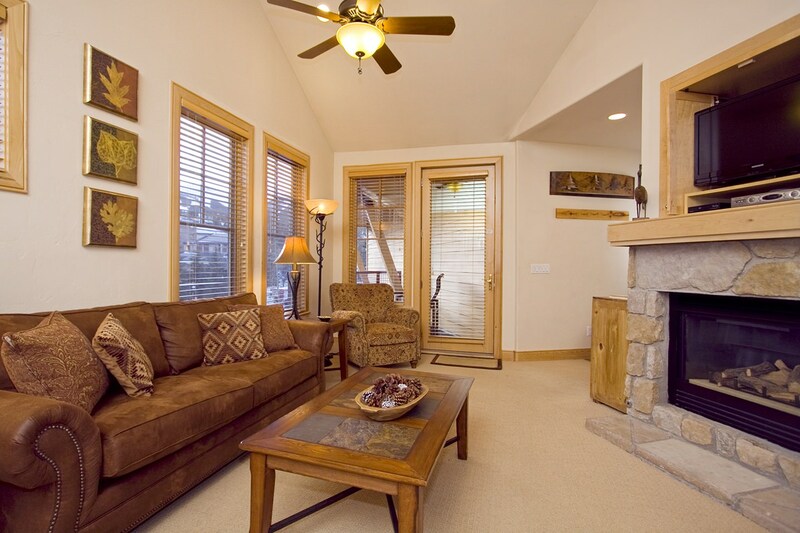 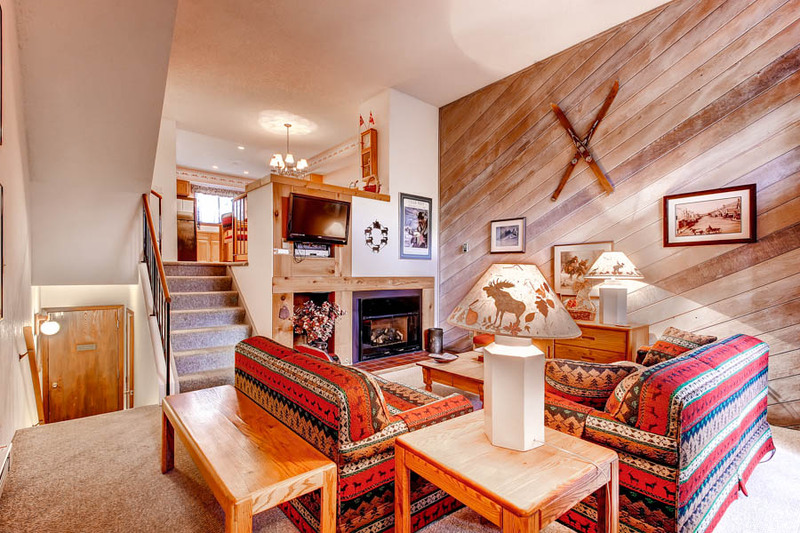 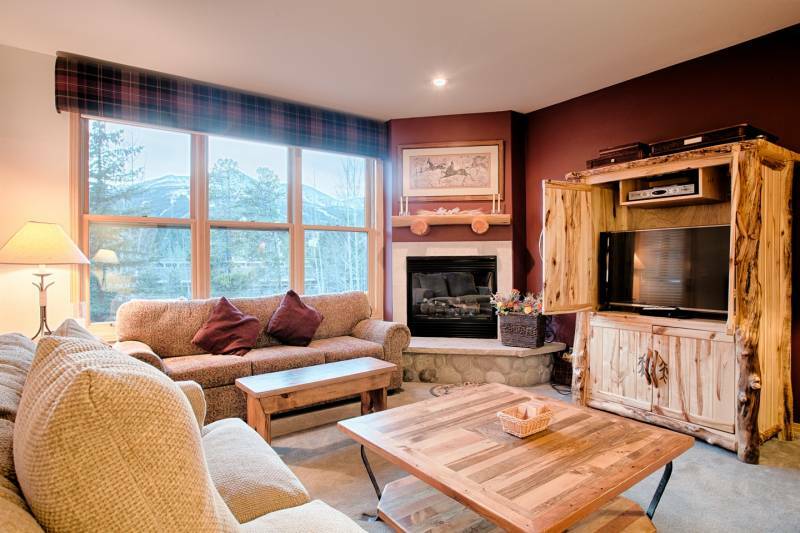 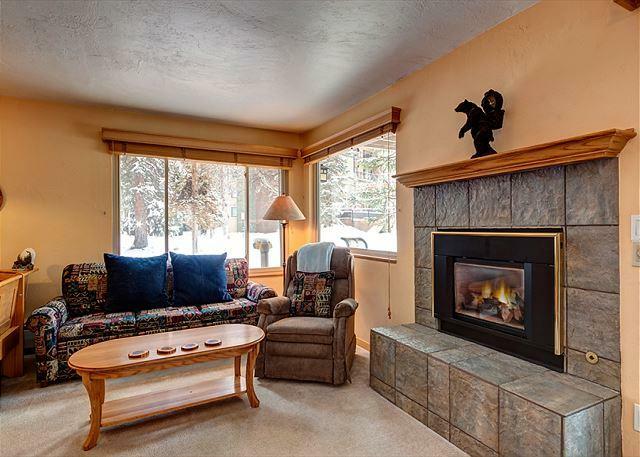 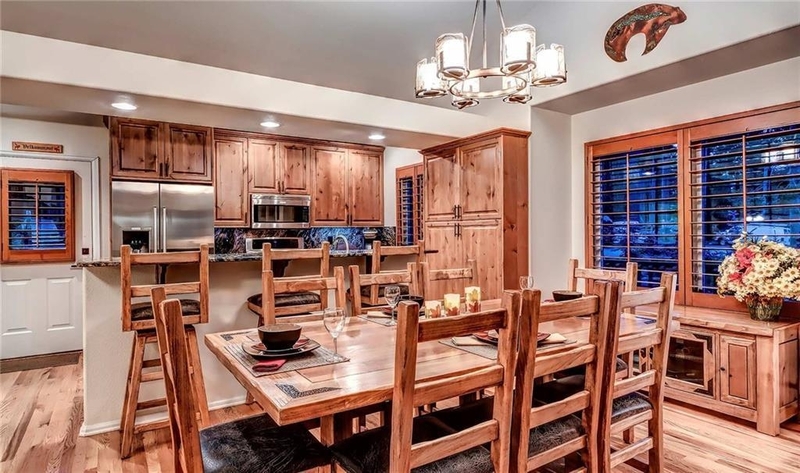 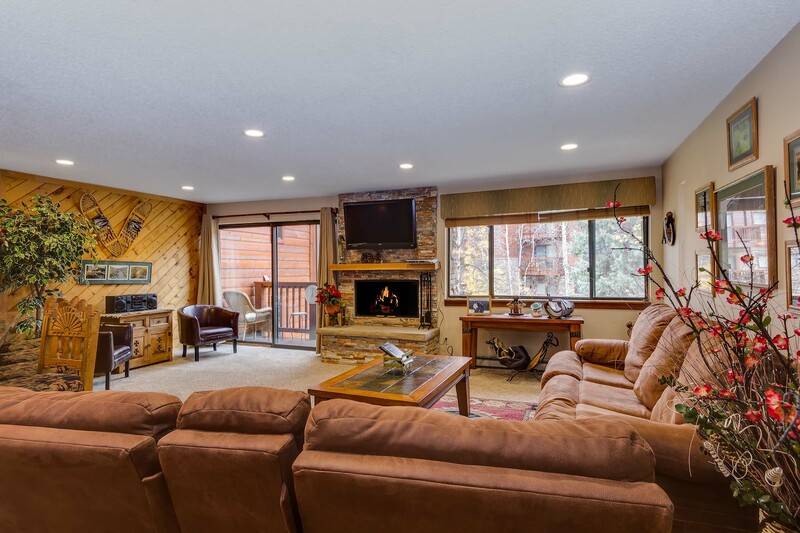 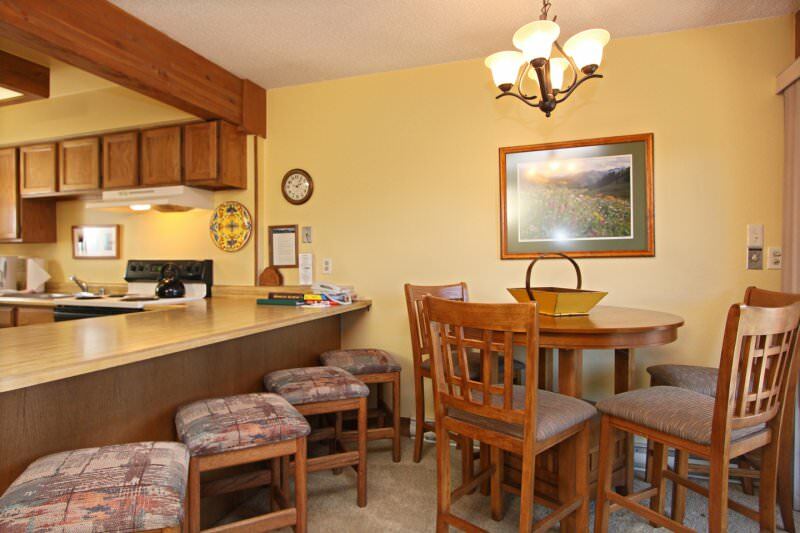 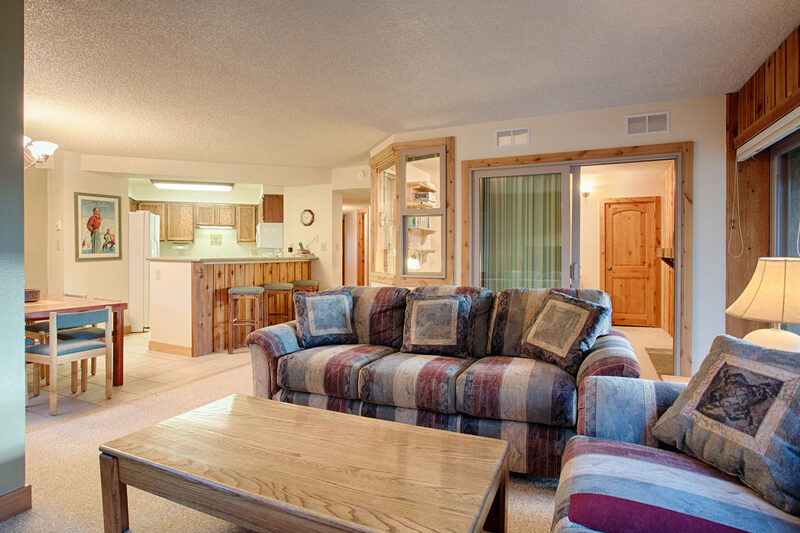 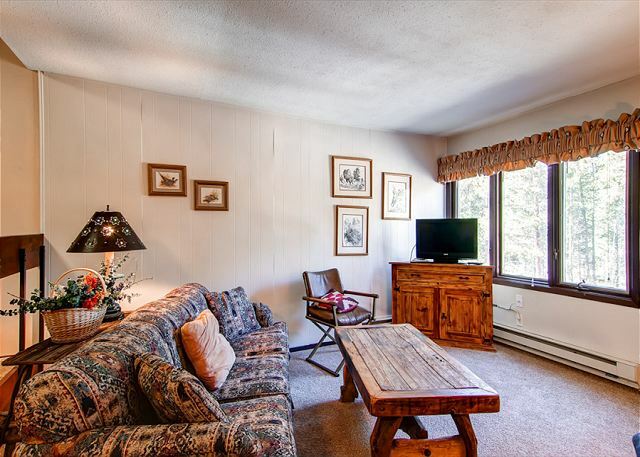 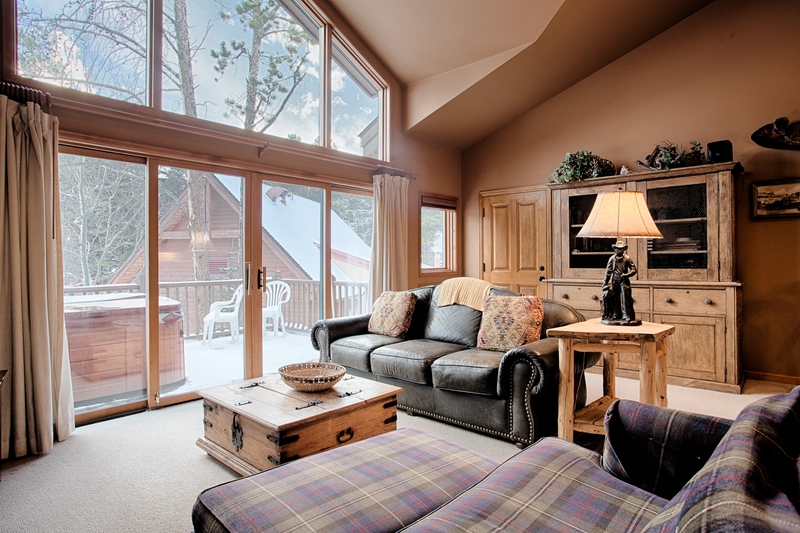 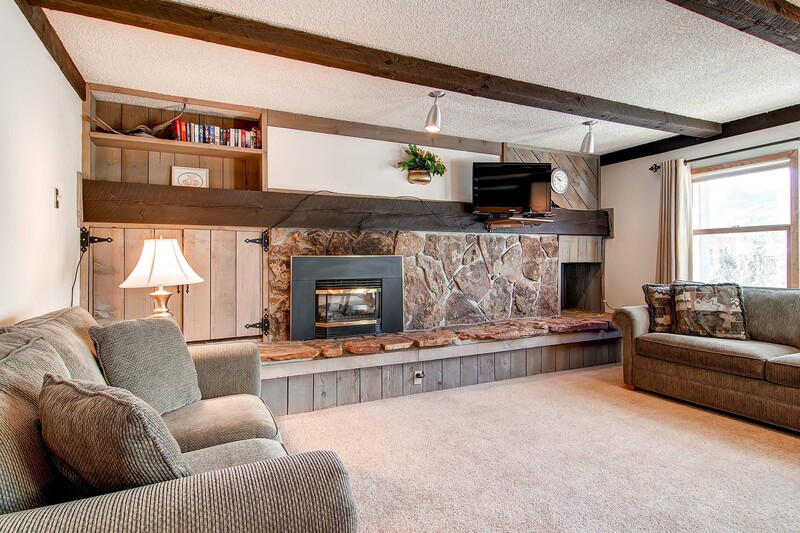 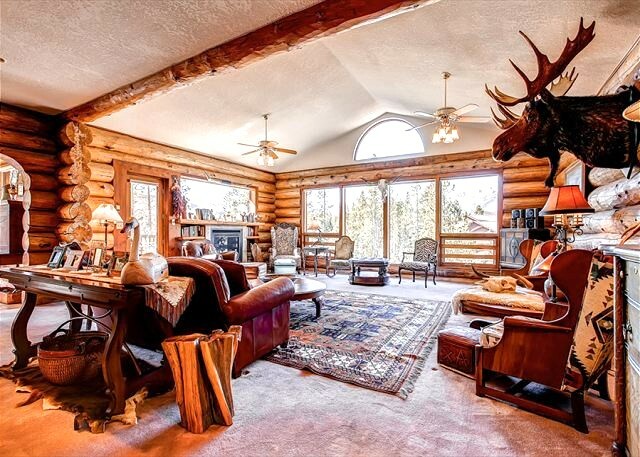 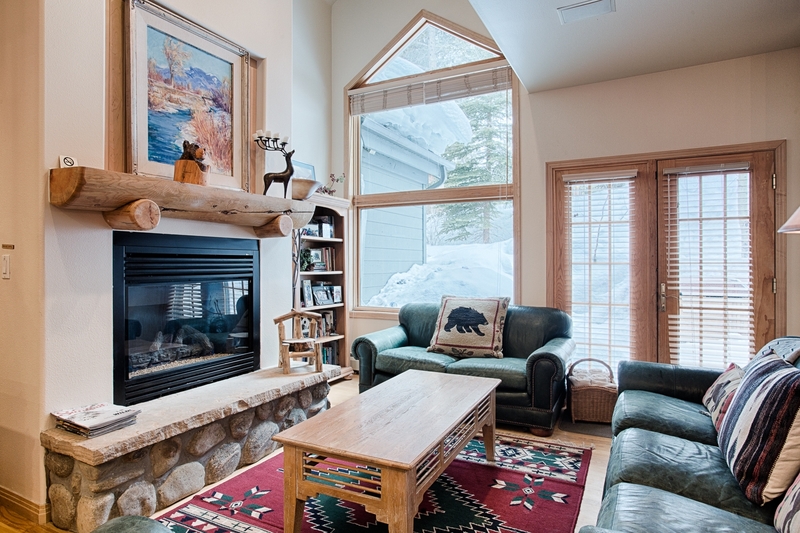 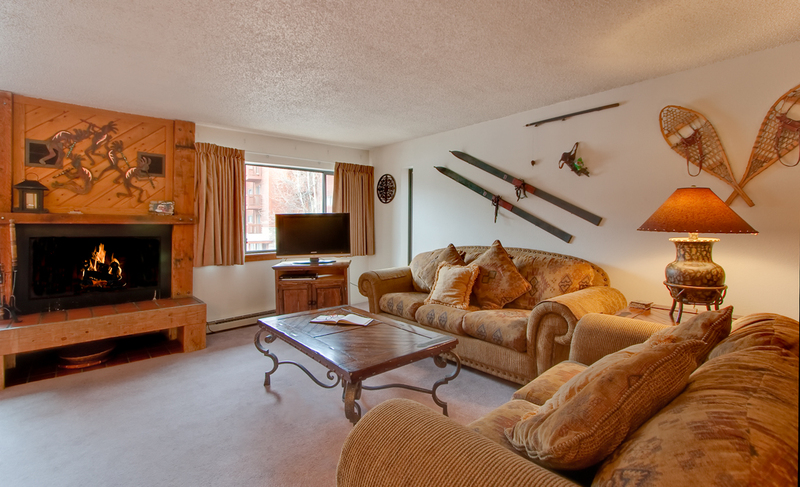 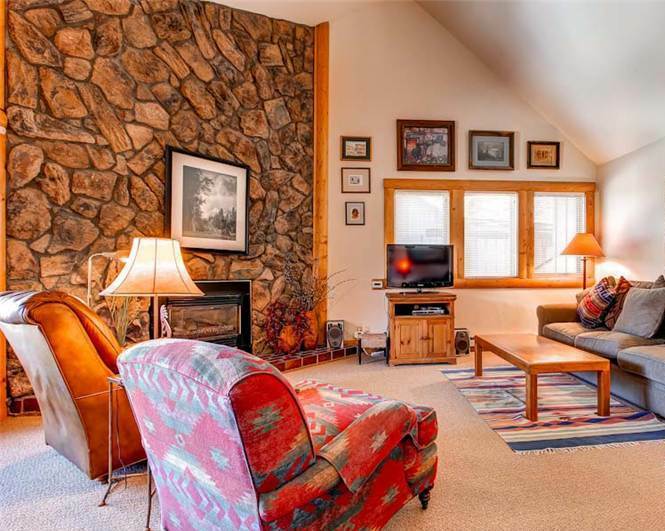 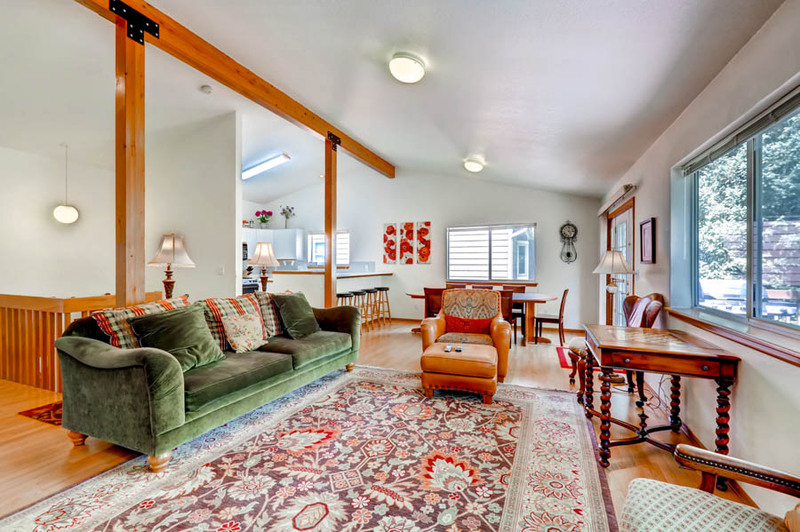 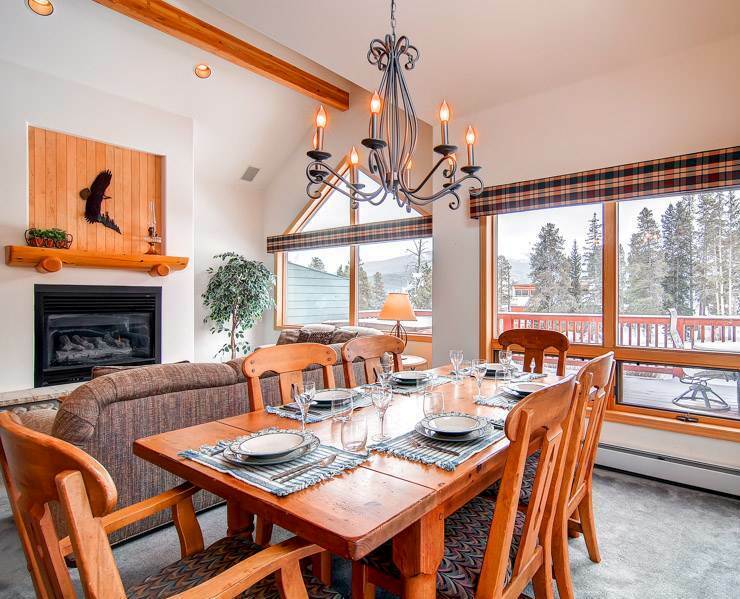 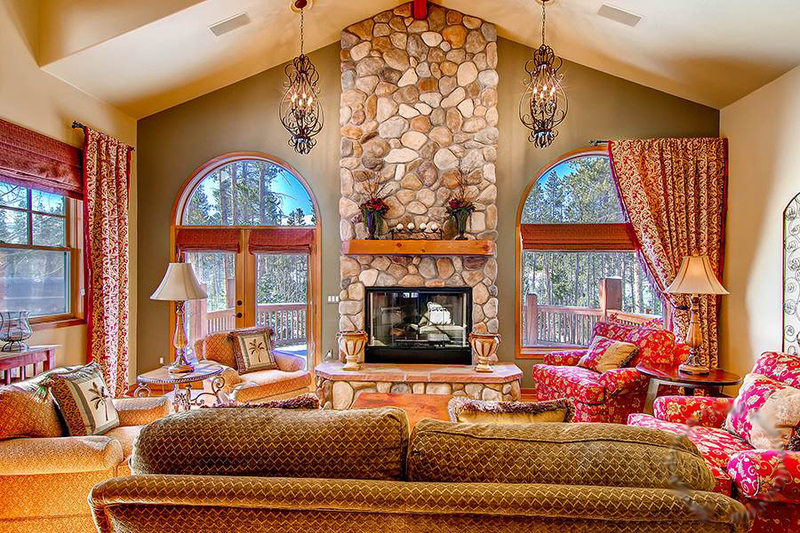 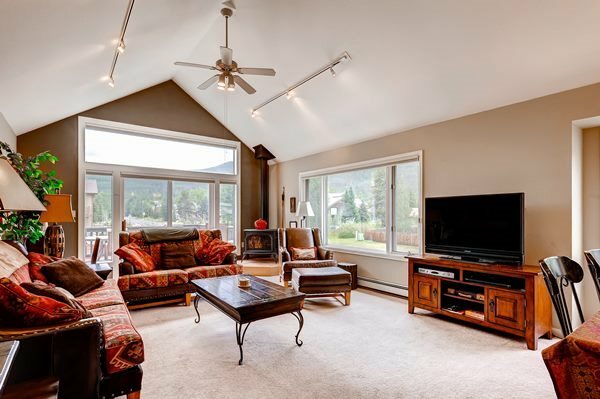 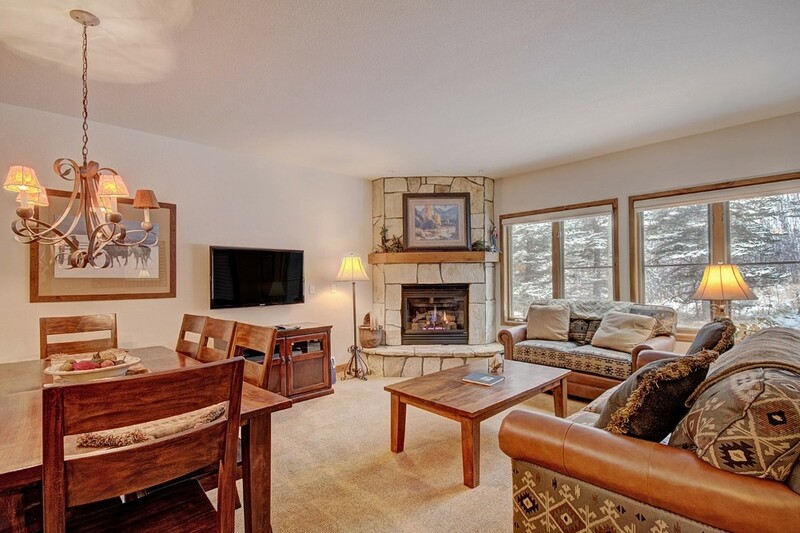 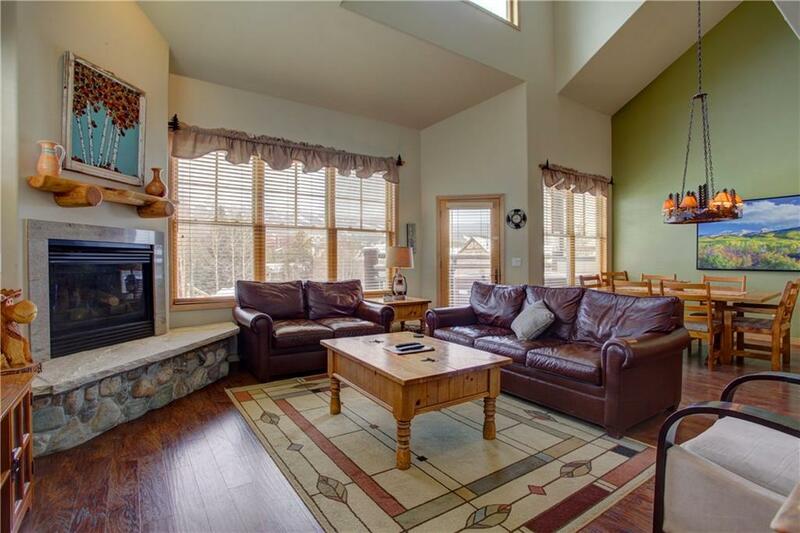 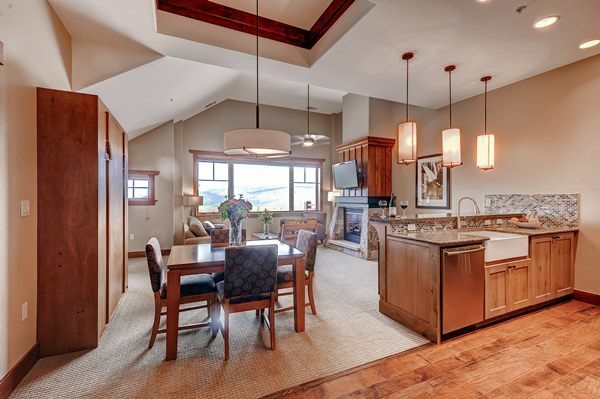 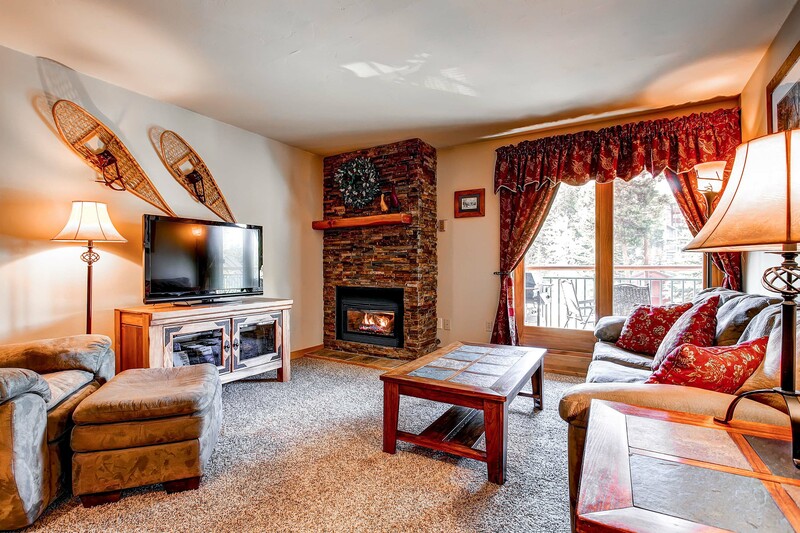 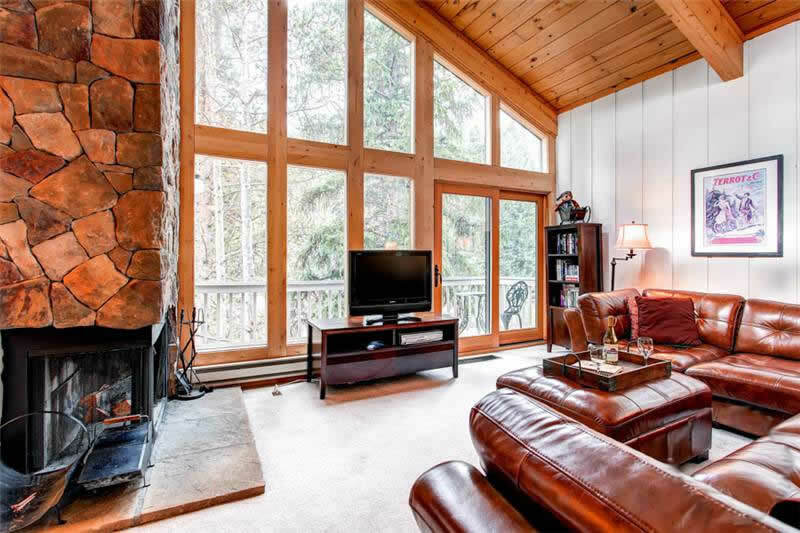 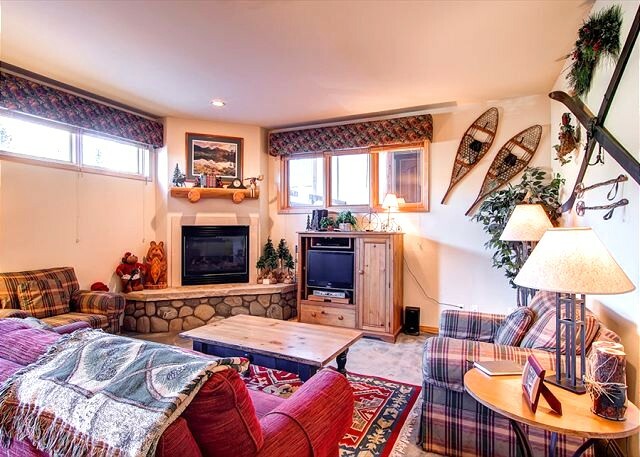 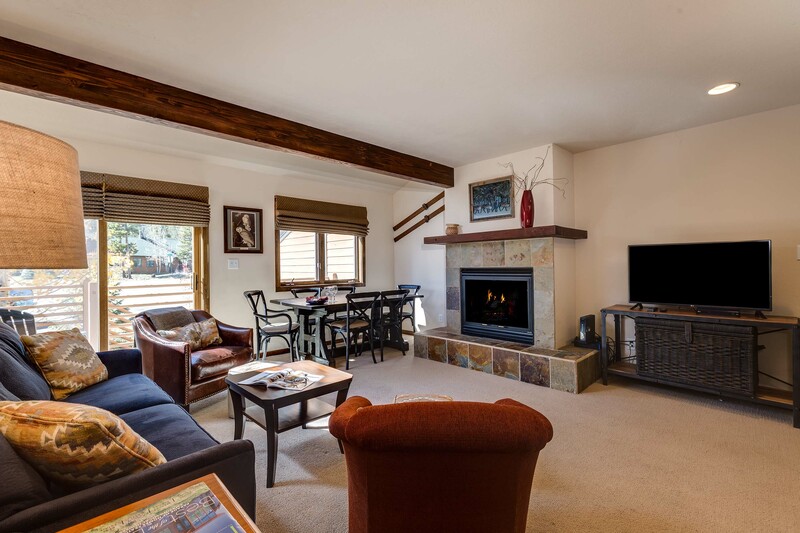 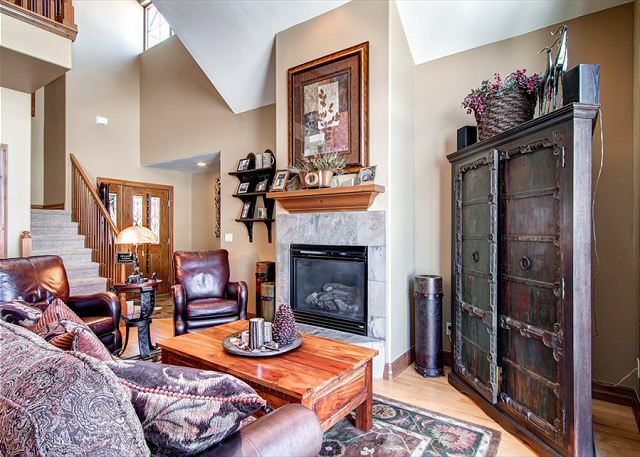 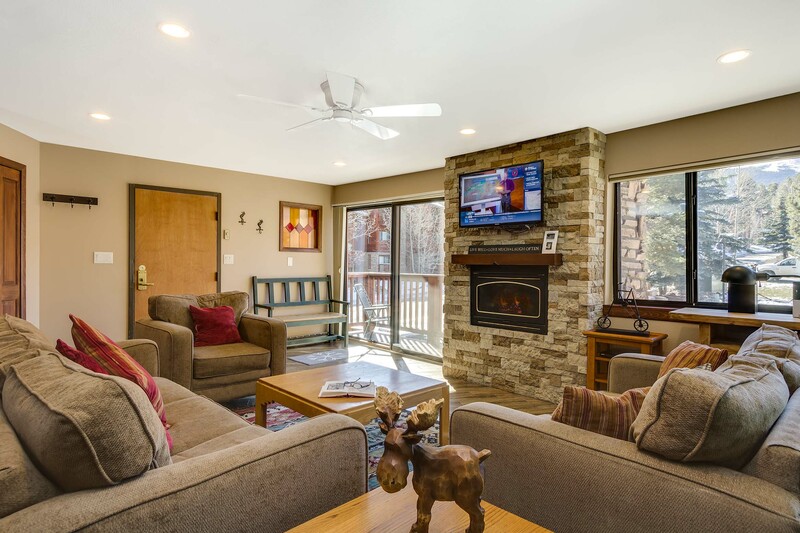 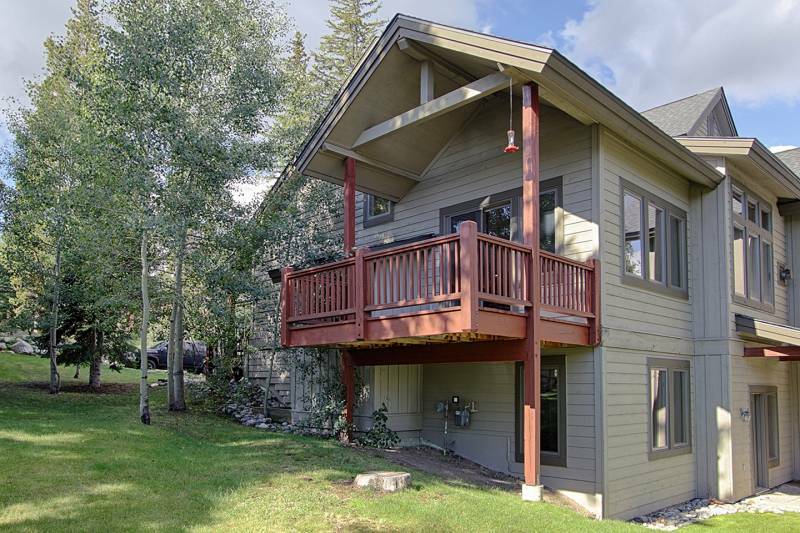 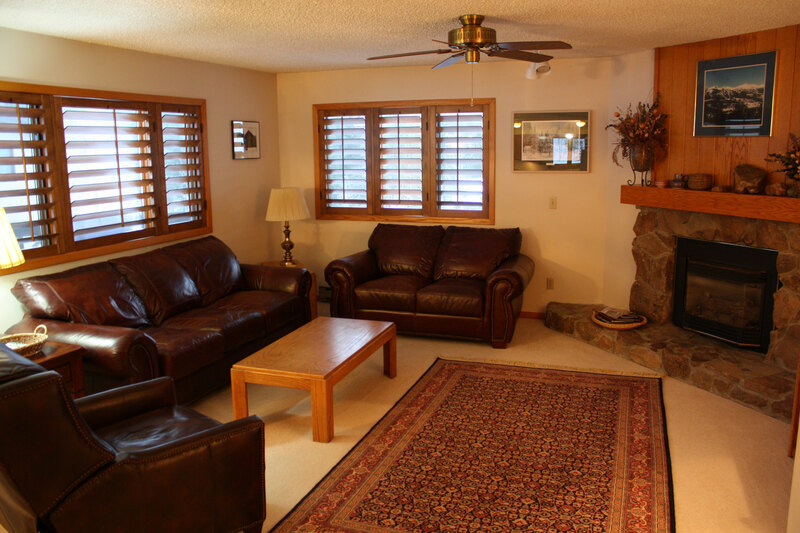 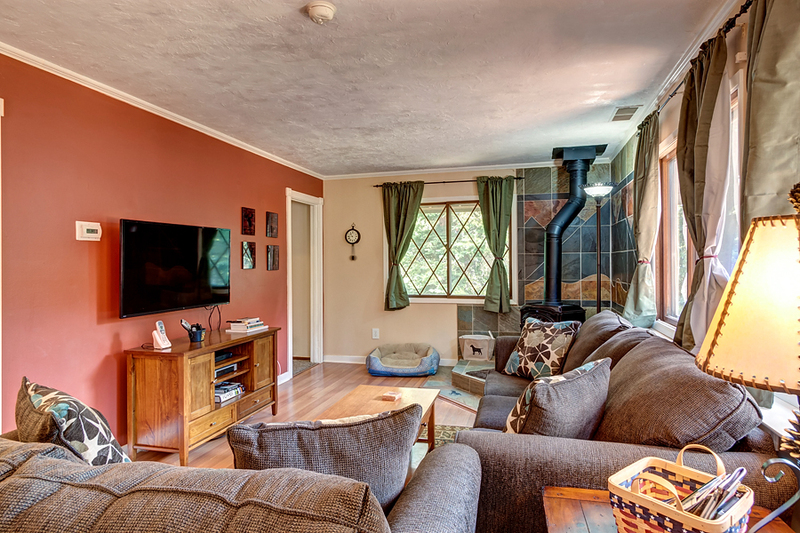 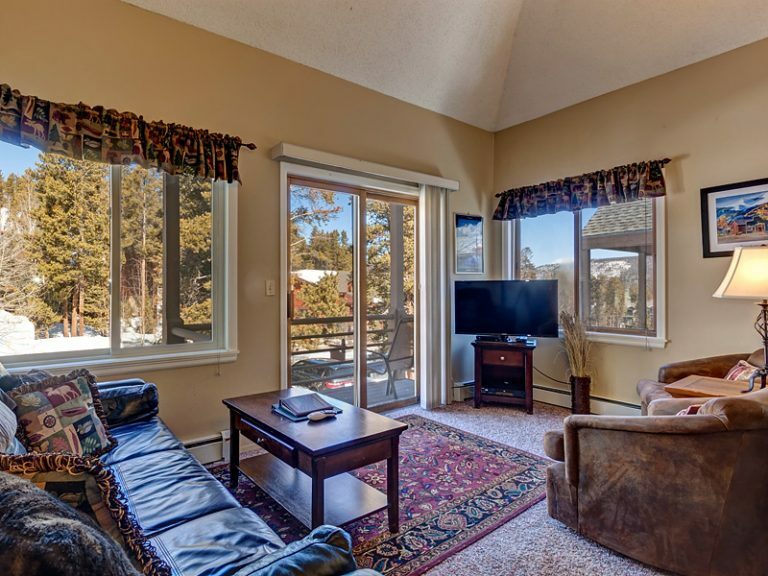 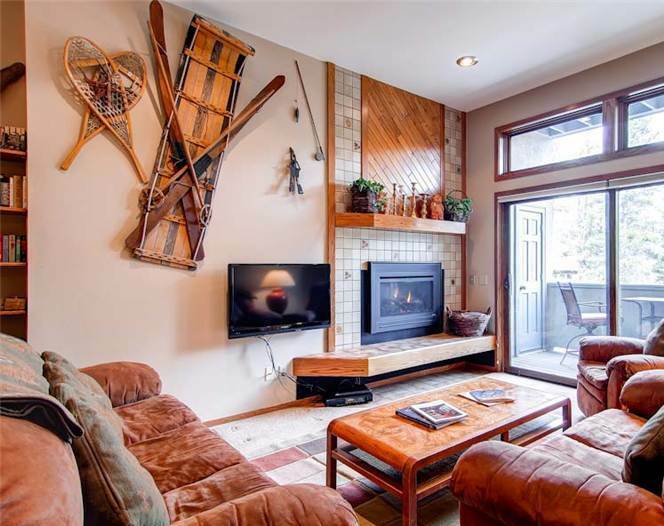 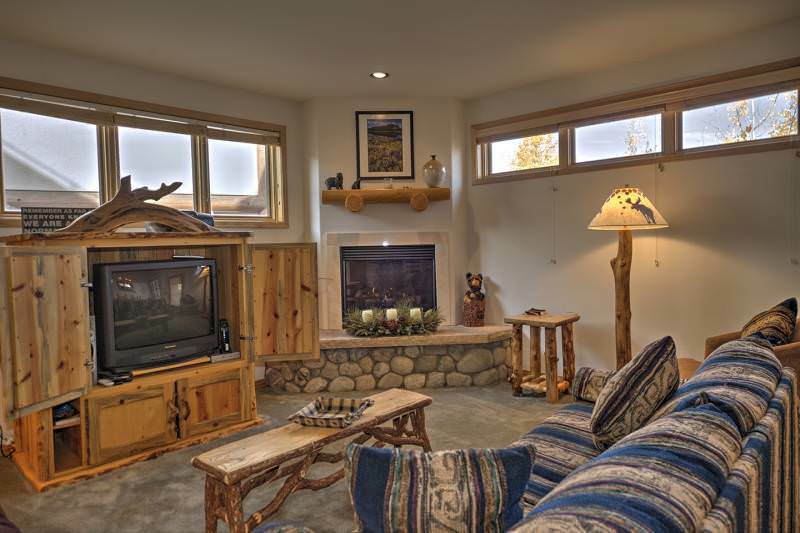 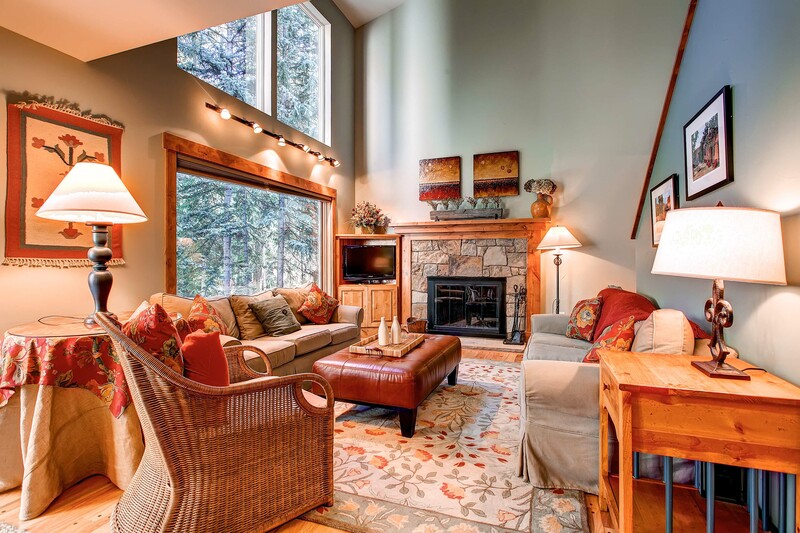 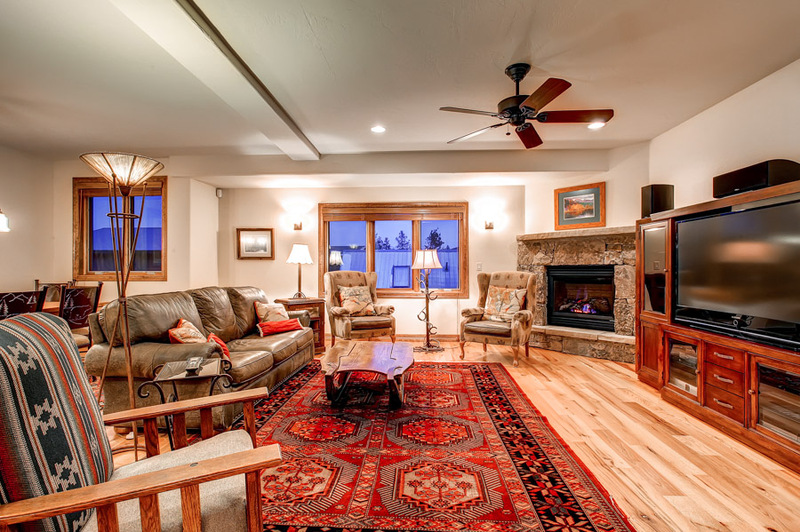 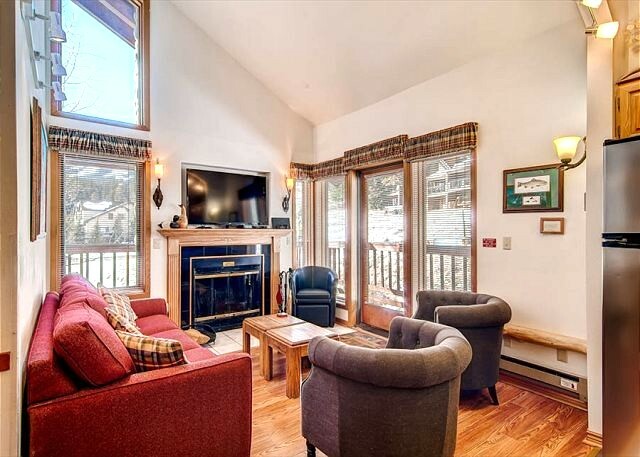 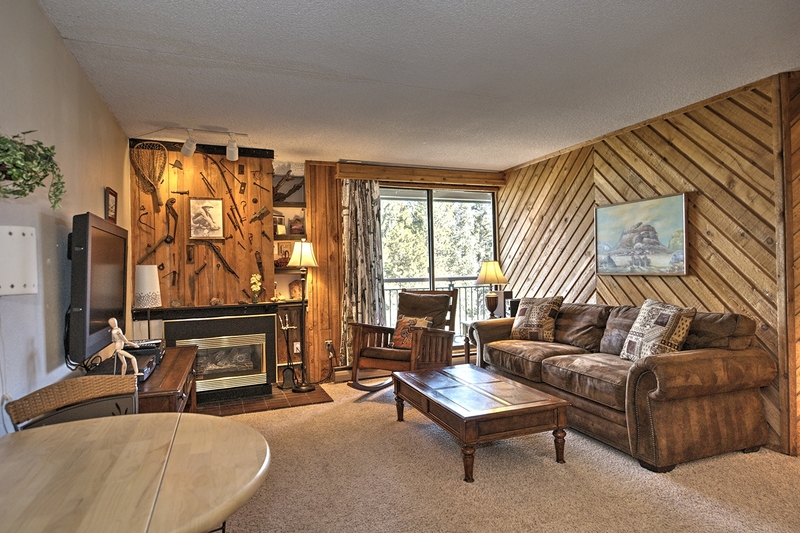 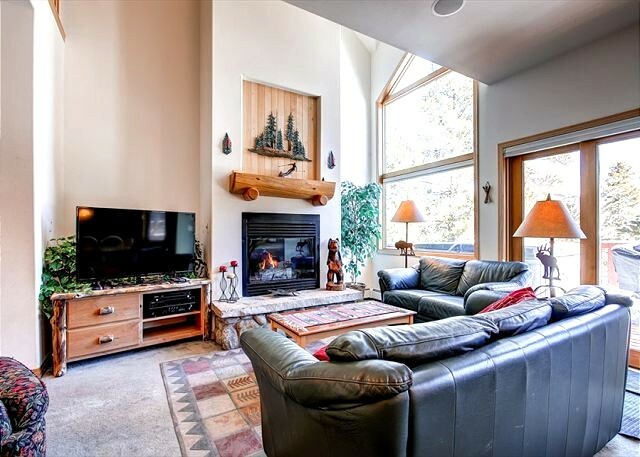 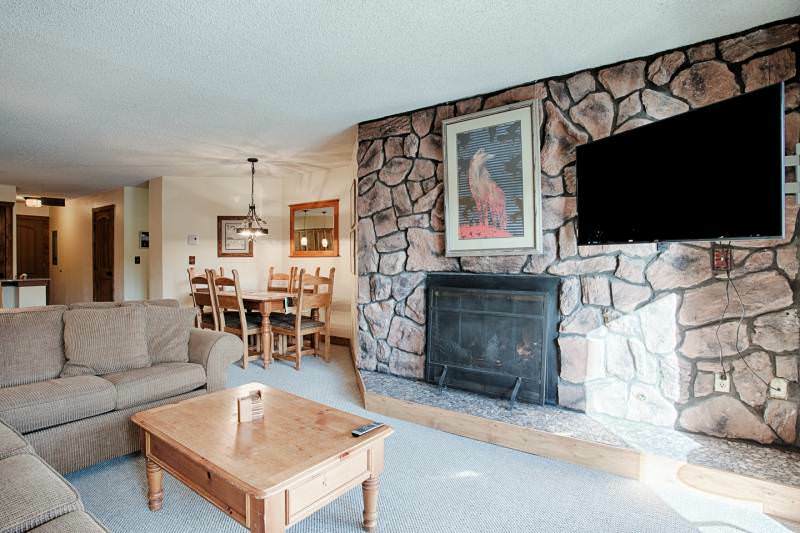 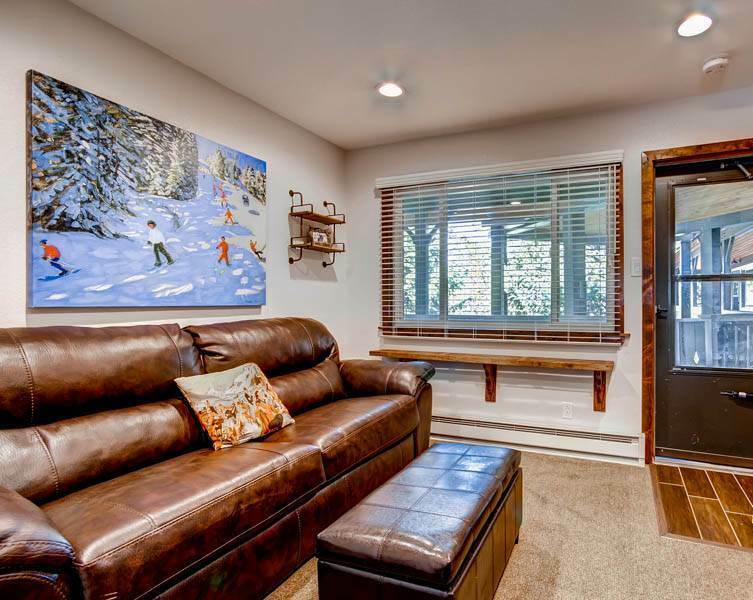 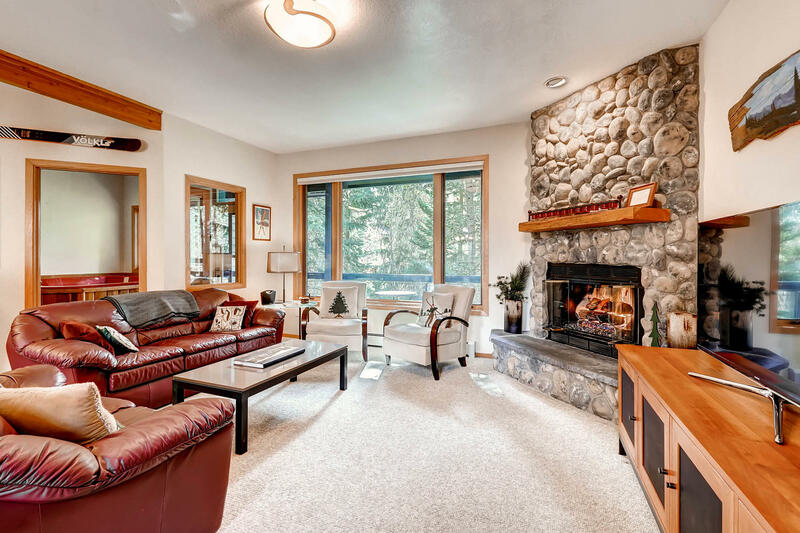 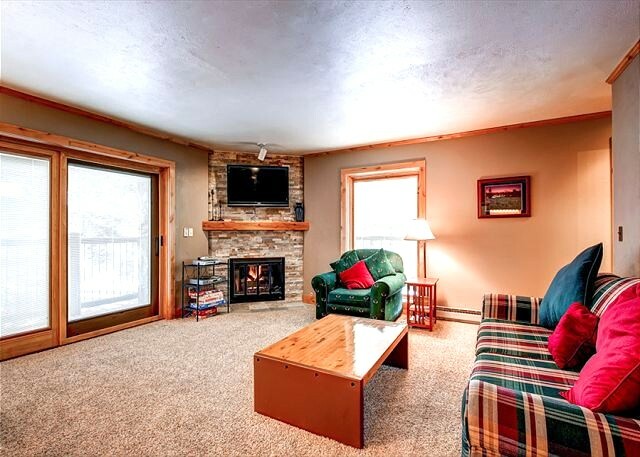 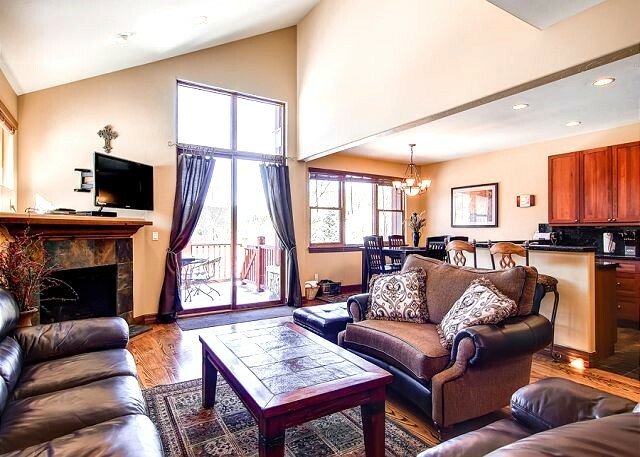 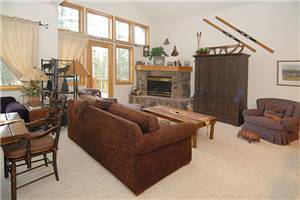 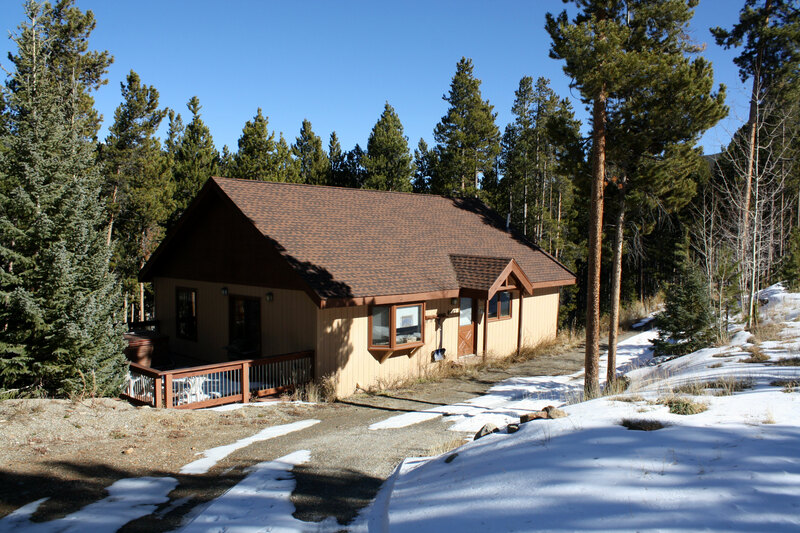 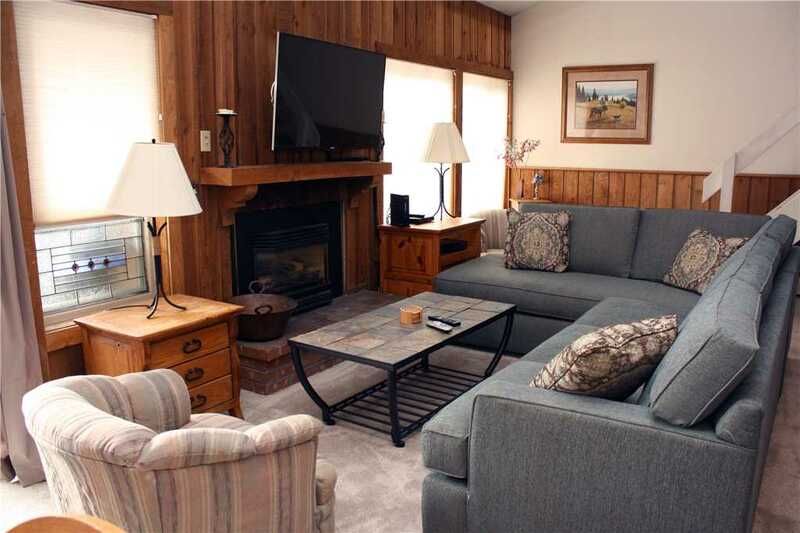 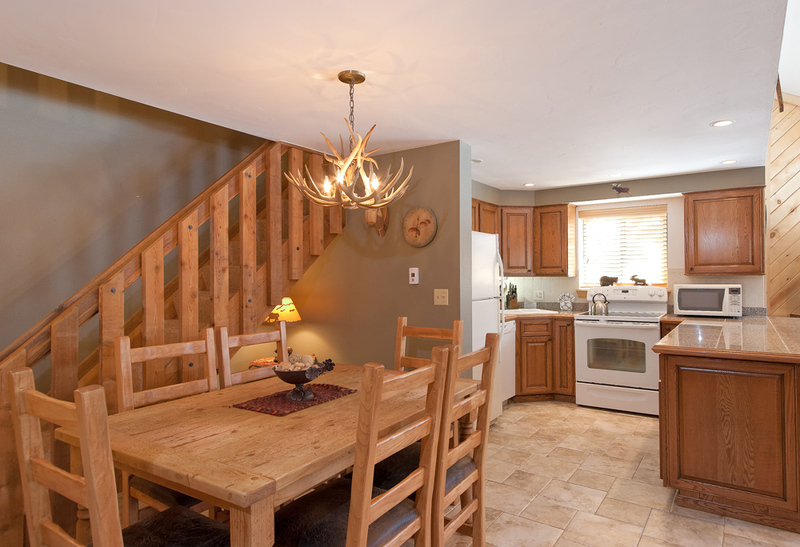 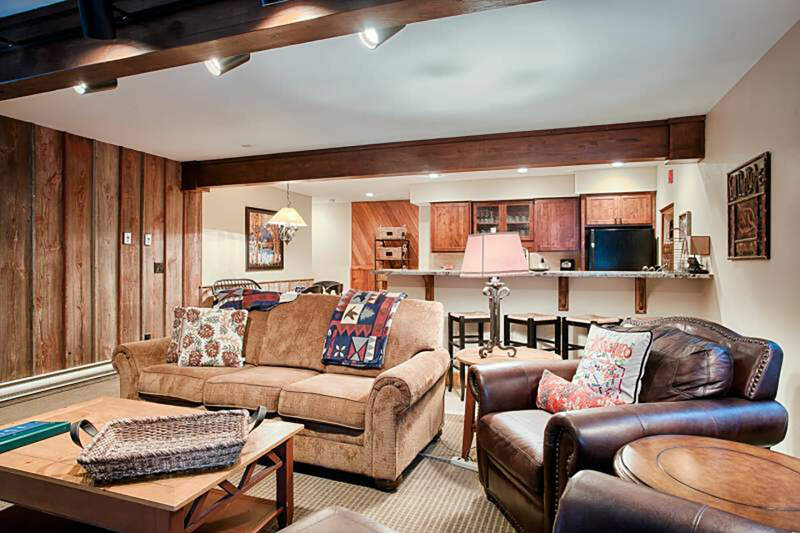 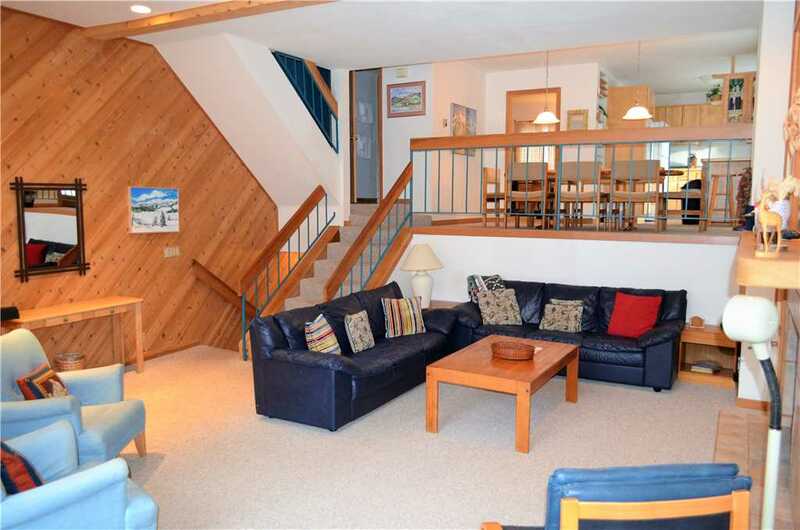 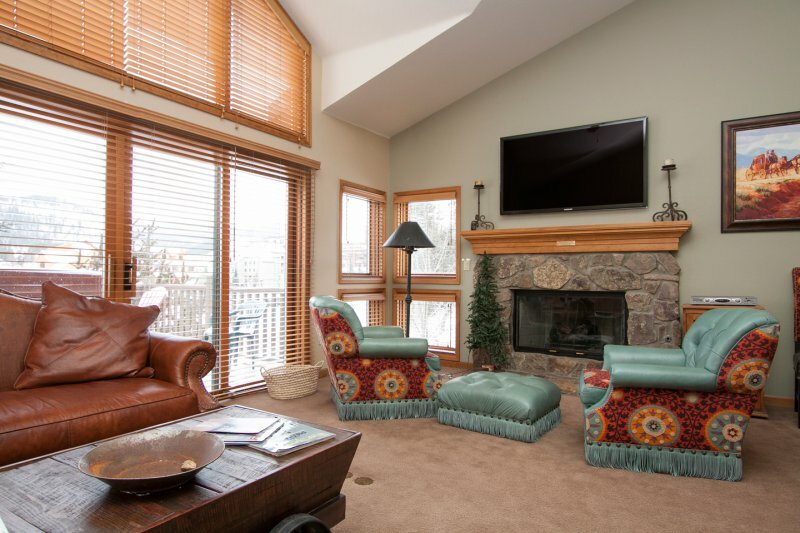 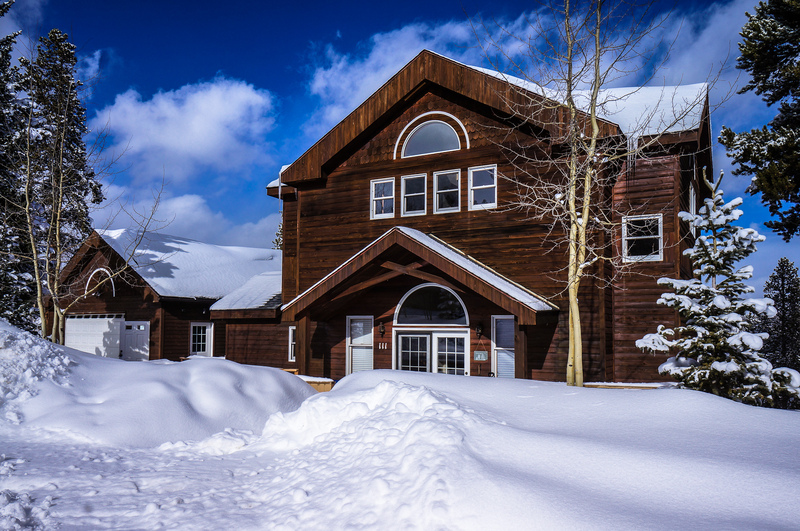 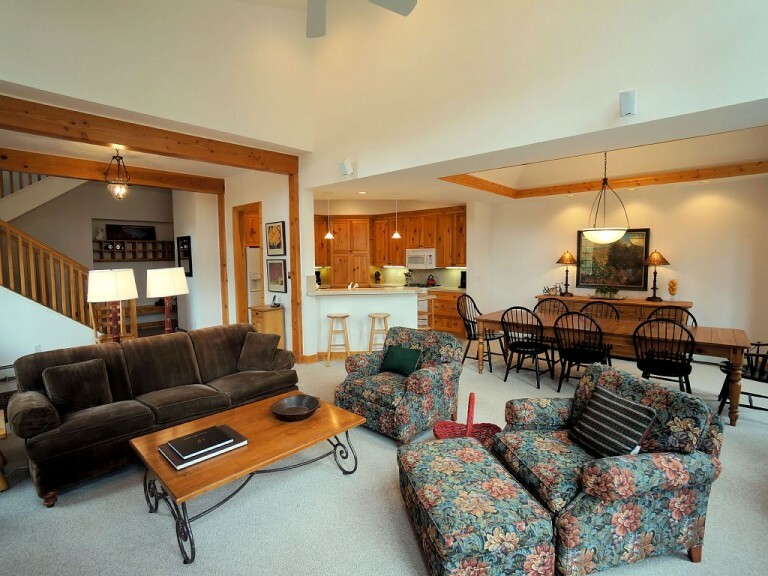 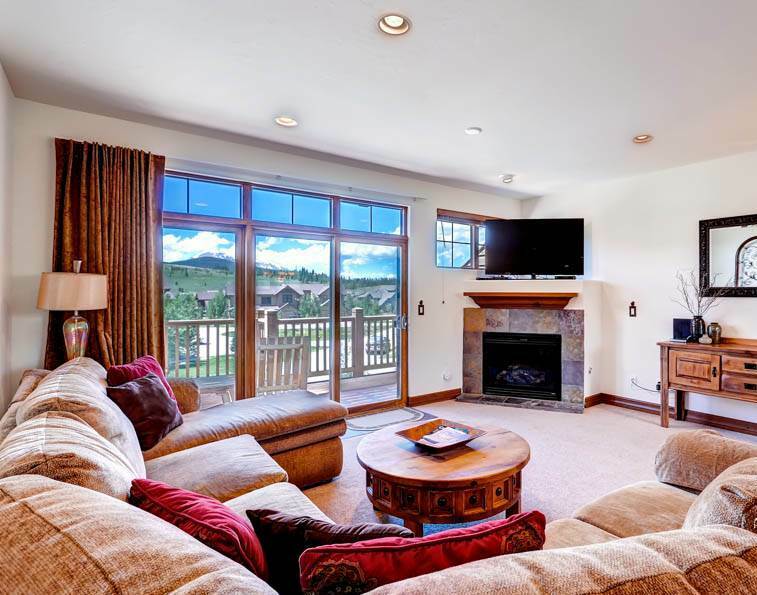 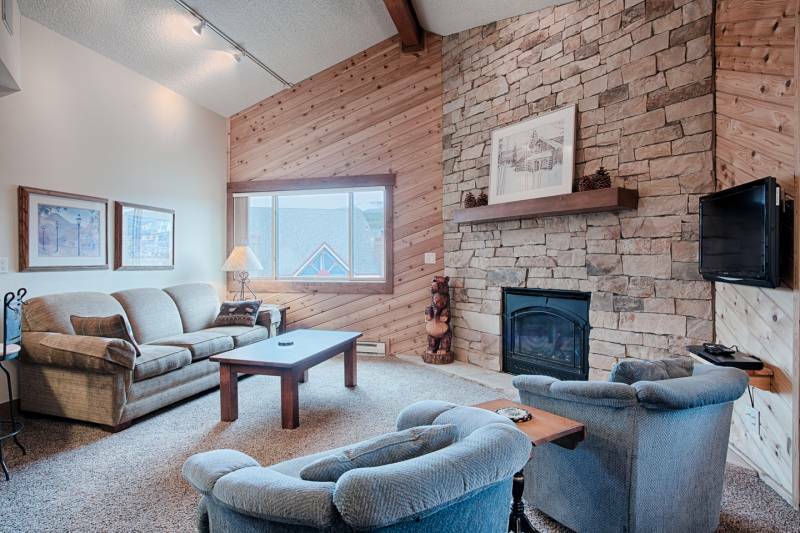 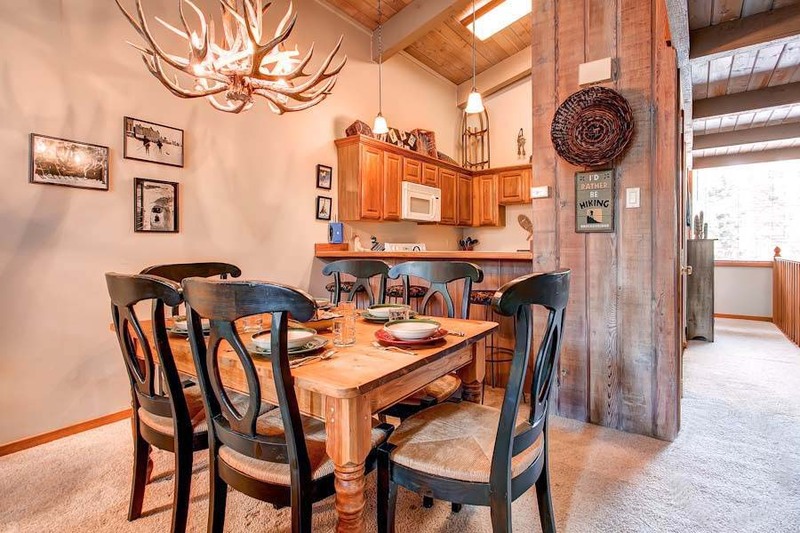 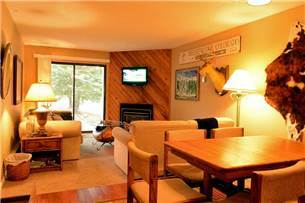 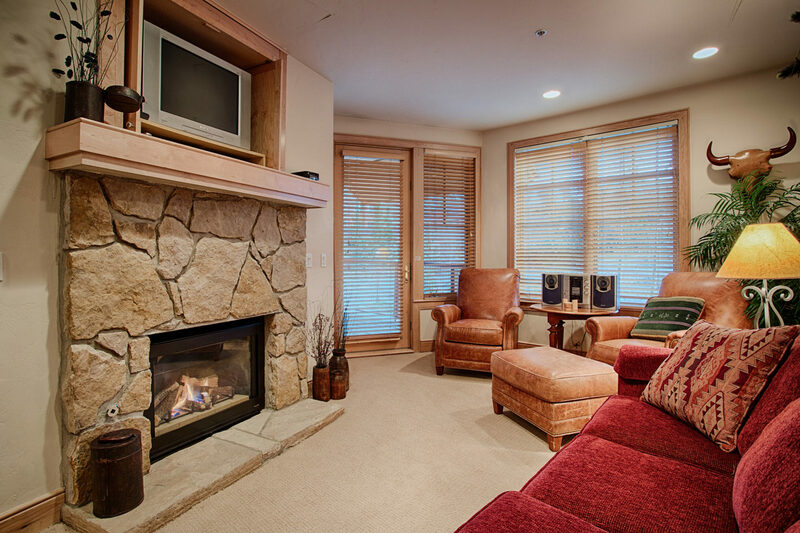 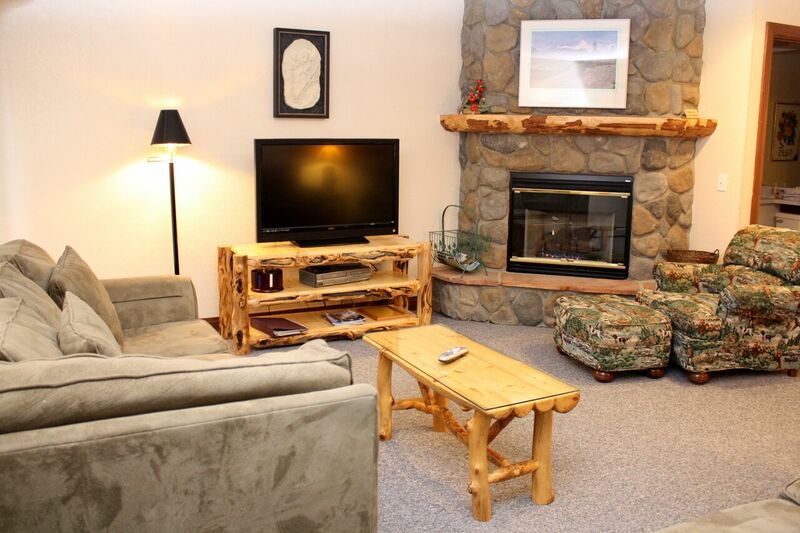 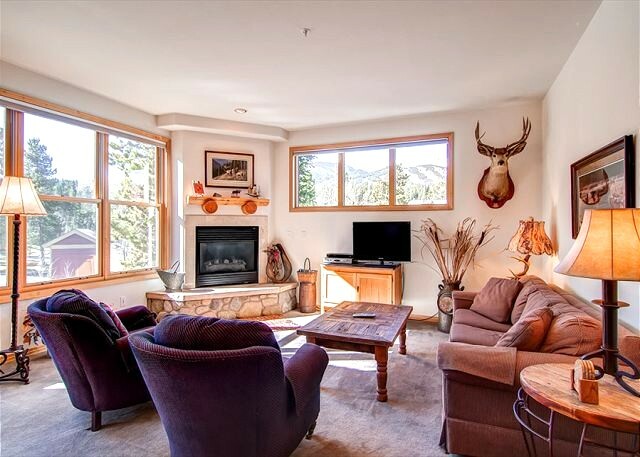 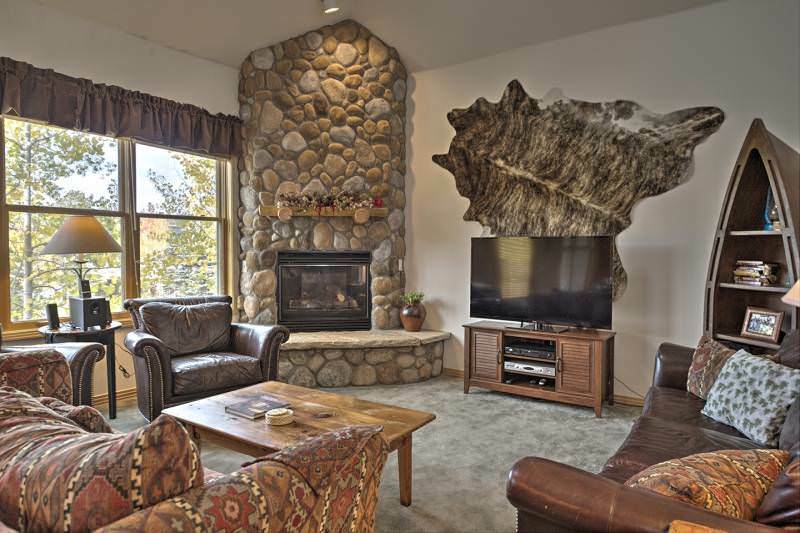 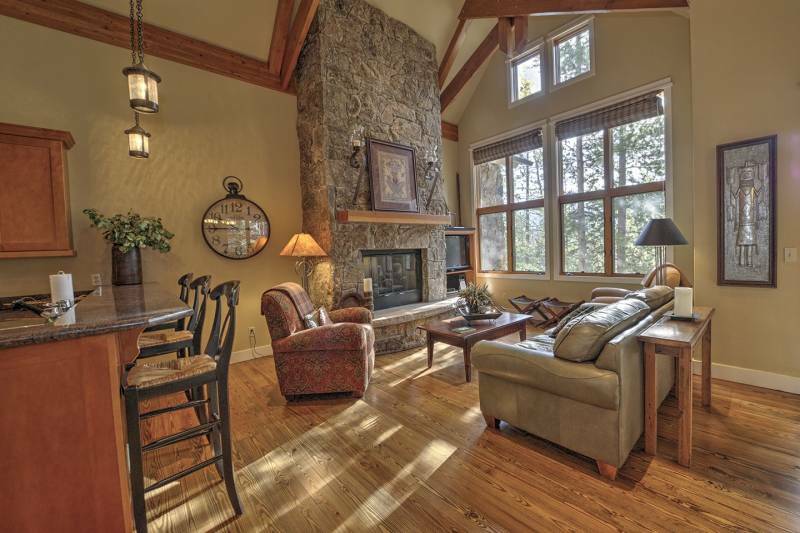 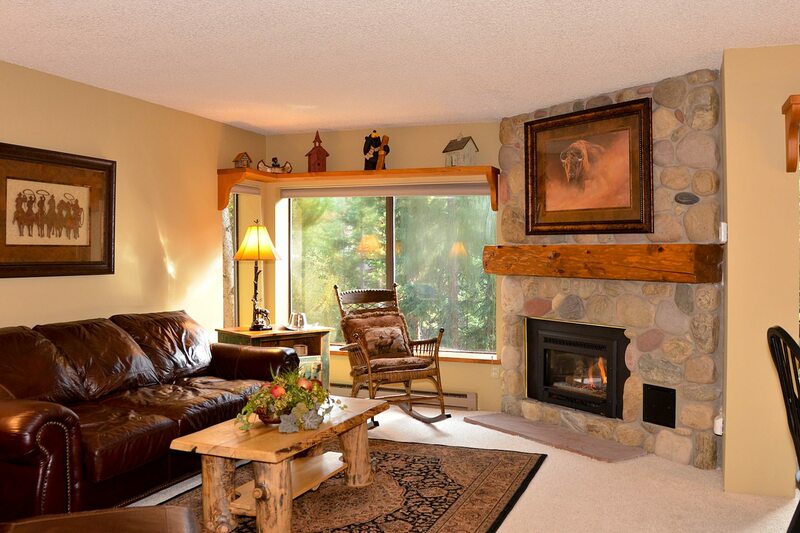 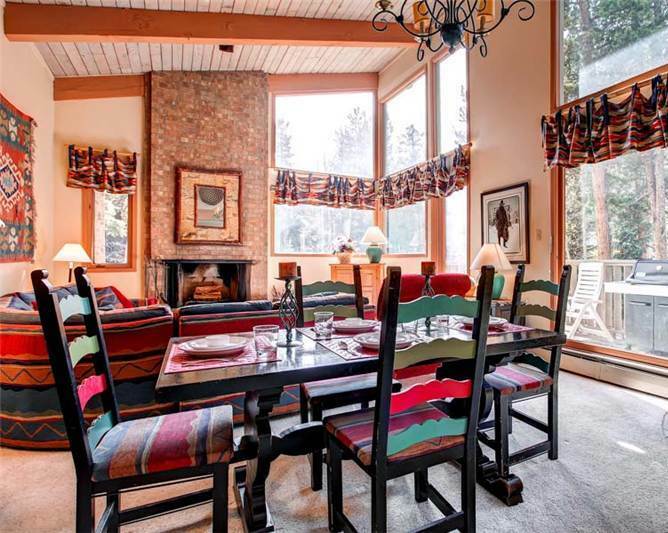 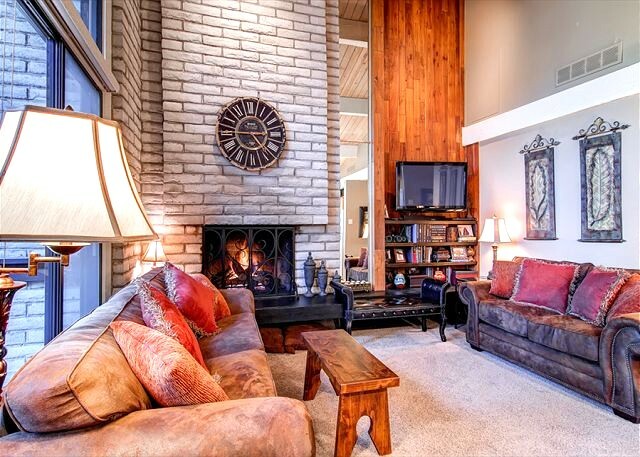 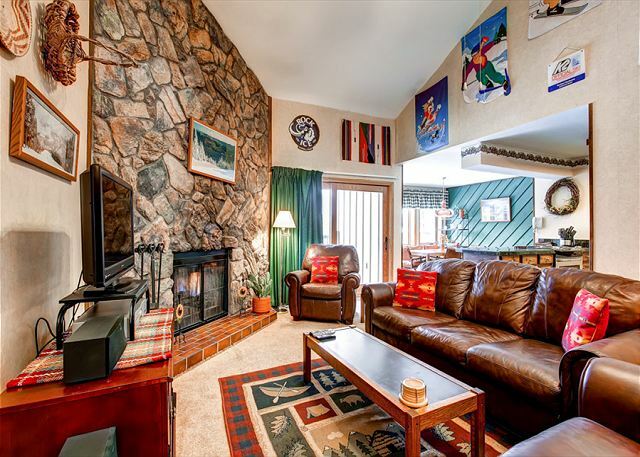 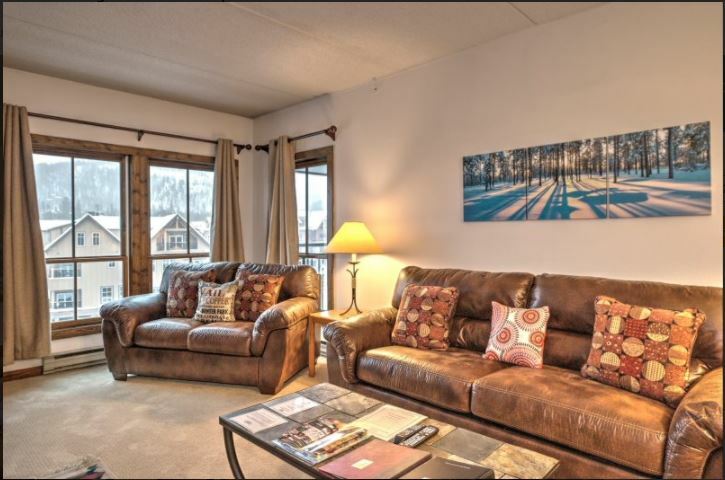 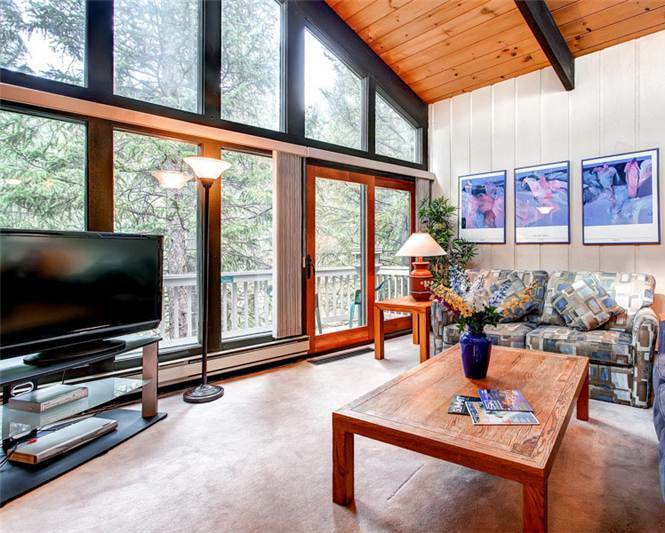 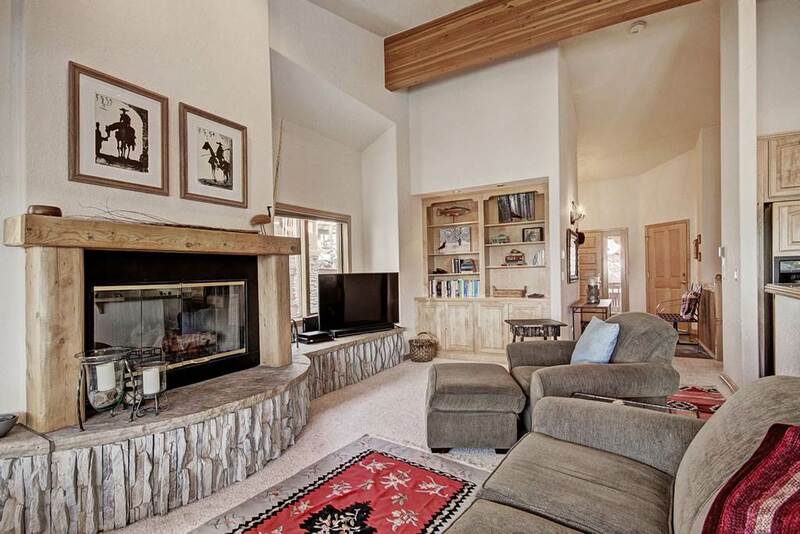 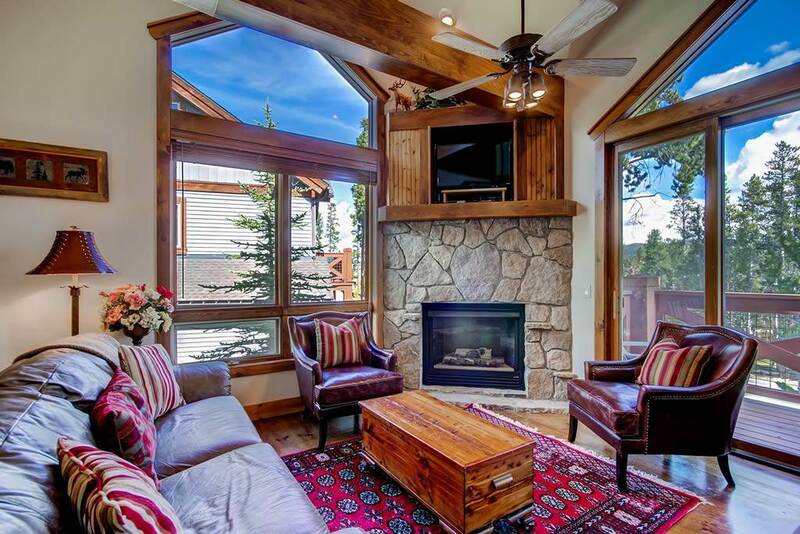 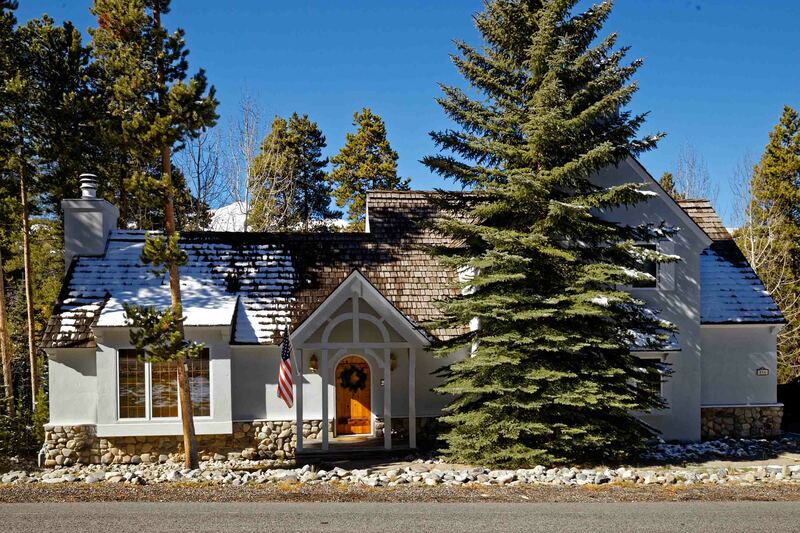 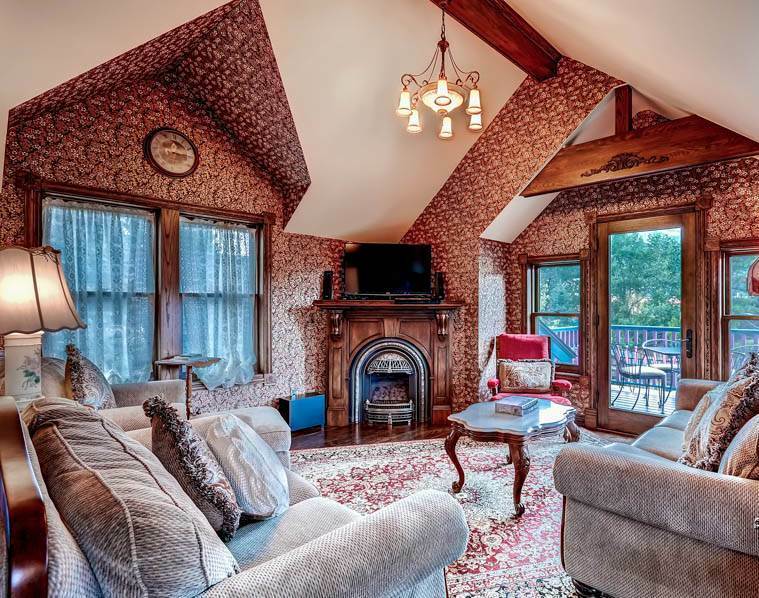 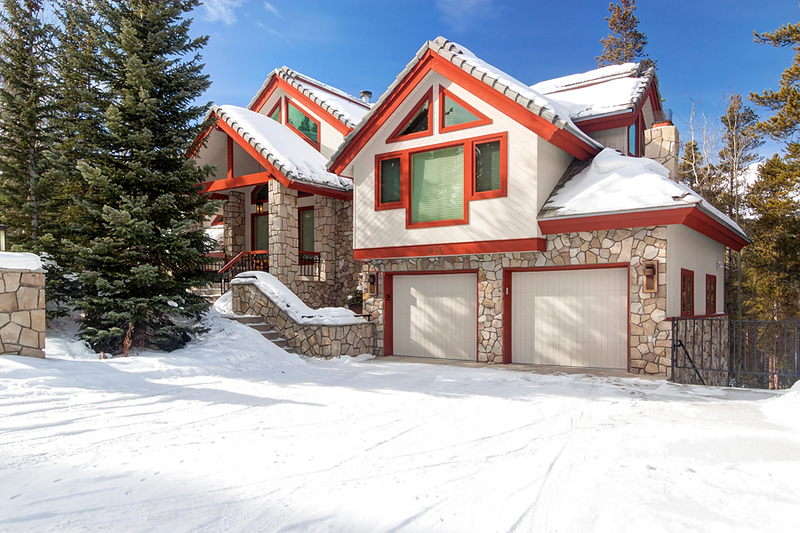 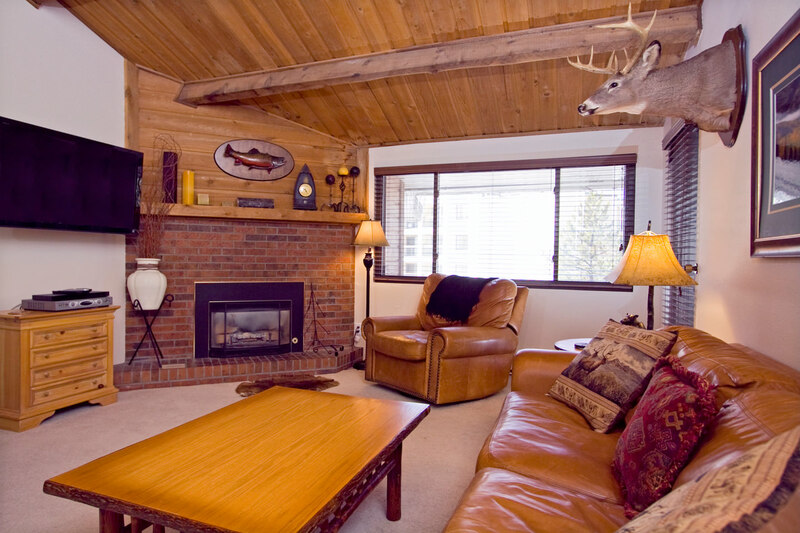 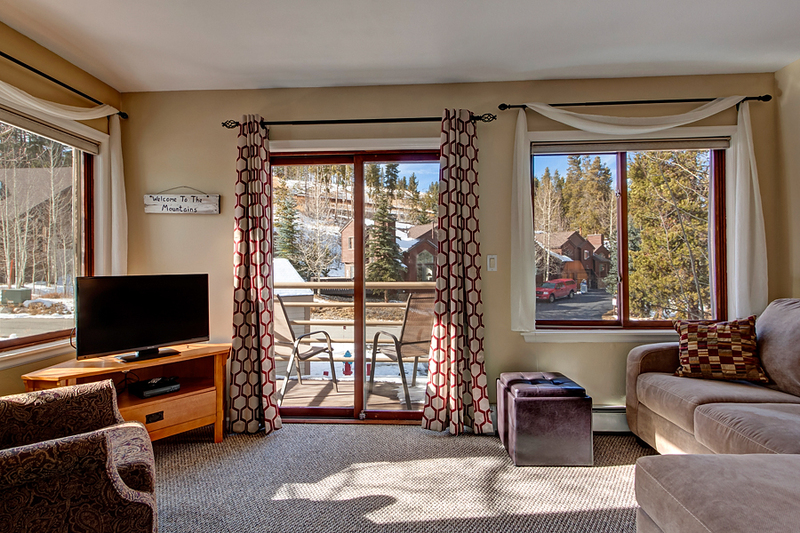 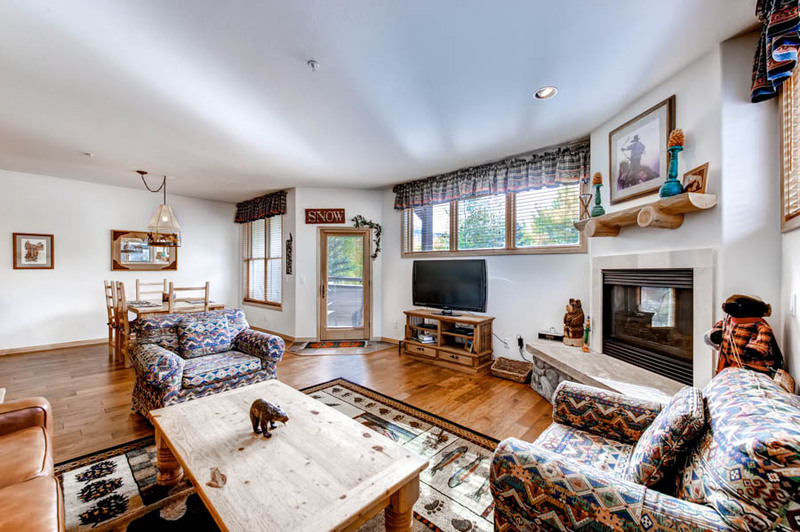 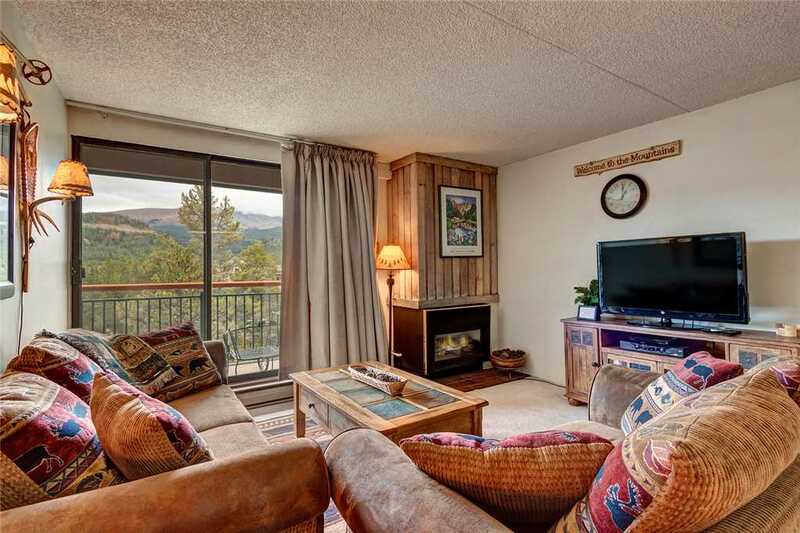 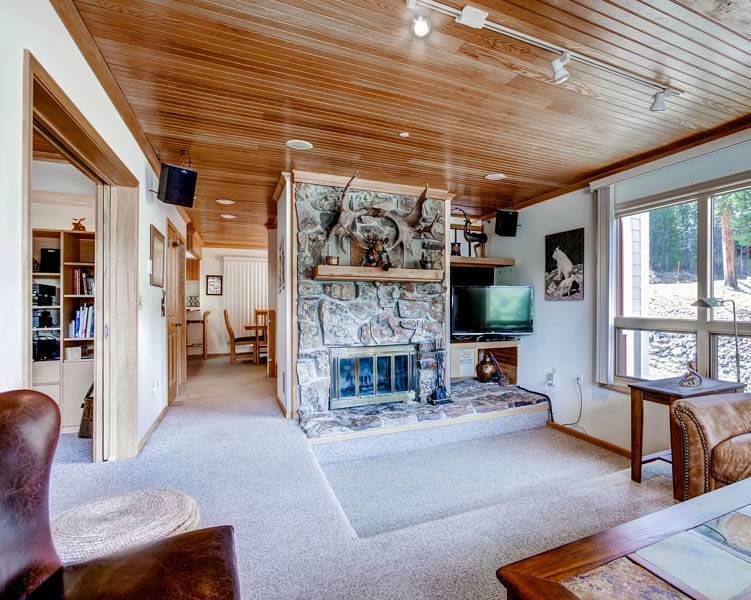 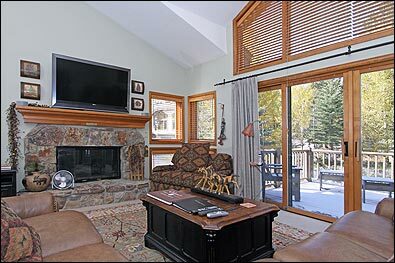 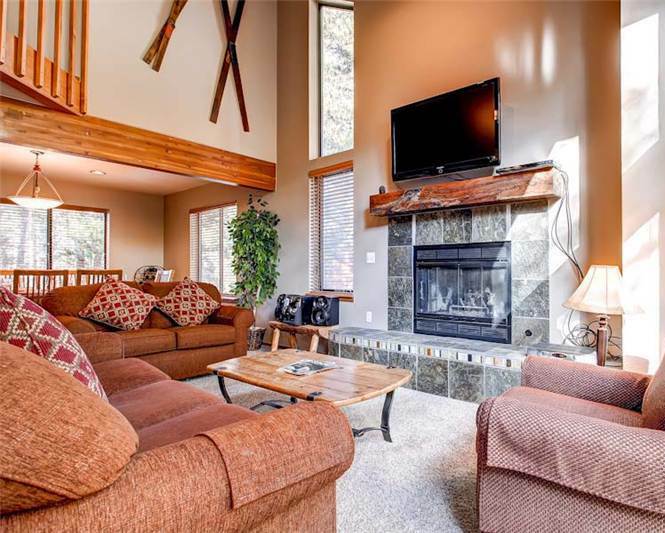 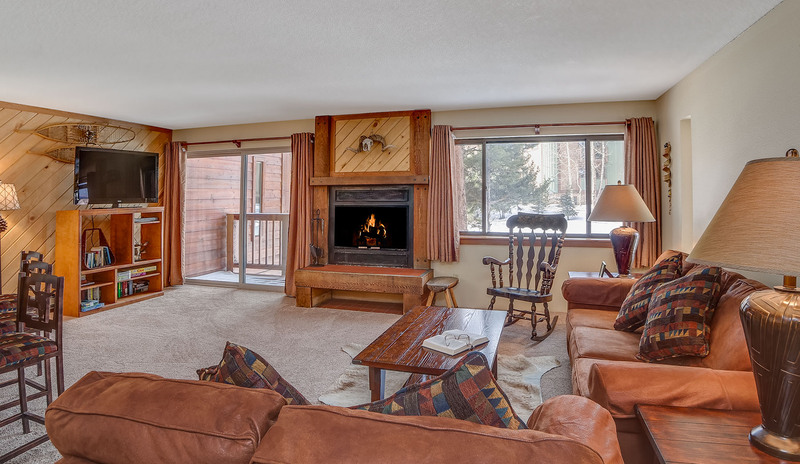 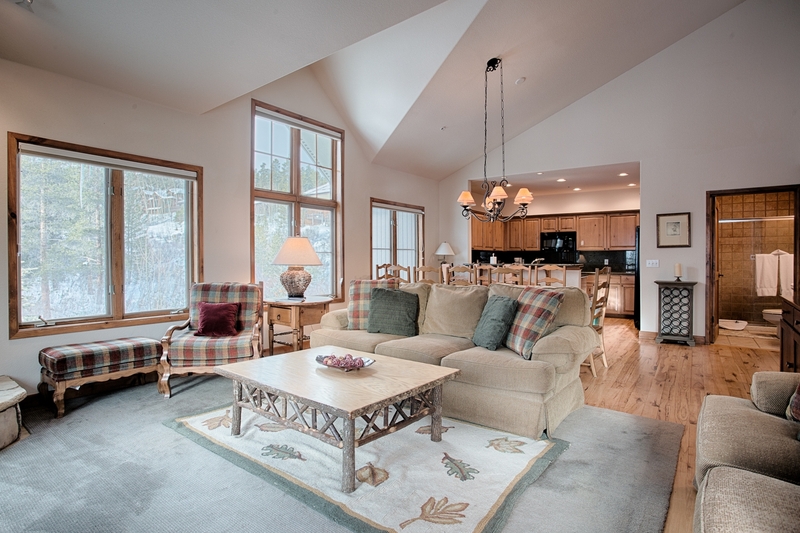 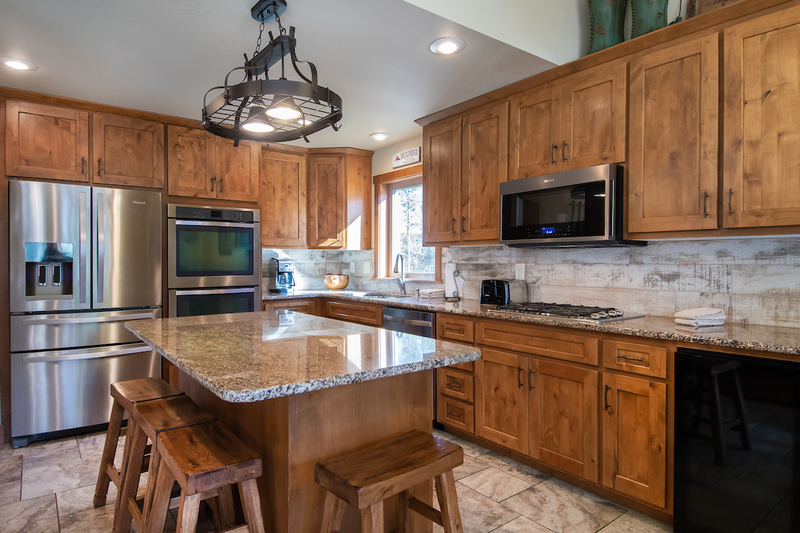 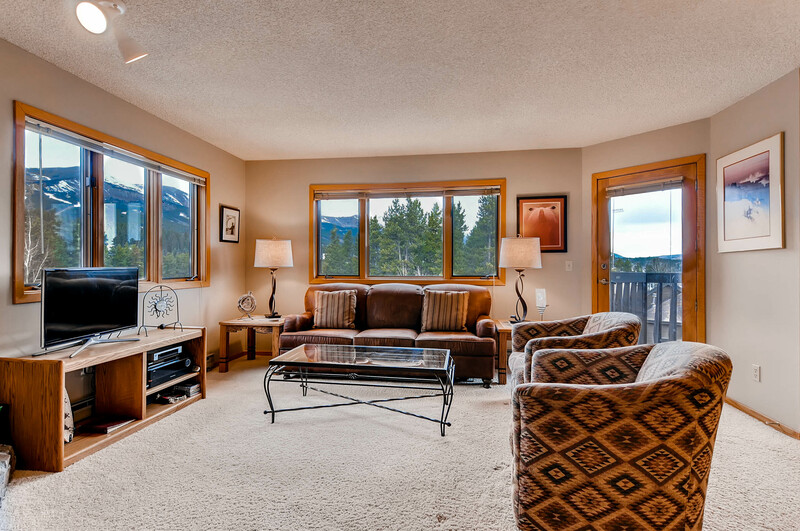 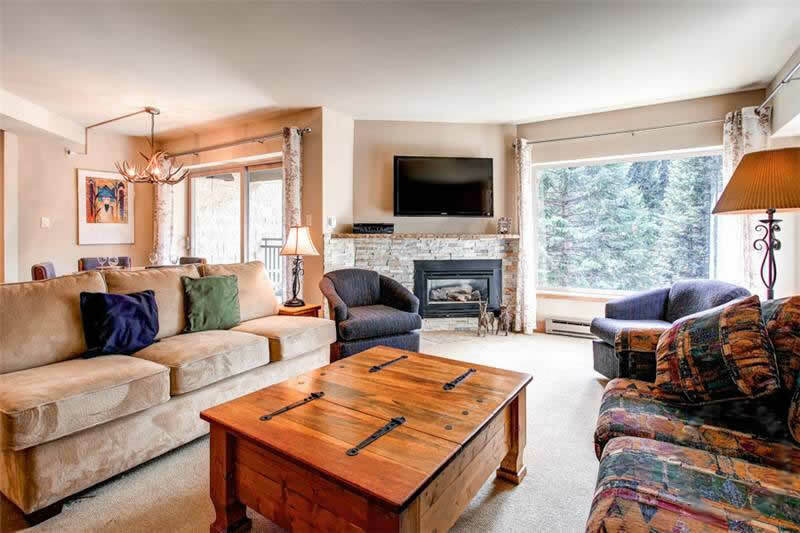 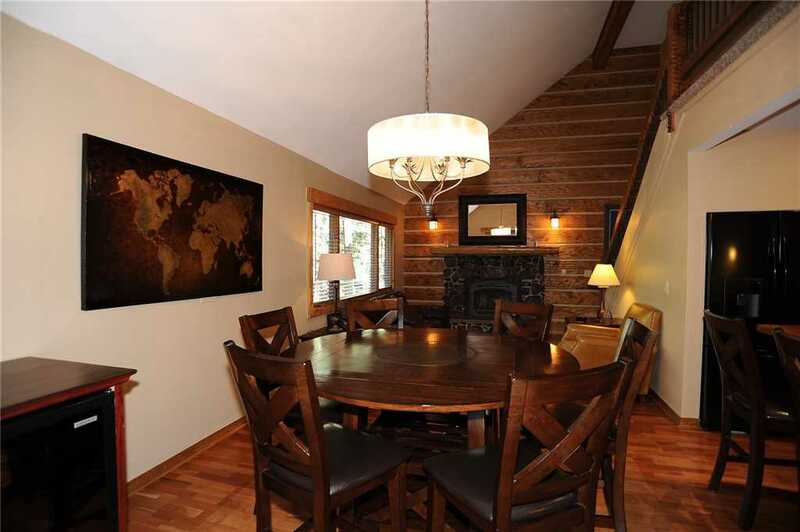 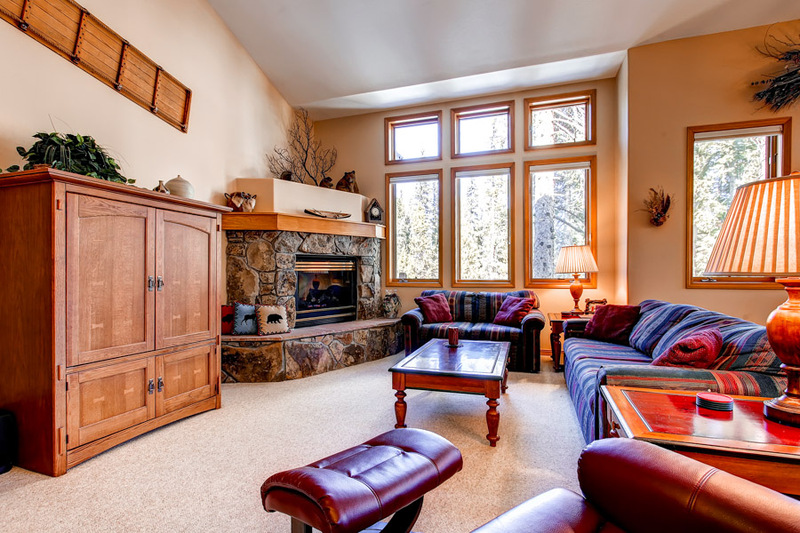 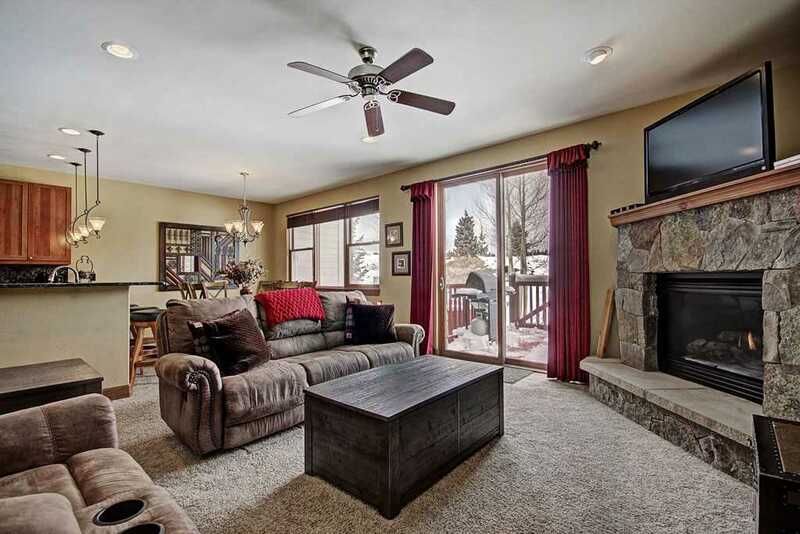 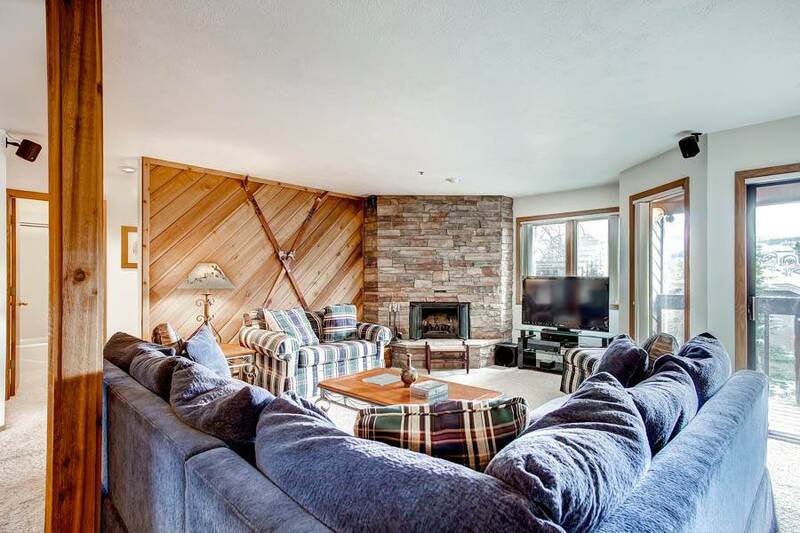 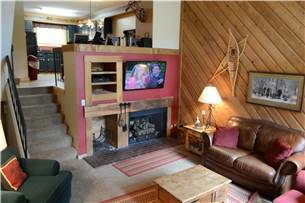 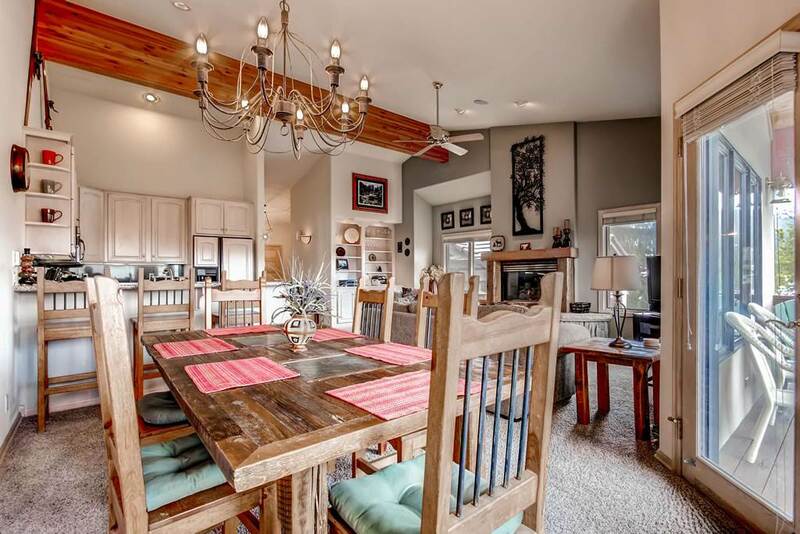 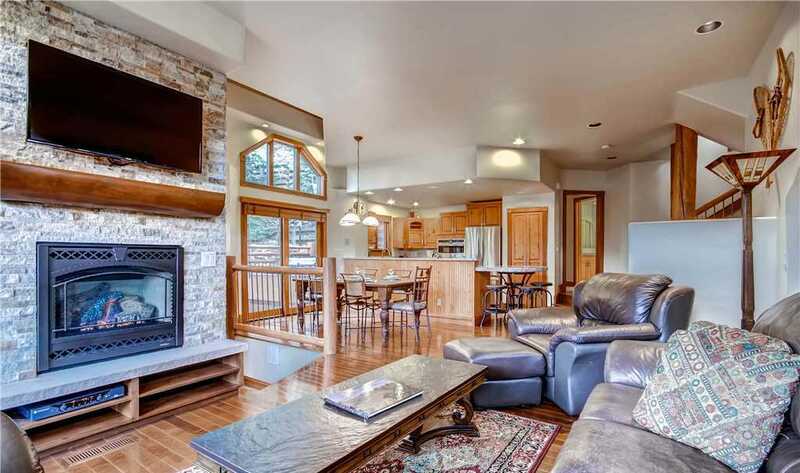 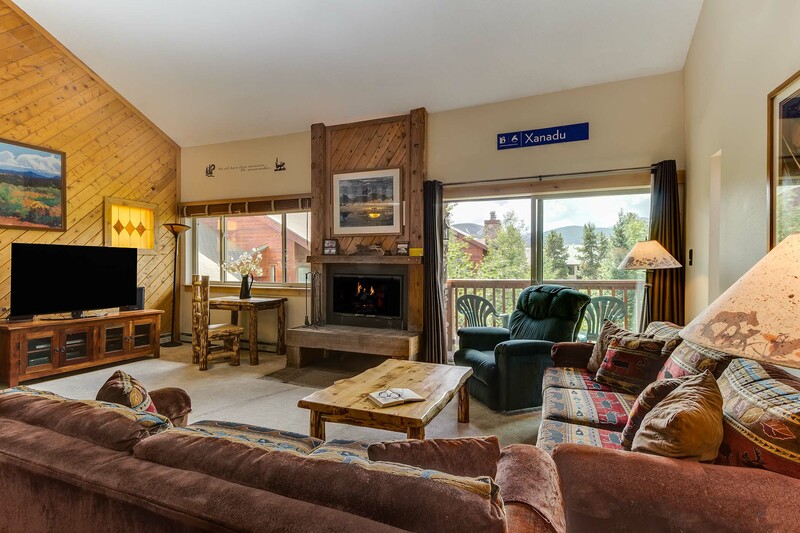 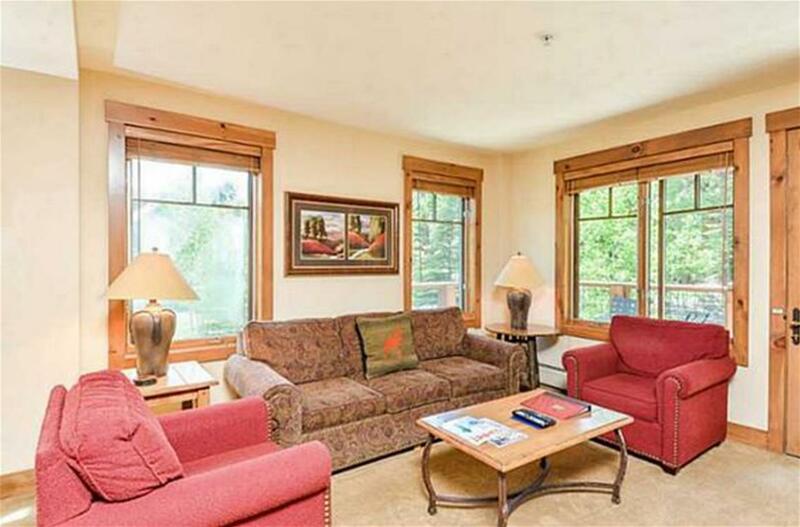 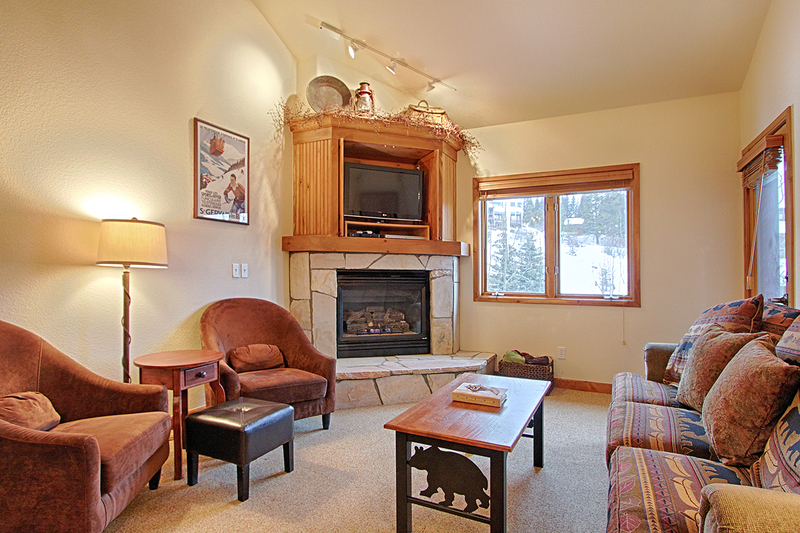 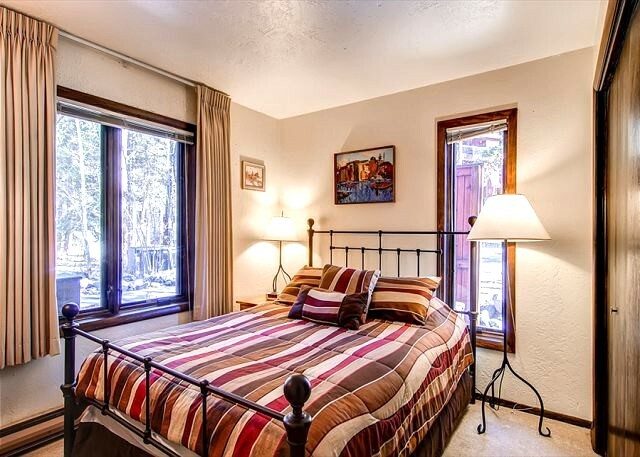 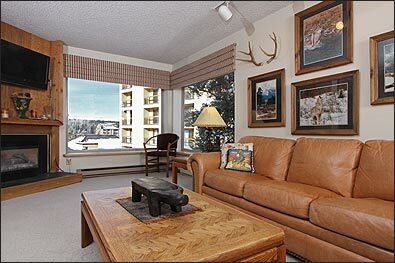 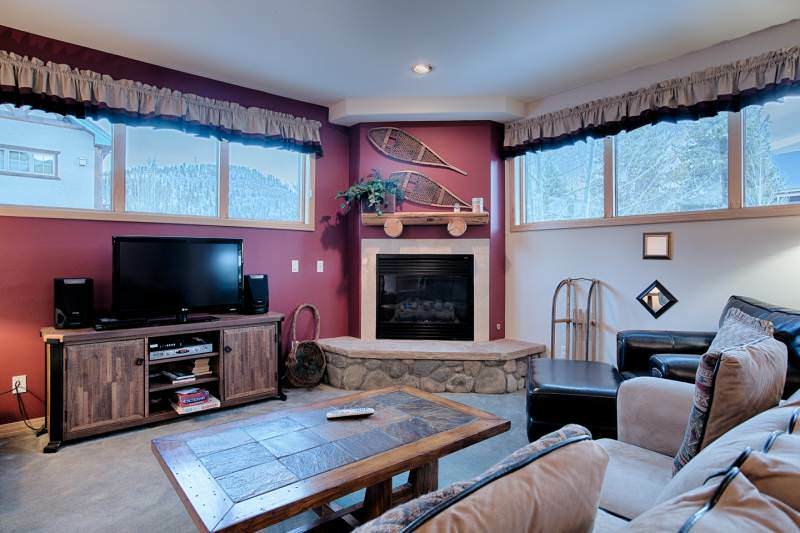 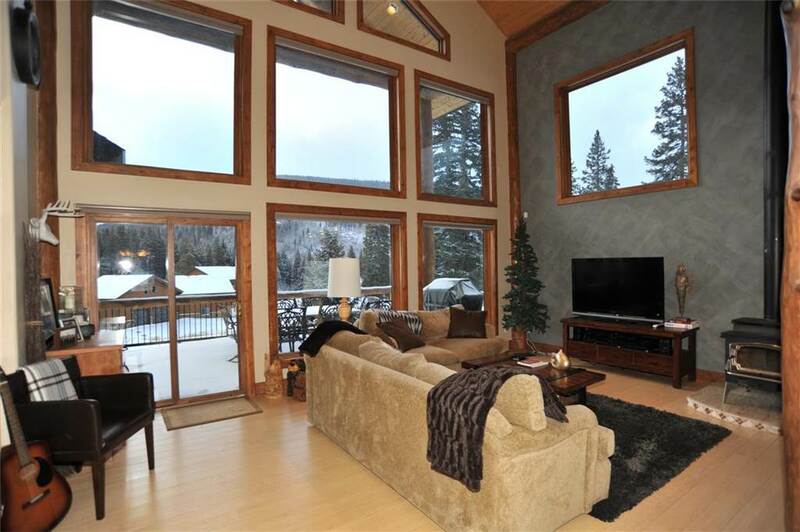 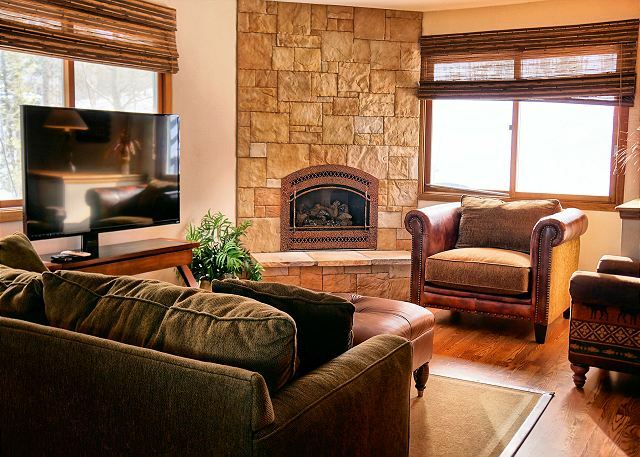 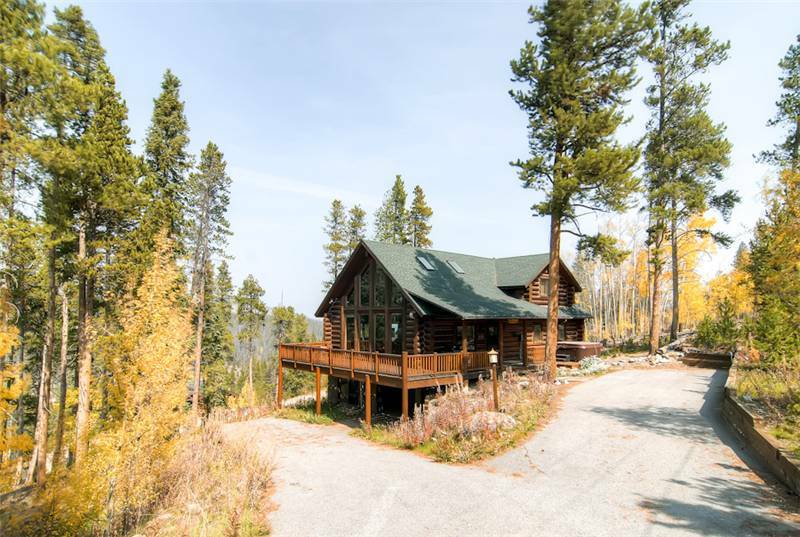 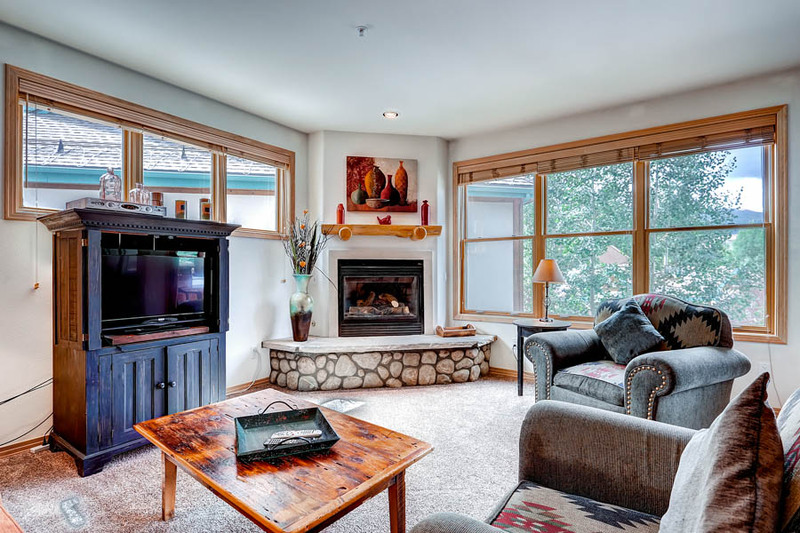 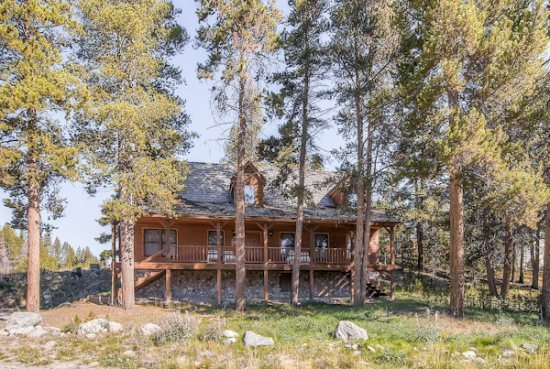 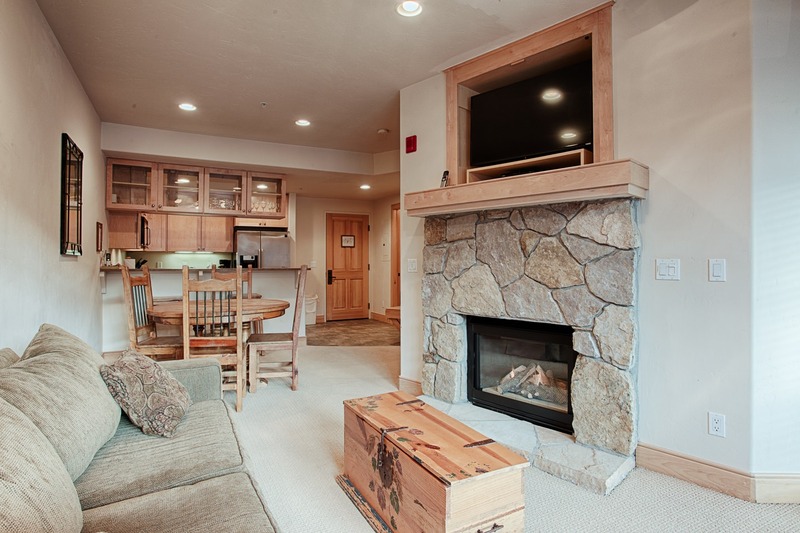 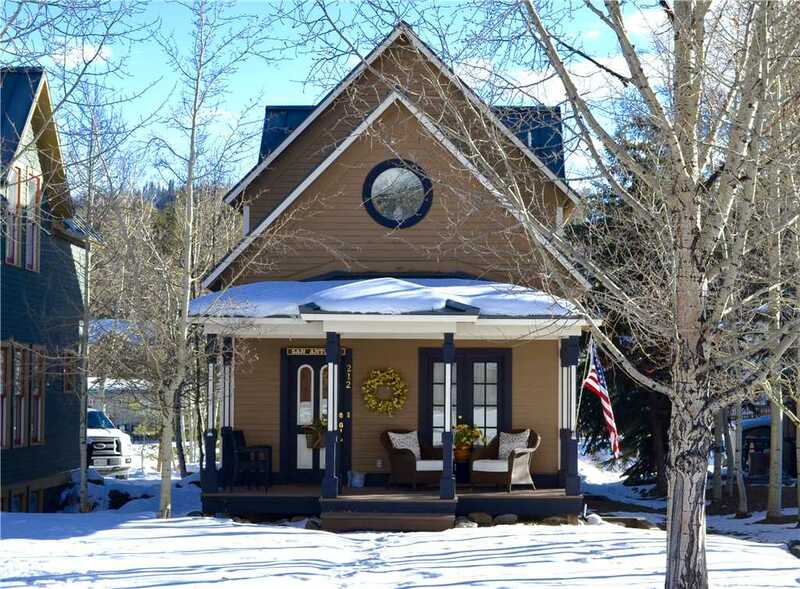 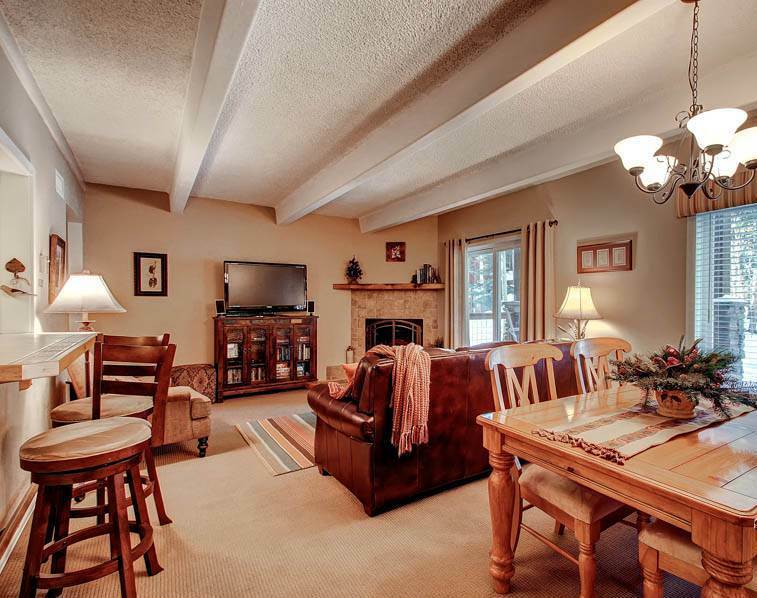 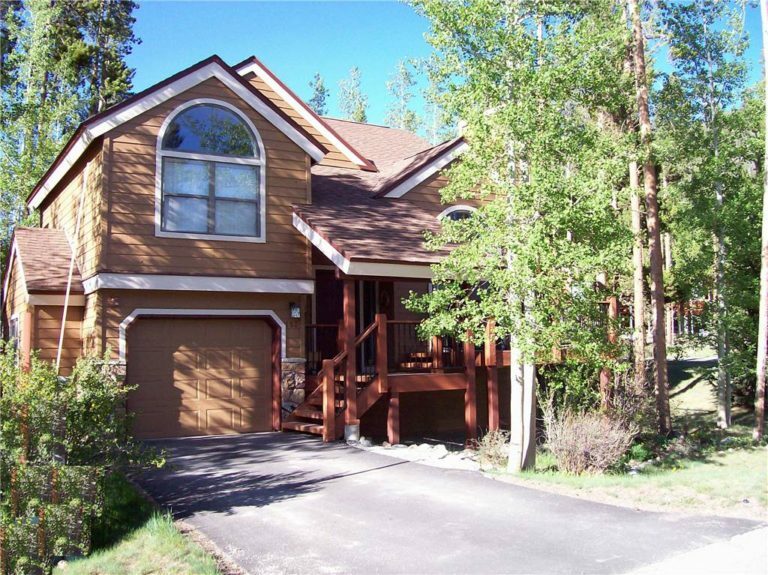 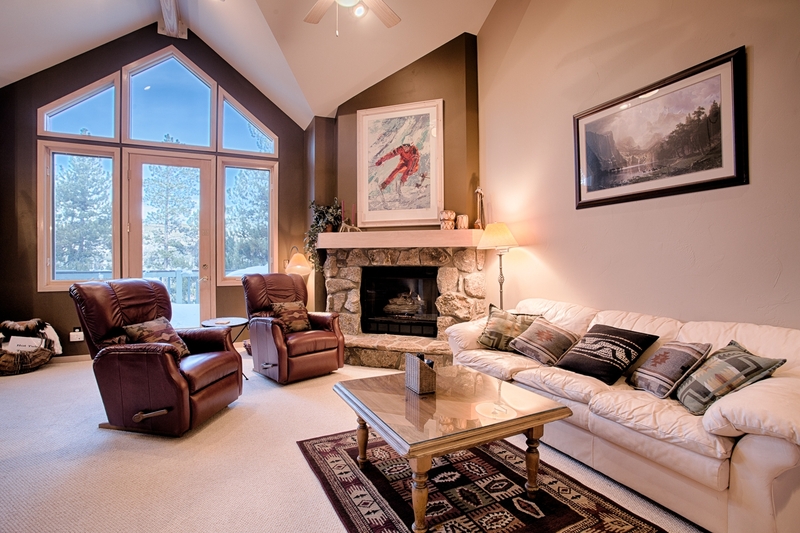 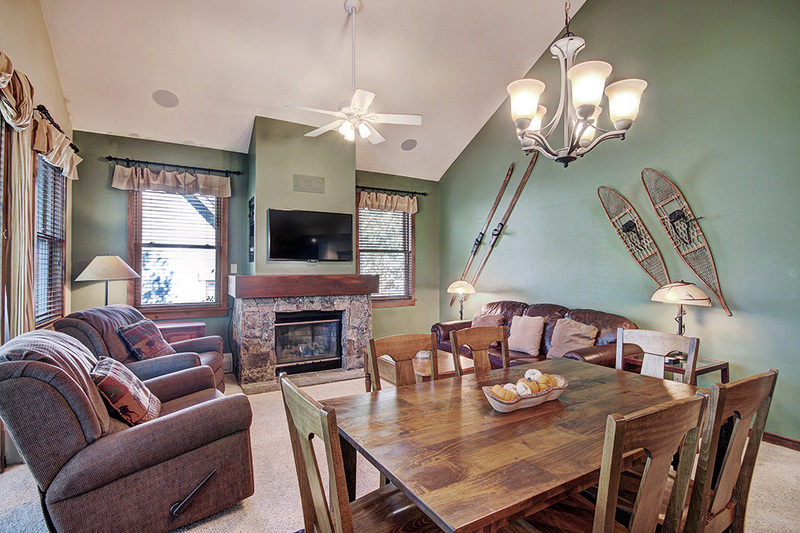 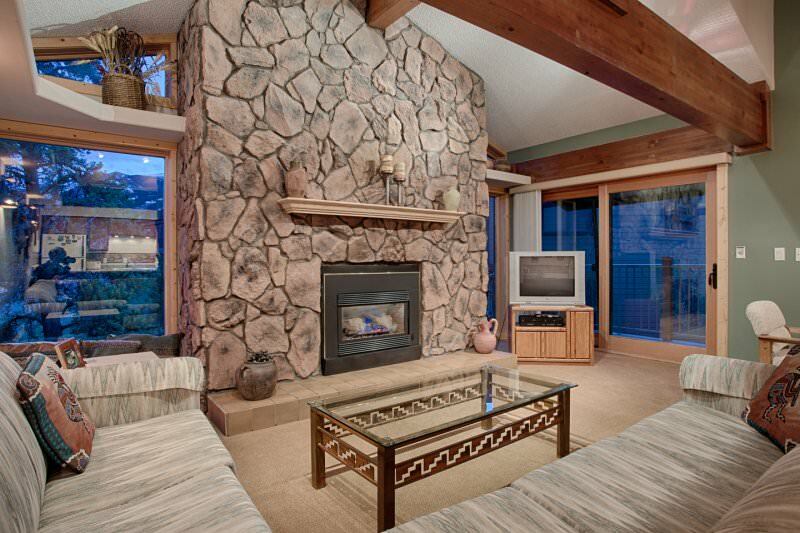 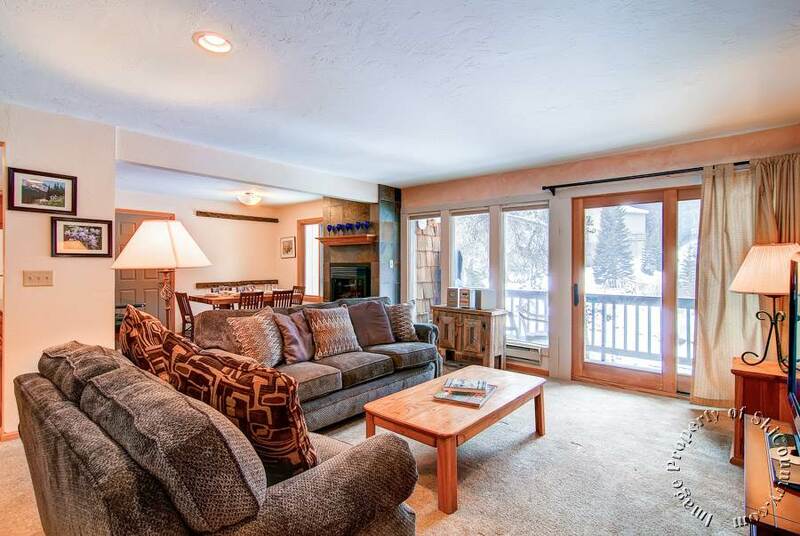 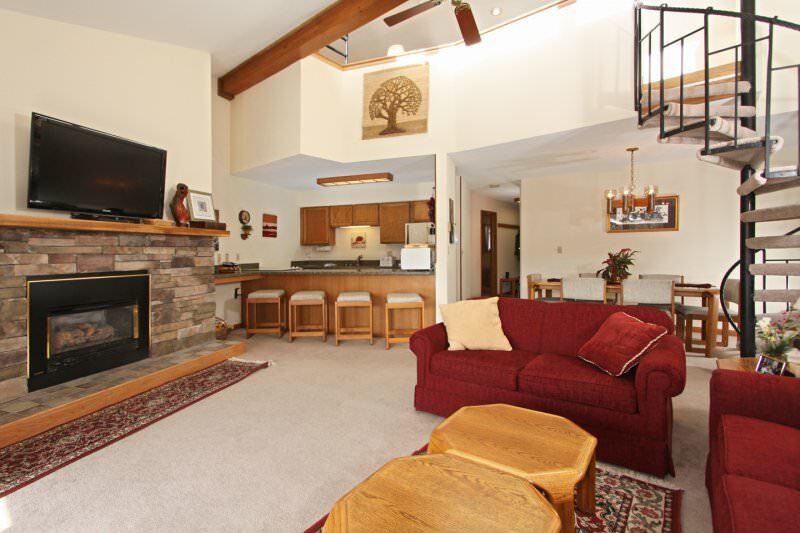 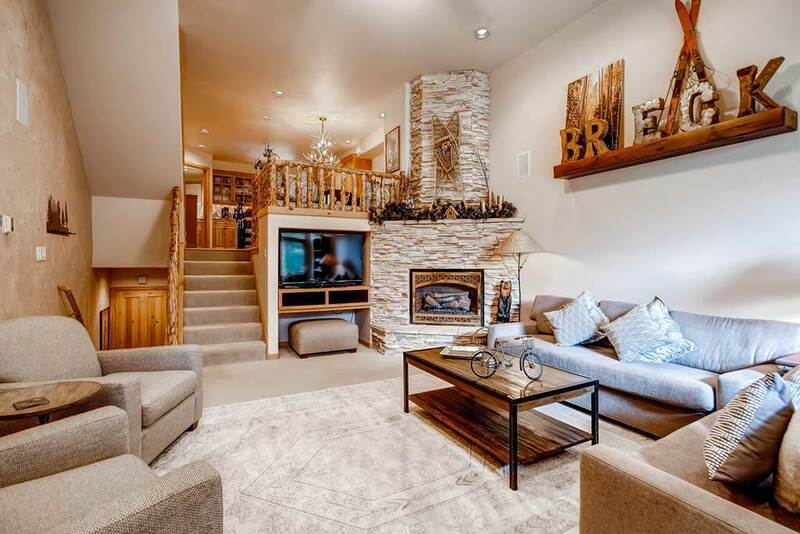 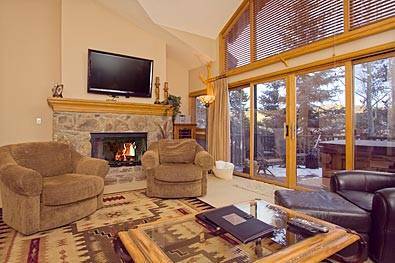 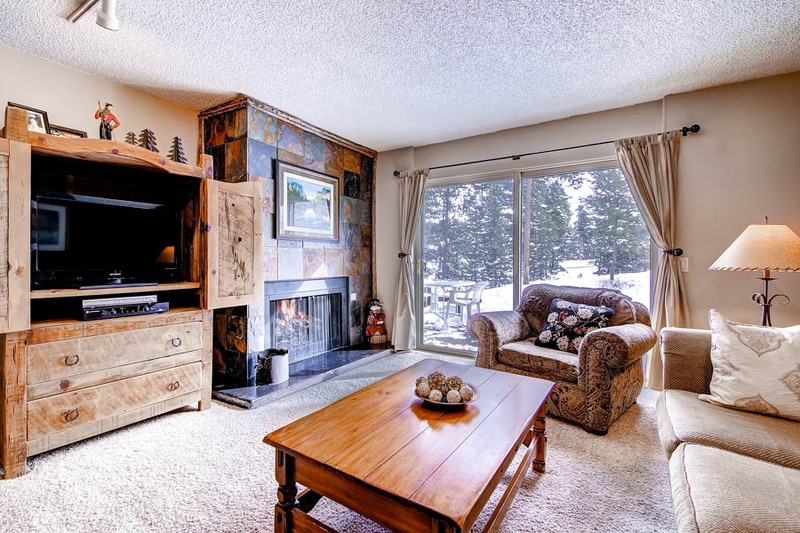 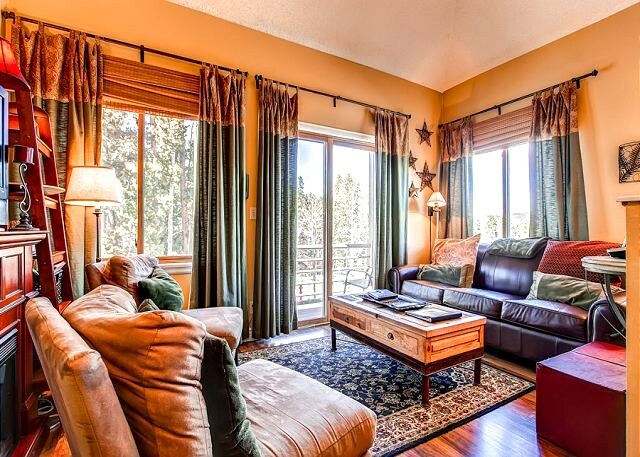 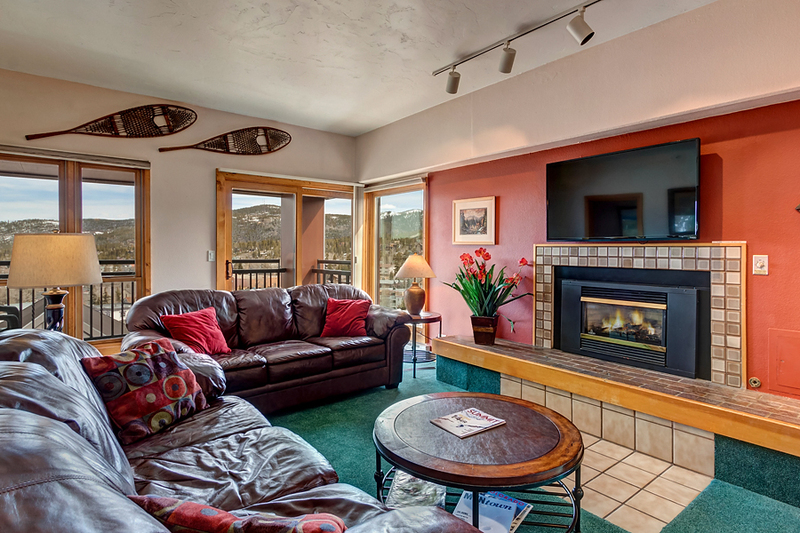 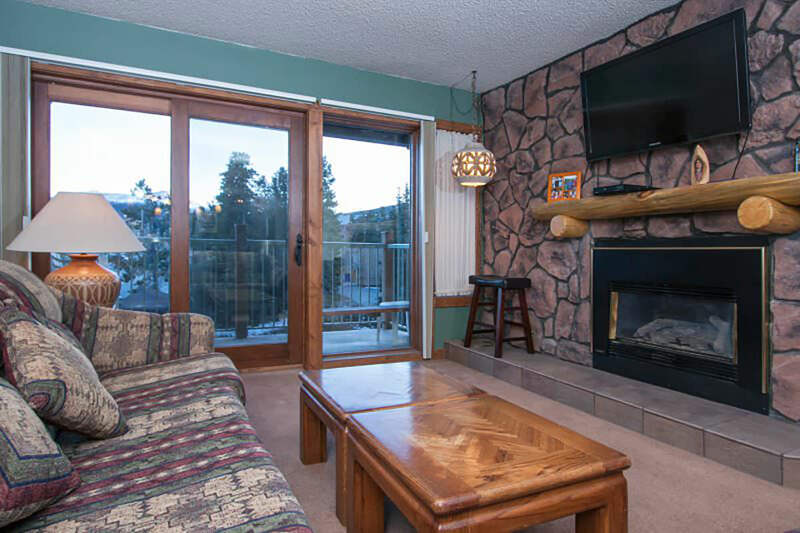 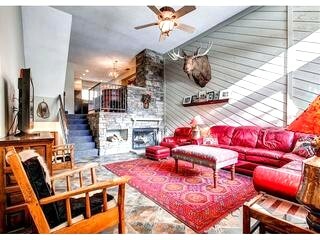 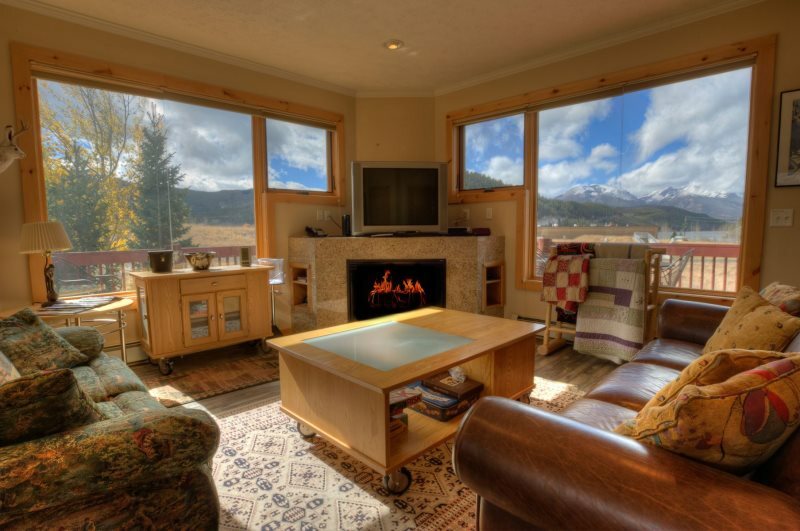 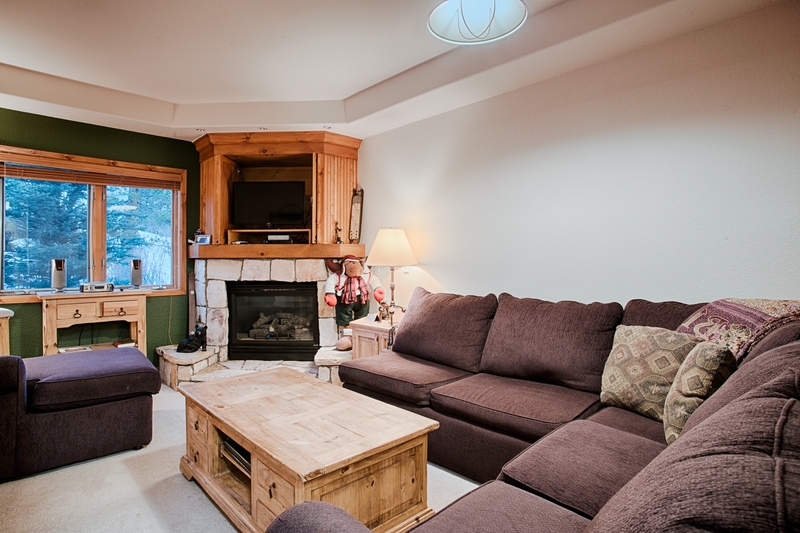 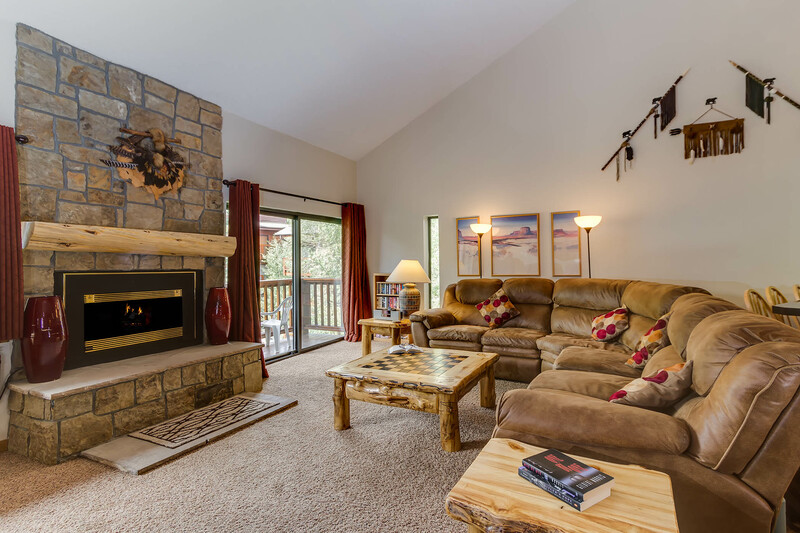 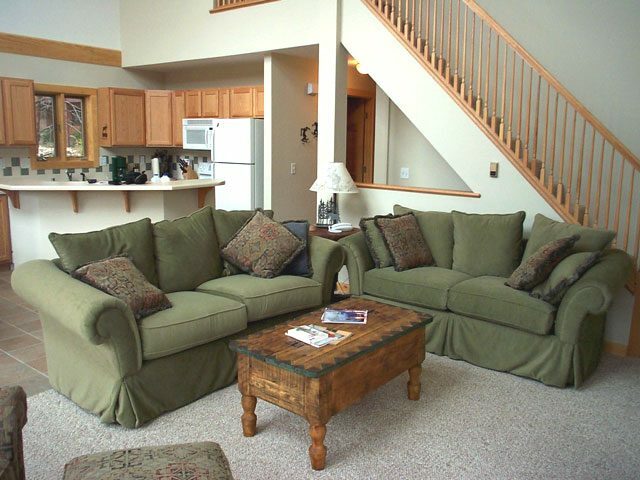 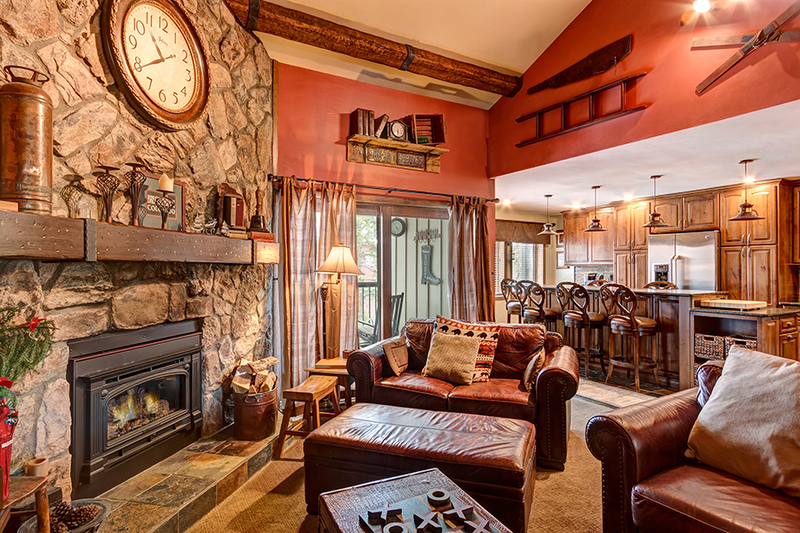 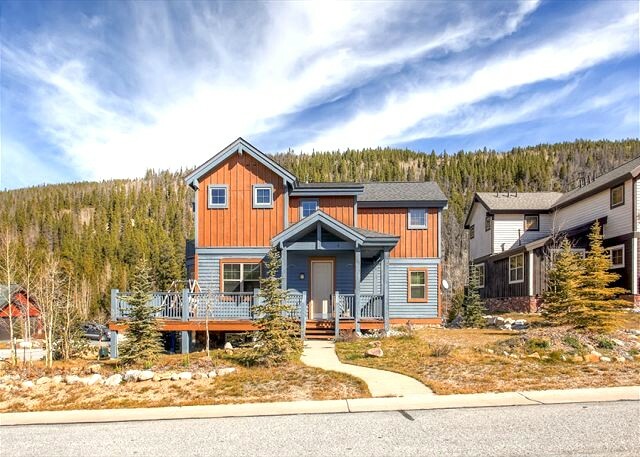 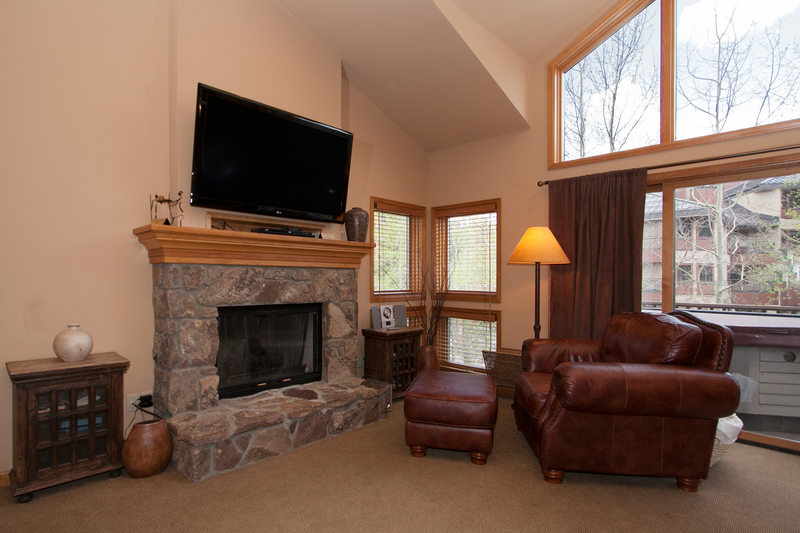 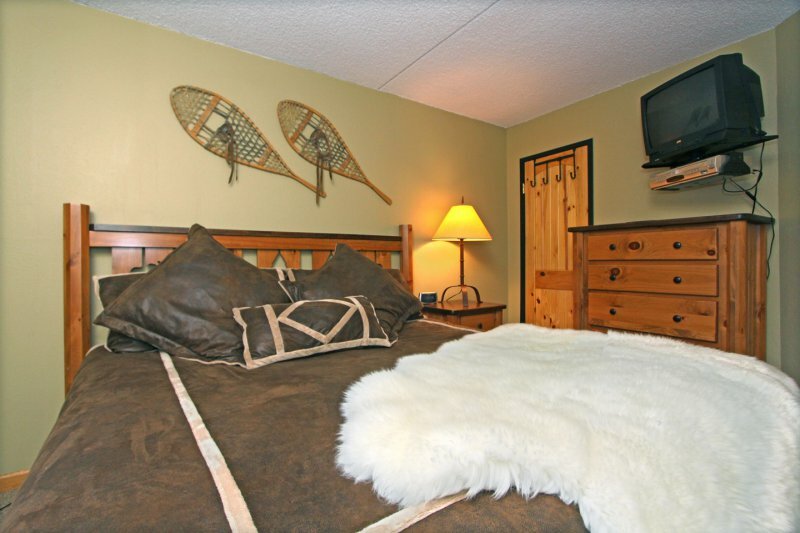 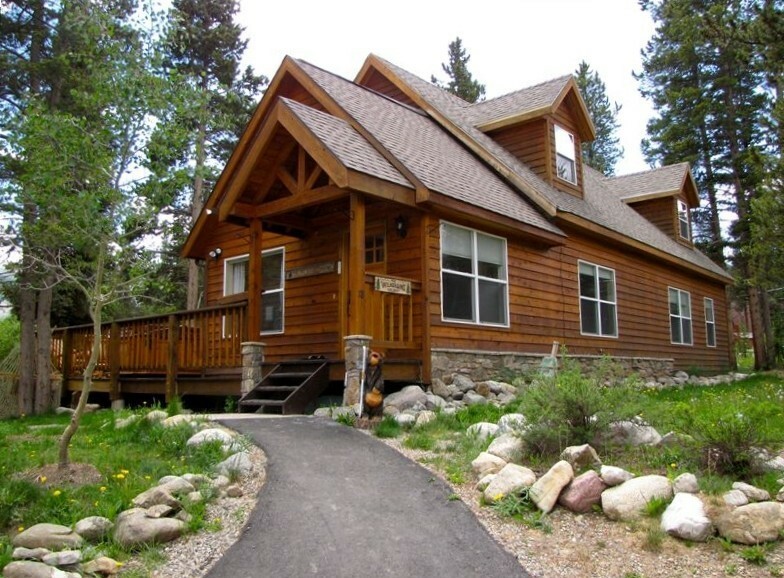 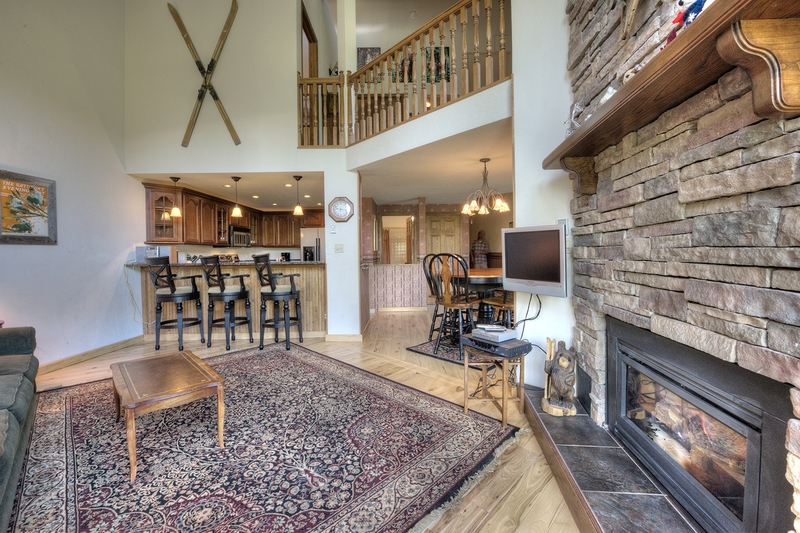 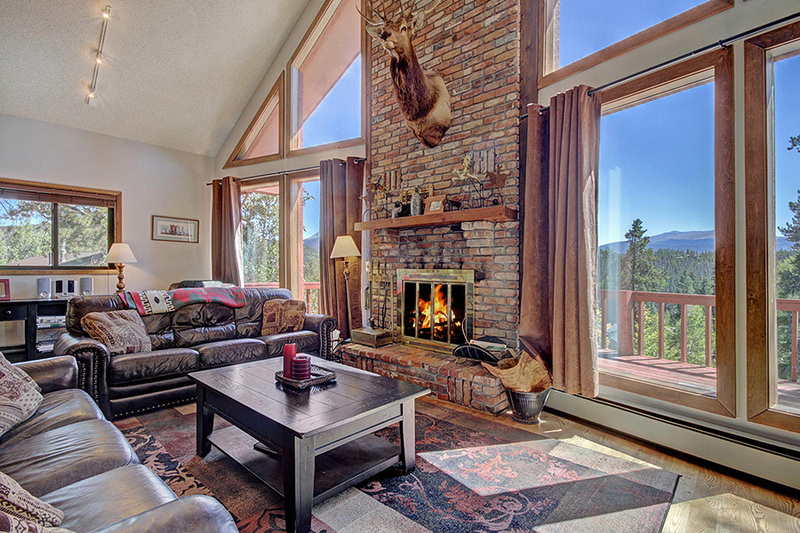 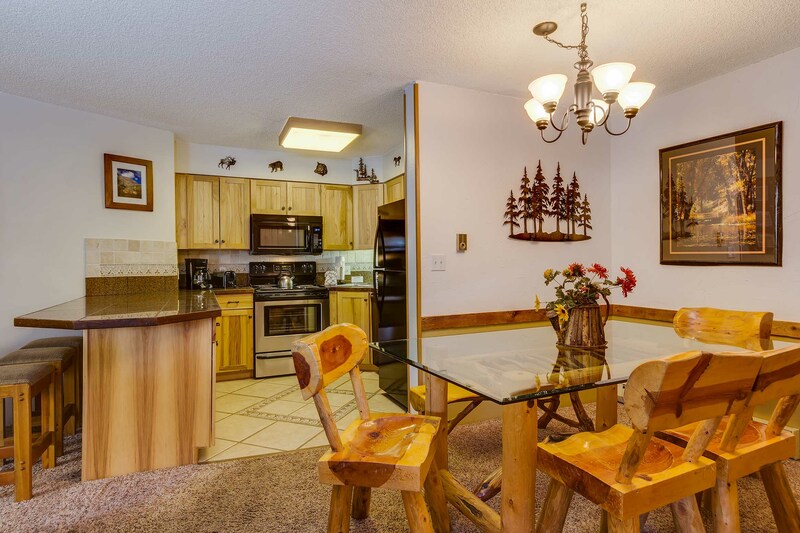 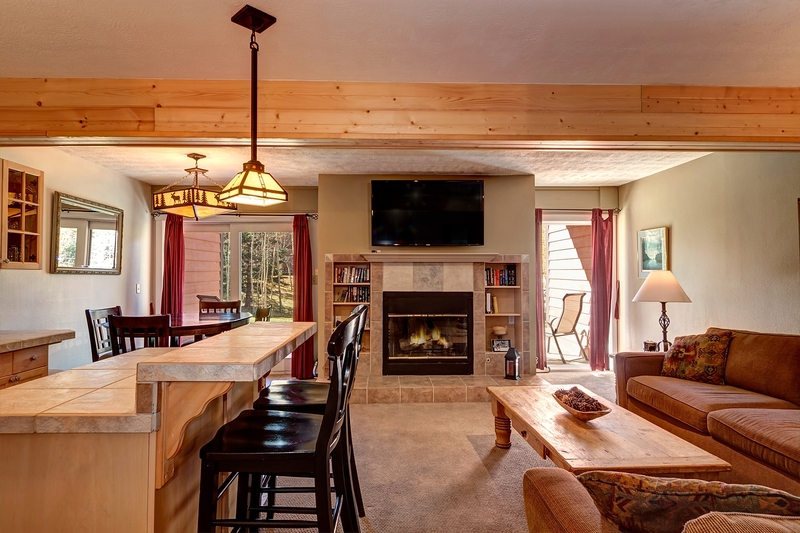 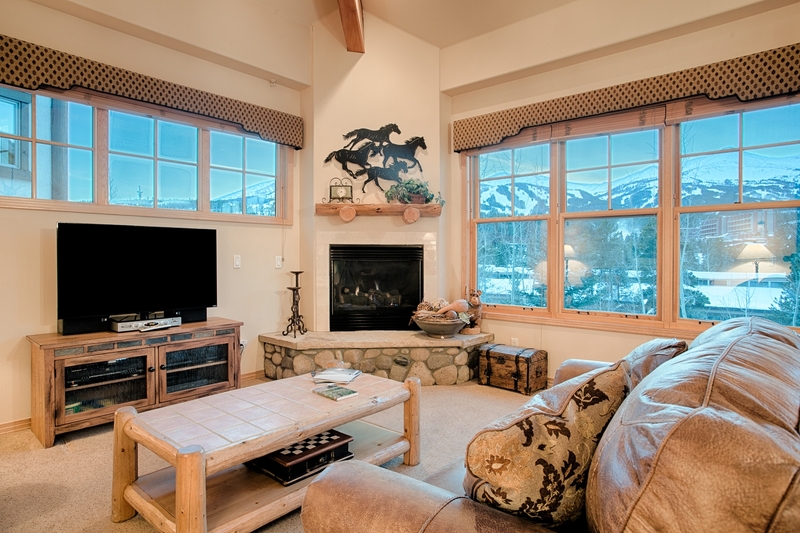 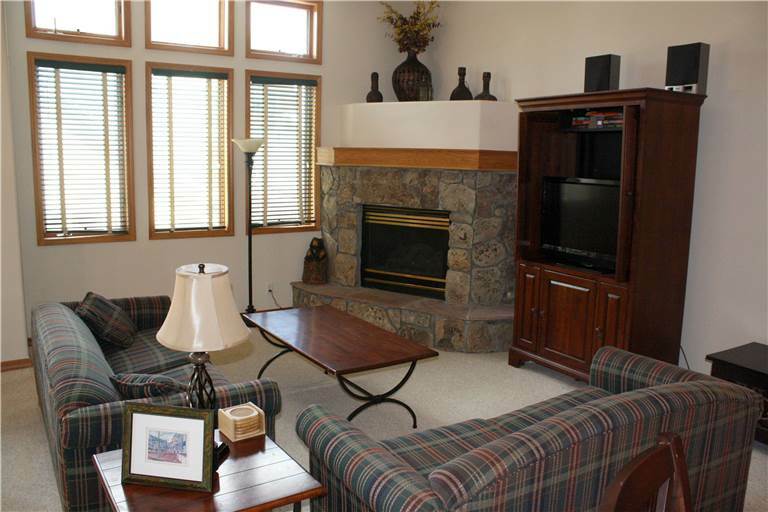 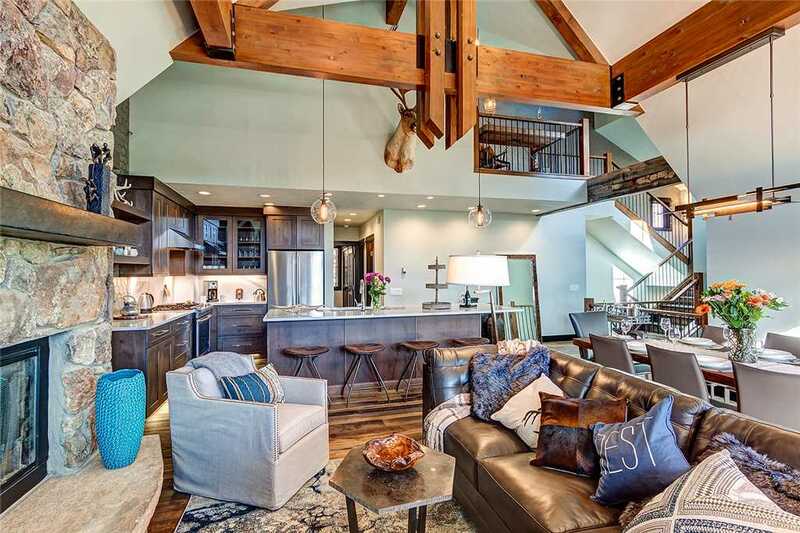 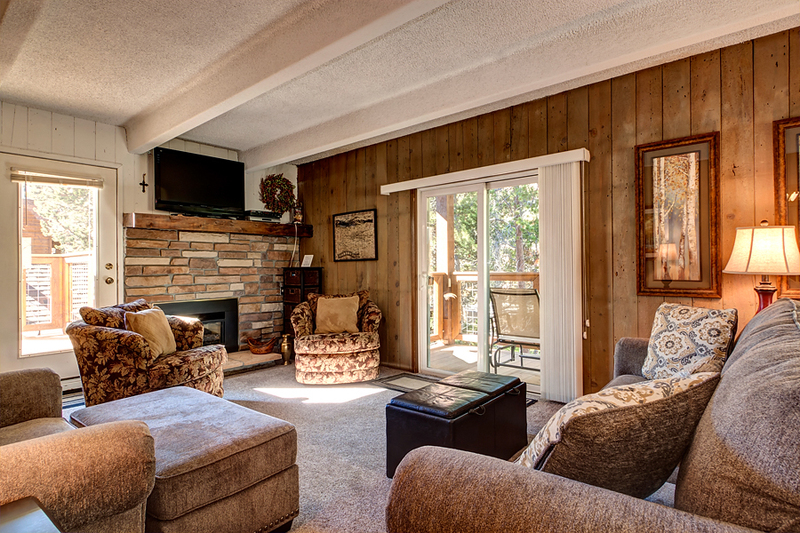 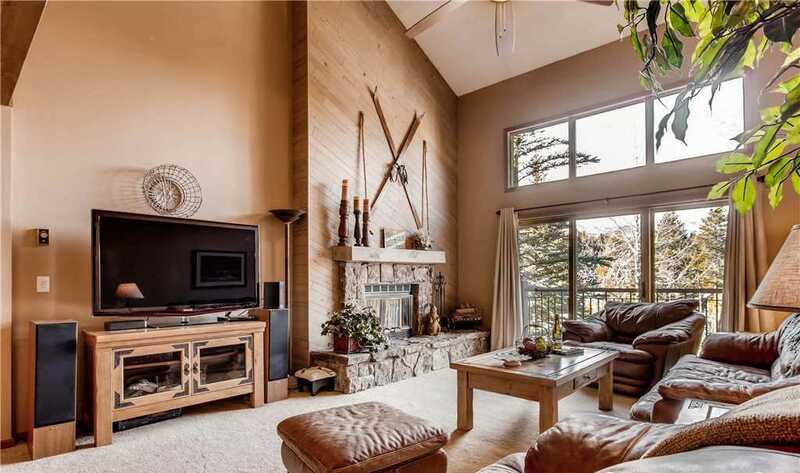 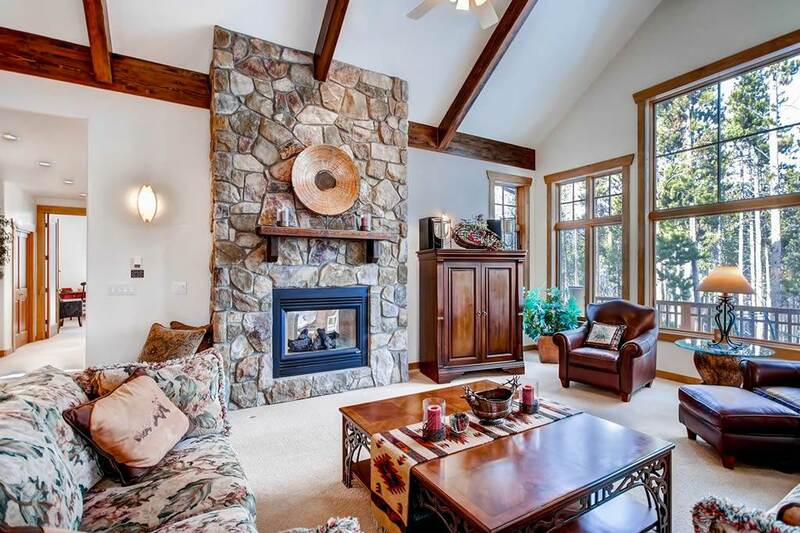 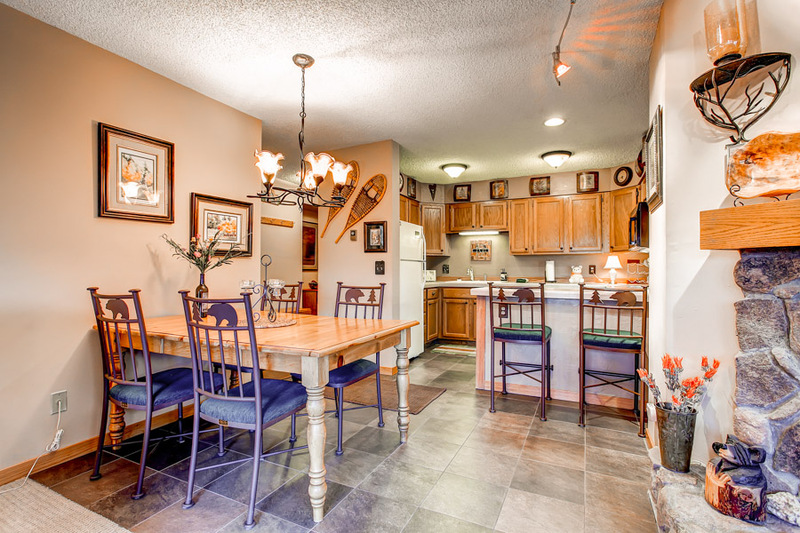 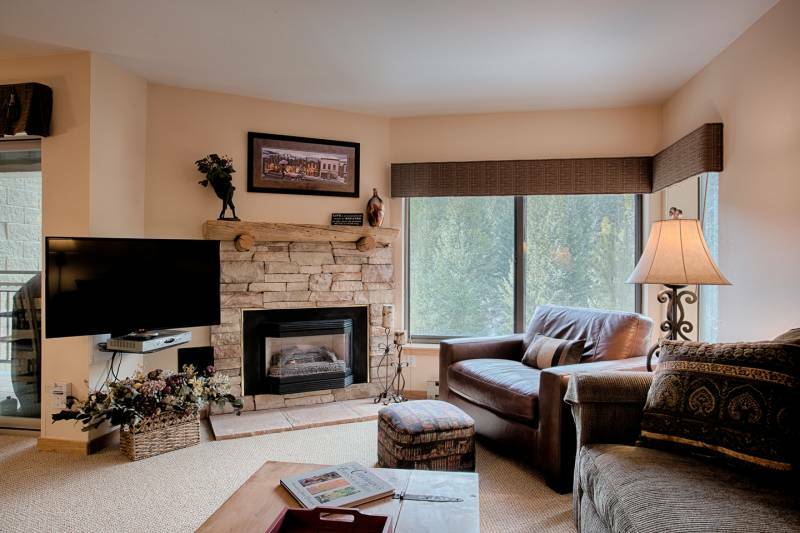 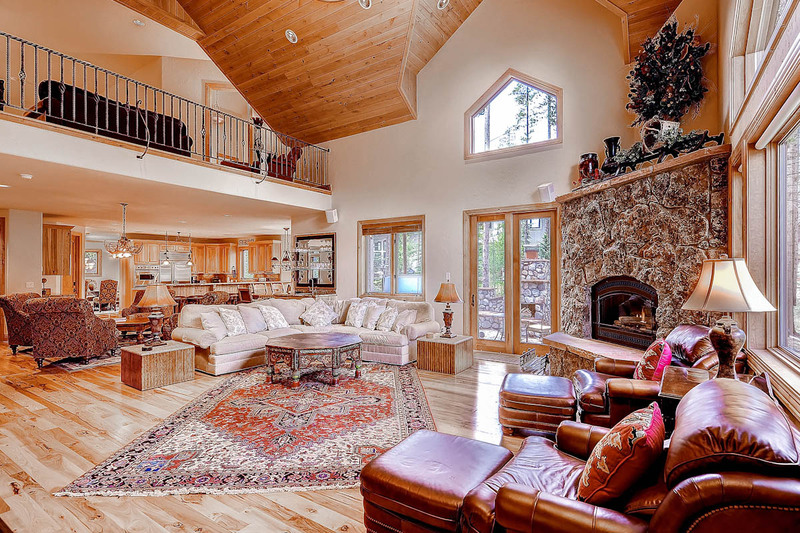 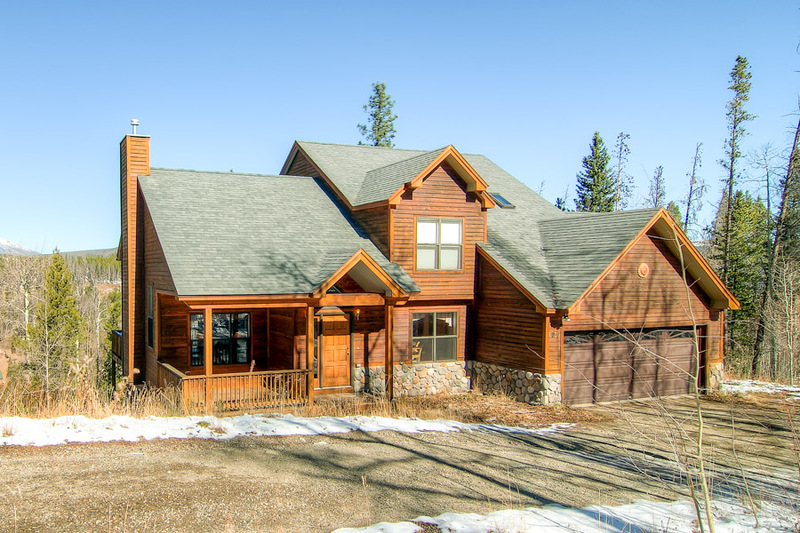 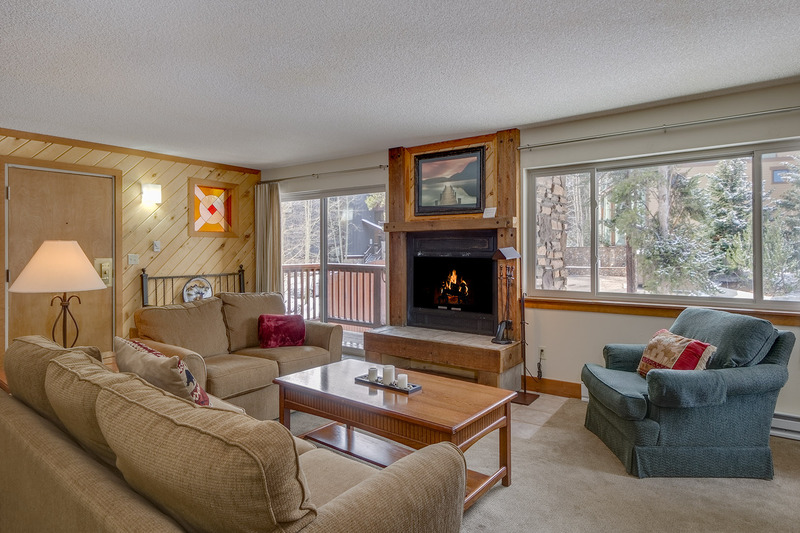 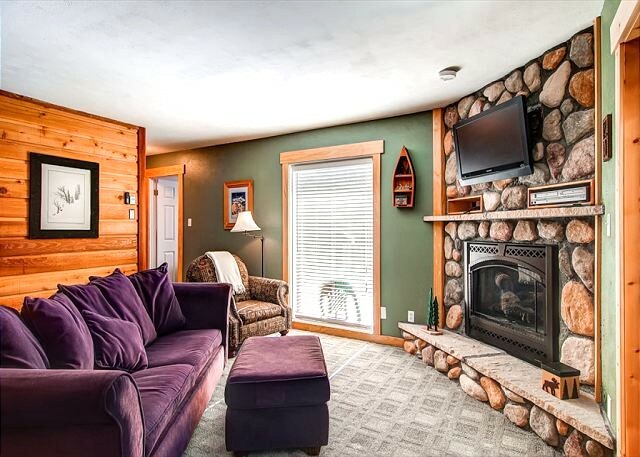 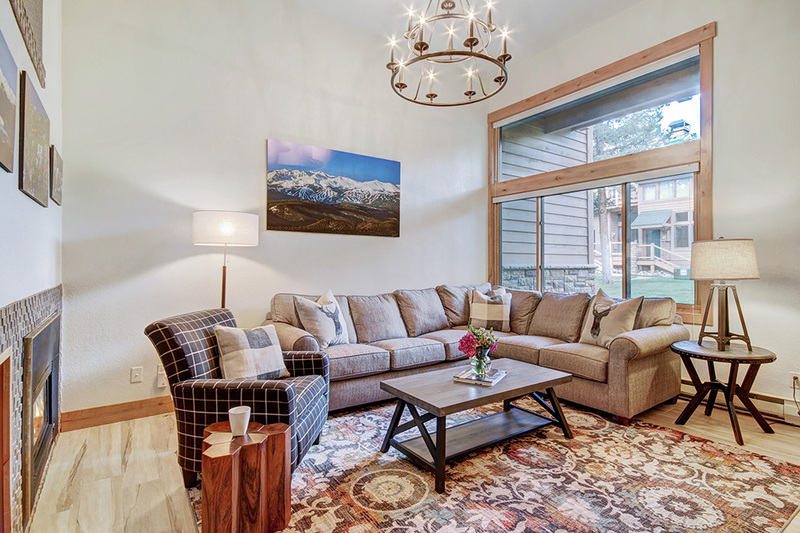 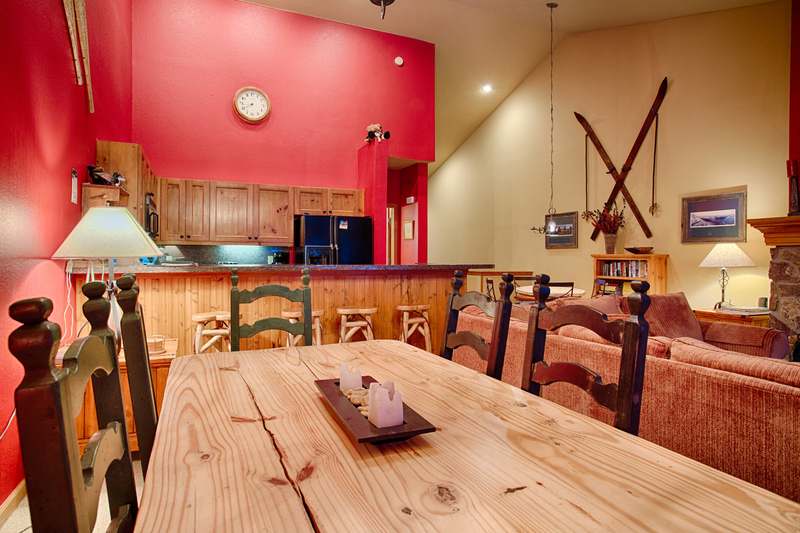 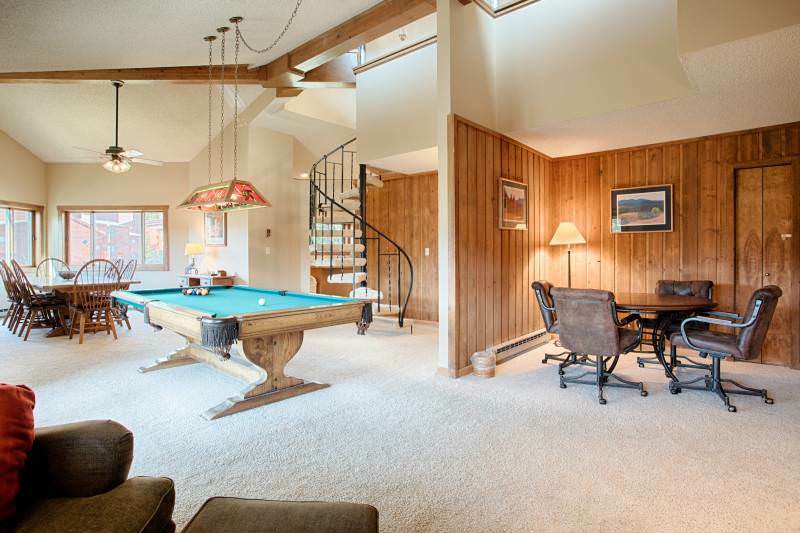 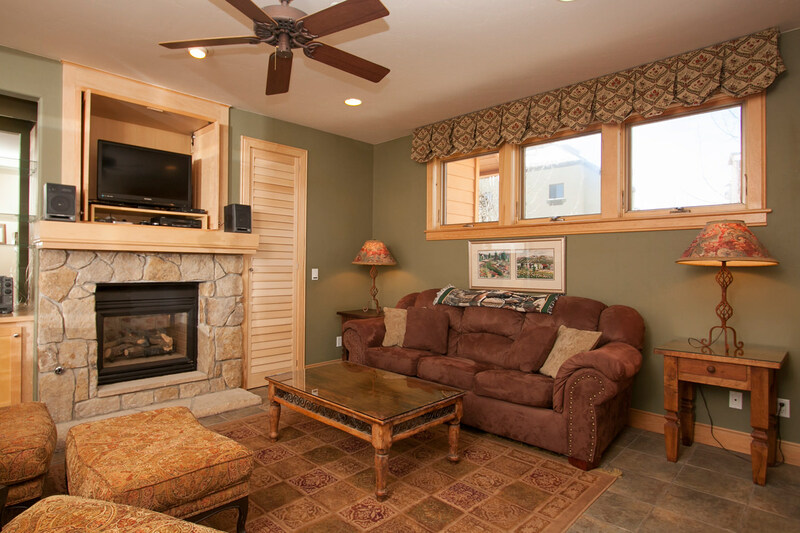 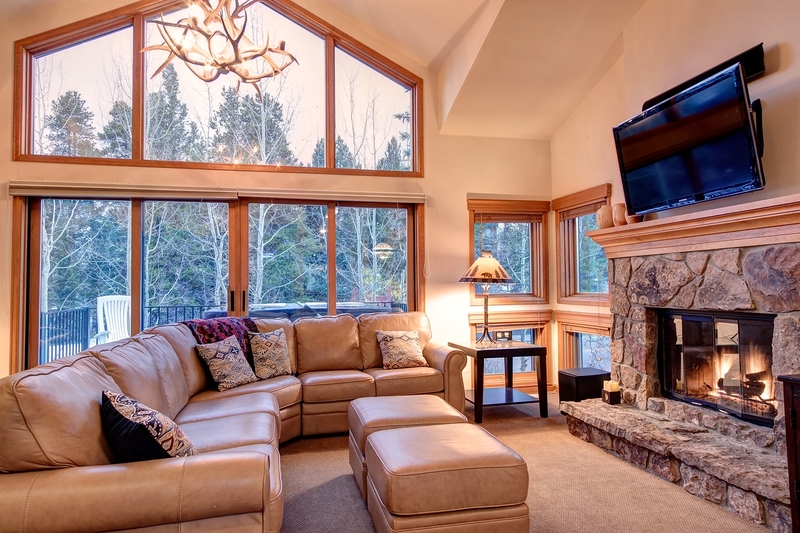 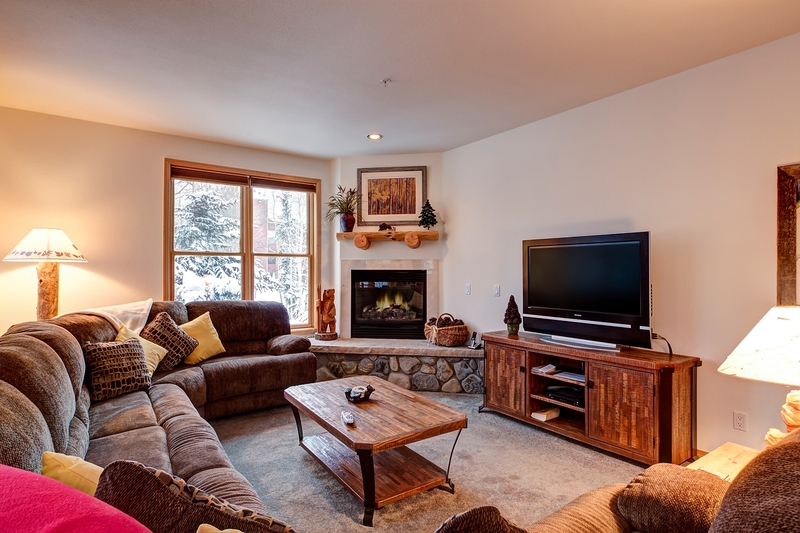 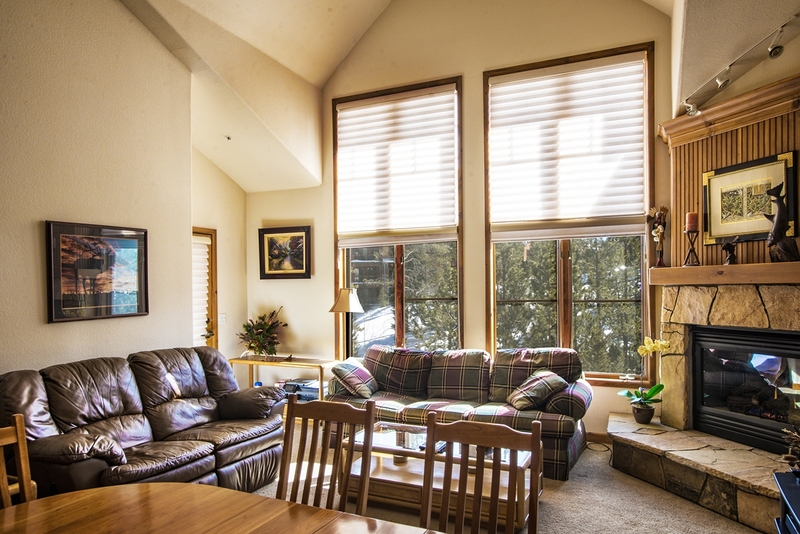 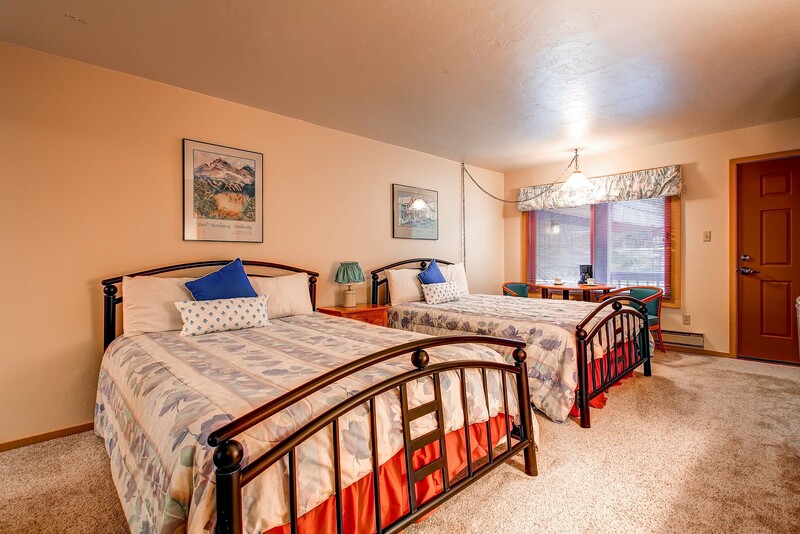 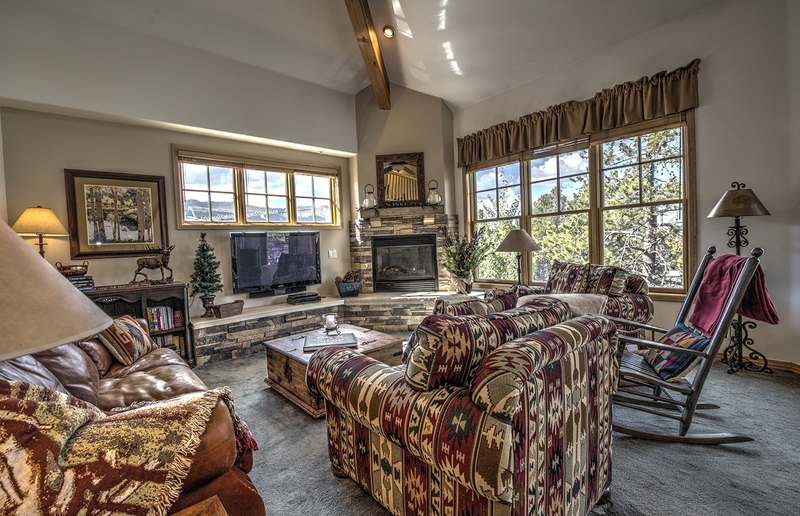 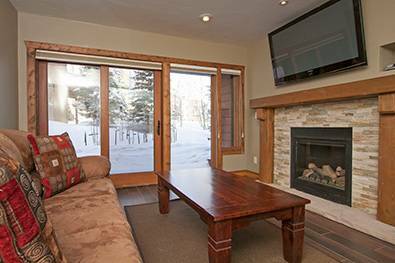 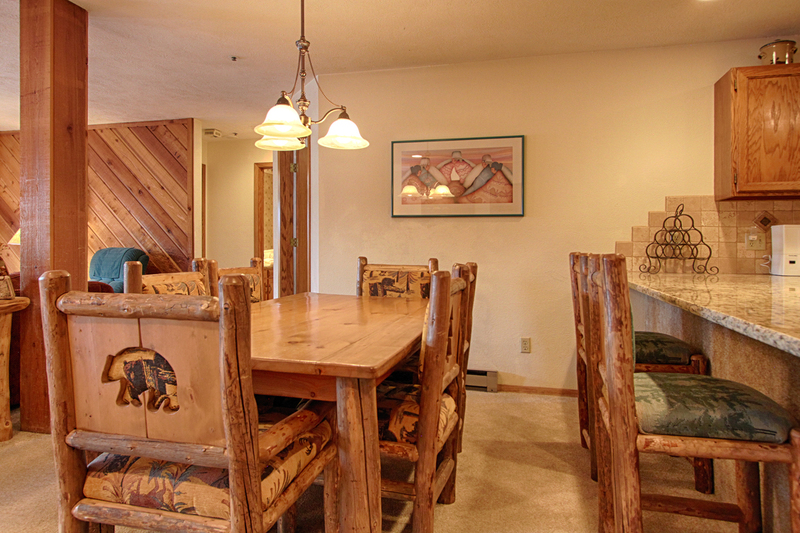 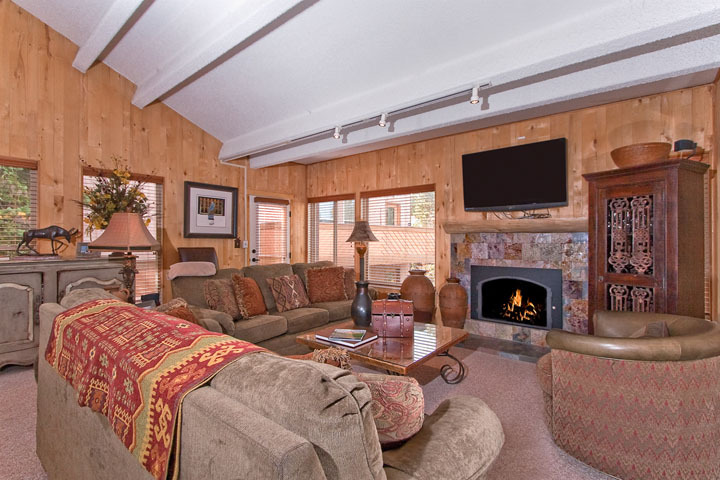 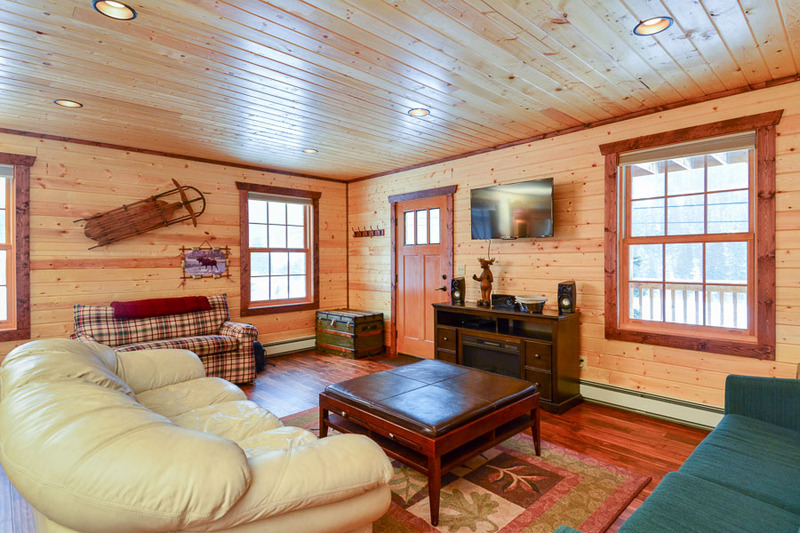 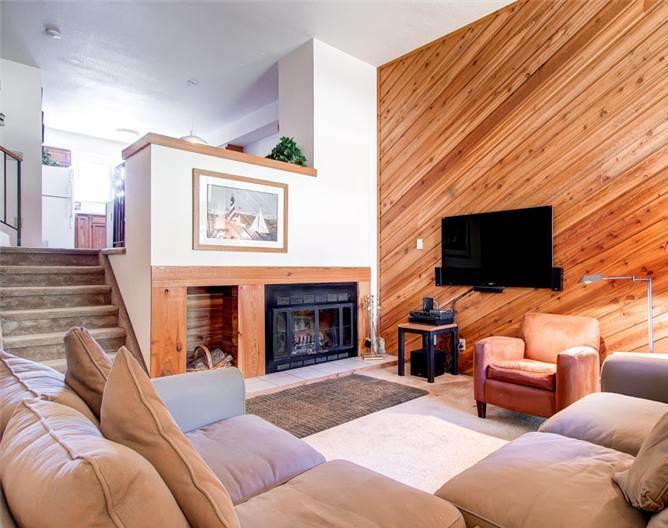 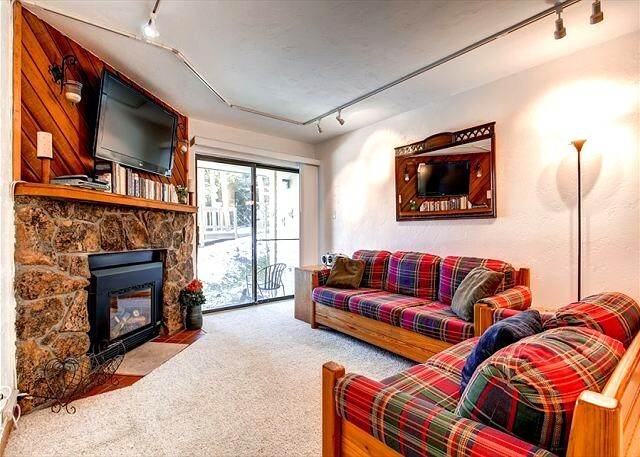 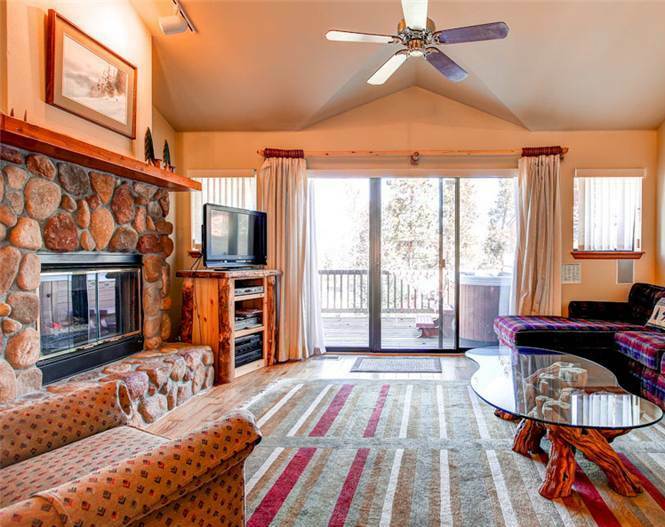 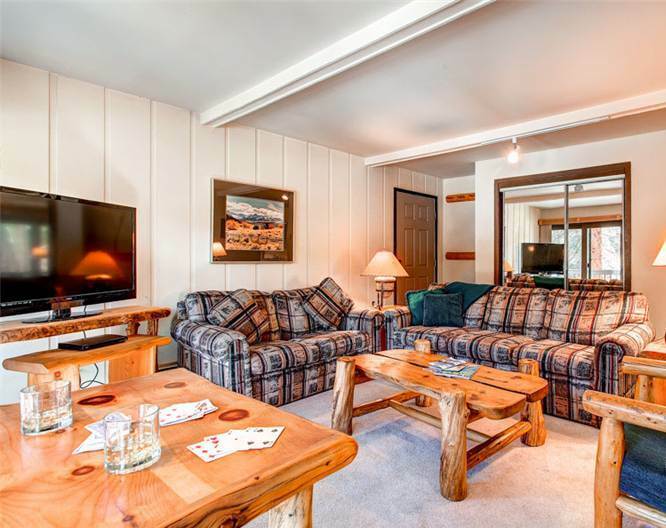 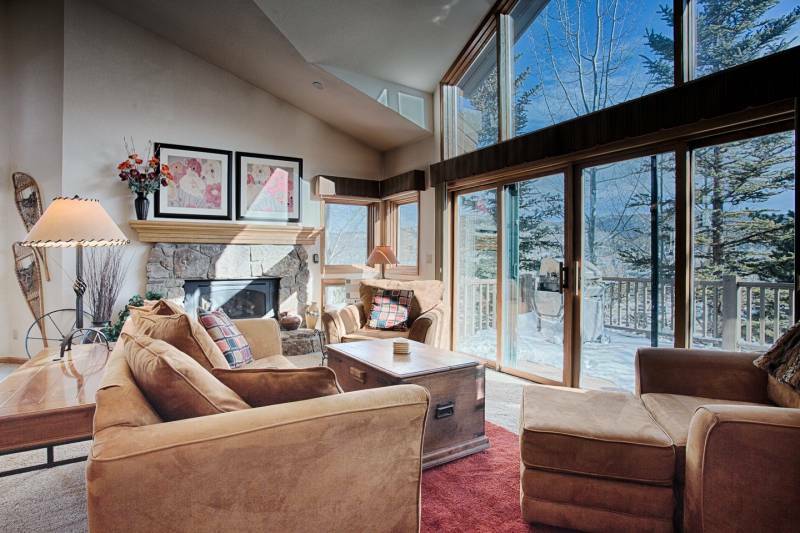 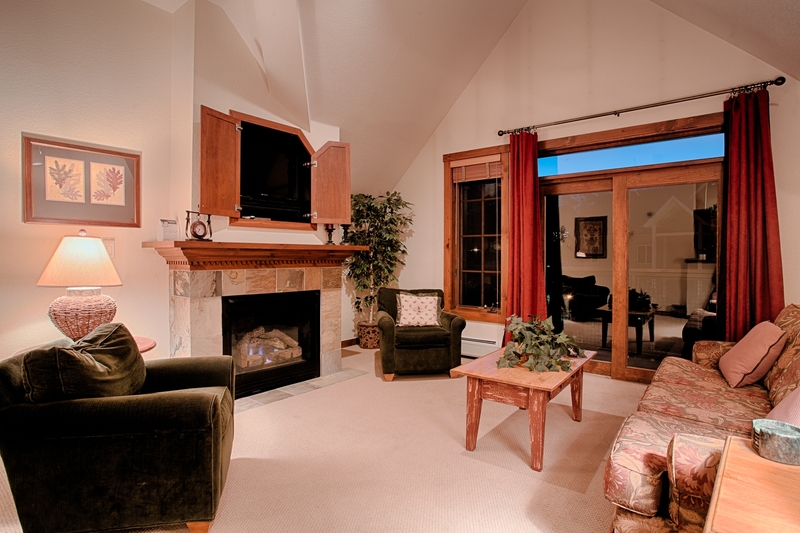 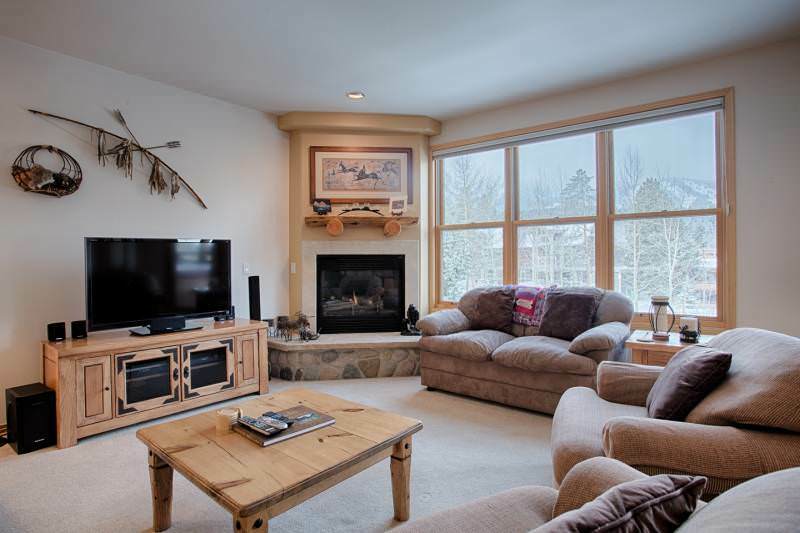 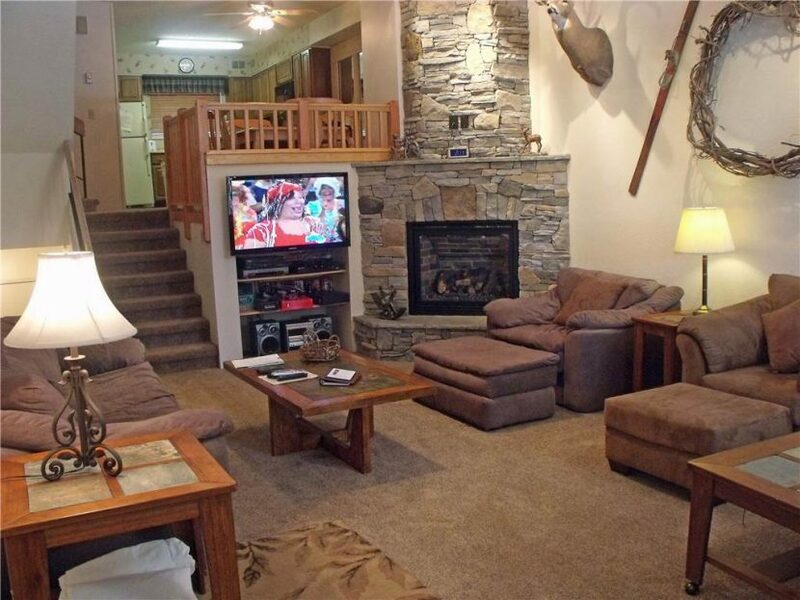 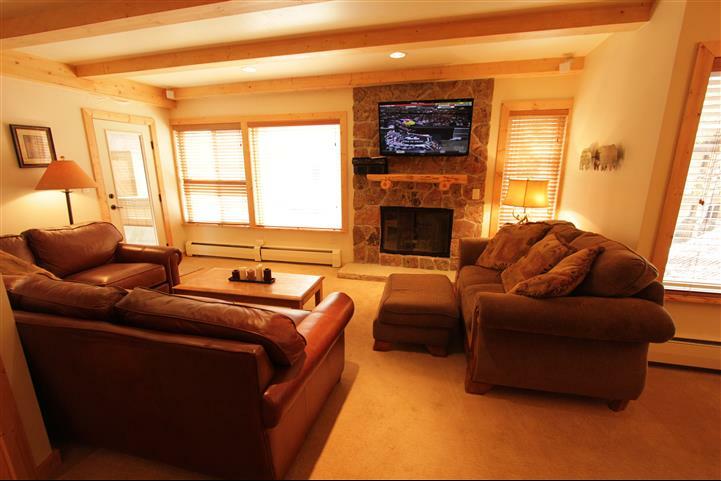 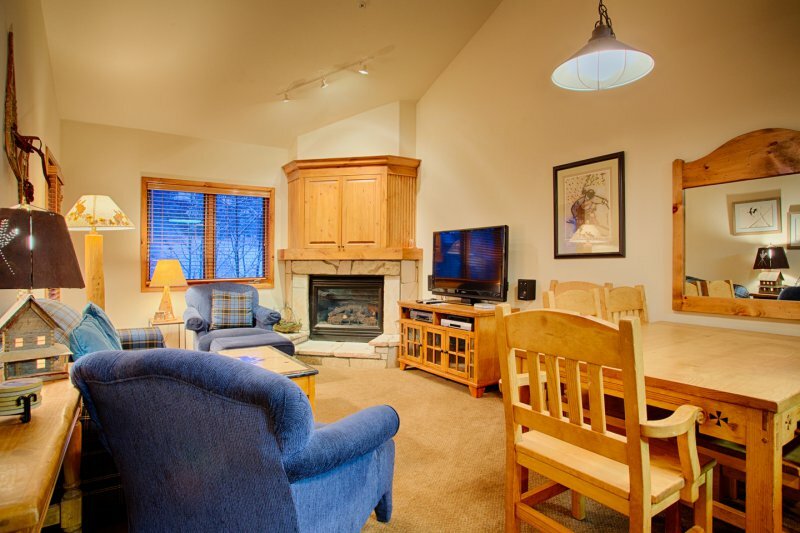 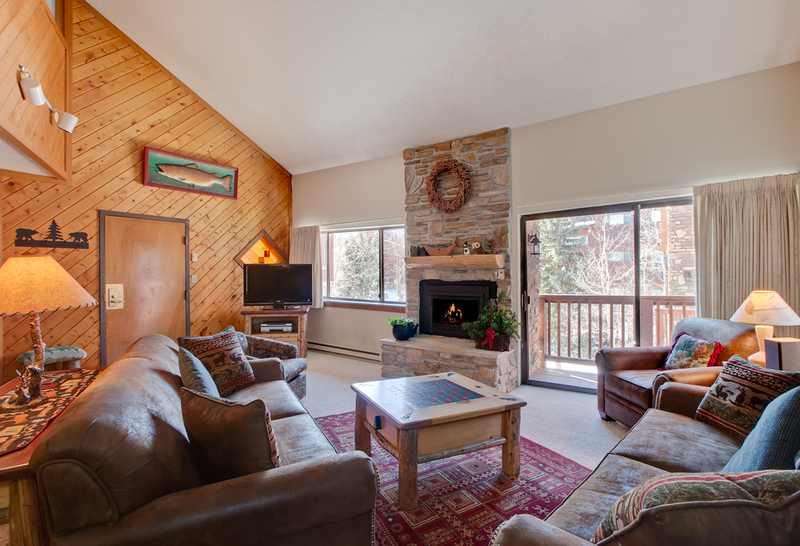 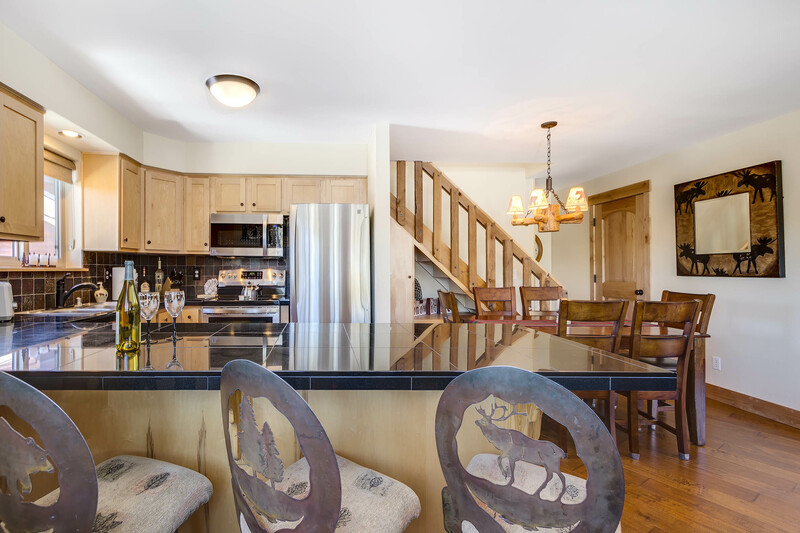 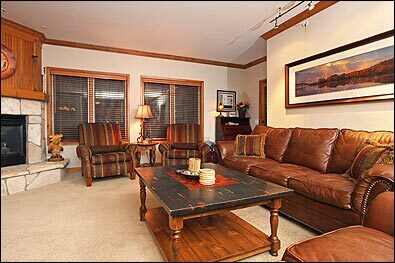 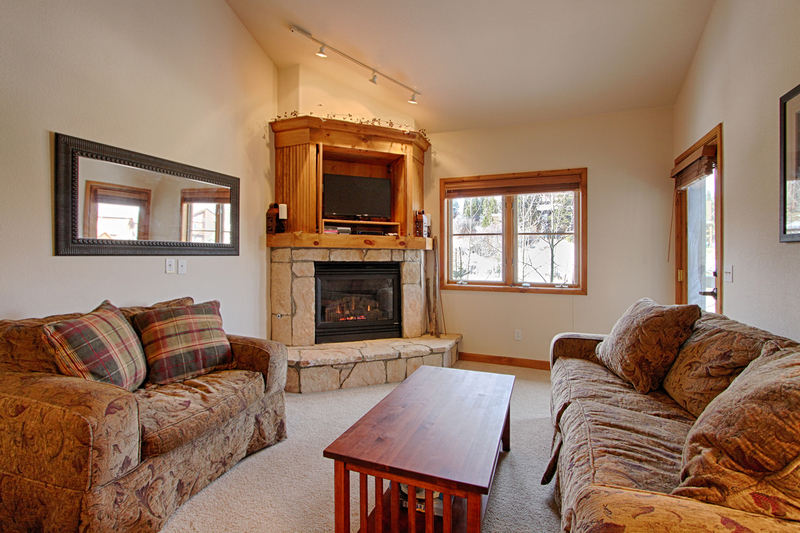 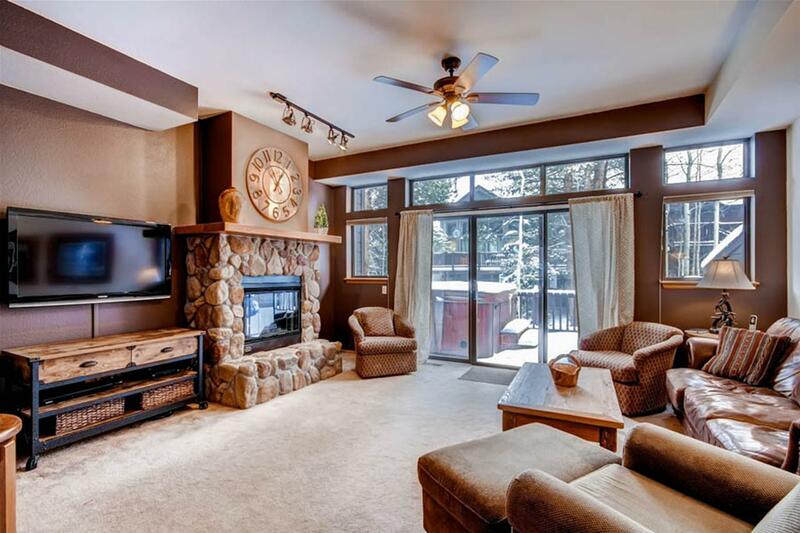 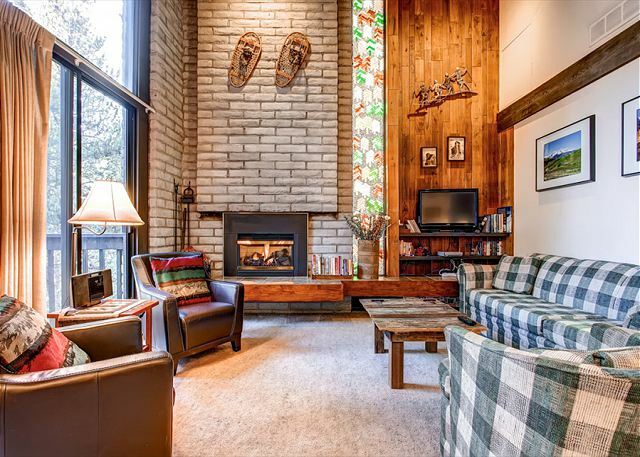 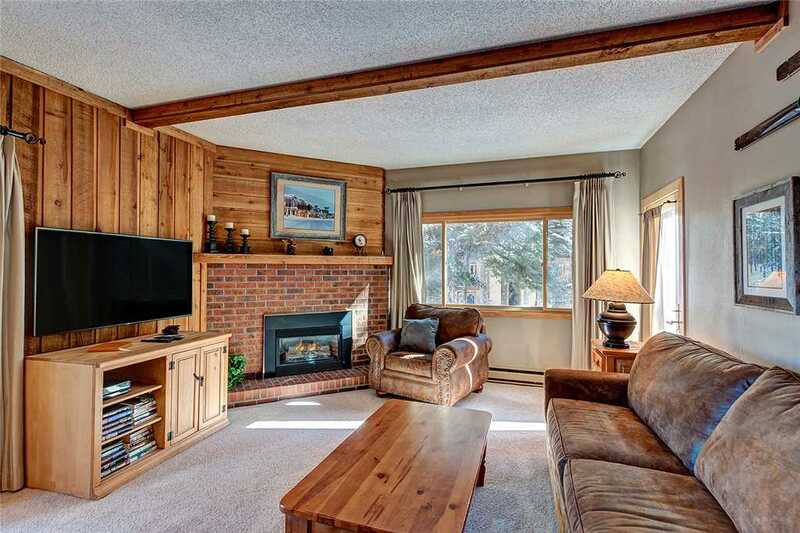 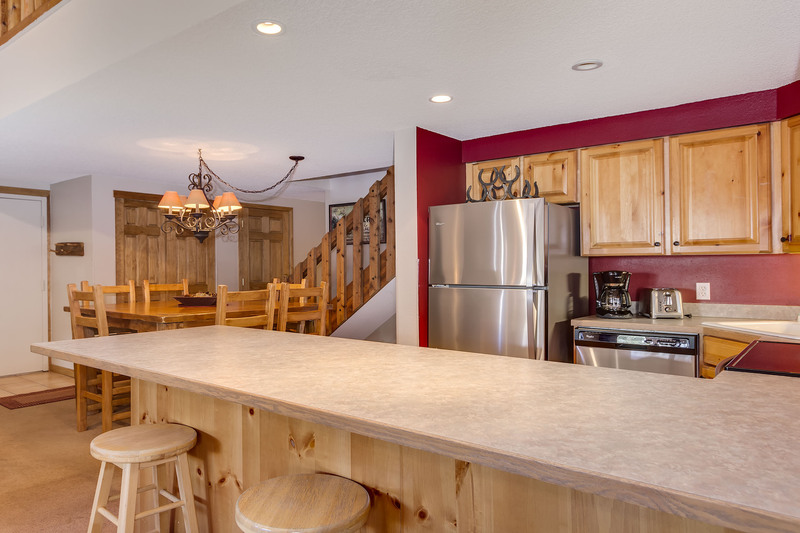 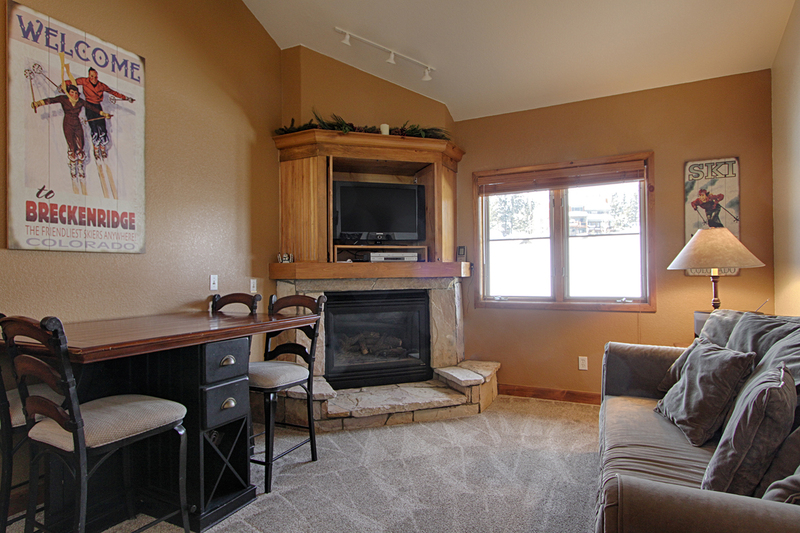 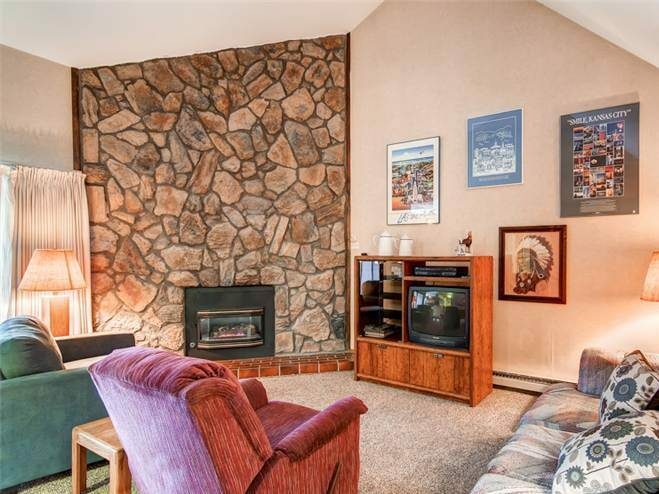 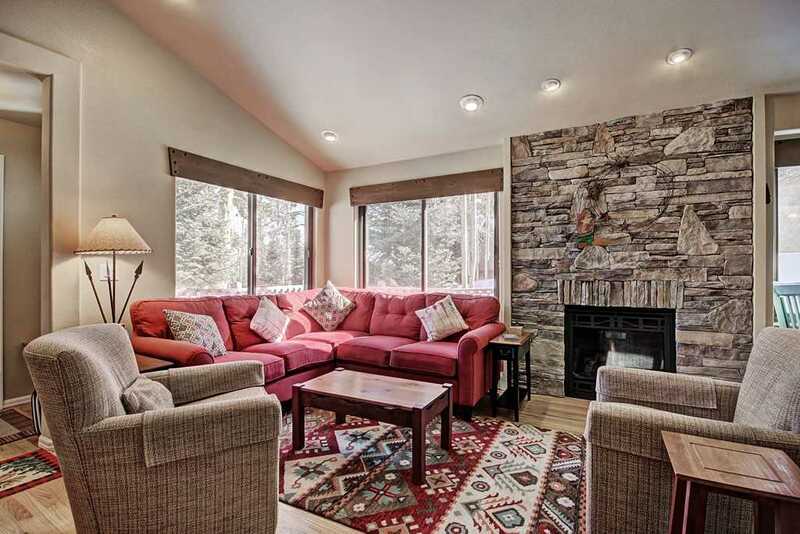 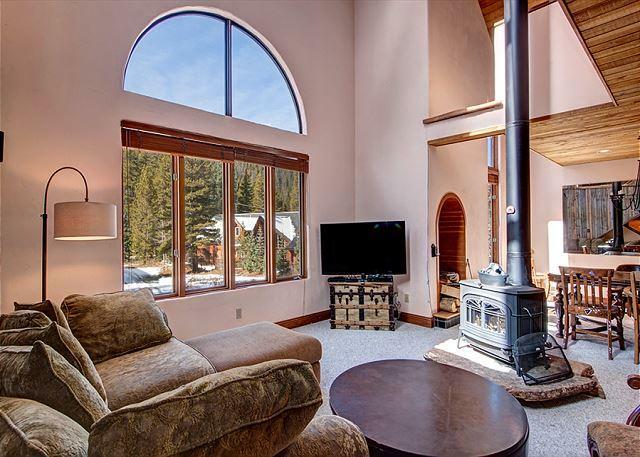 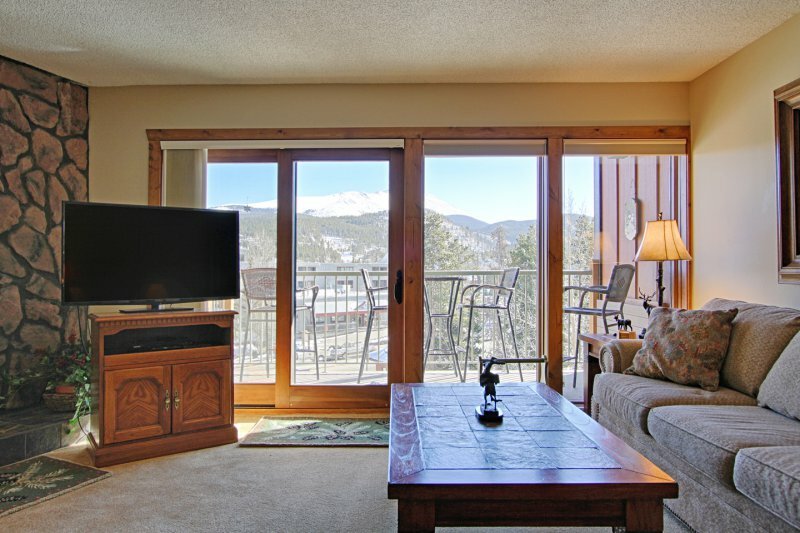 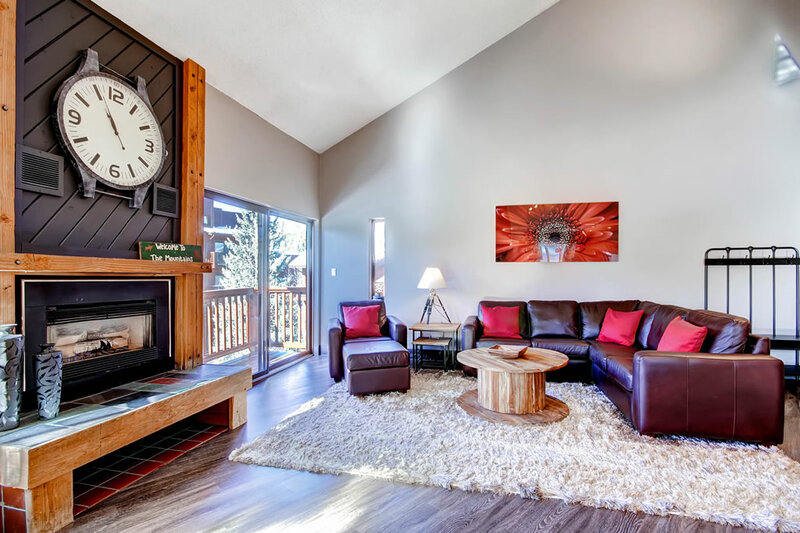 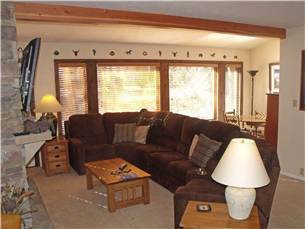 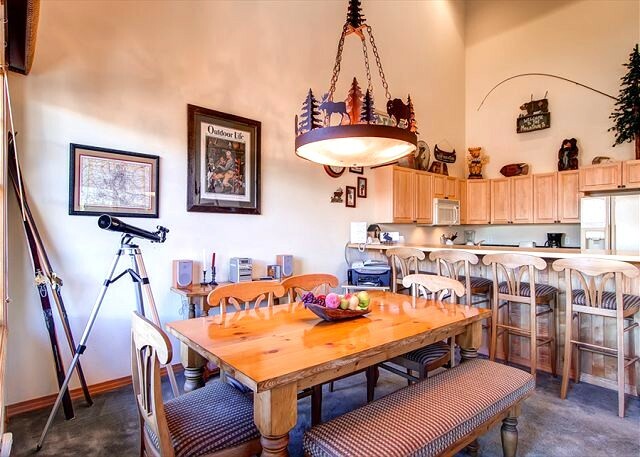 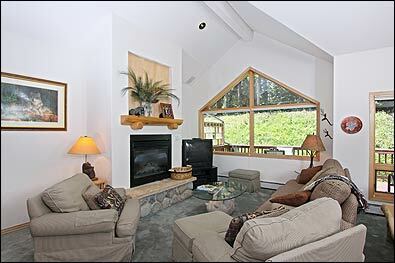 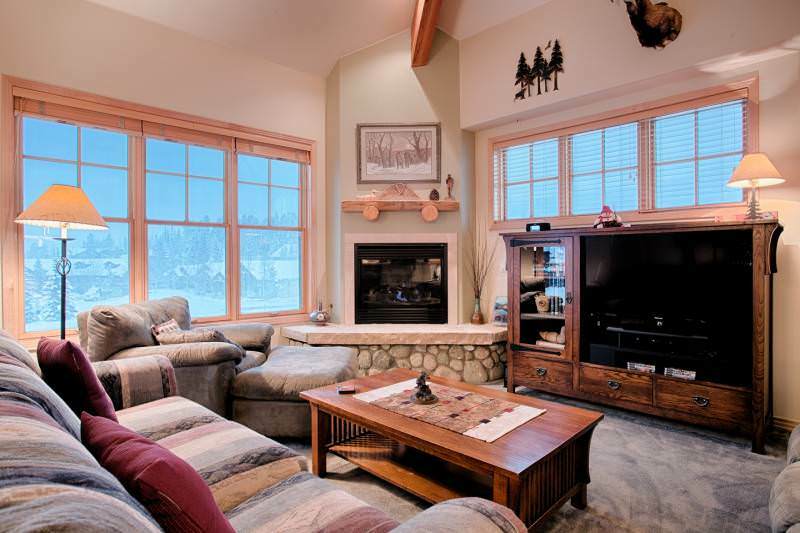 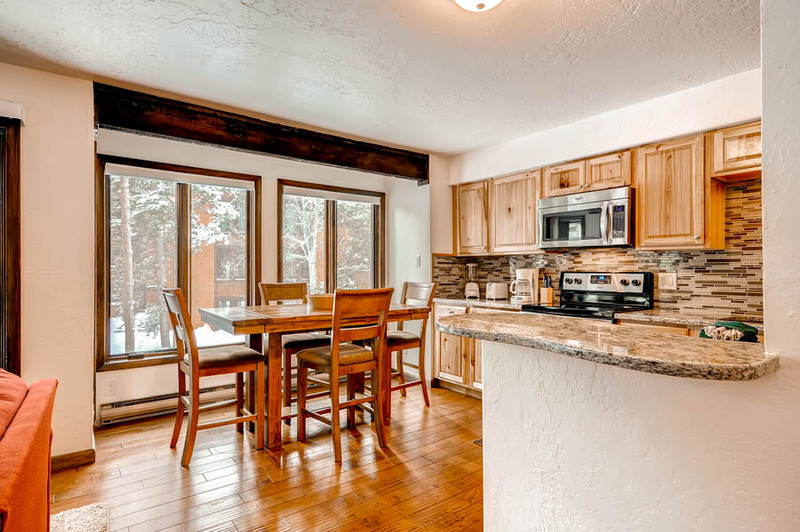 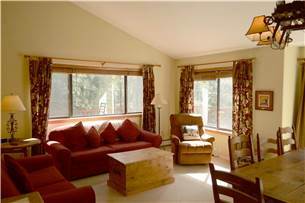 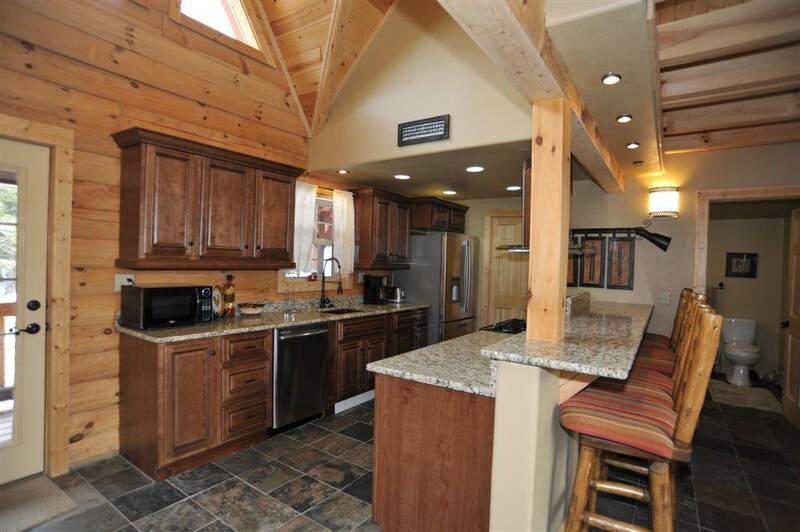 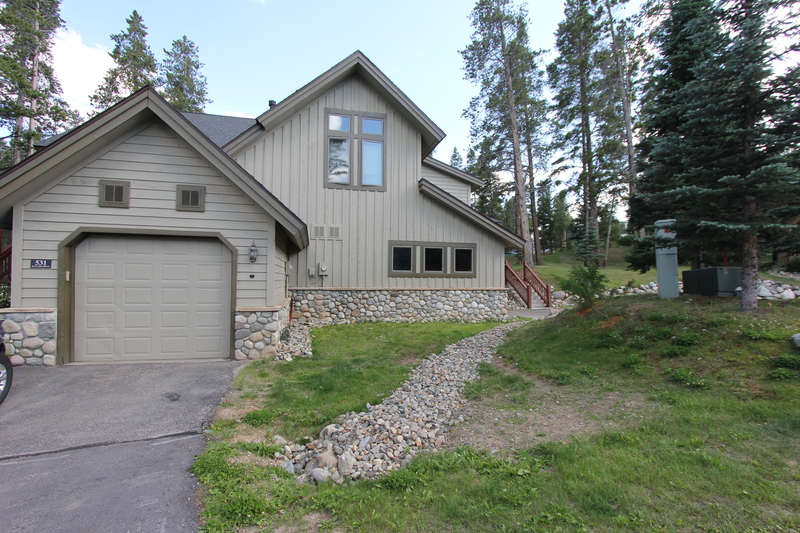 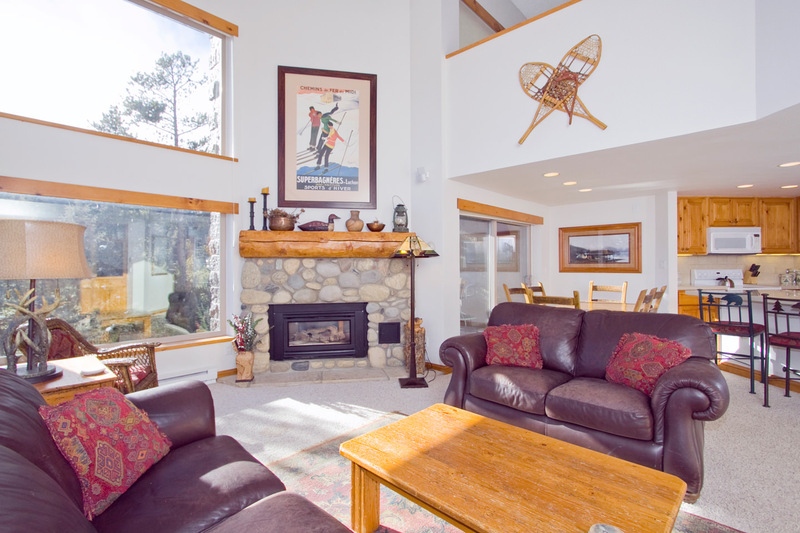 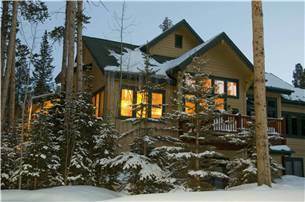 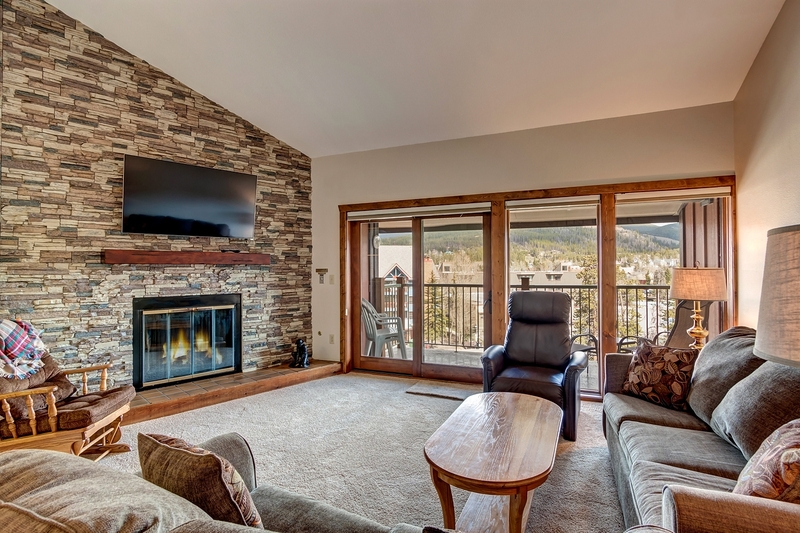 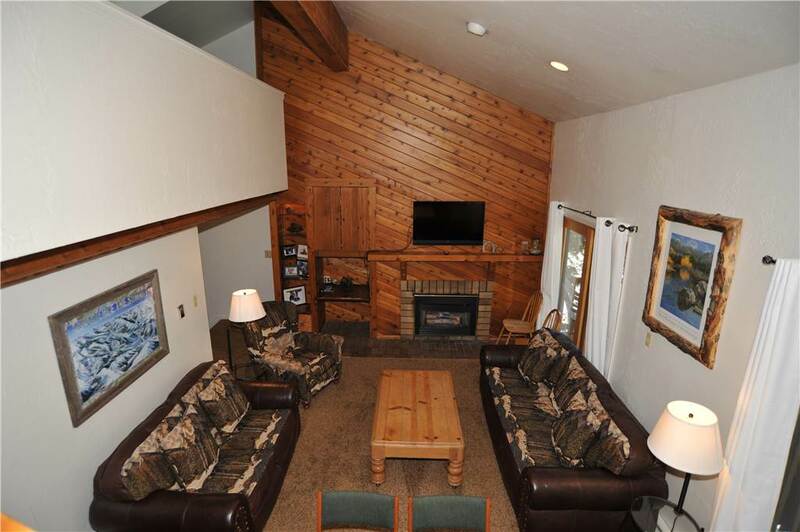 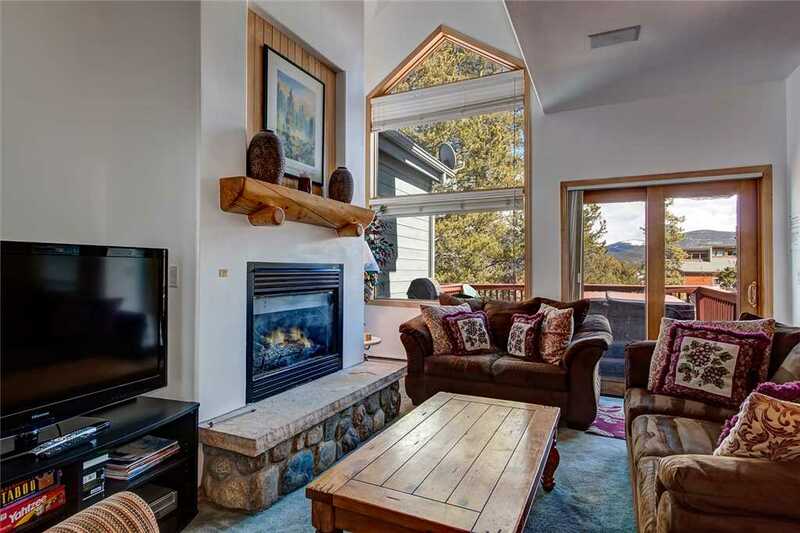 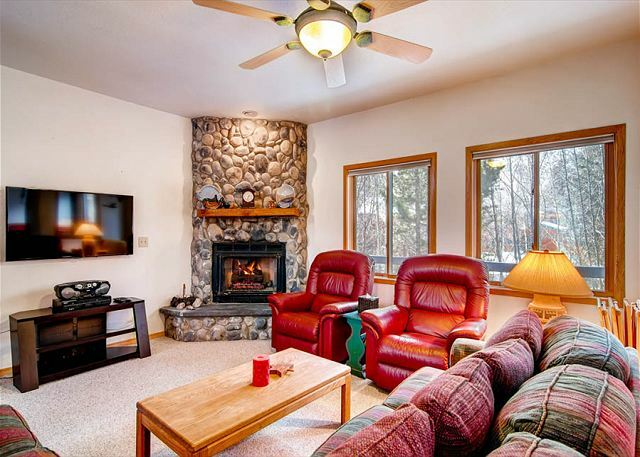 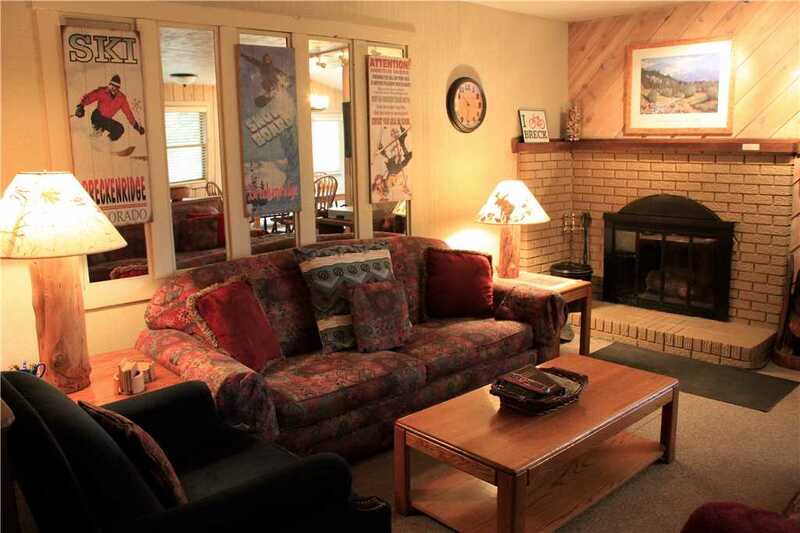 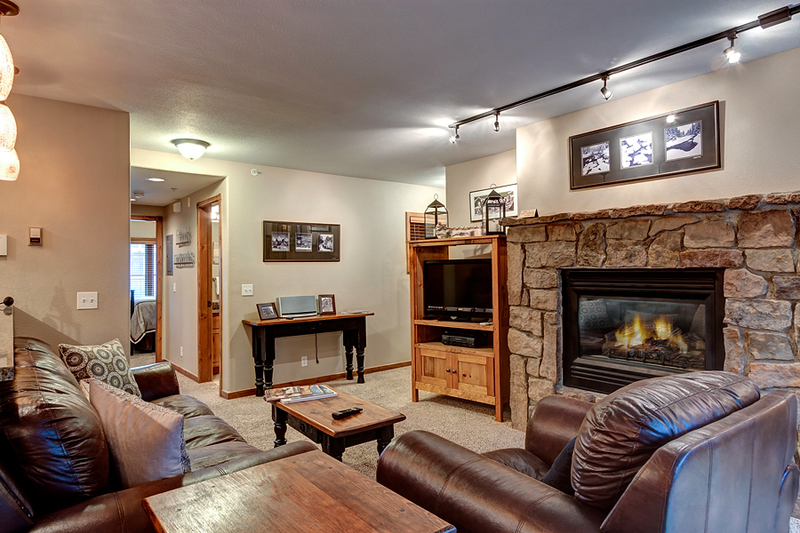 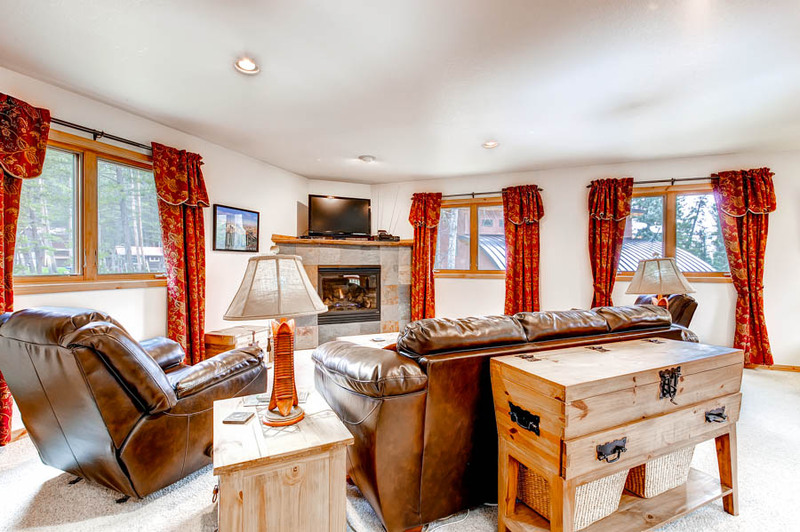 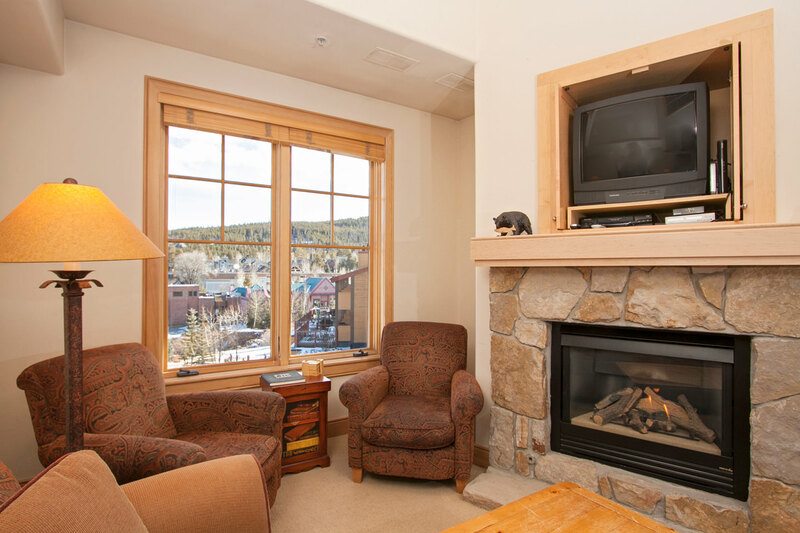 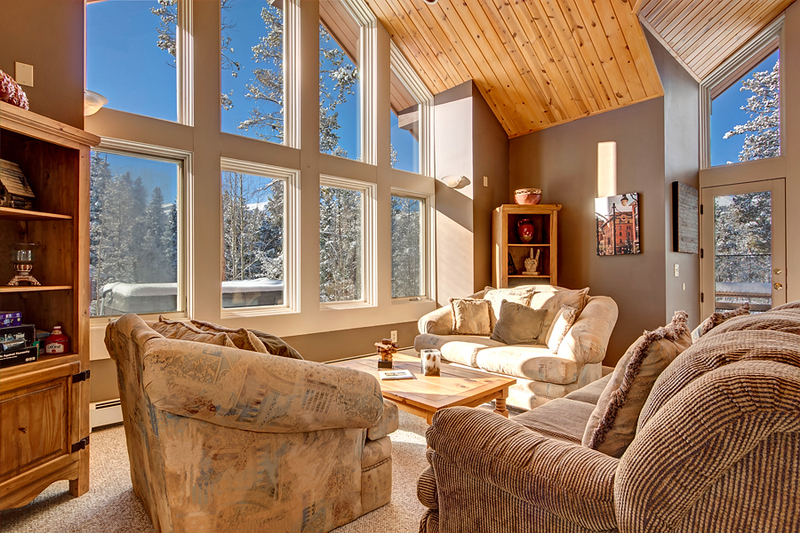 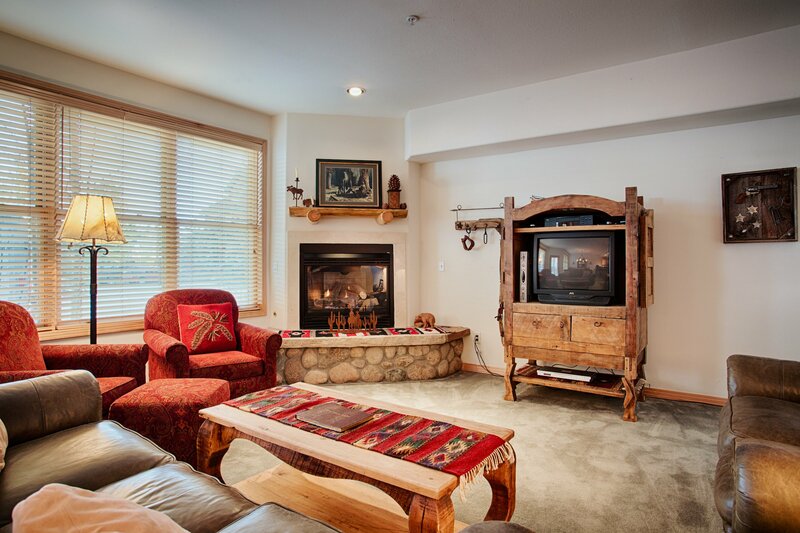 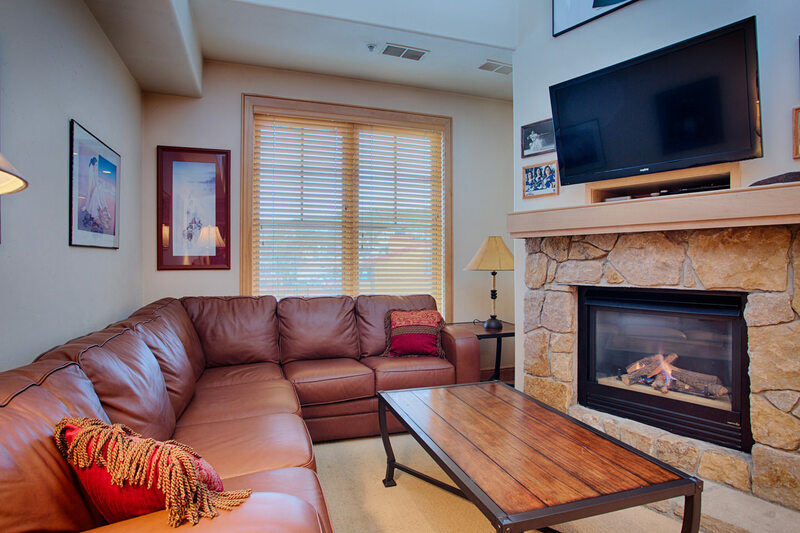 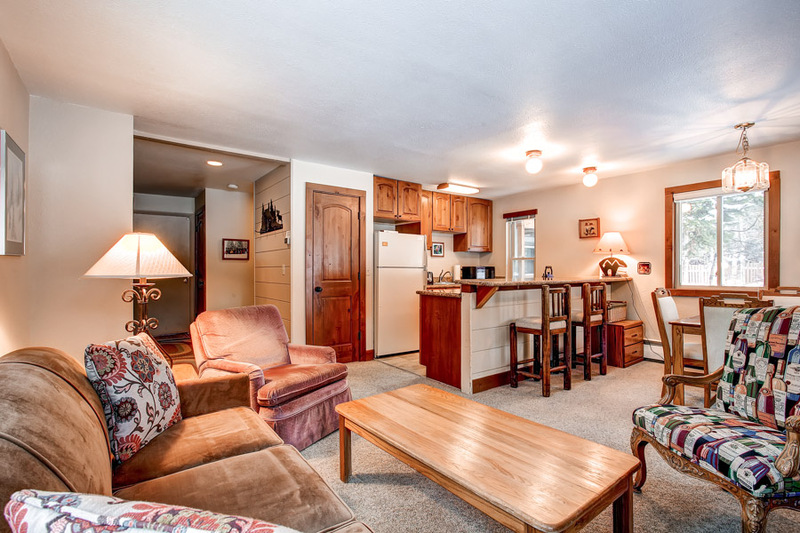 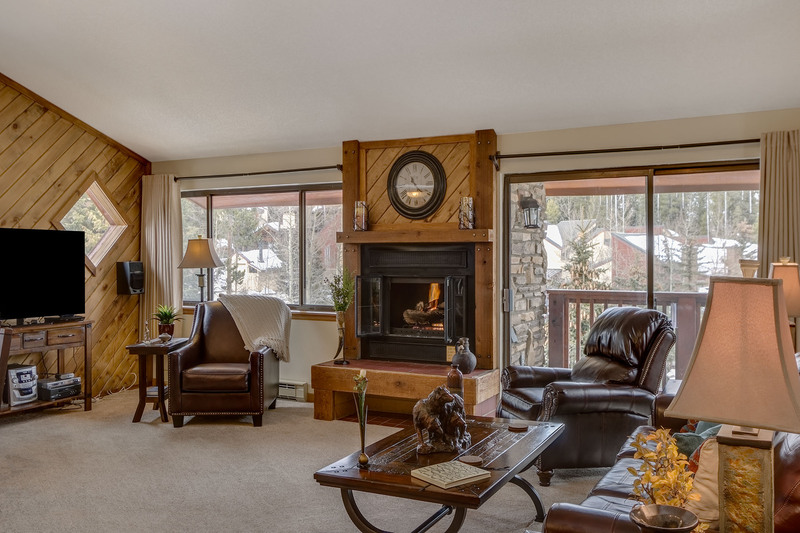 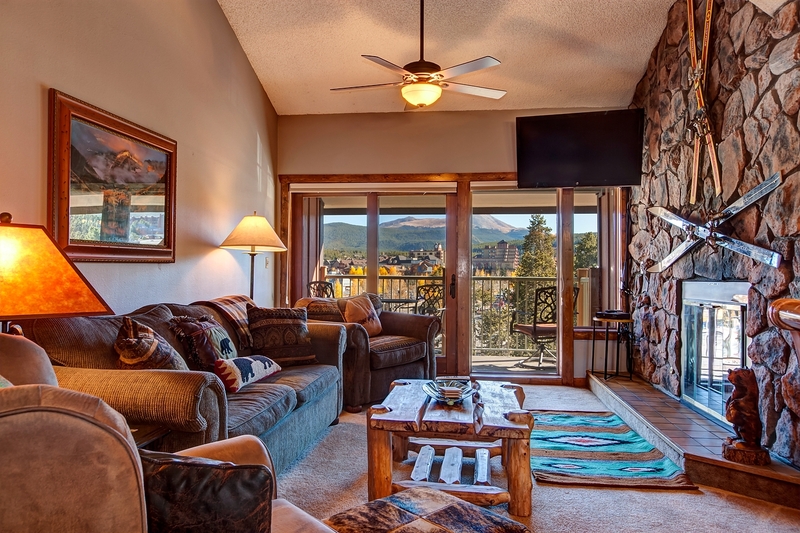 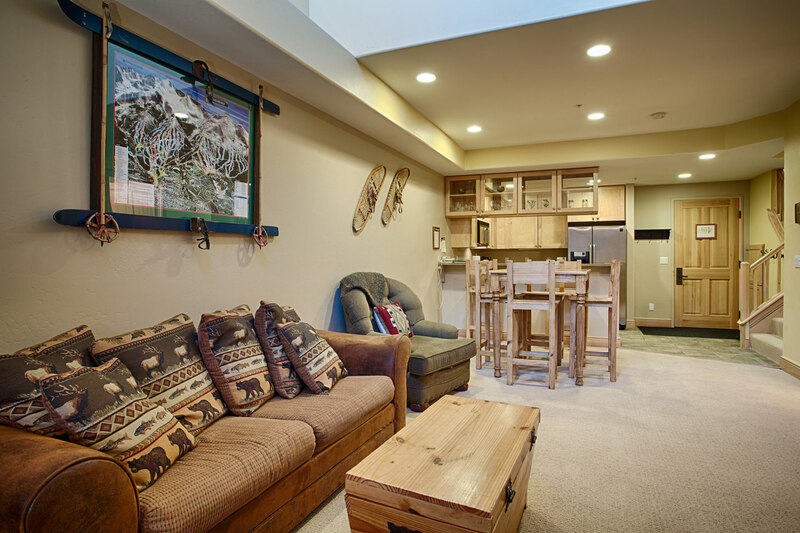 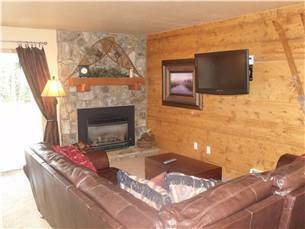 Only 20 yards from the Four O’clock ski run, you can ski home at the end of the day. 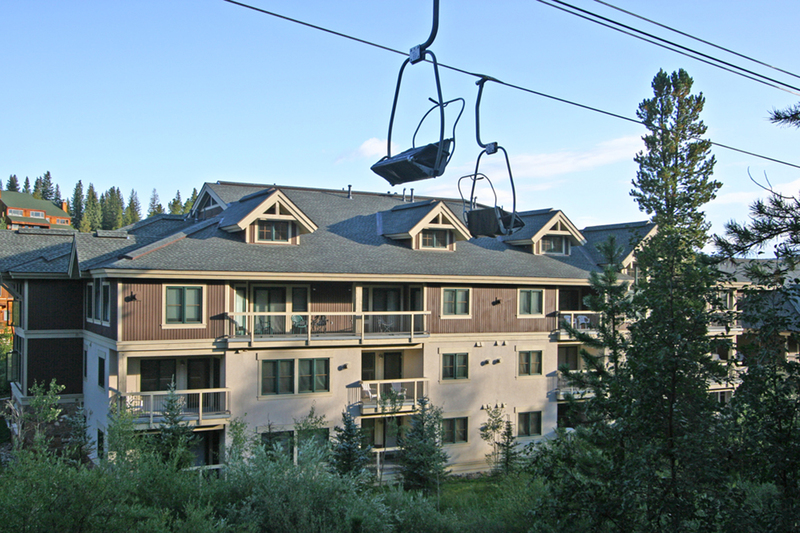 With shuttle stops right outside the complex, you can make your way to the Snowflake Lift in less than five minutes. 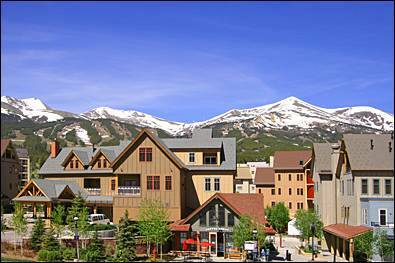 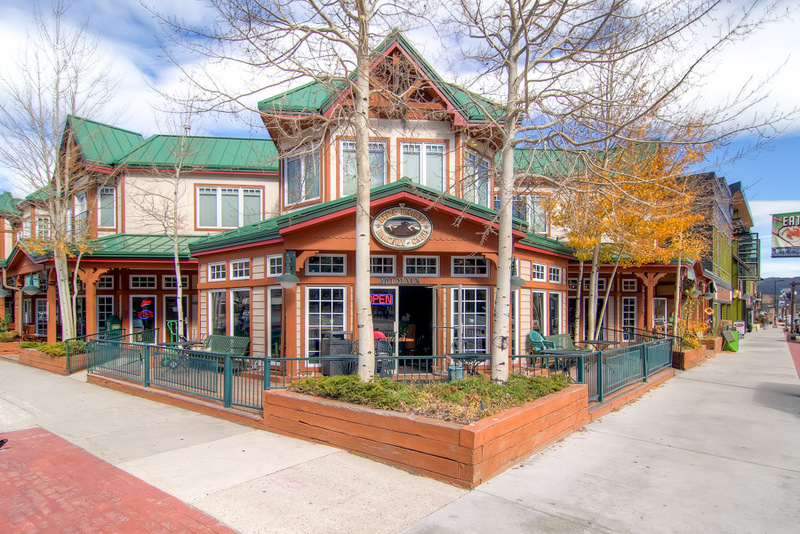 Downtown Main Street is only a block away, and provides you with all the shopping and dining you can enjoy.